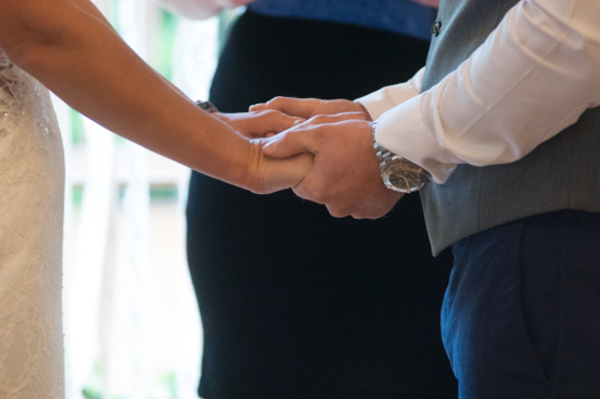 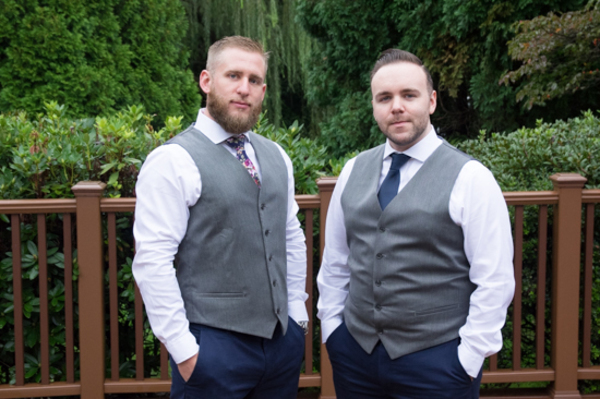 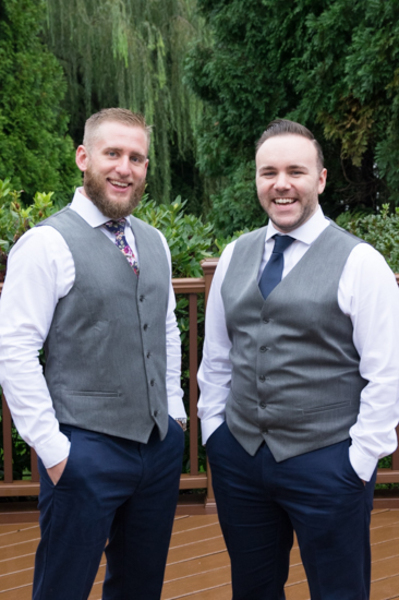 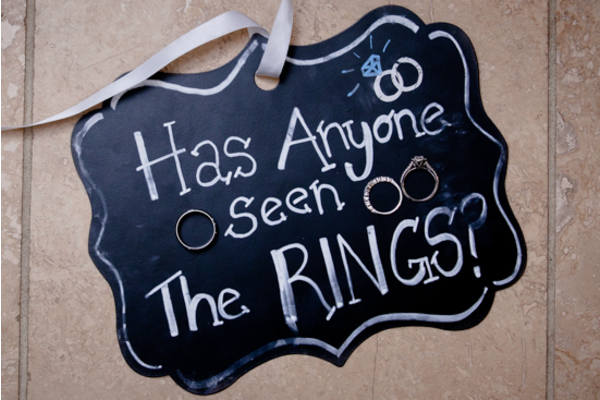 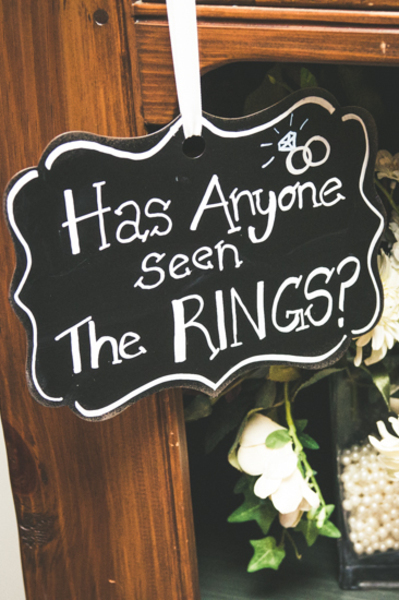 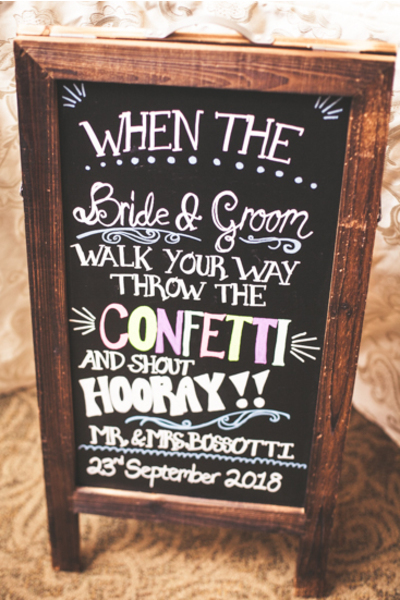 A huge congratulations is in order for Casey and Peter on their September wedding! 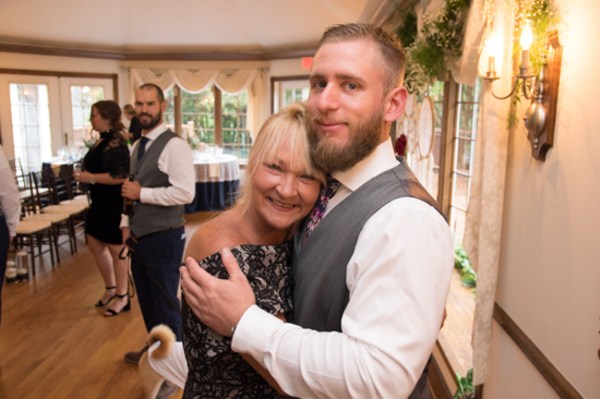 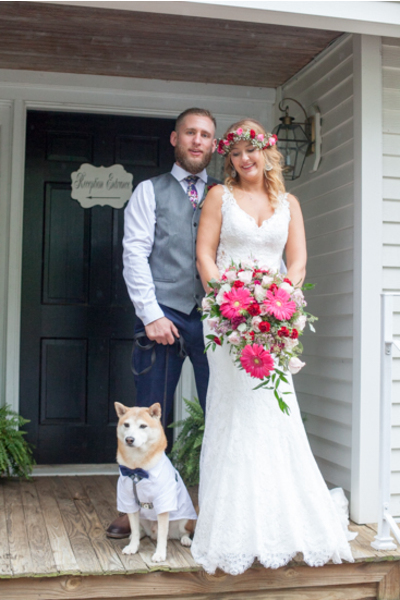 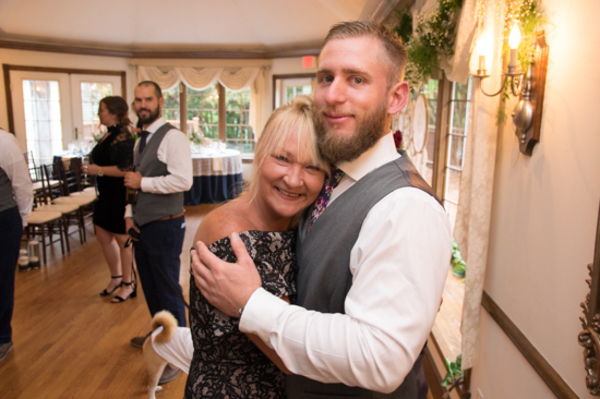 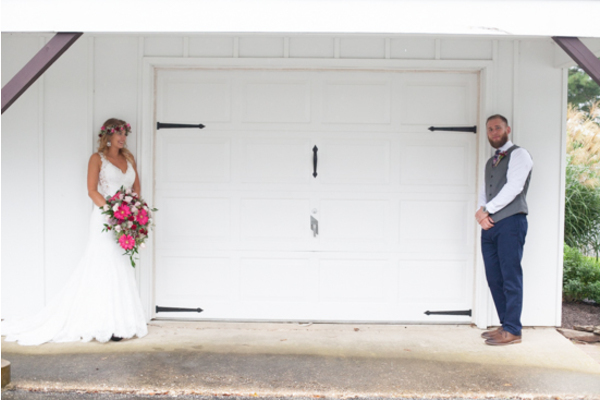 The beautiful couple wed on September 23rd, 2018 at the Farmhouse in Delaware. 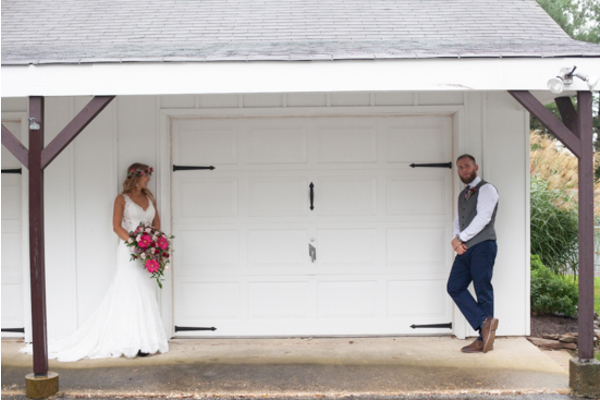 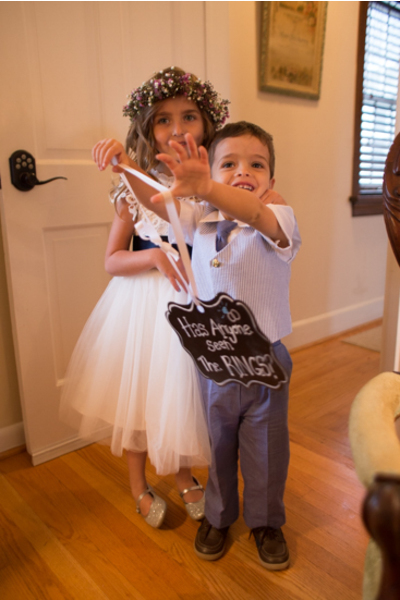 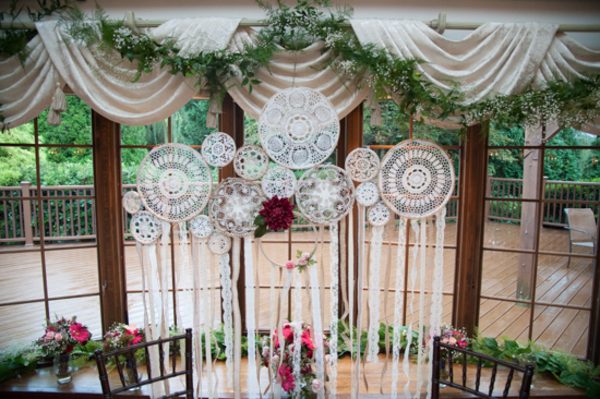 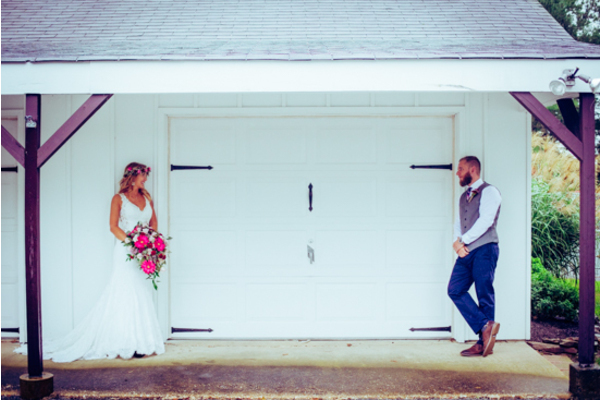 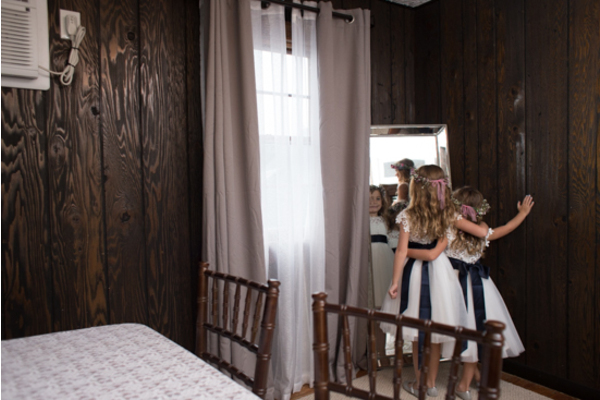 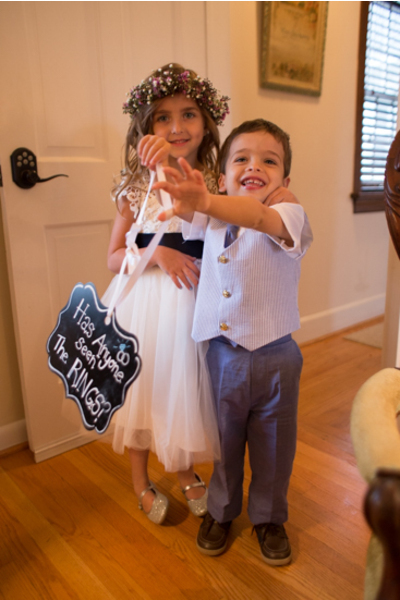 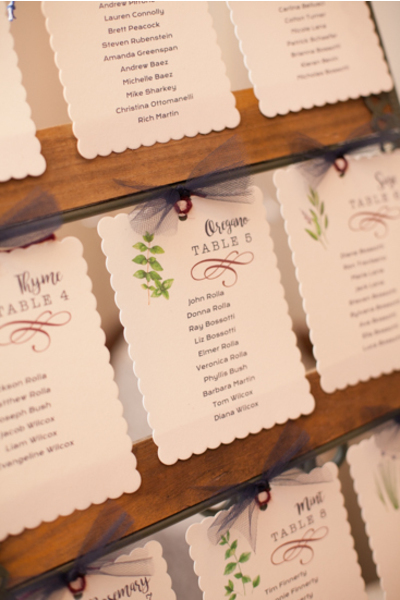 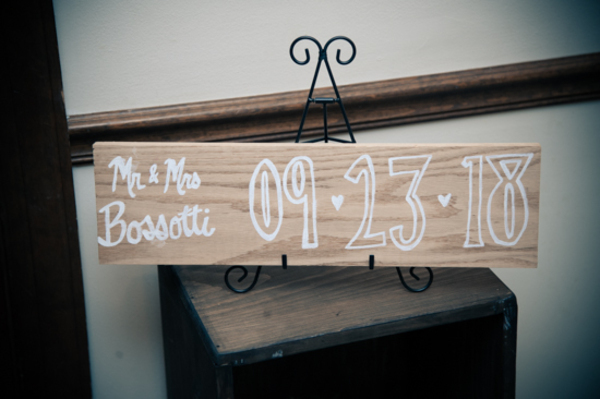 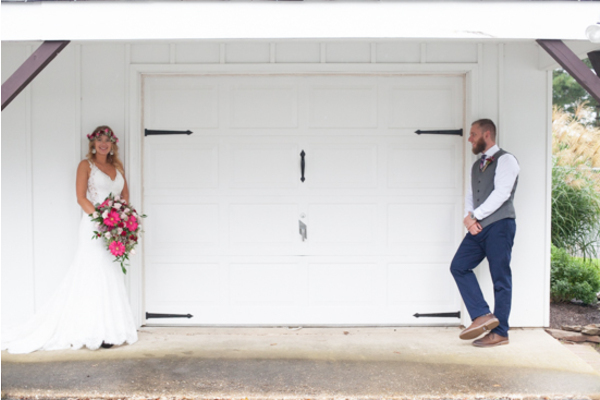 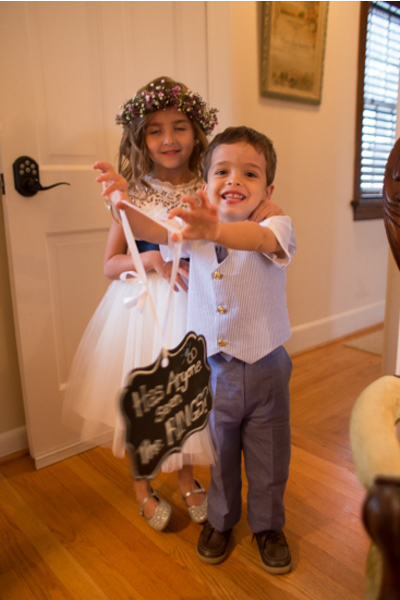 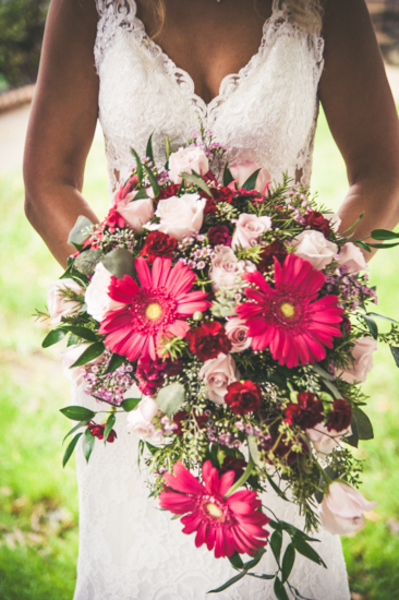 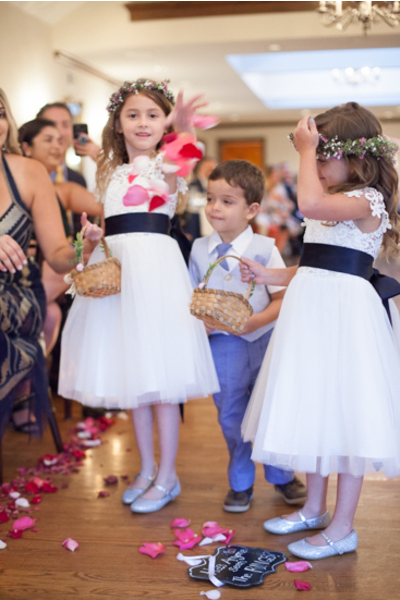 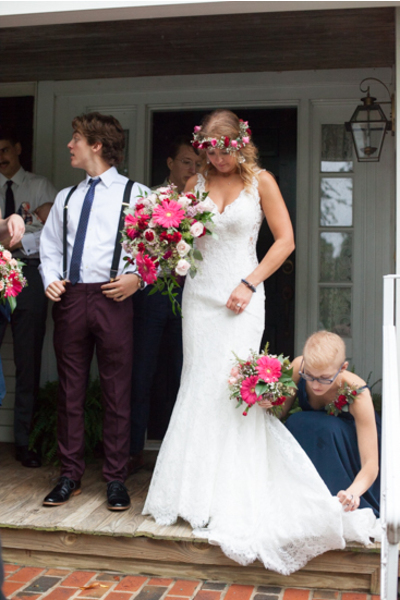 Overall, their wedding day was nothing short of magical. 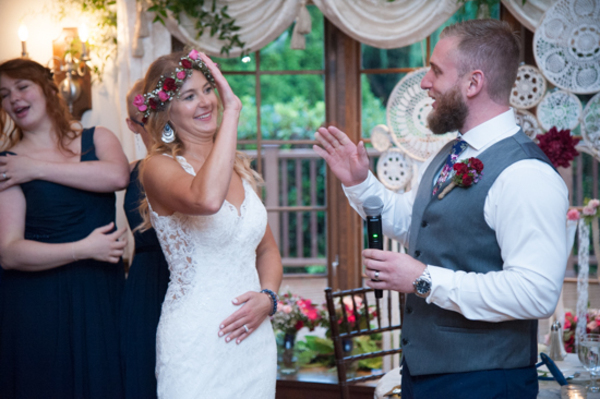 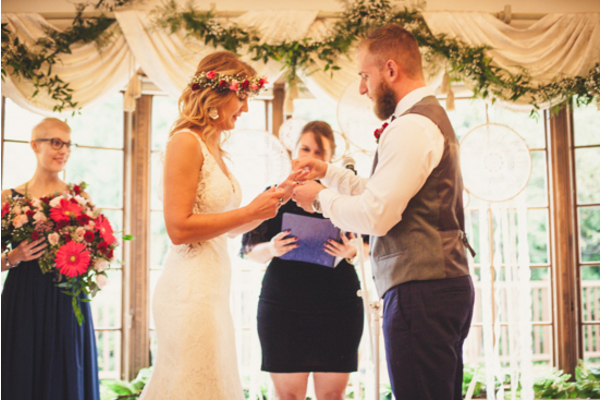 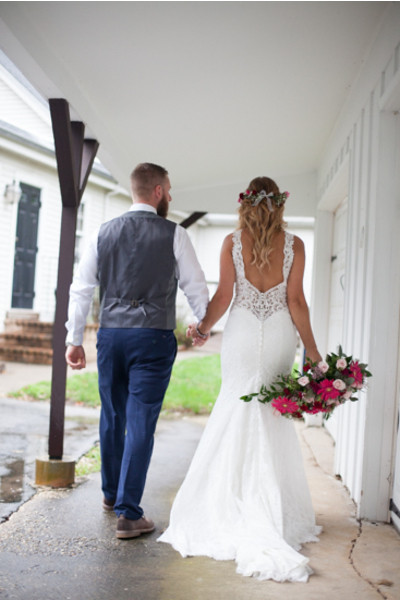 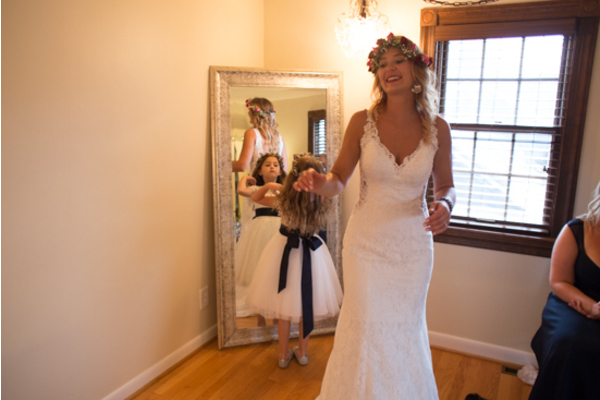 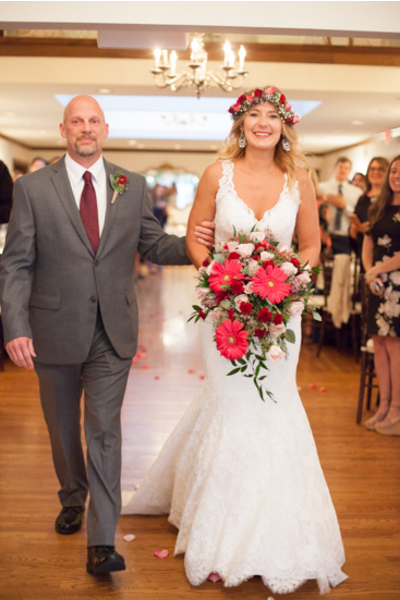 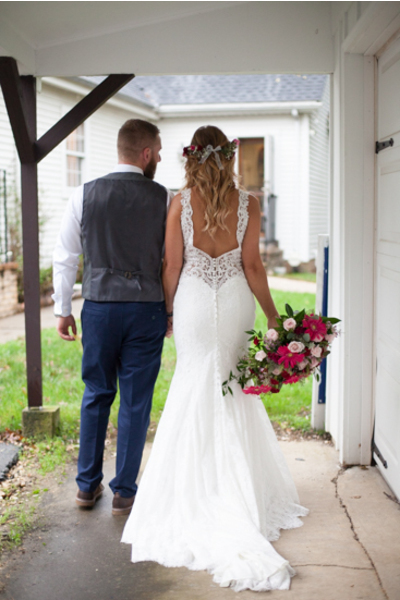 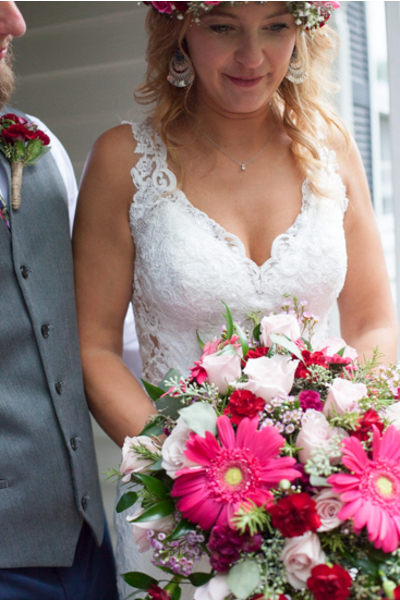 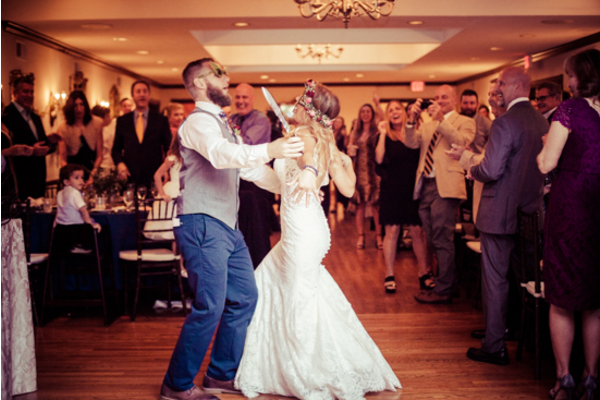 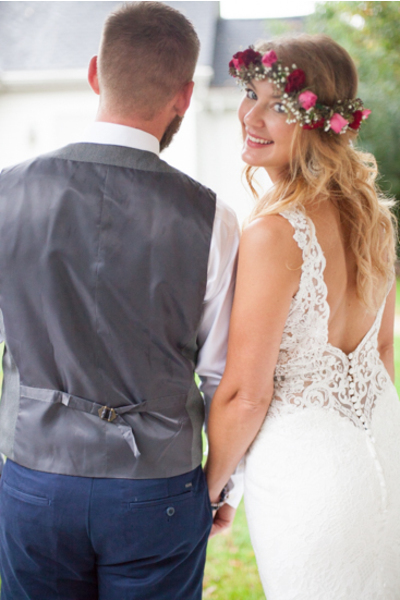 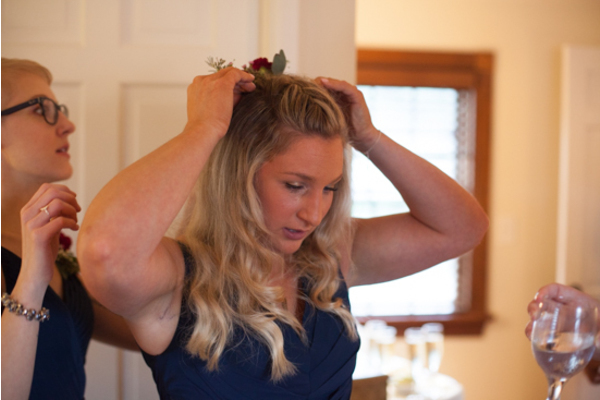 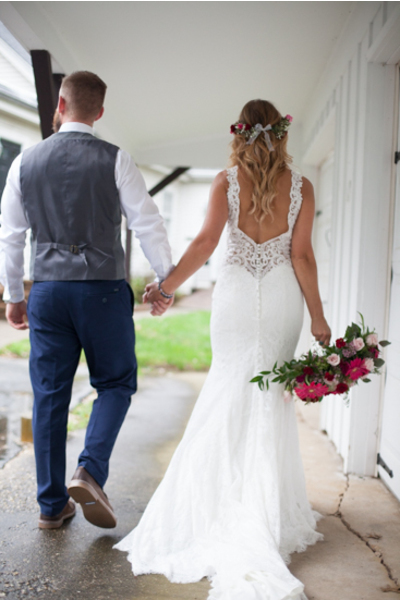 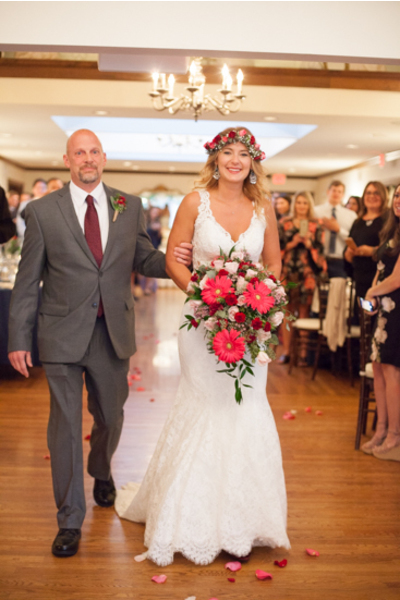 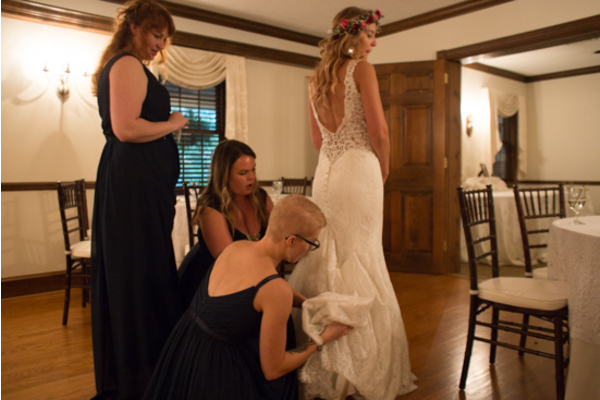 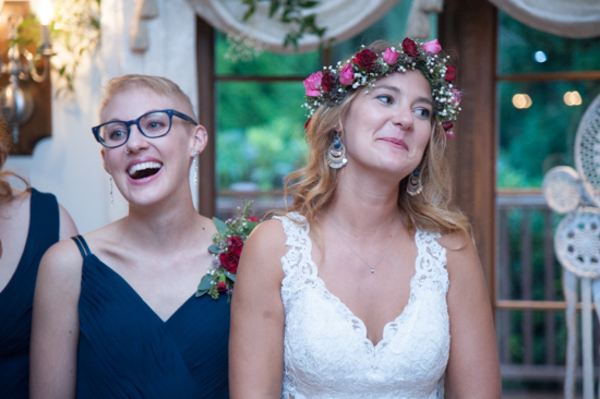 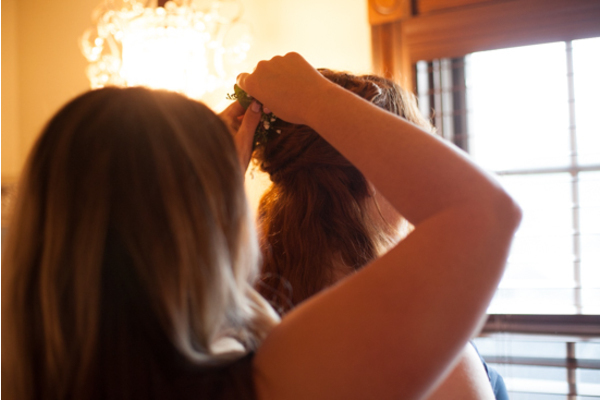 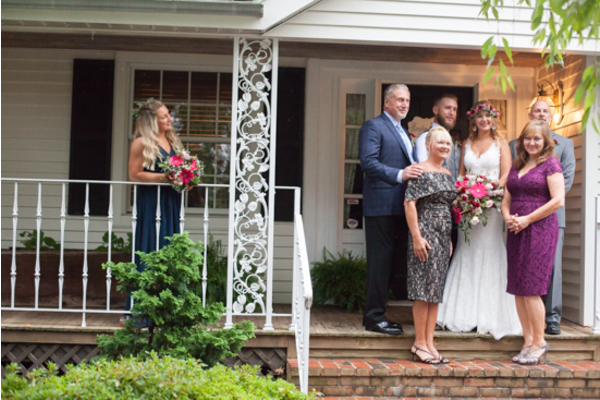 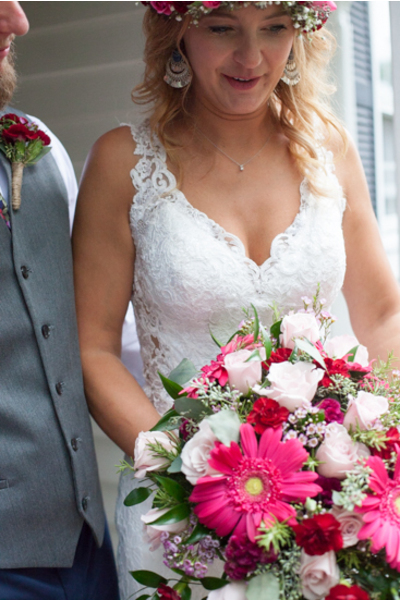 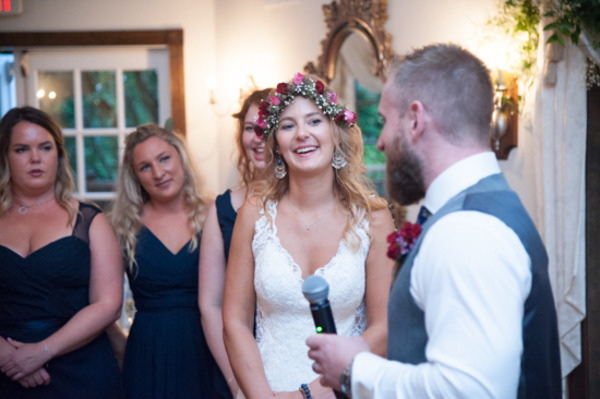 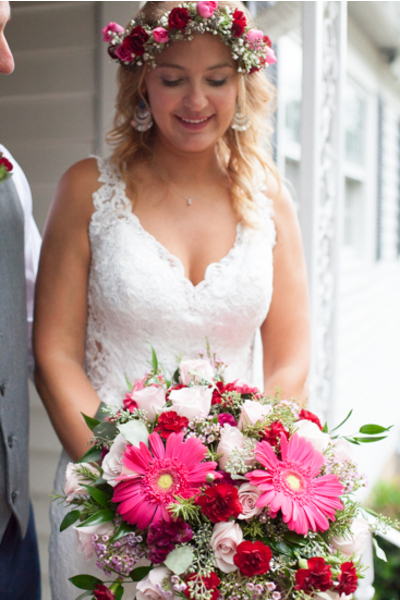 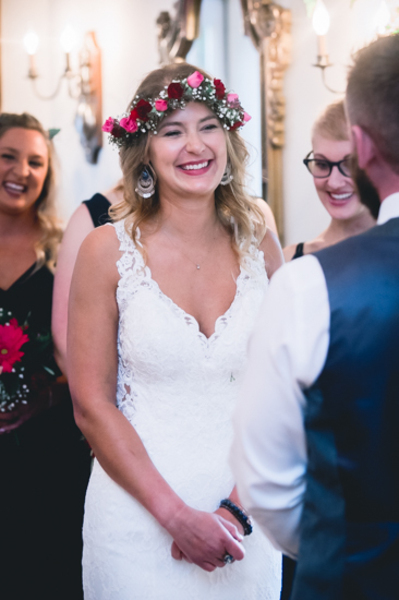 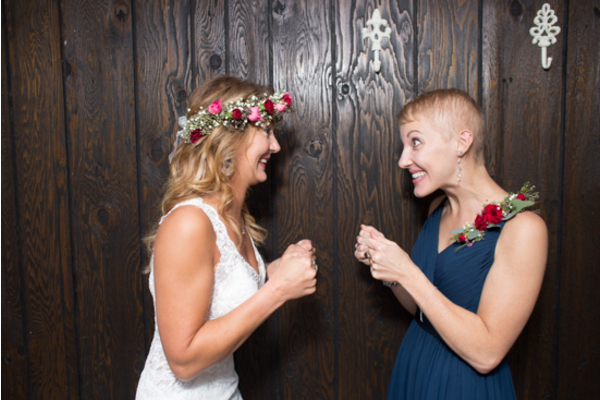 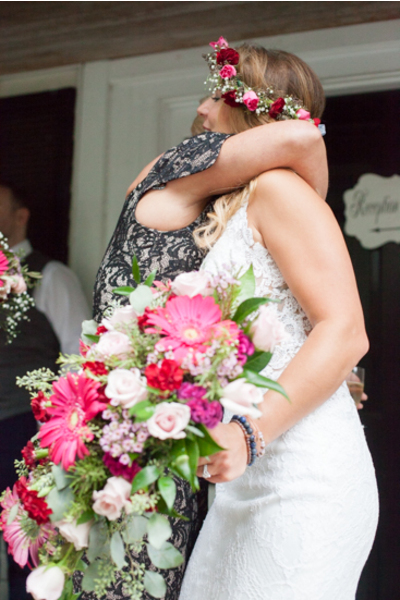 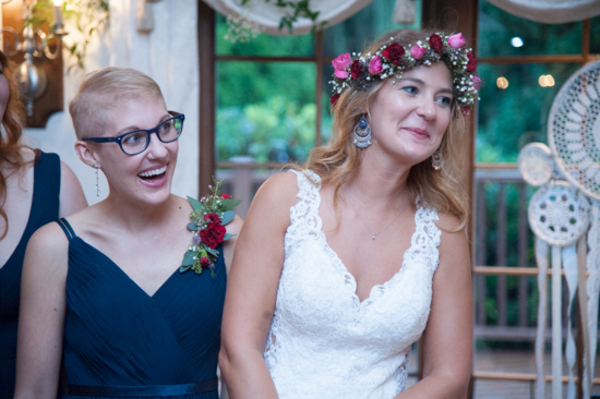 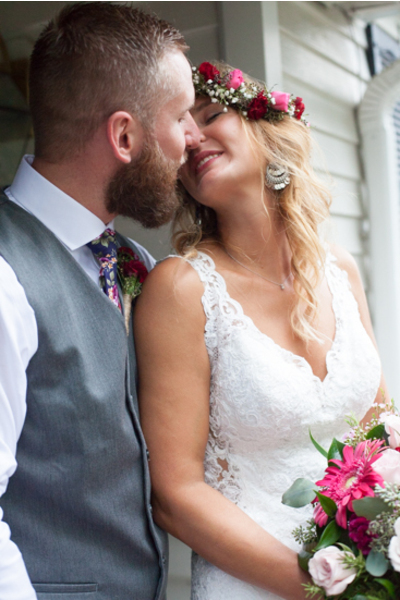 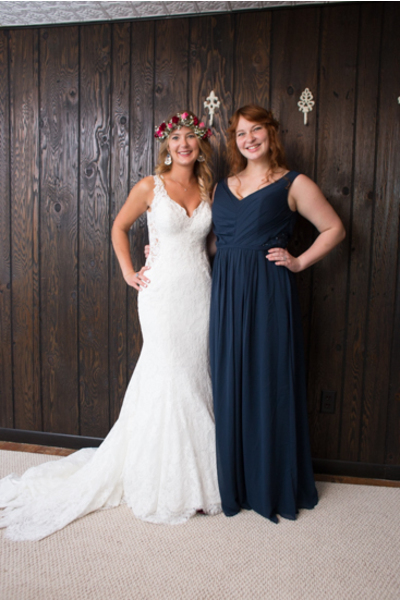 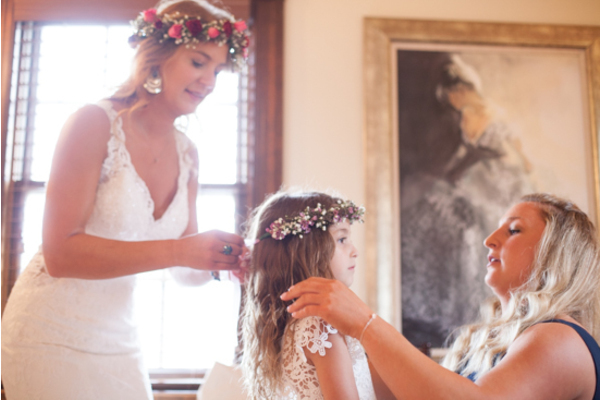 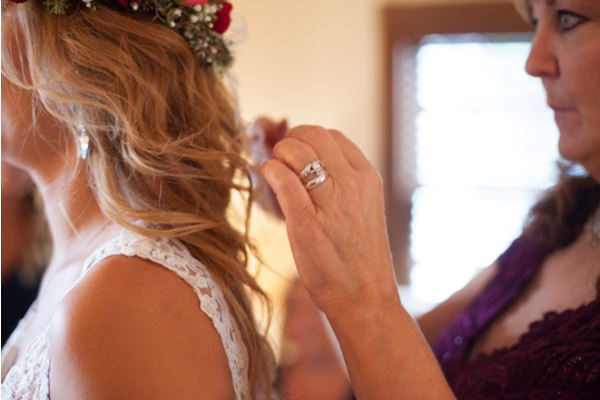 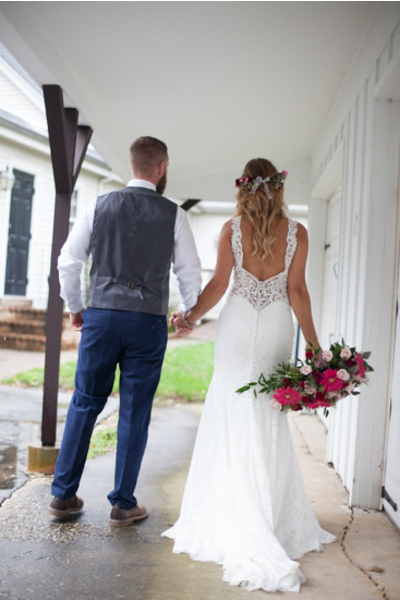 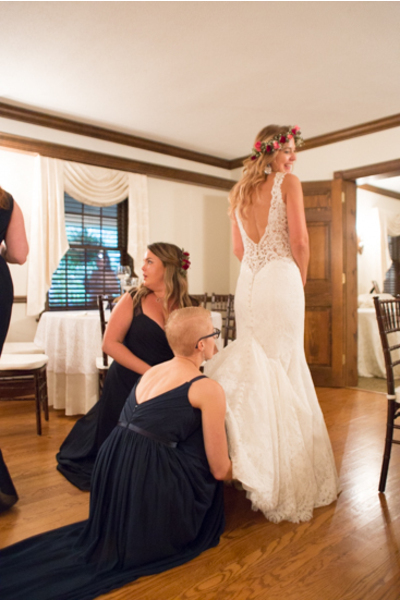 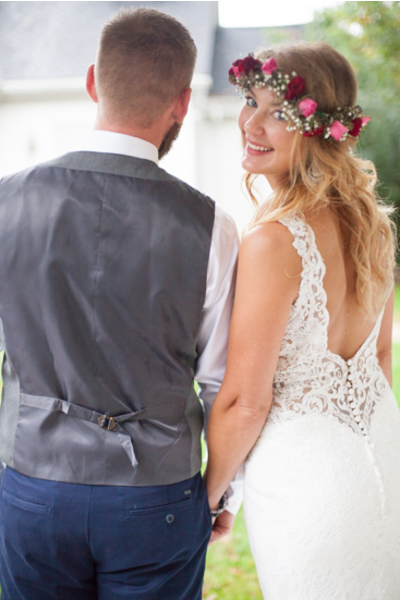 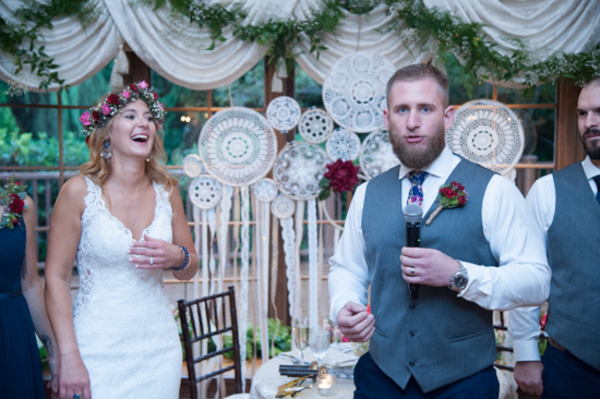 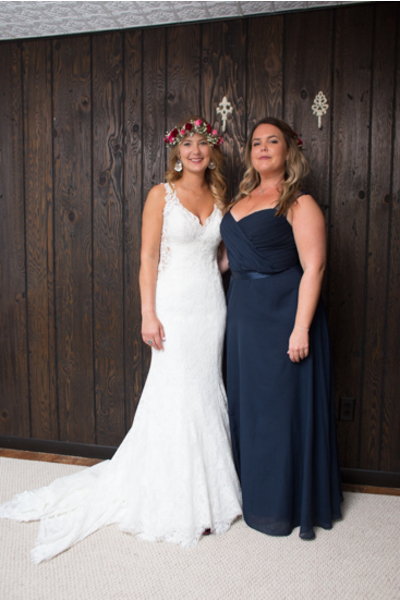 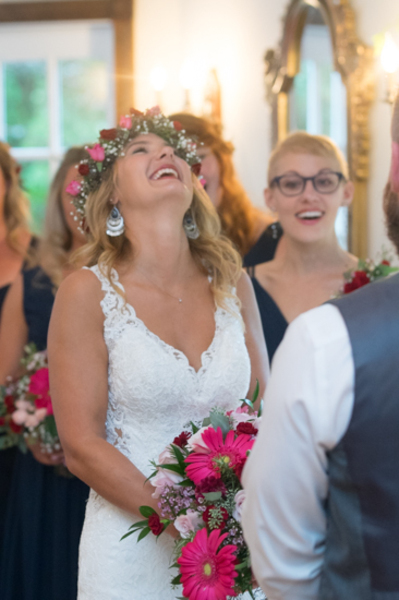 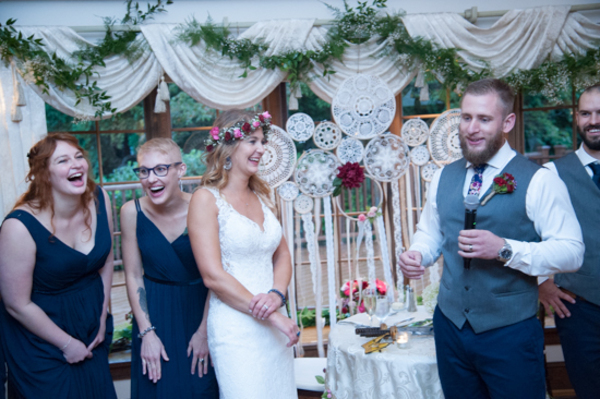 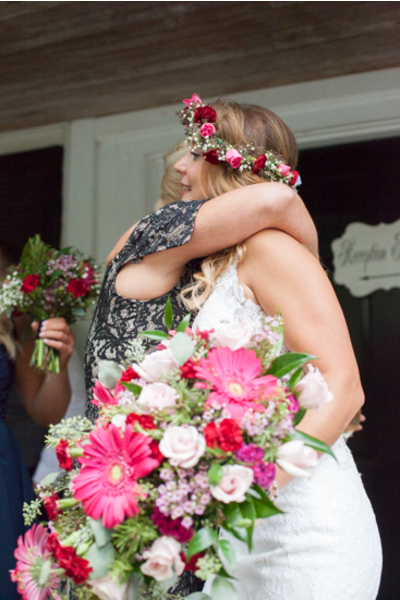 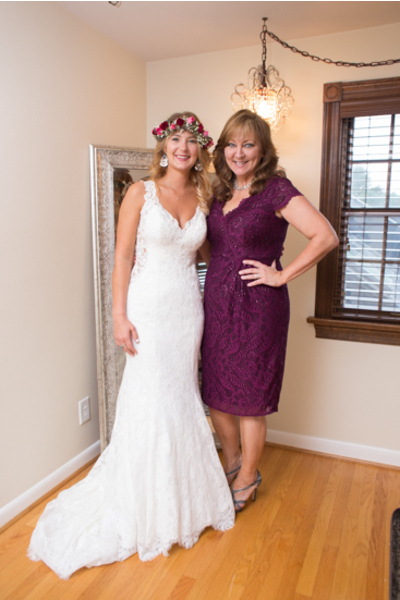 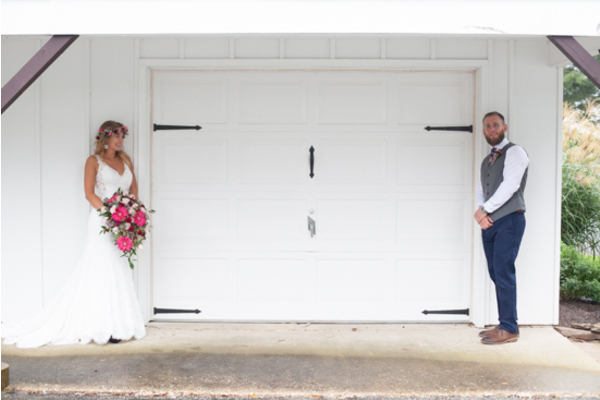 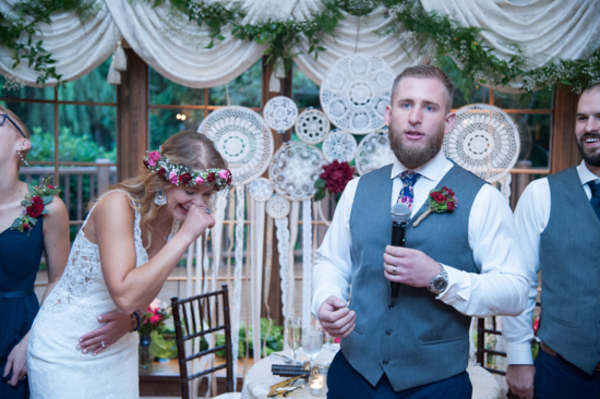 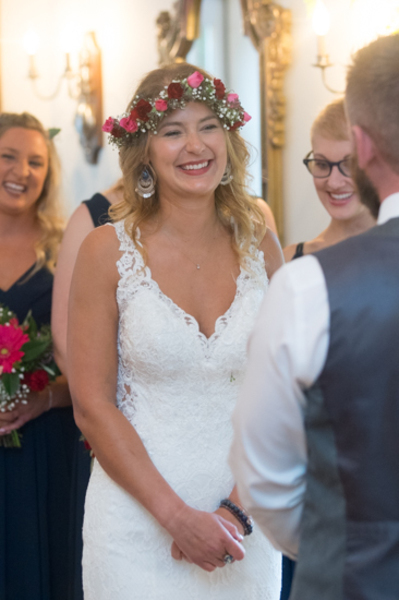 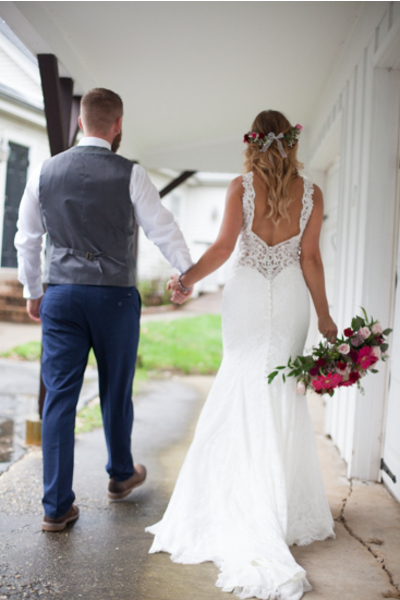 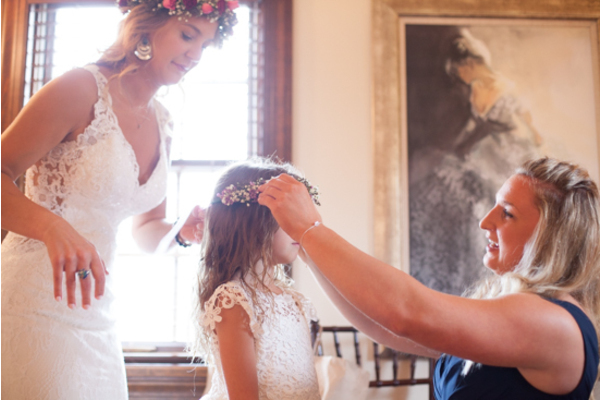 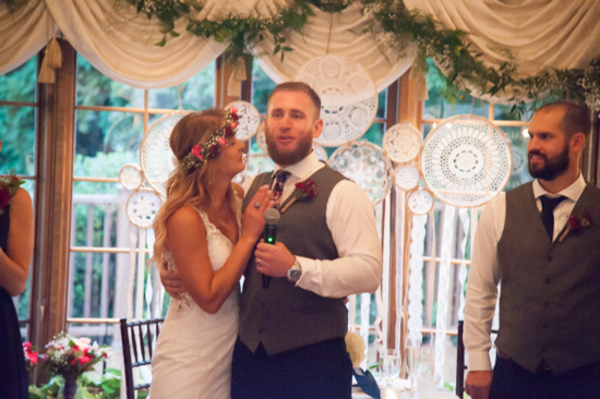 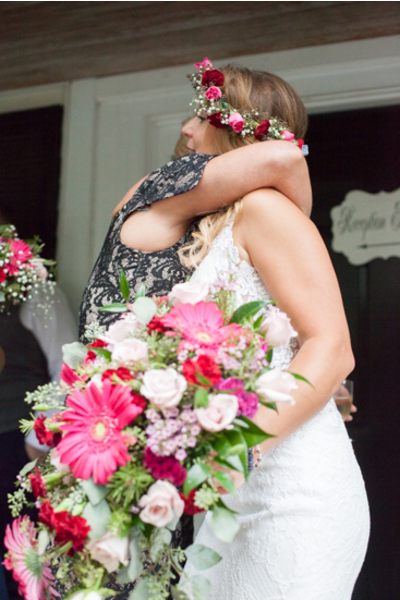 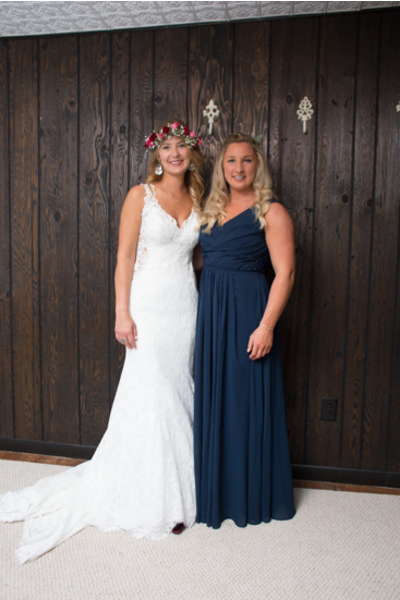 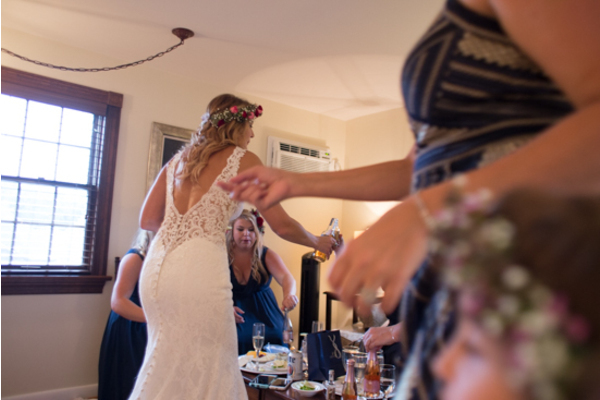 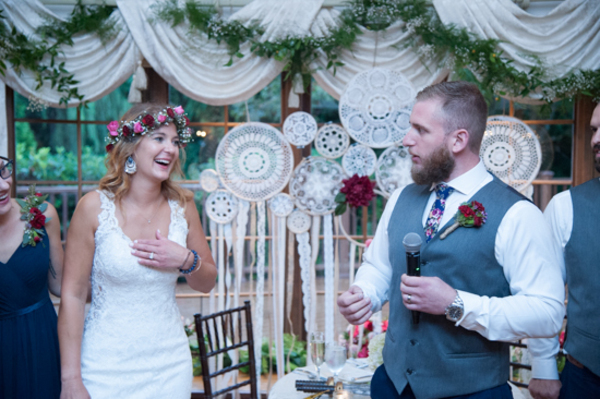 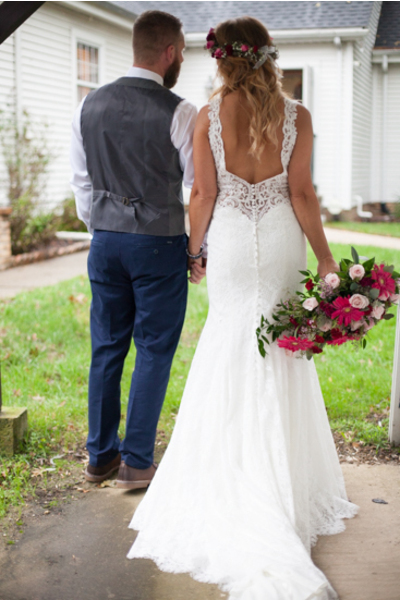 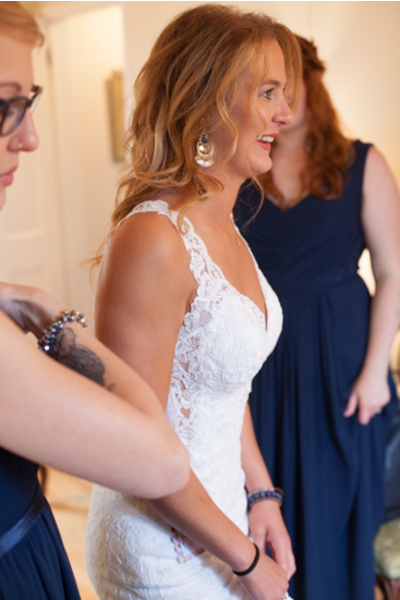 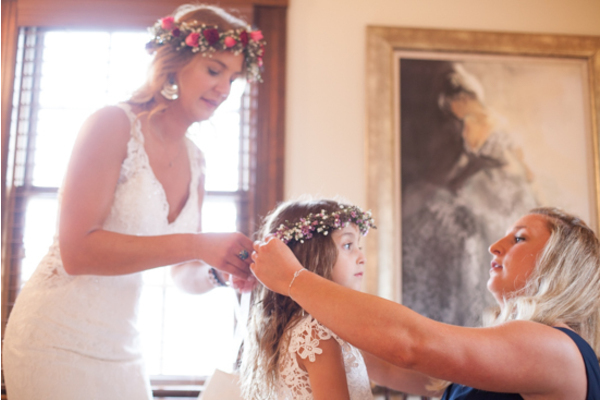 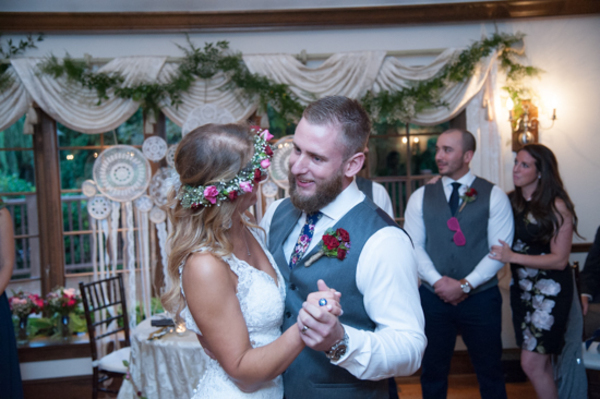 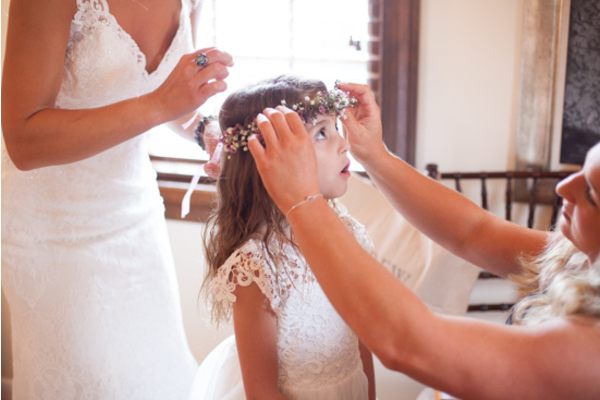 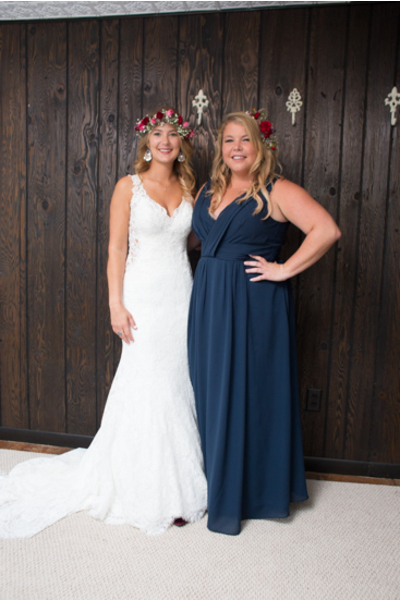 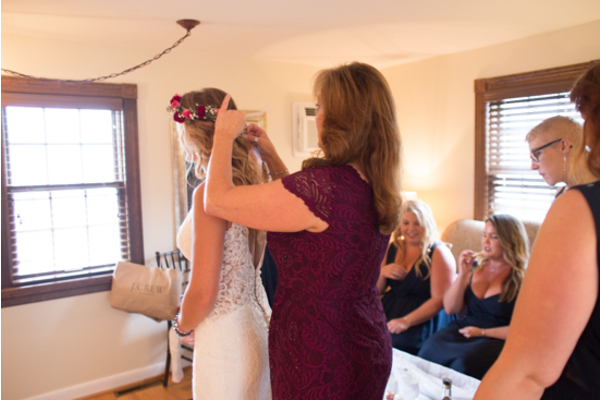 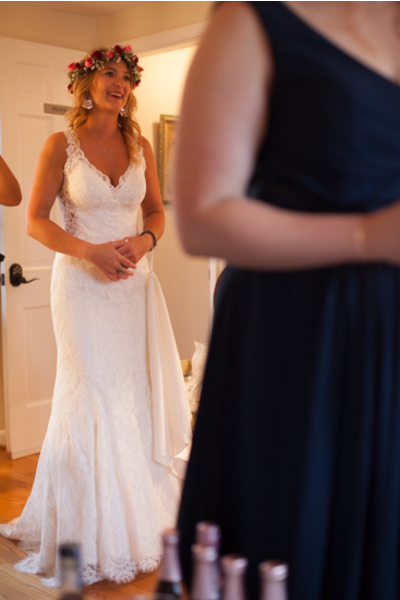 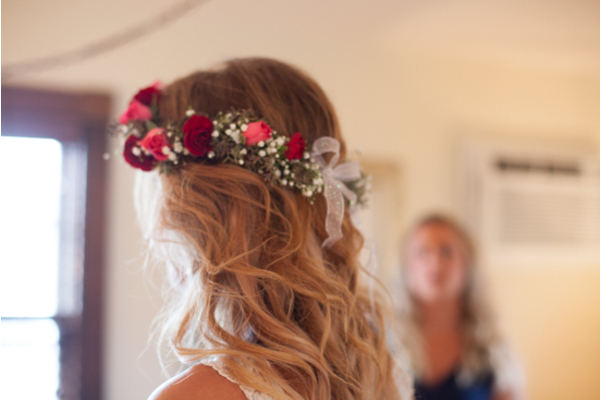 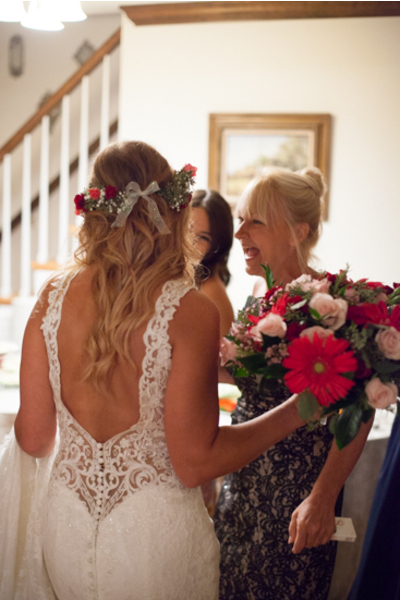 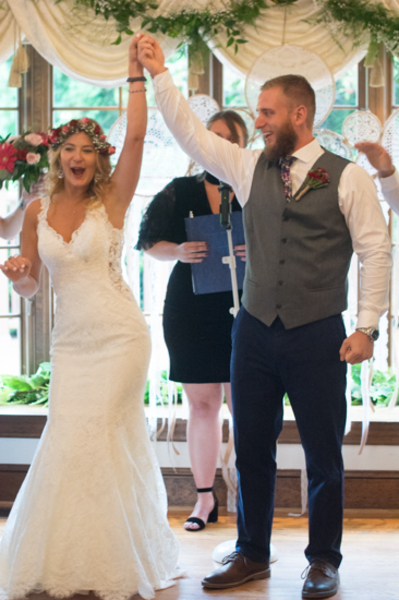 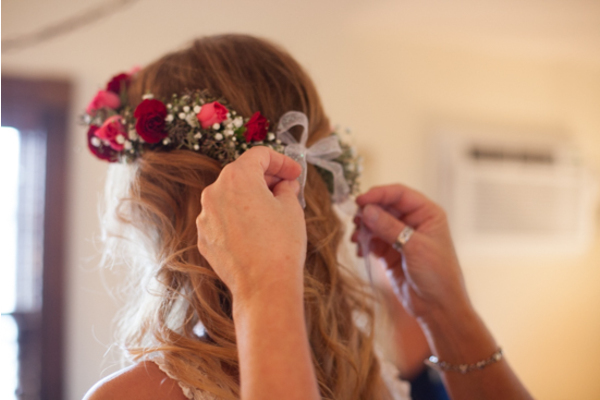 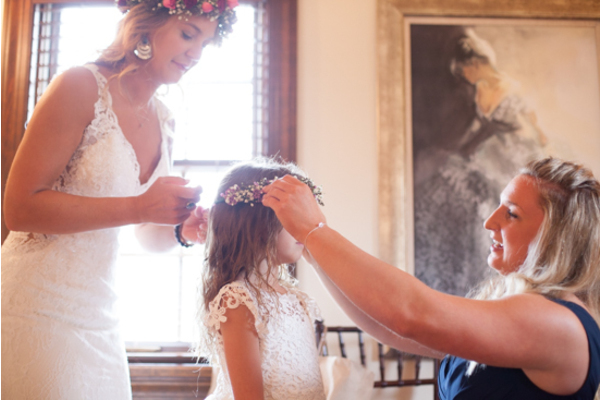 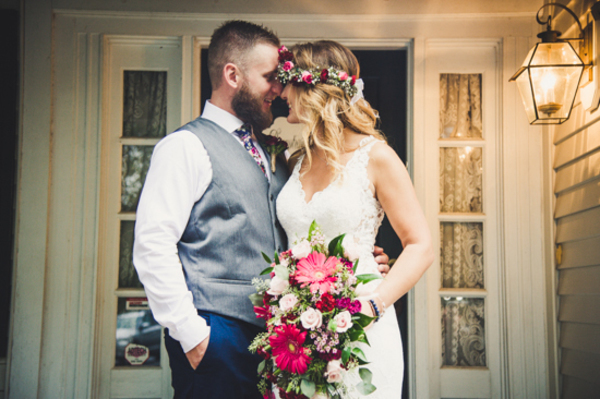 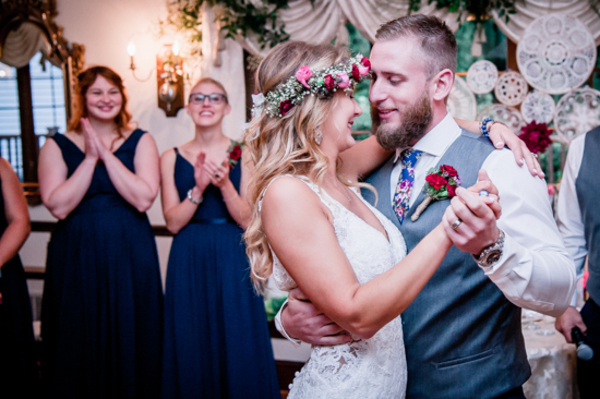 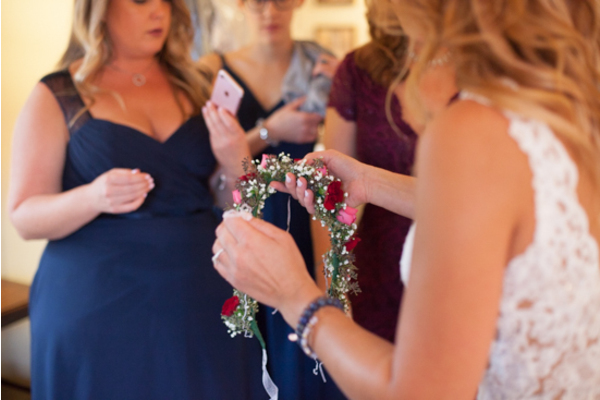 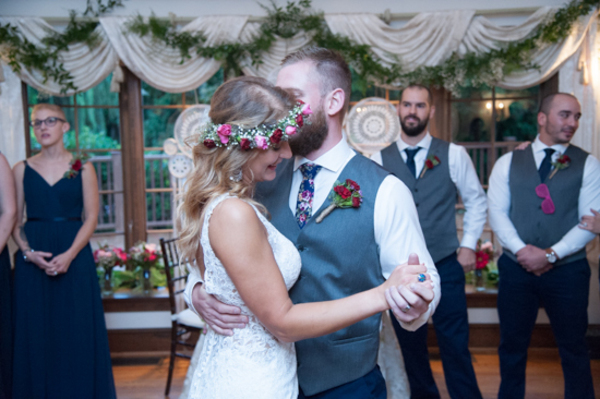 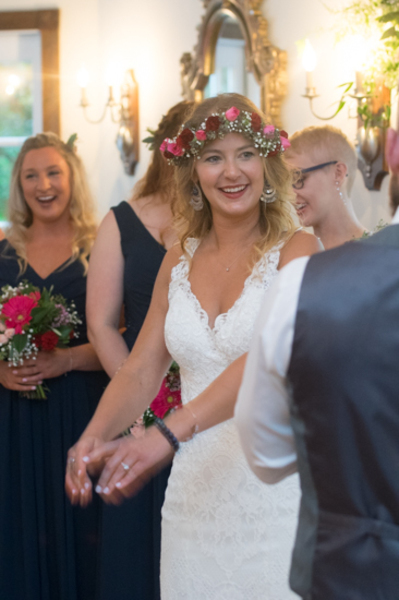 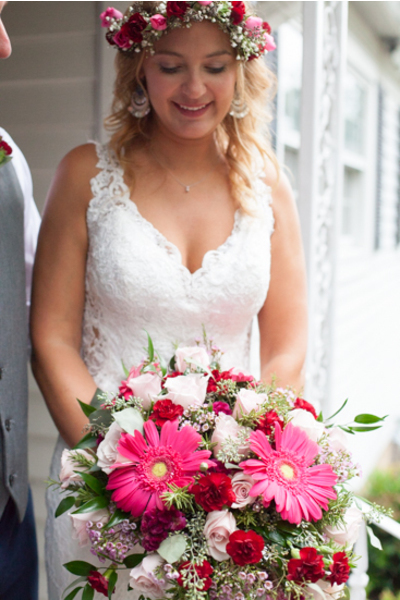 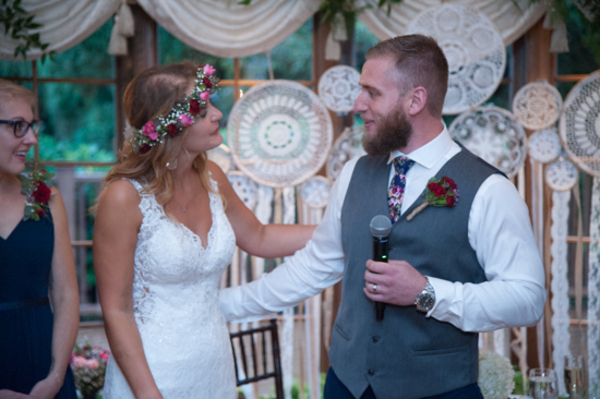 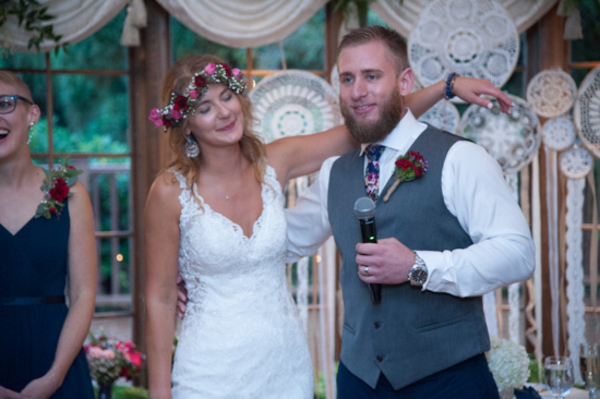 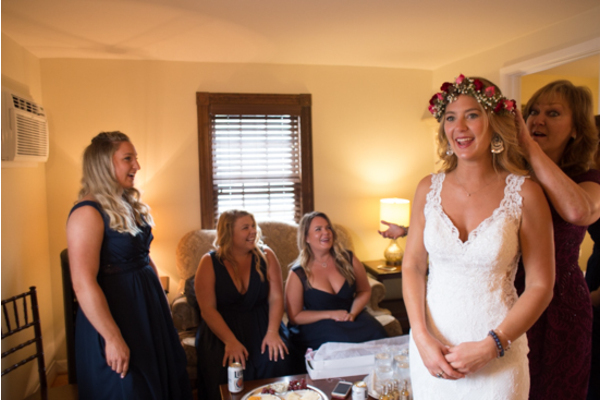 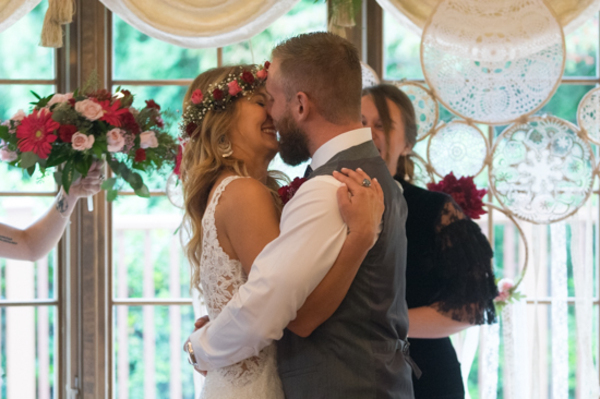 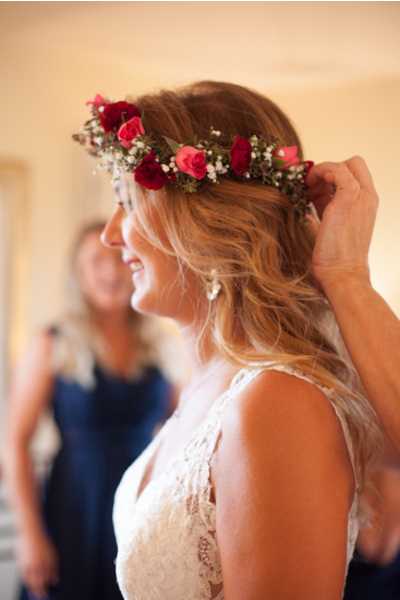 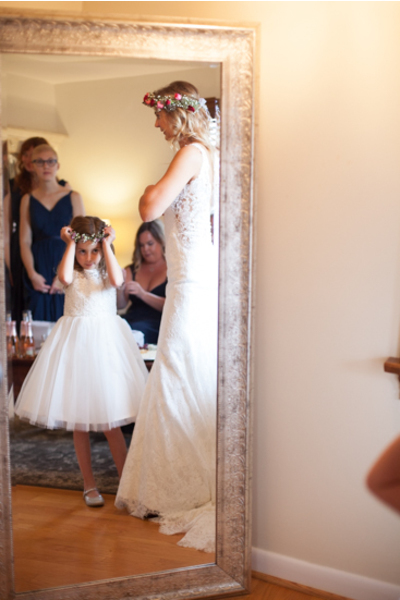 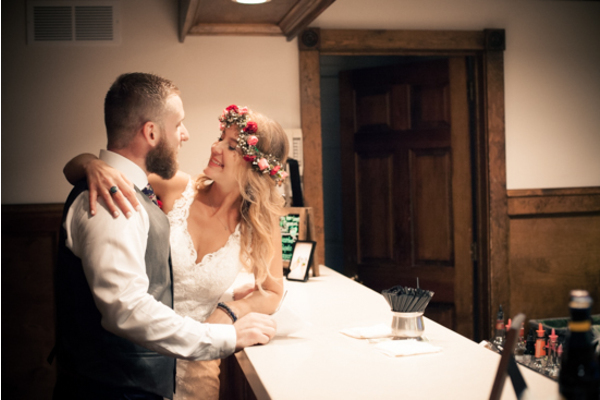 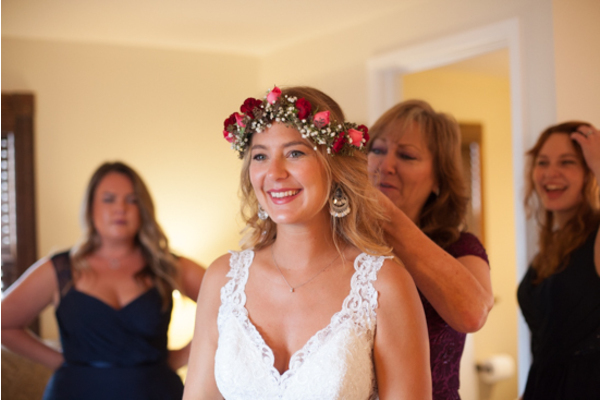 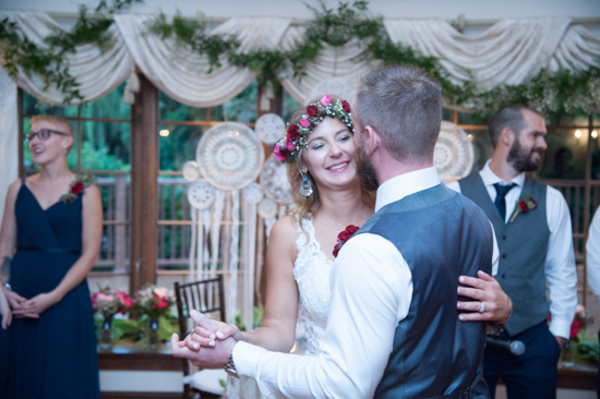 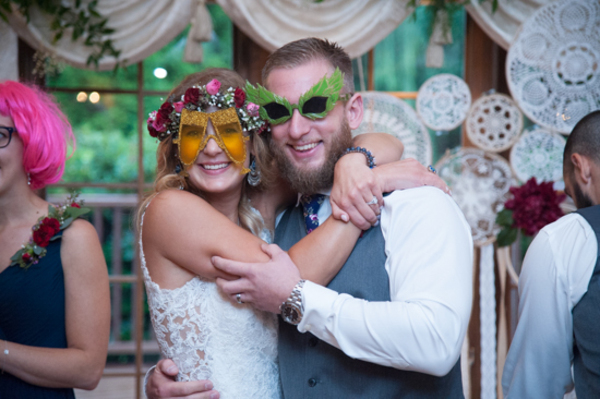 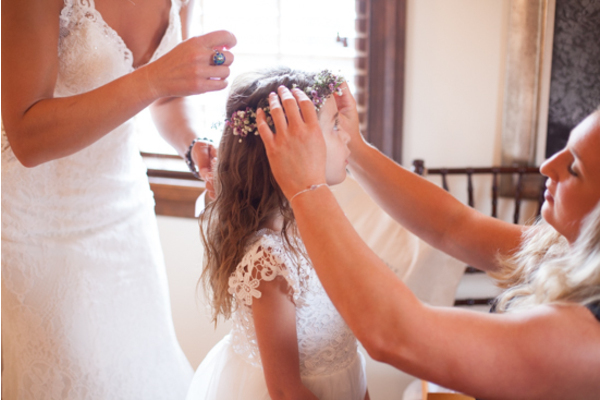 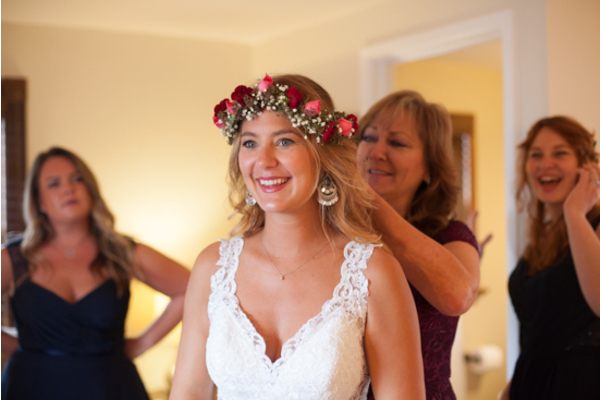 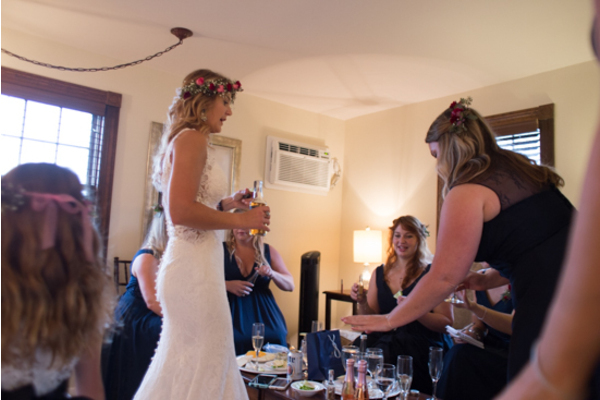 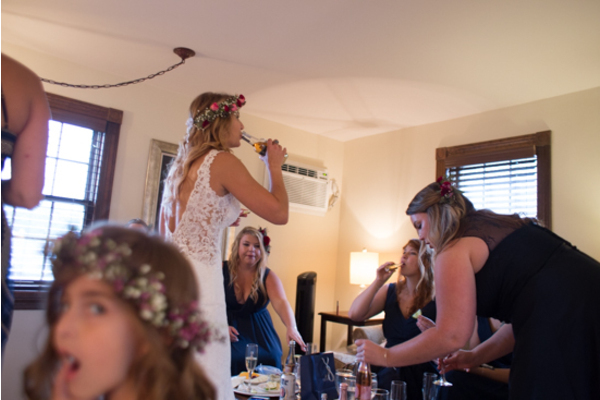 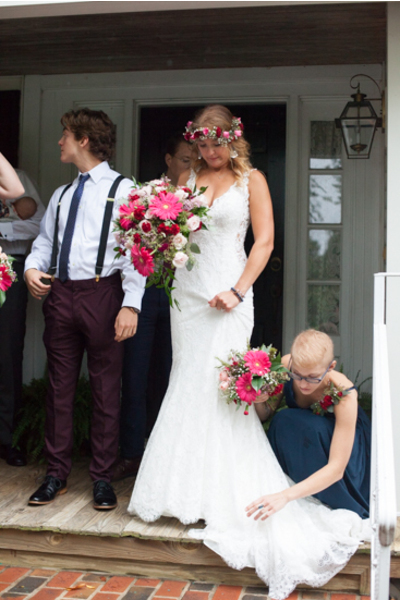 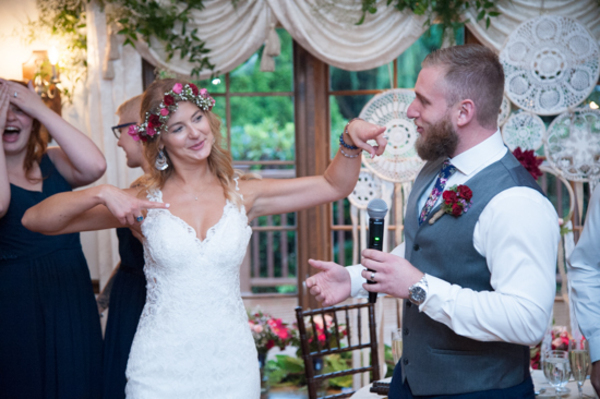 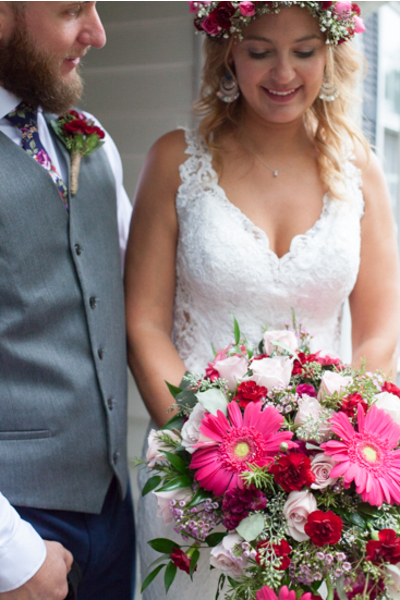 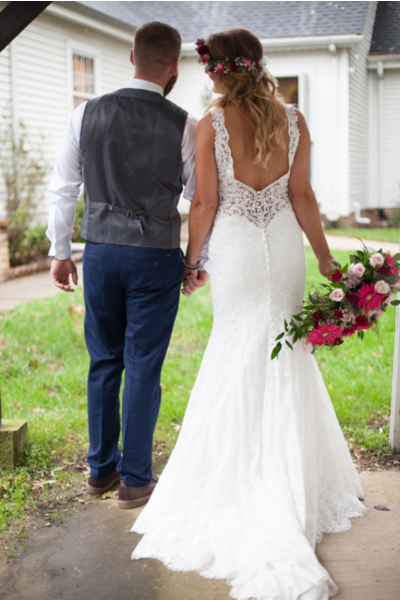 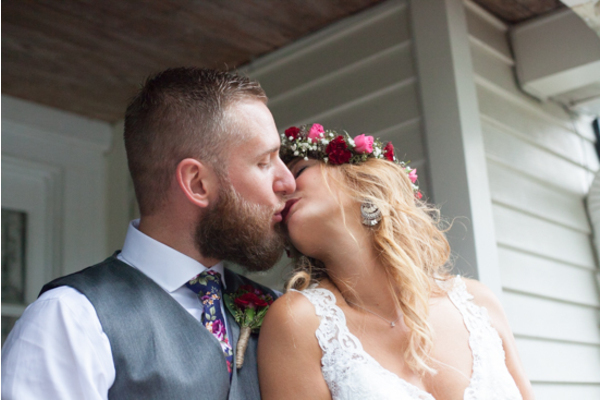 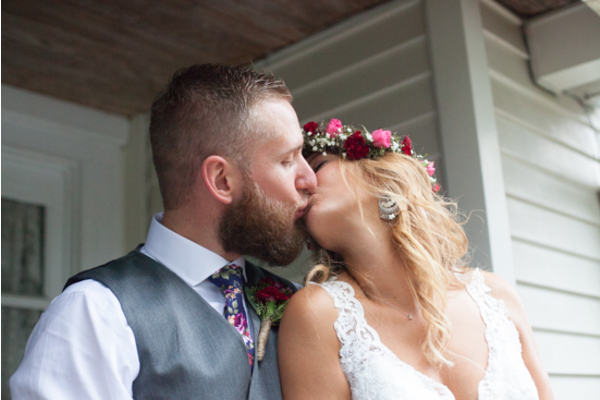 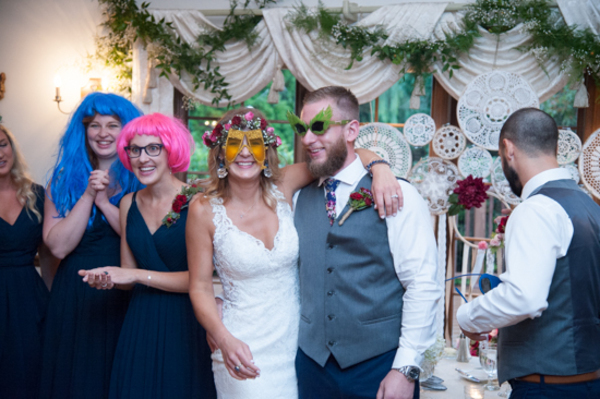 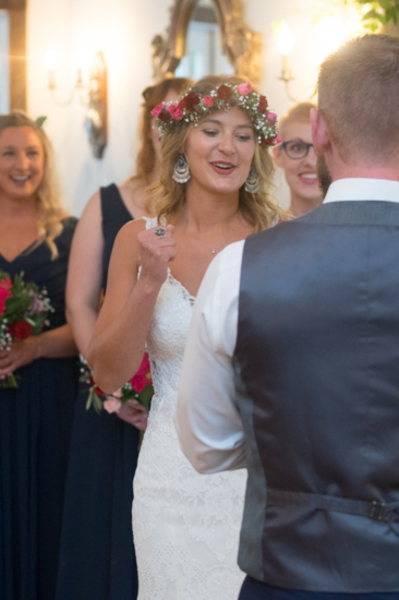 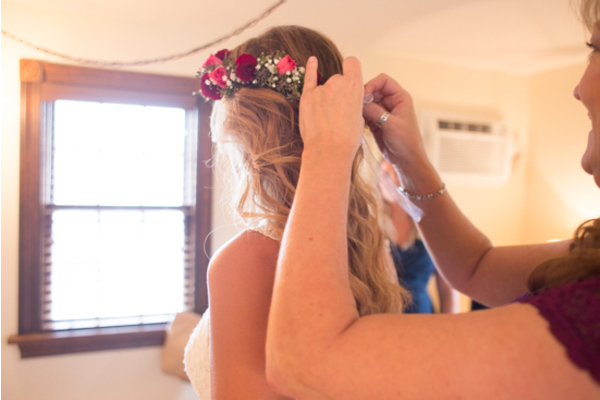 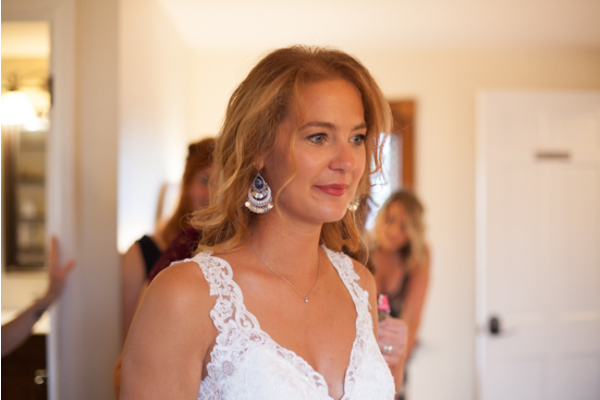 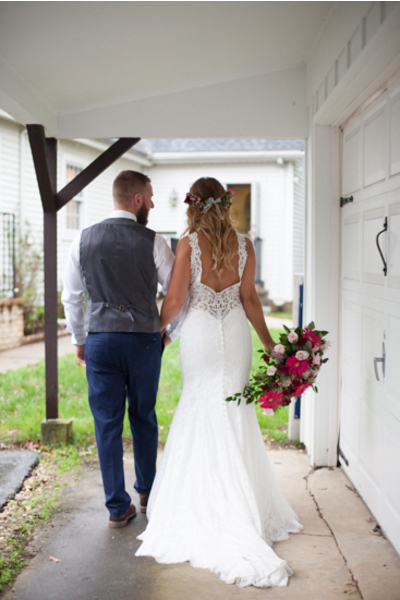 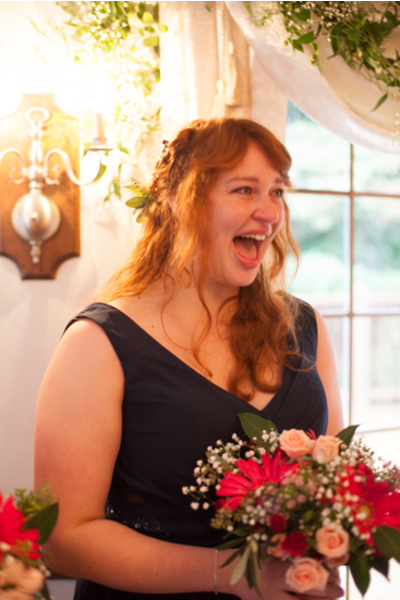 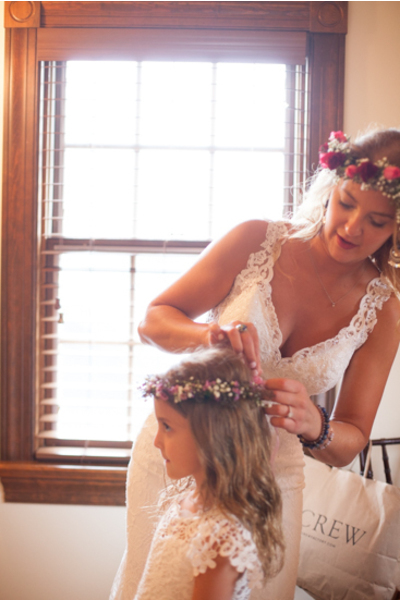 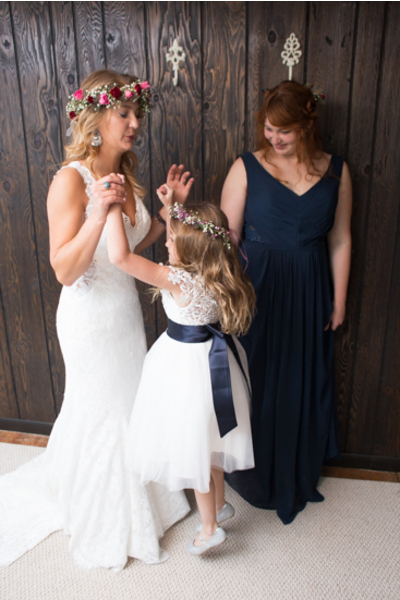 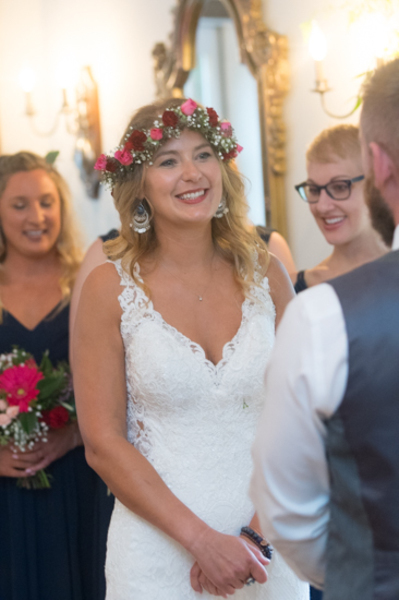 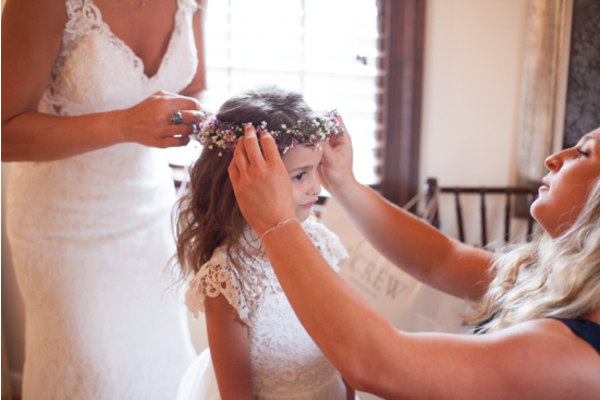 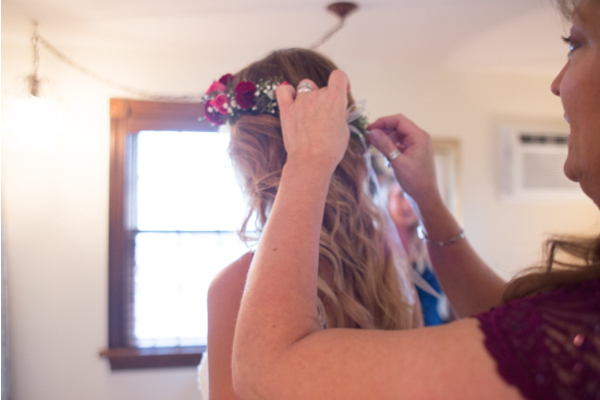 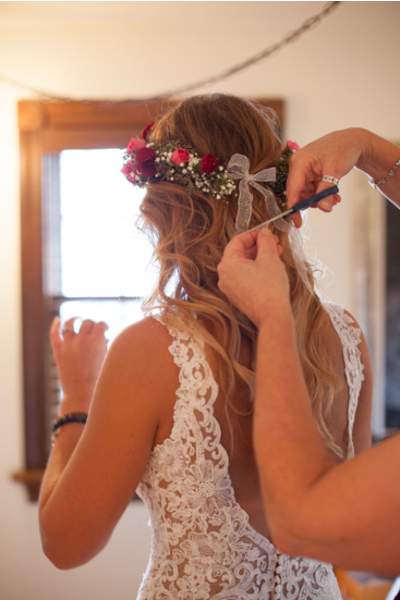 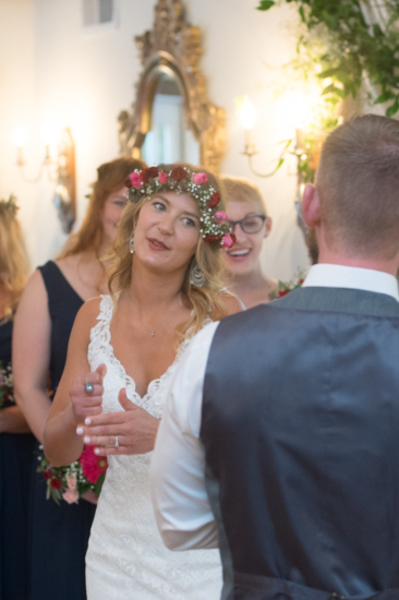 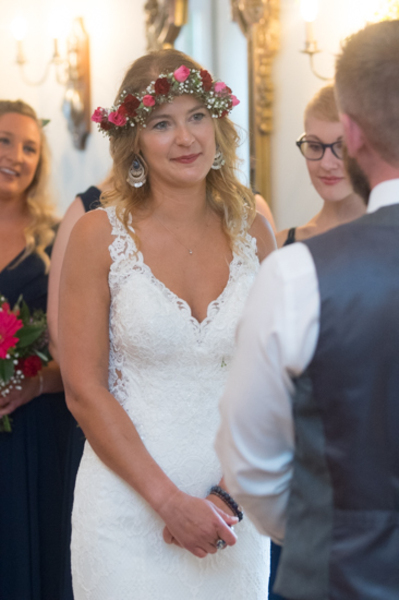 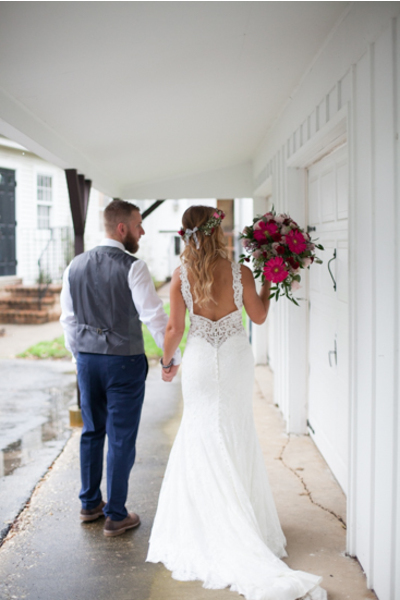 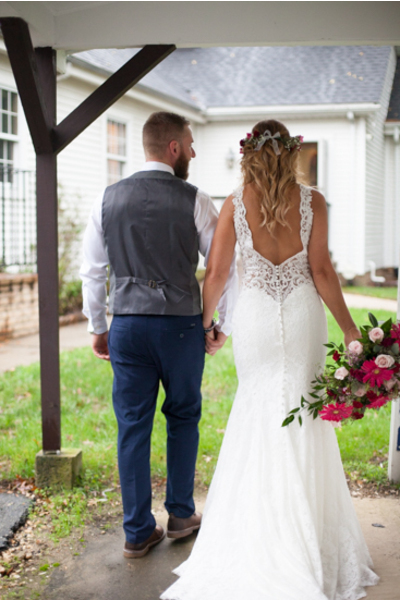 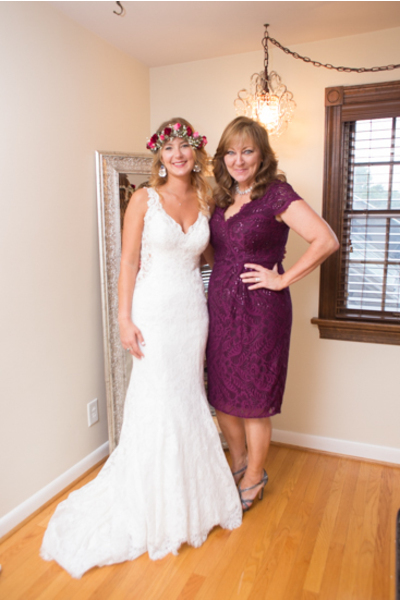 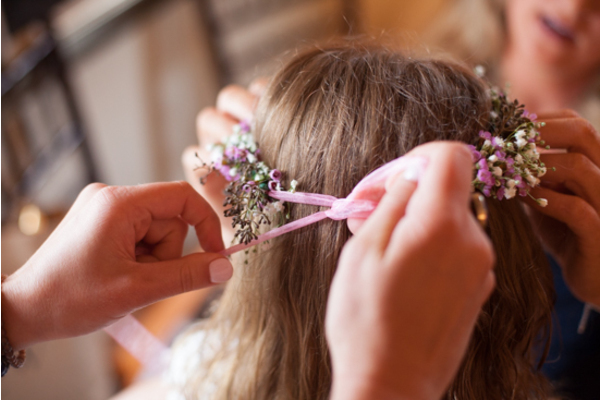 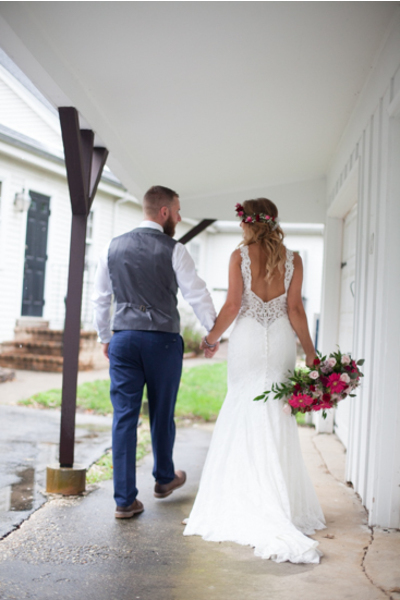 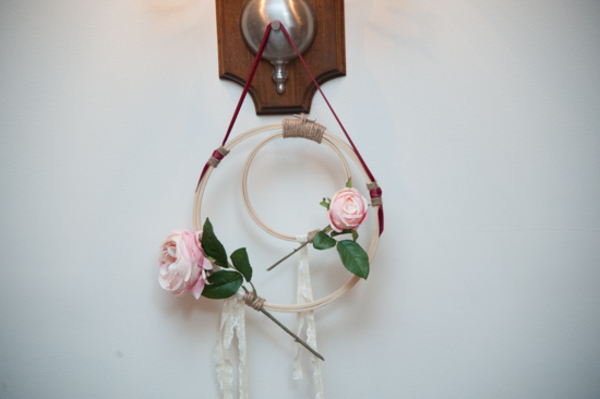 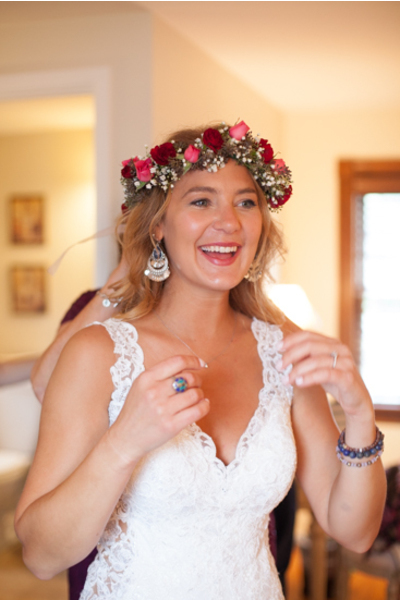 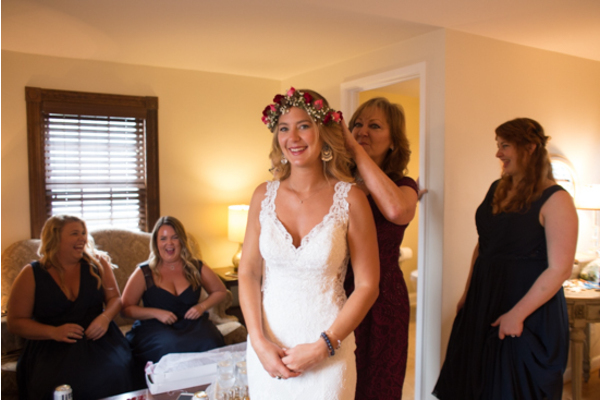 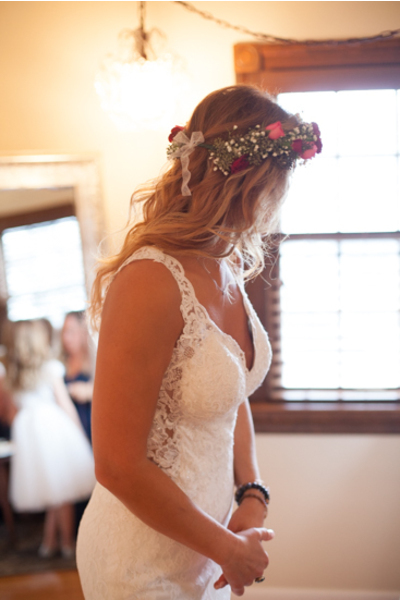 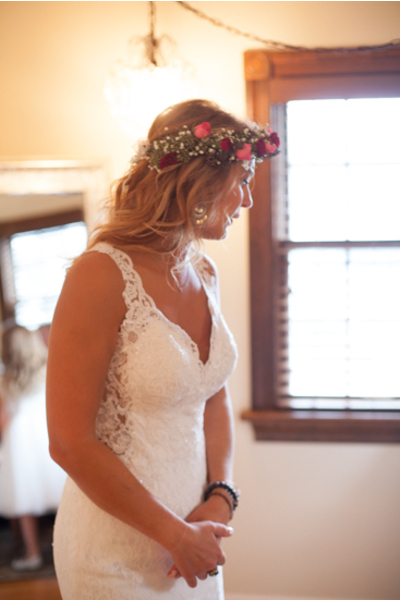 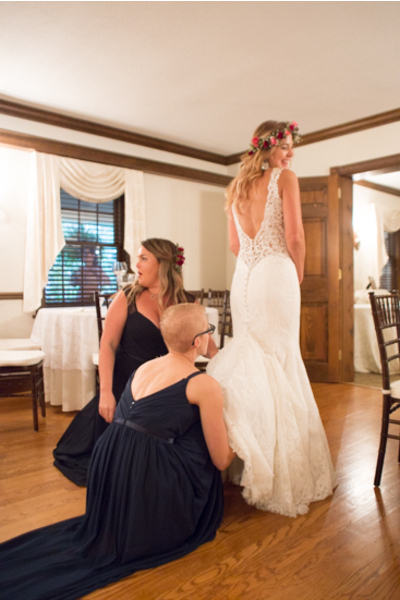 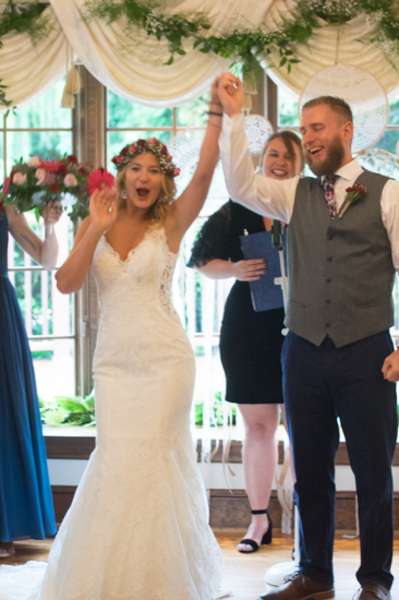 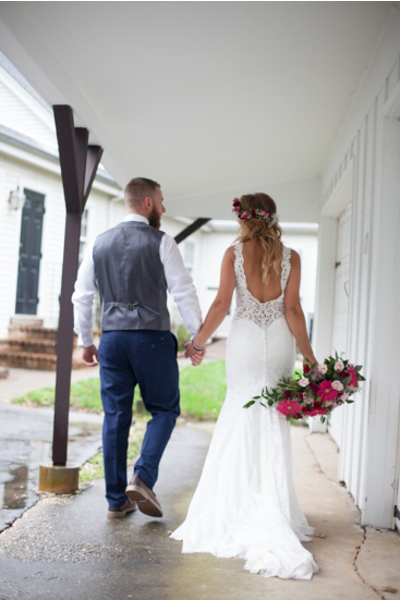 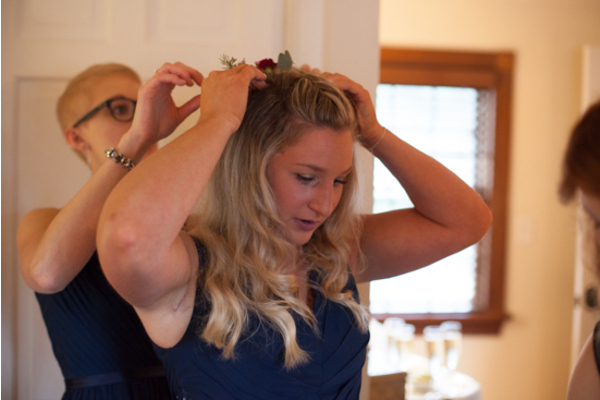 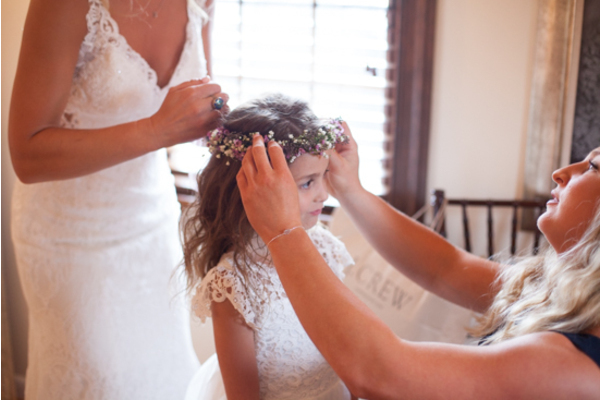 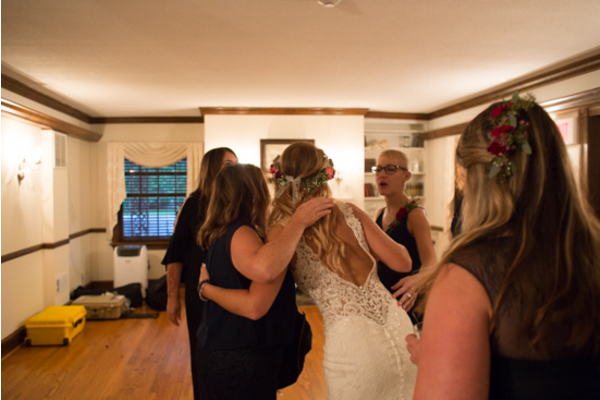 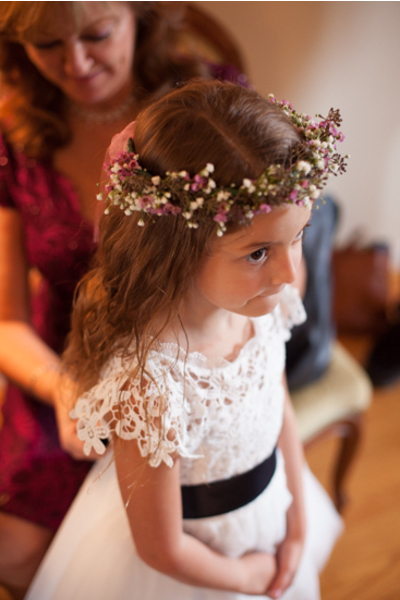 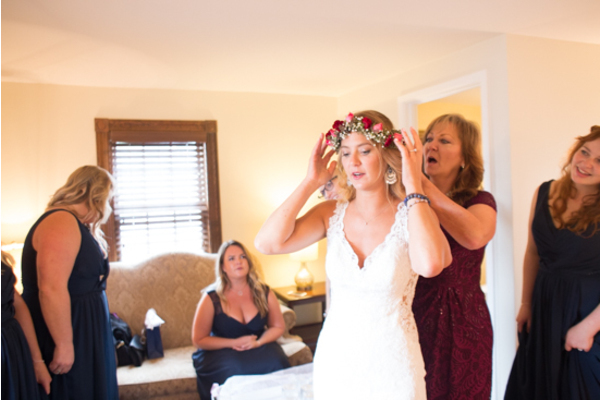 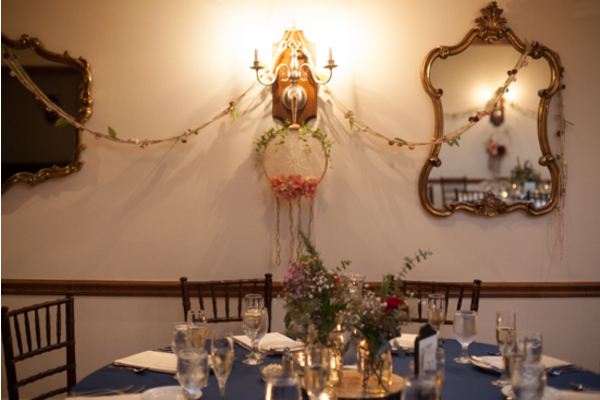 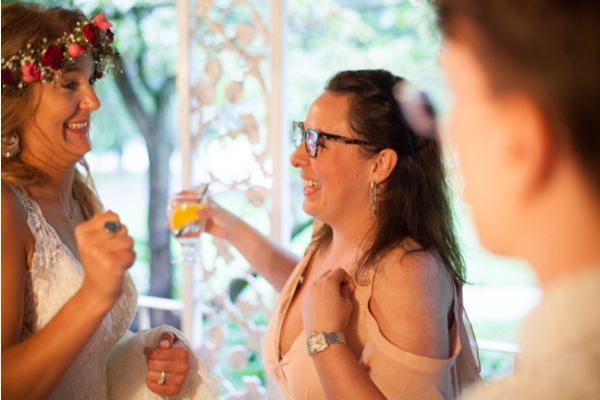 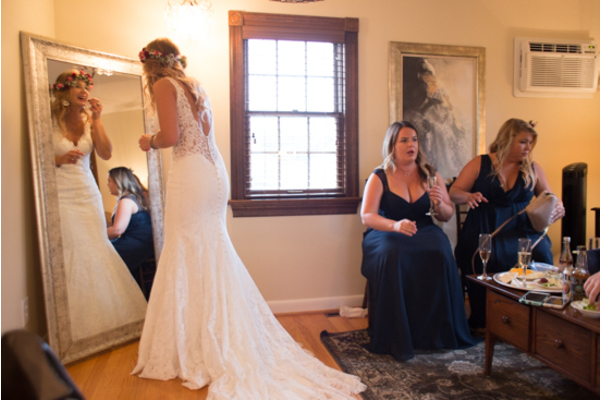 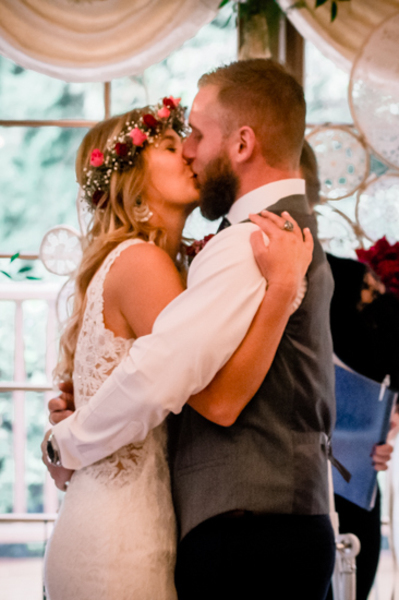 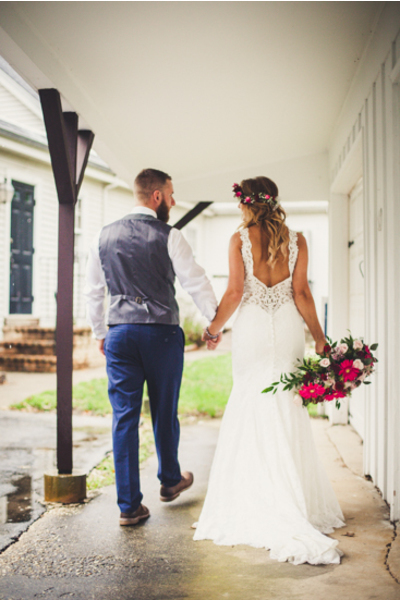 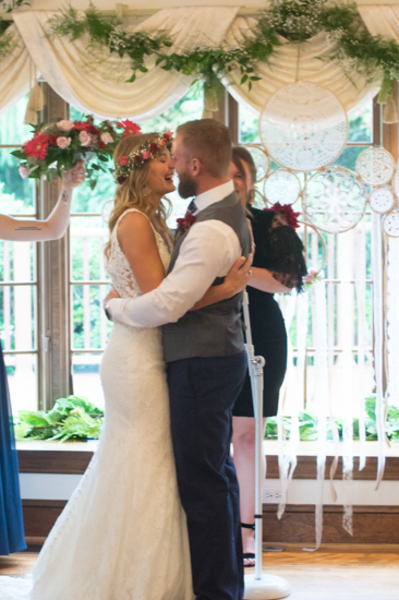 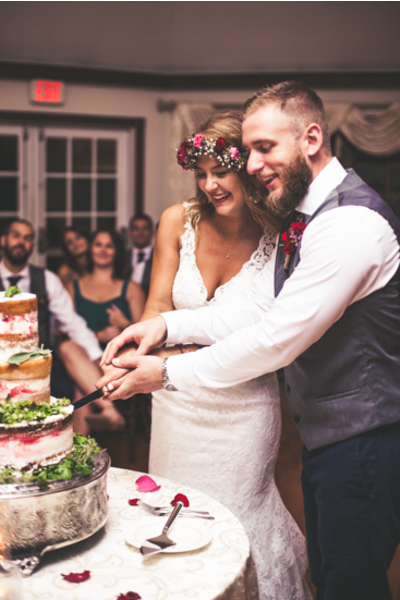 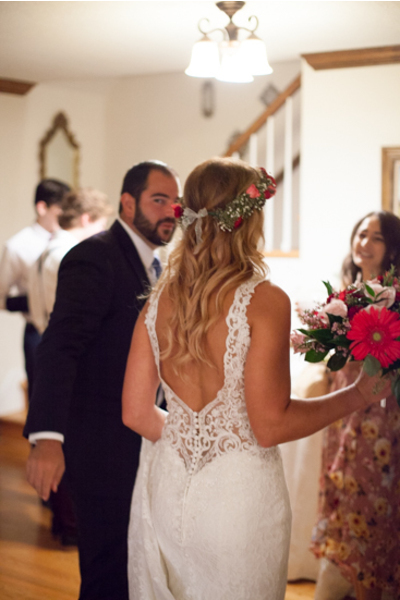 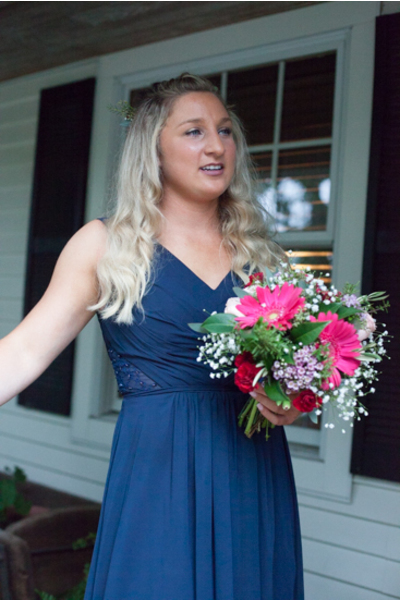 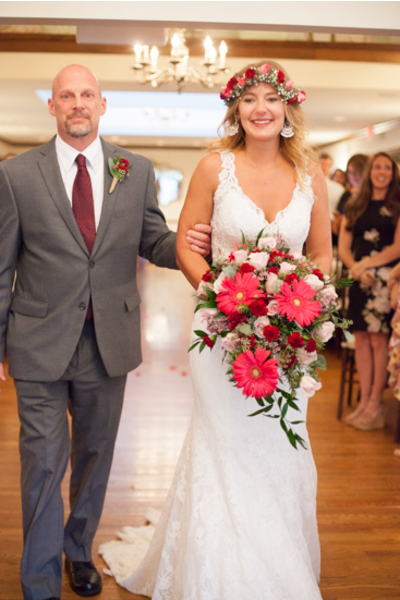 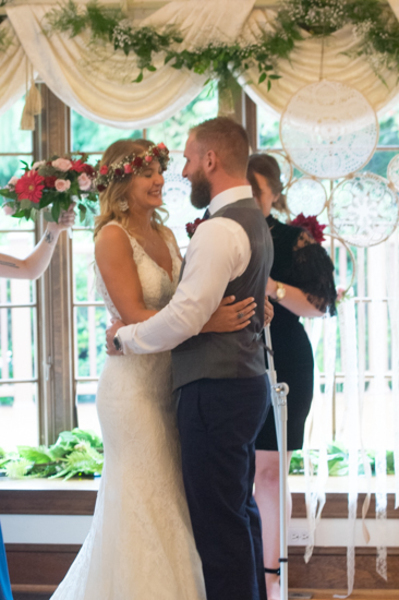 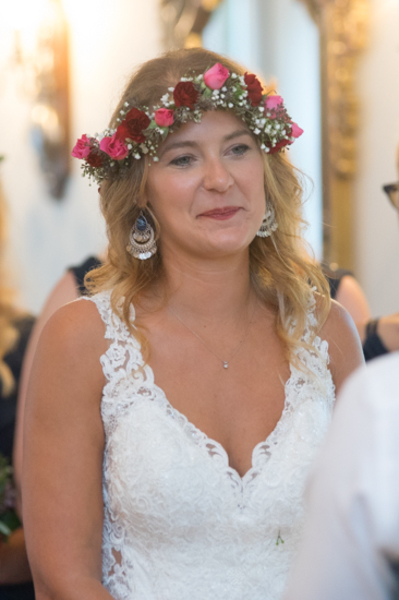 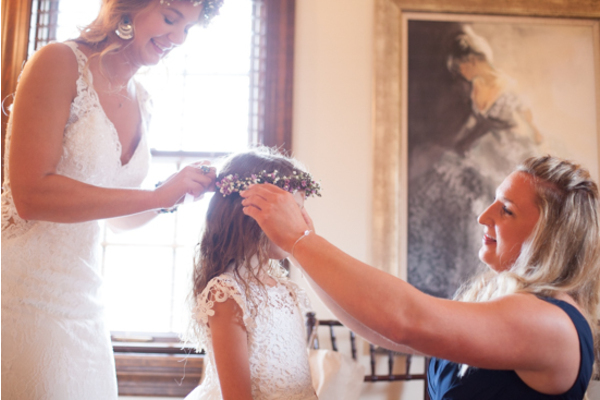 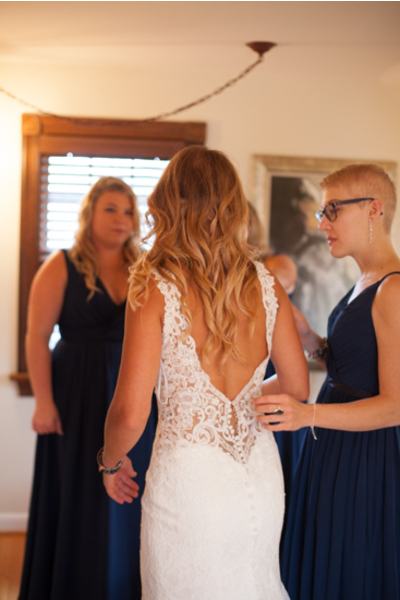 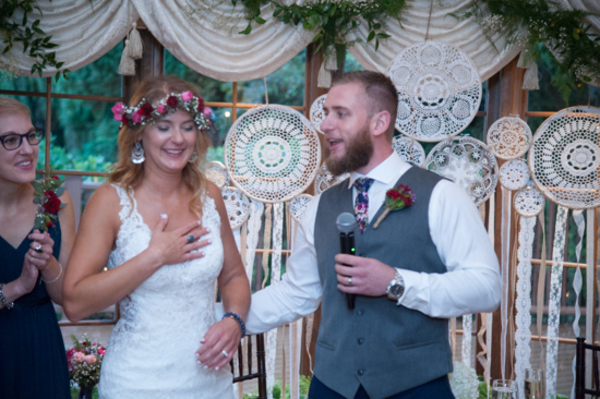 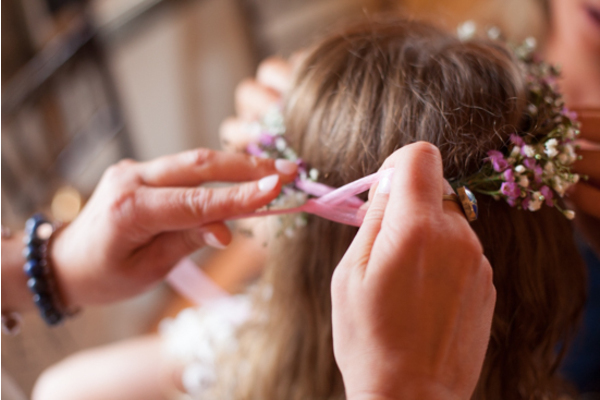 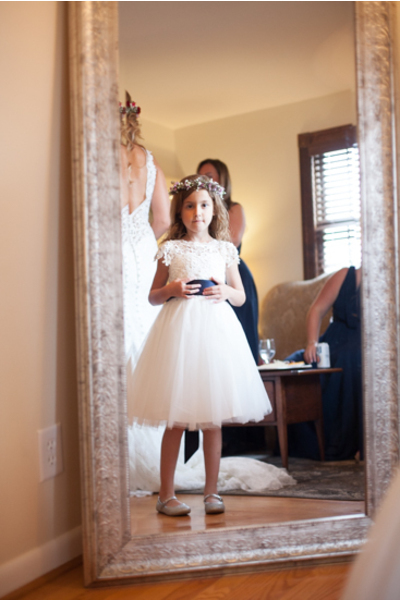 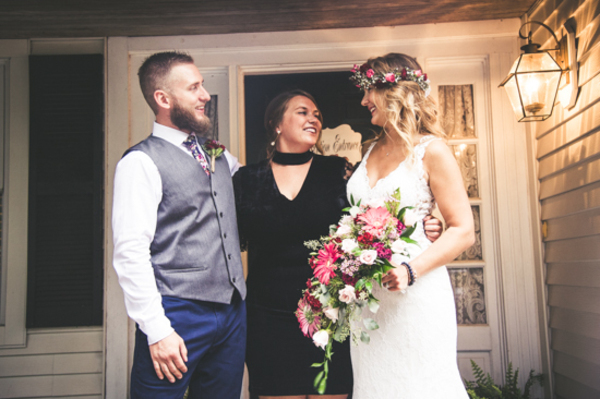 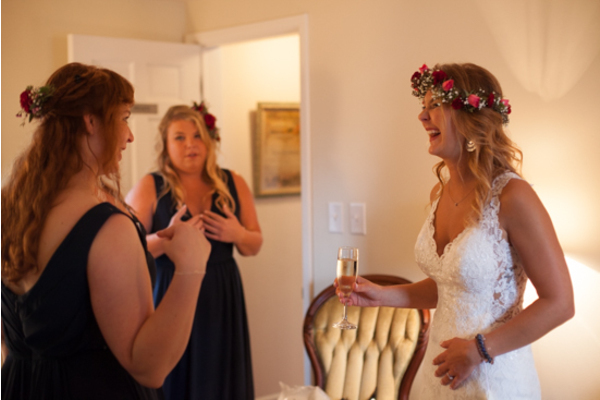 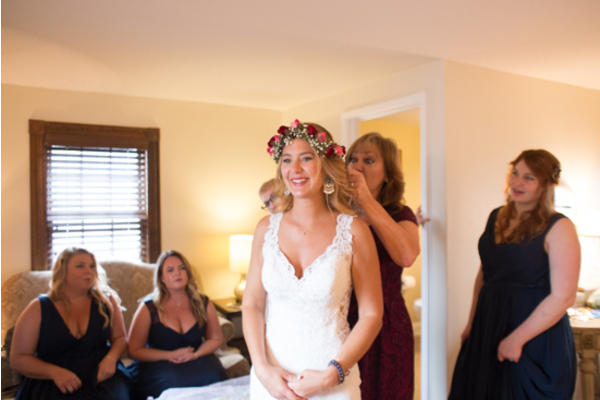 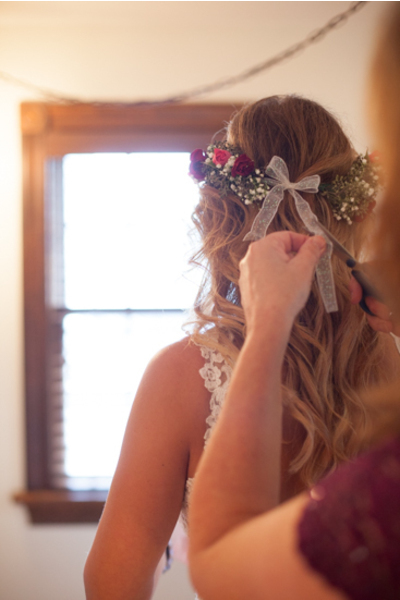 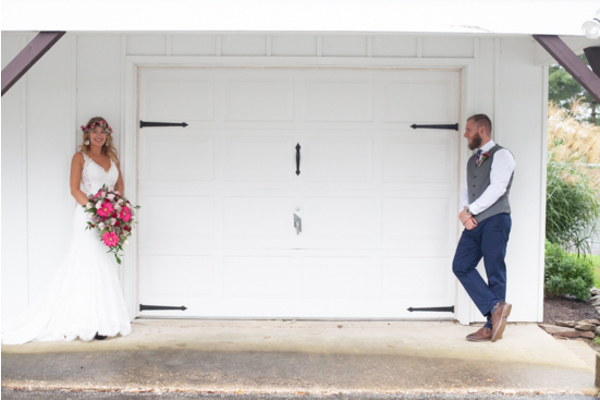 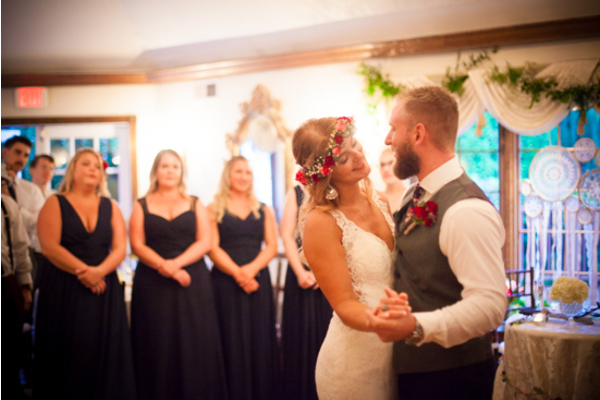 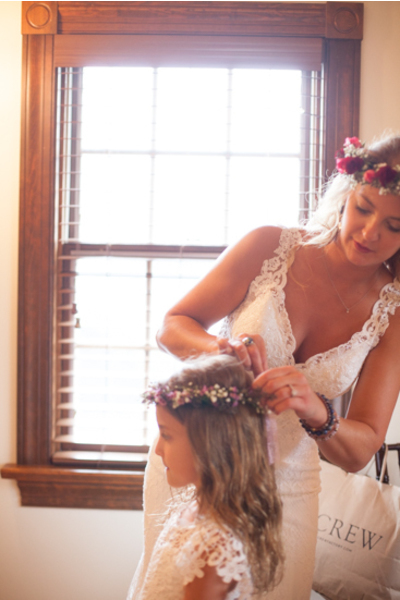 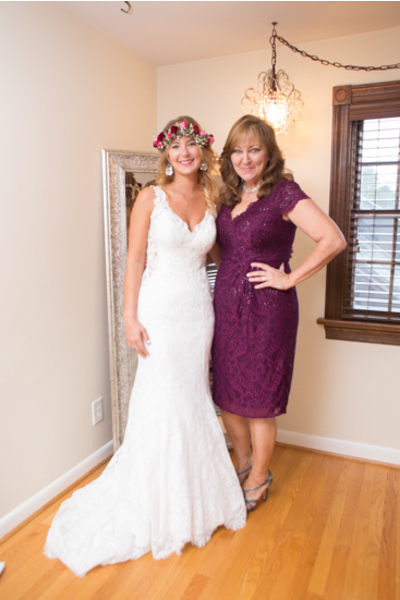 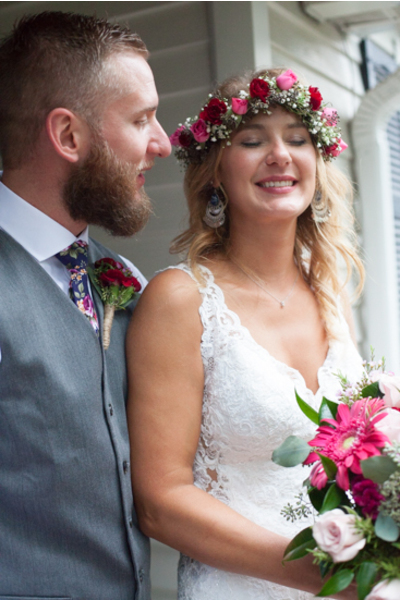 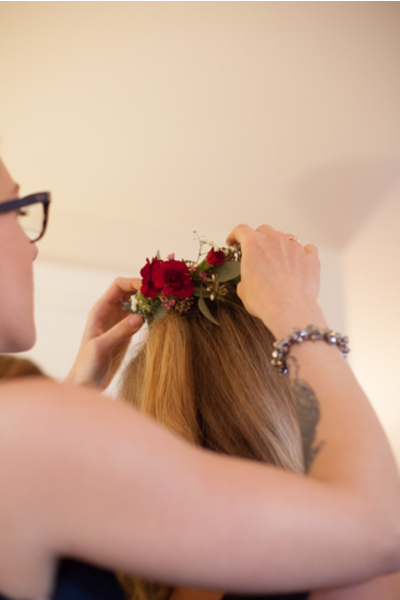 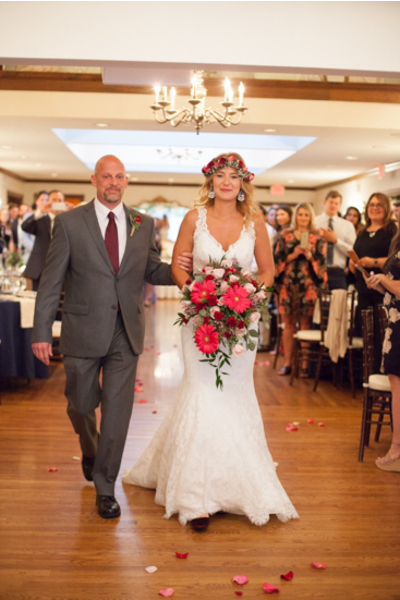 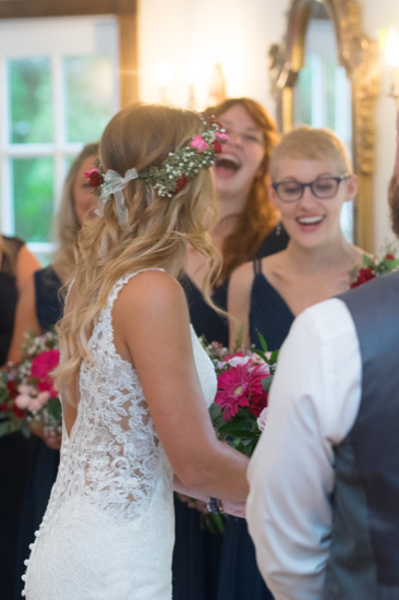 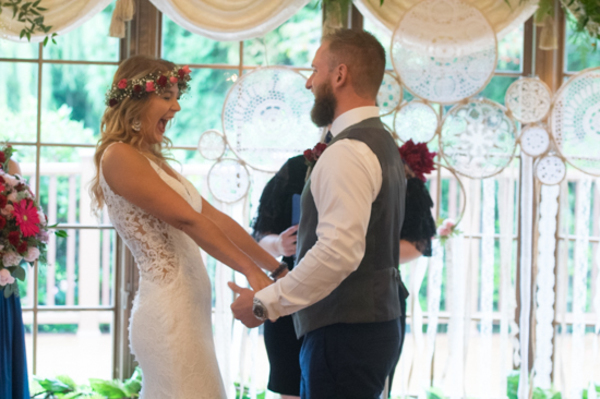 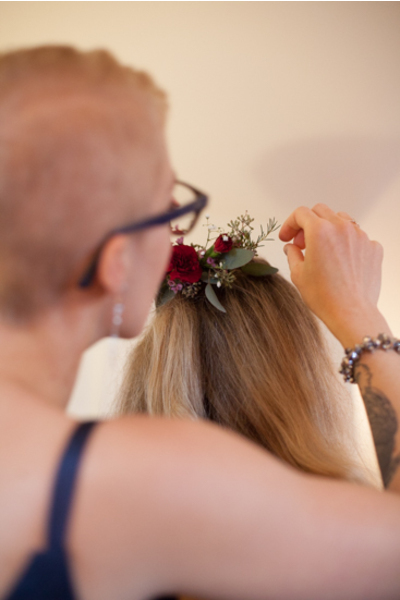 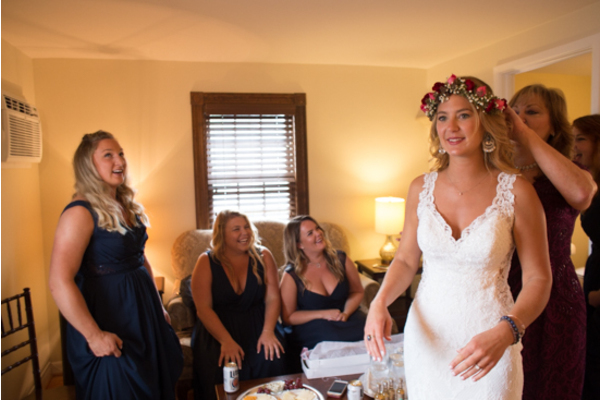 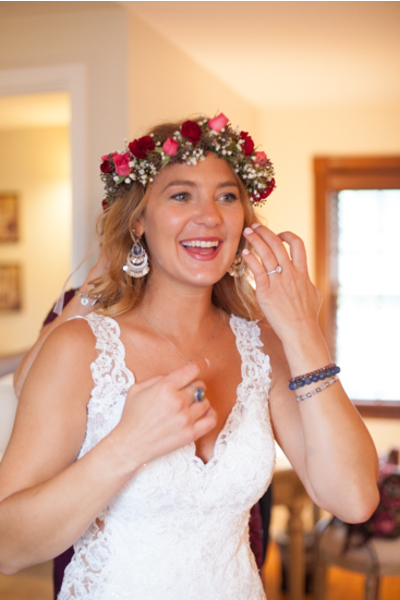 Casey began perfecting her bohemian wedding look by dressing in a beautiful lace gown and an amazing flower crown! 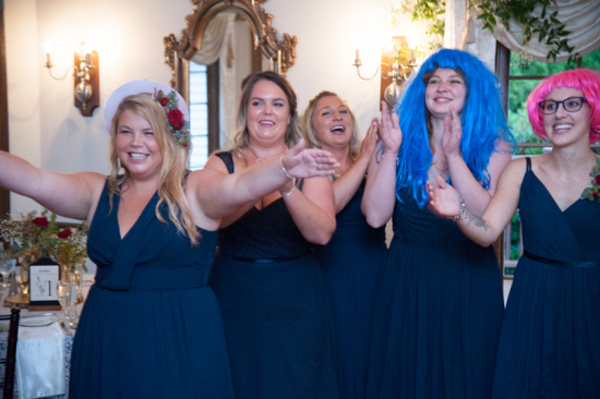 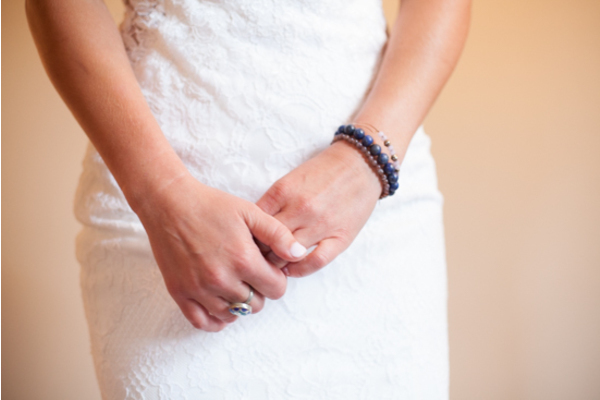 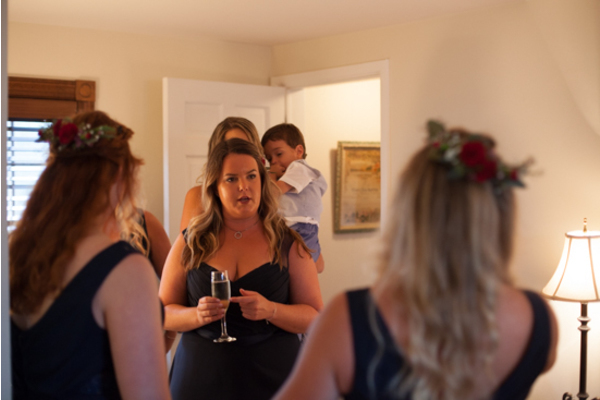 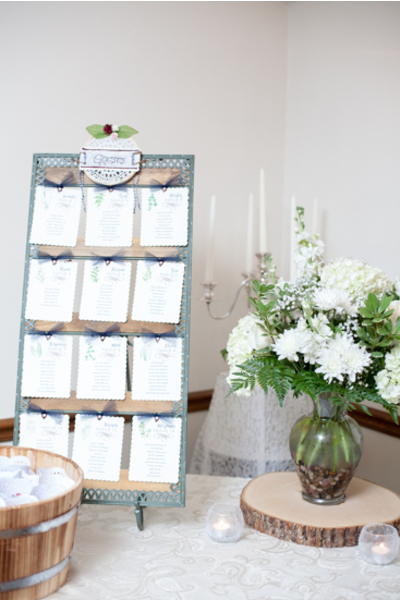 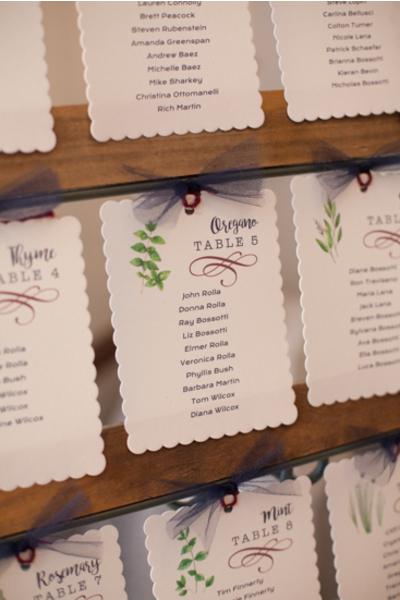 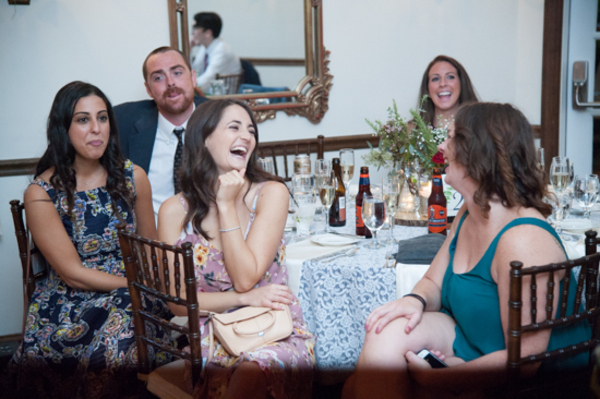 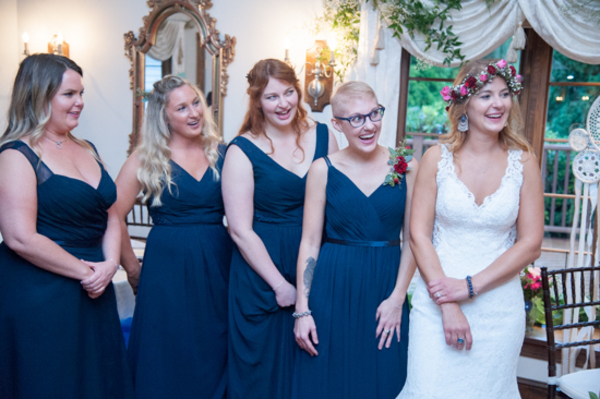 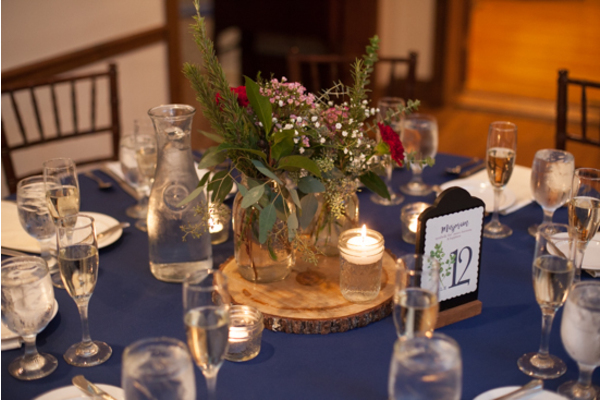 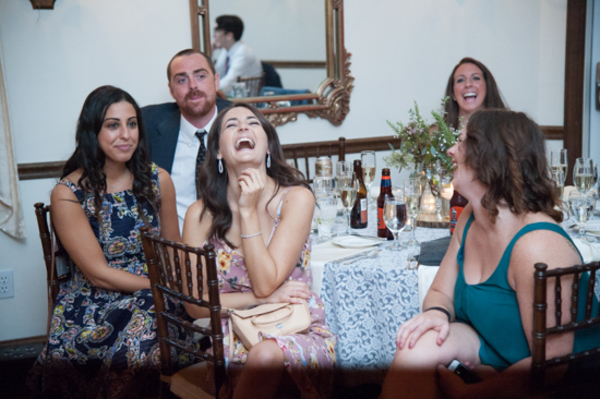 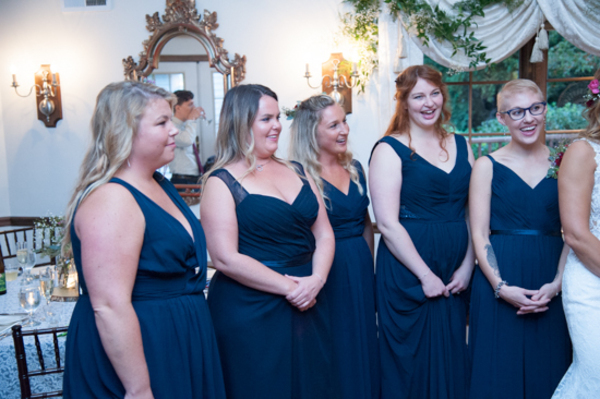 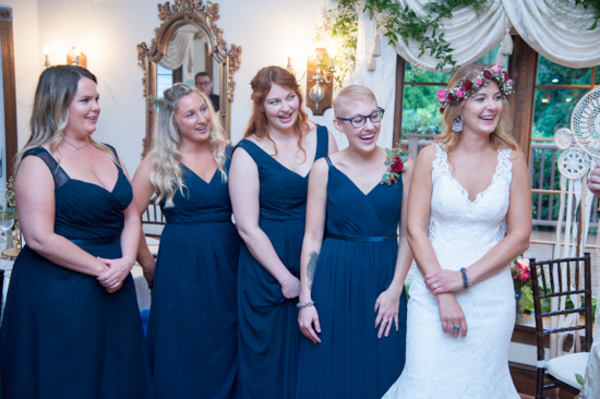 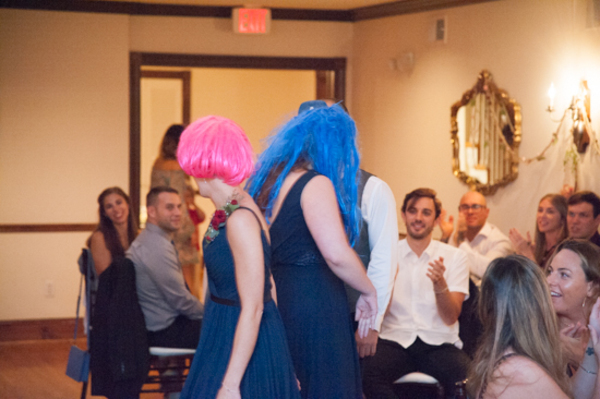 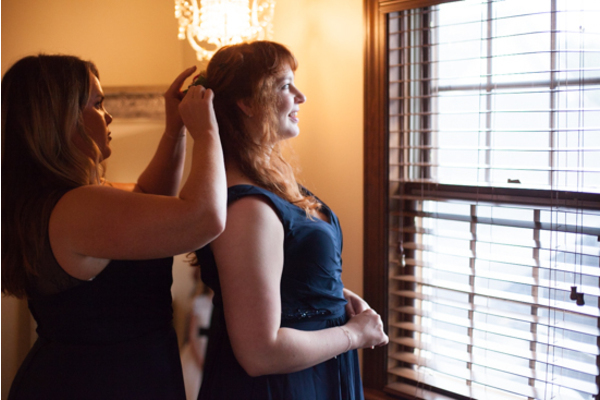 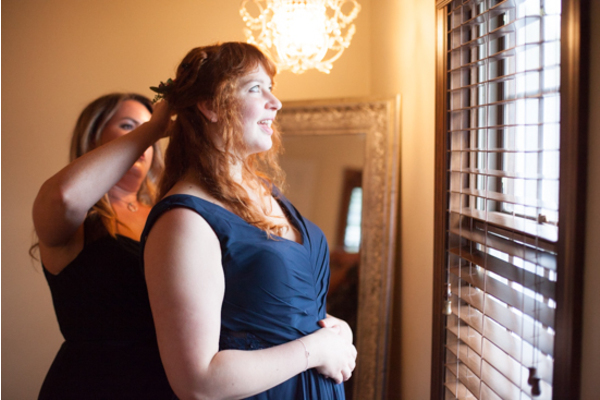 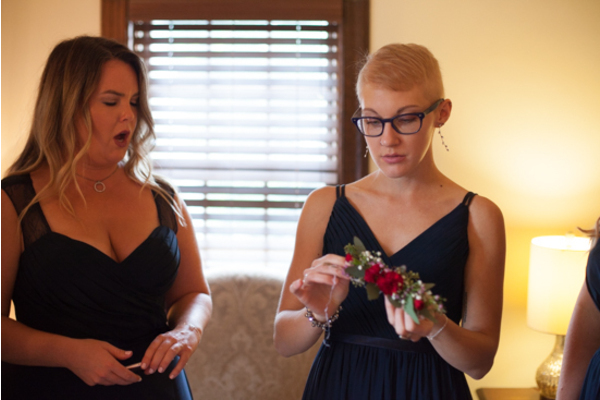 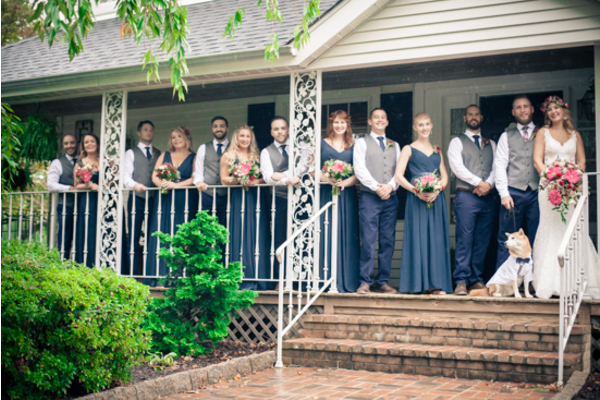 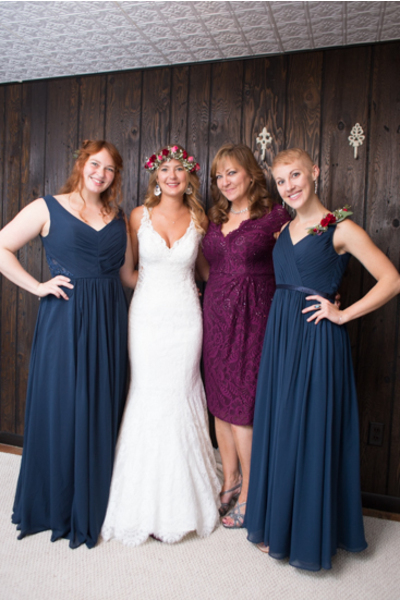 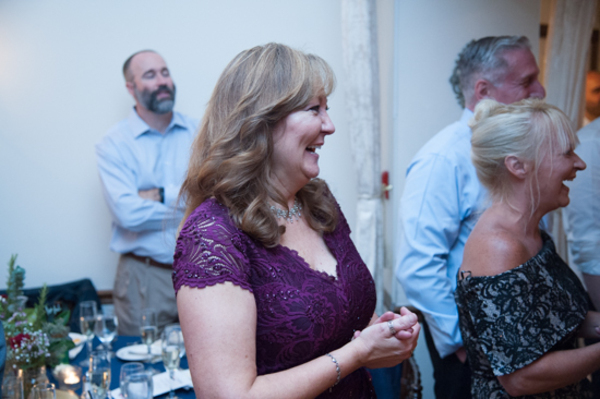 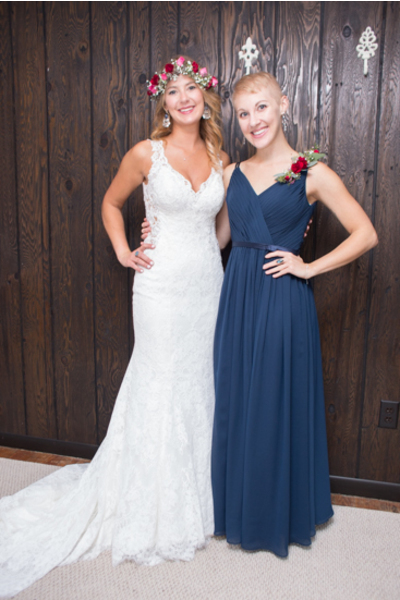 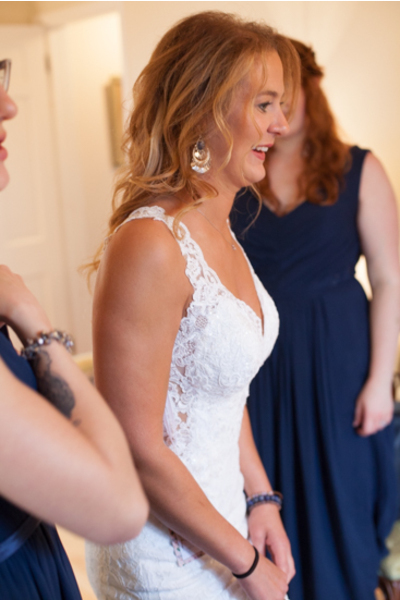 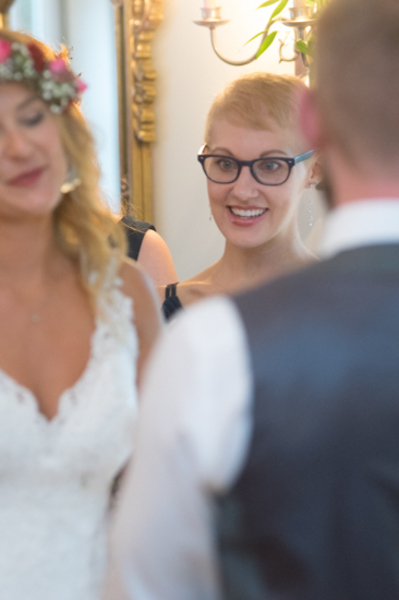 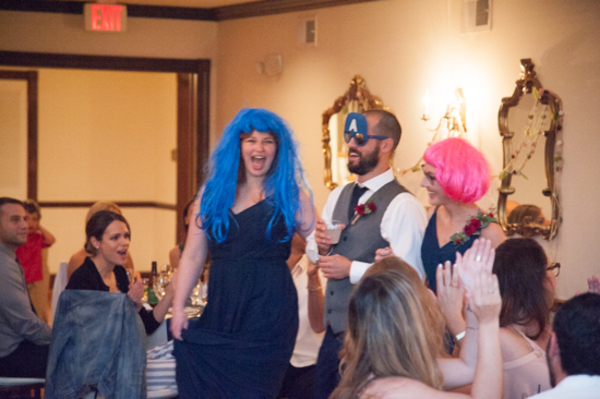 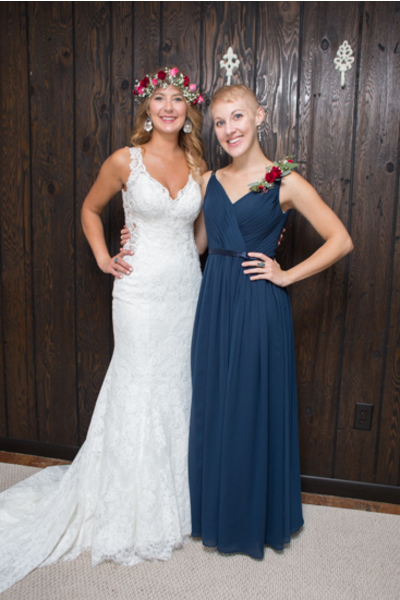 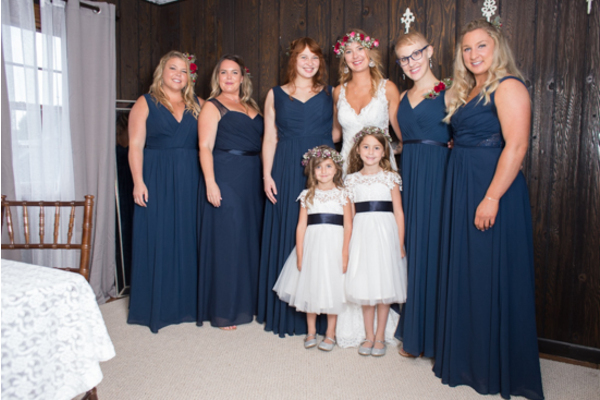 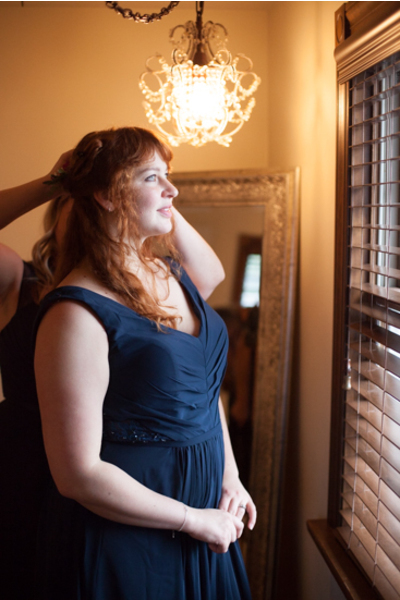 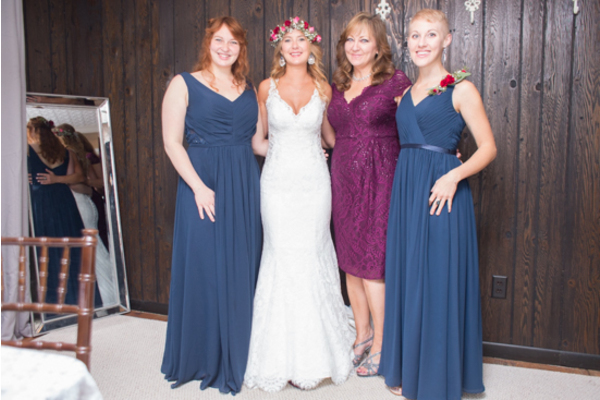 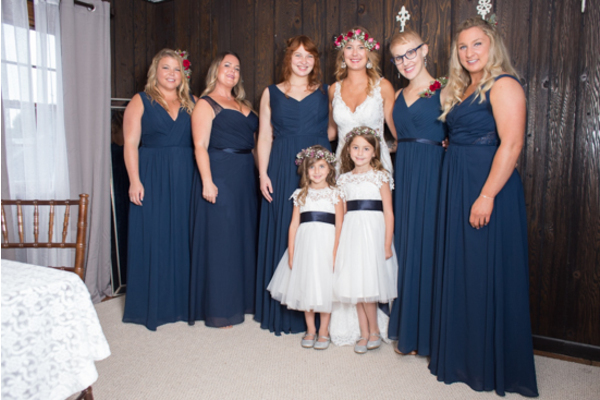 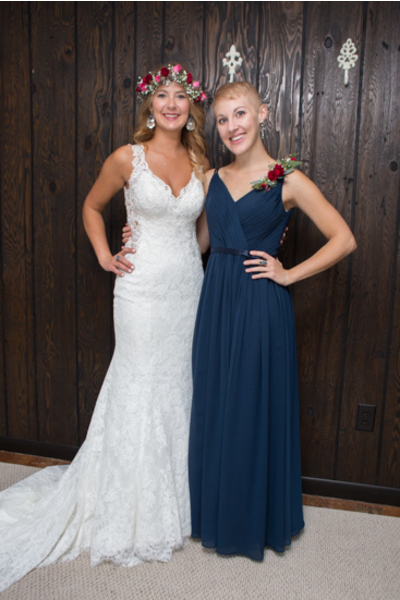 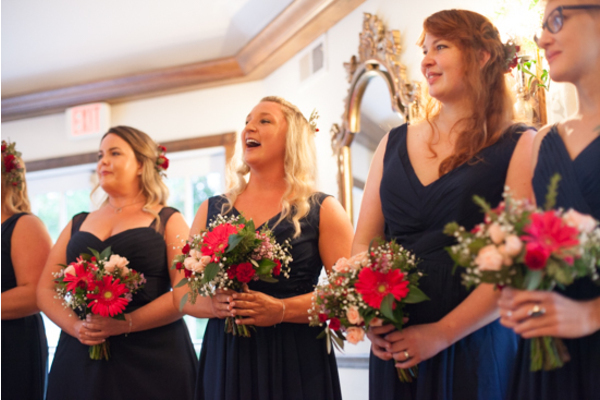 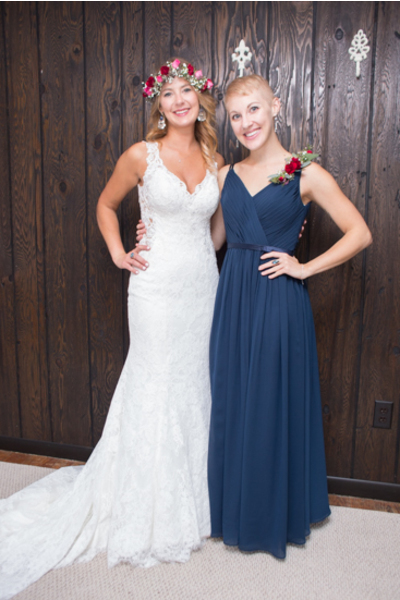 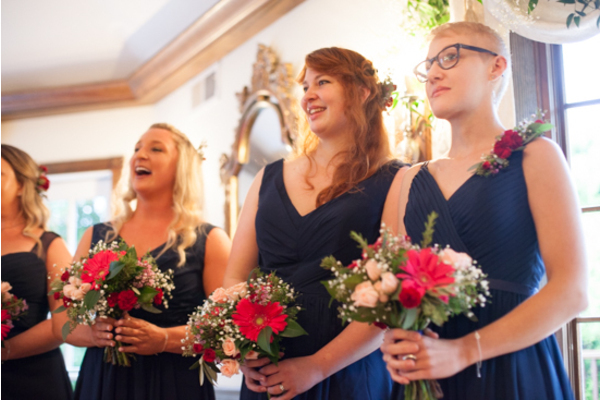 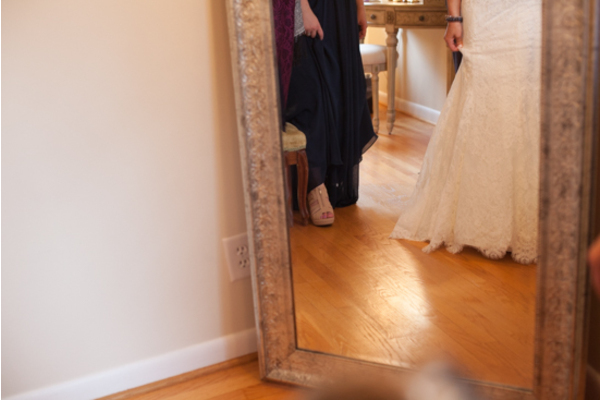 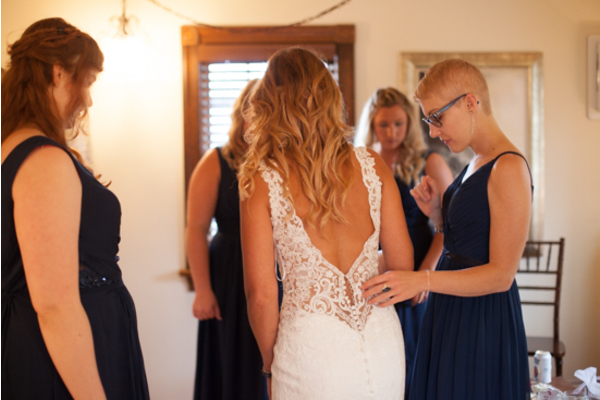 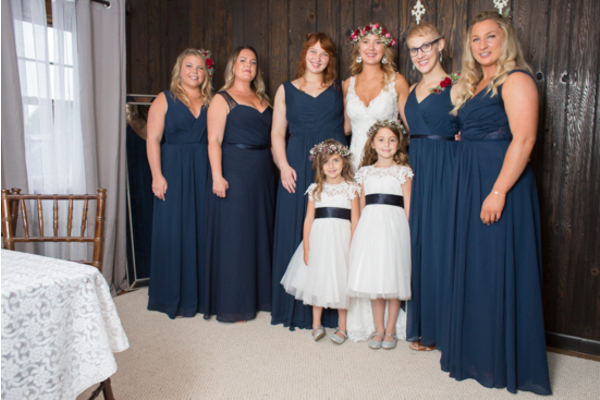 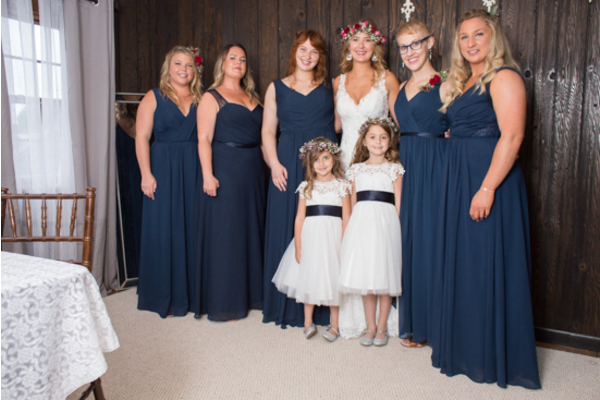 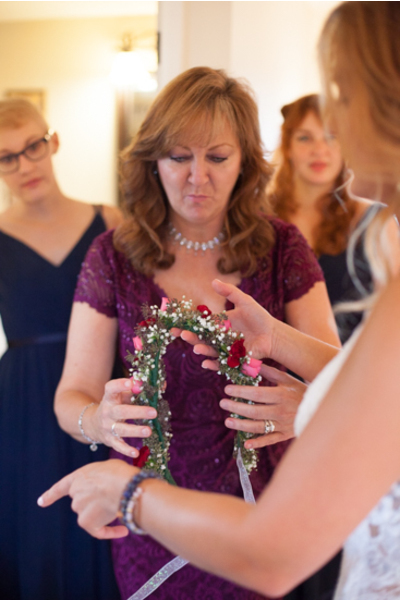 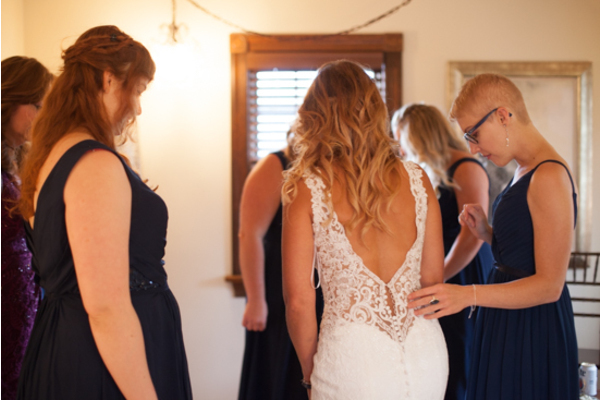 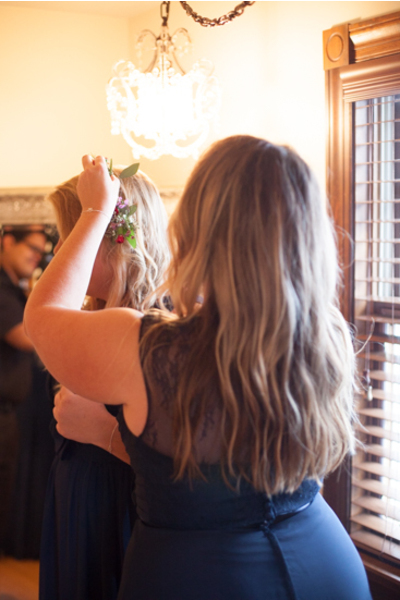 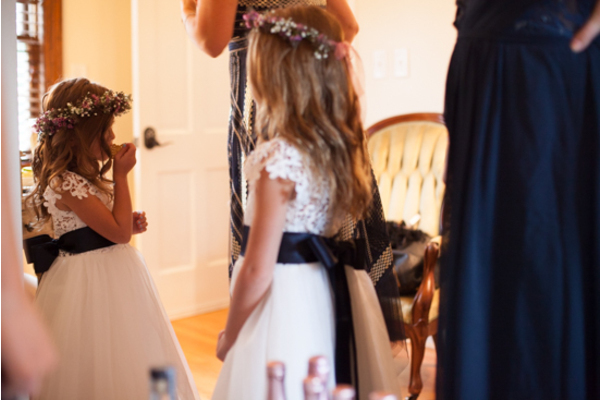 Her bridal party wore lovely navy blue dresses to accent. 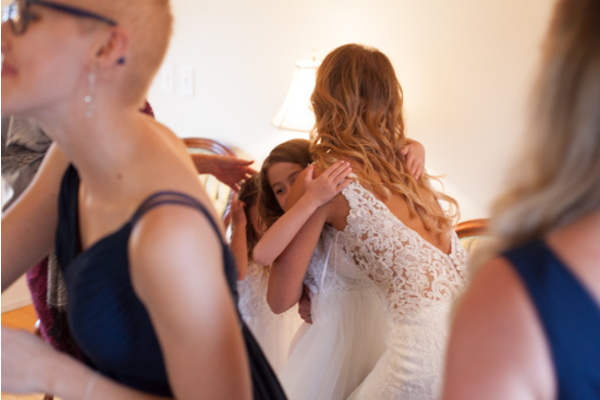 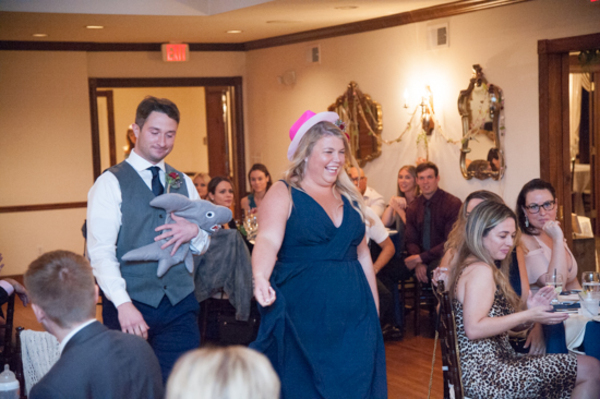 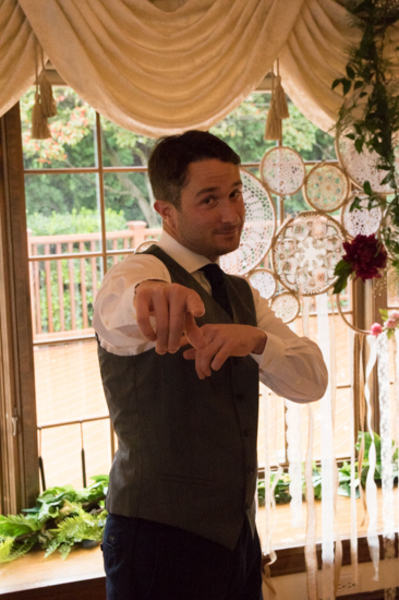 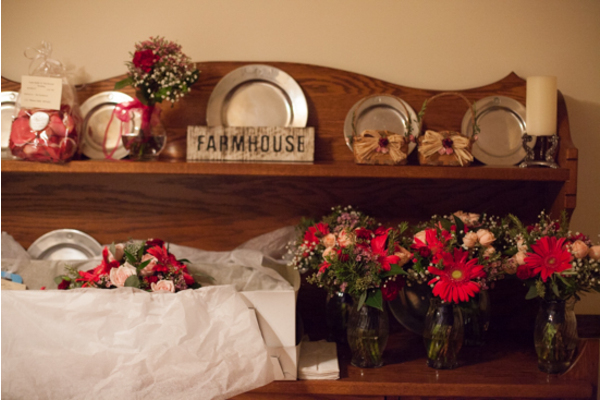 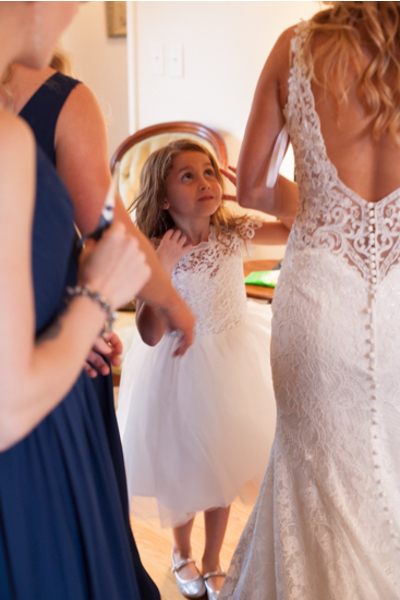 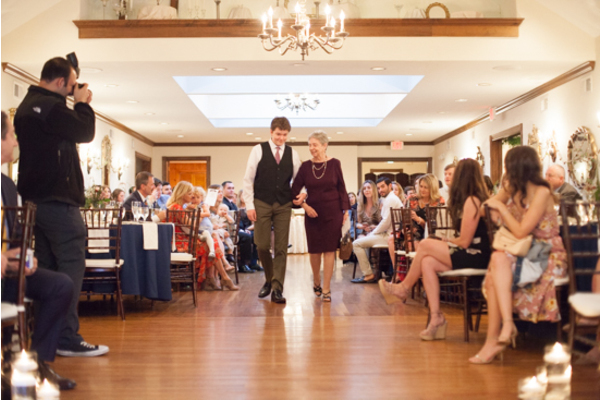 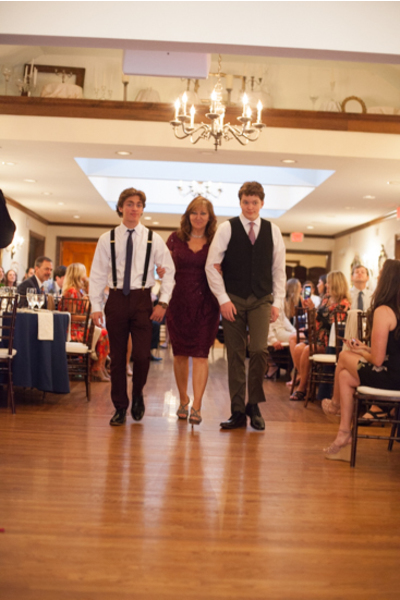 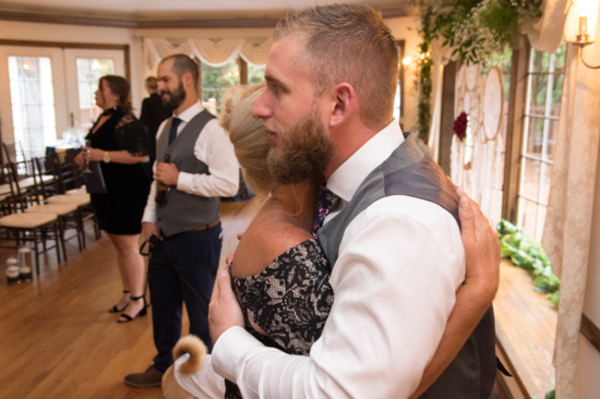 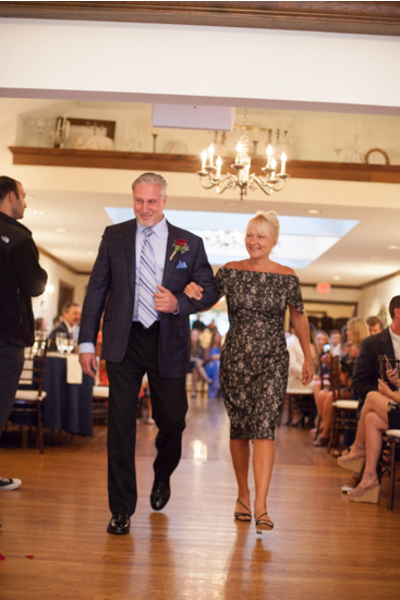 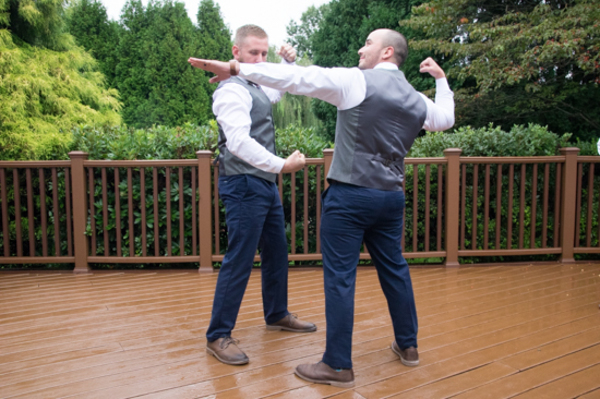 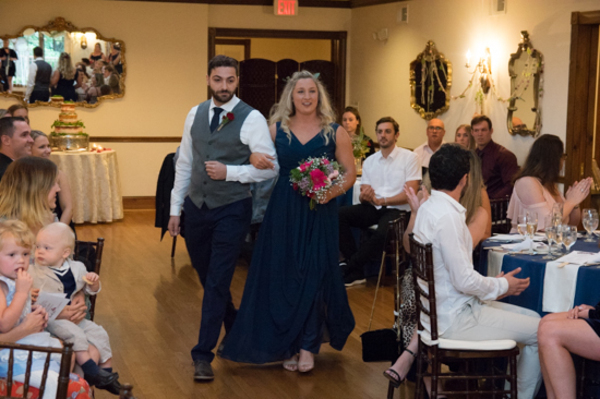 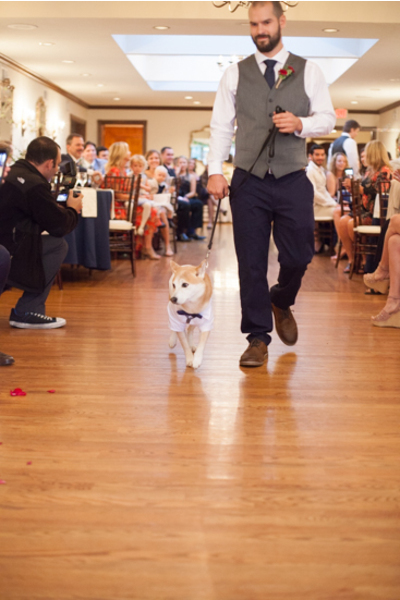 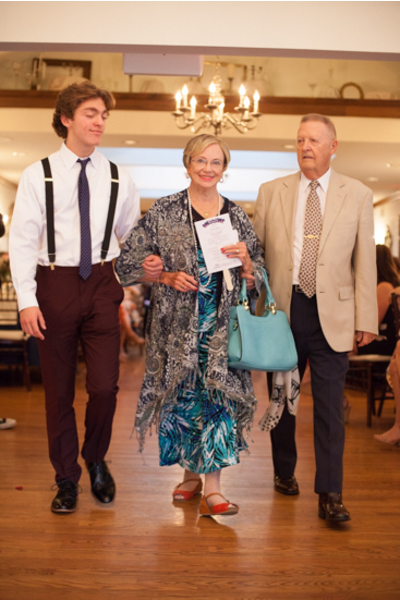 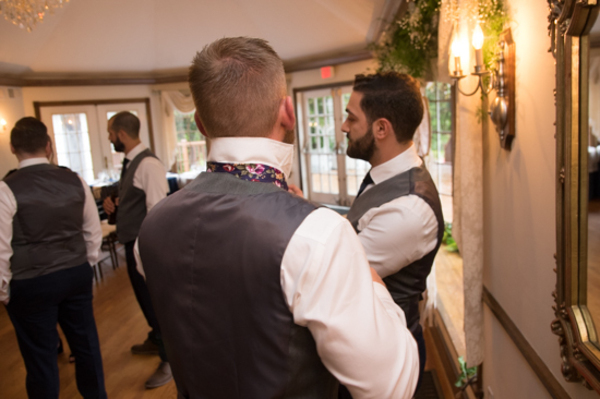 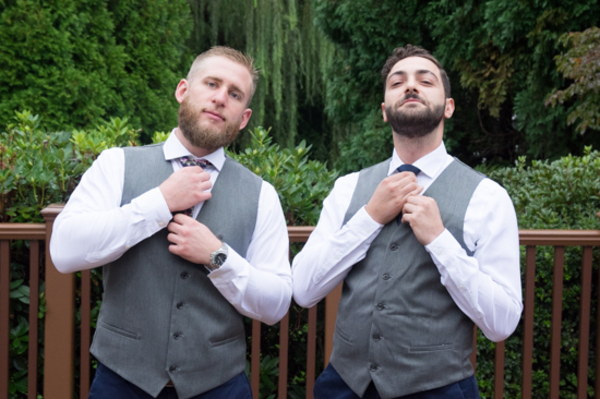 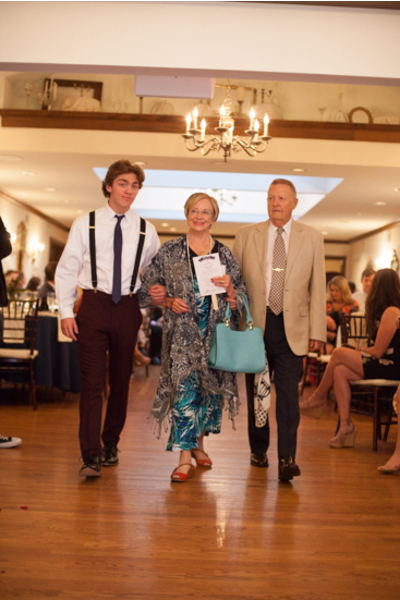 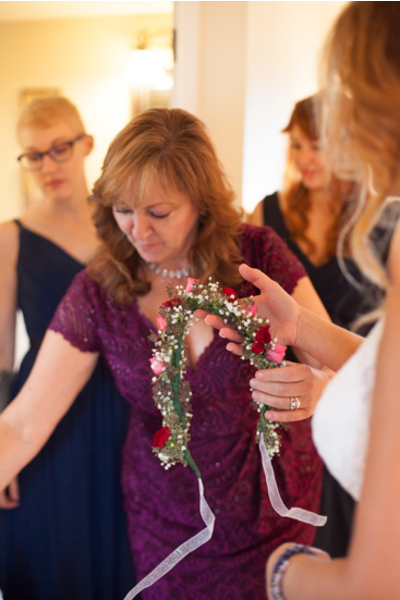 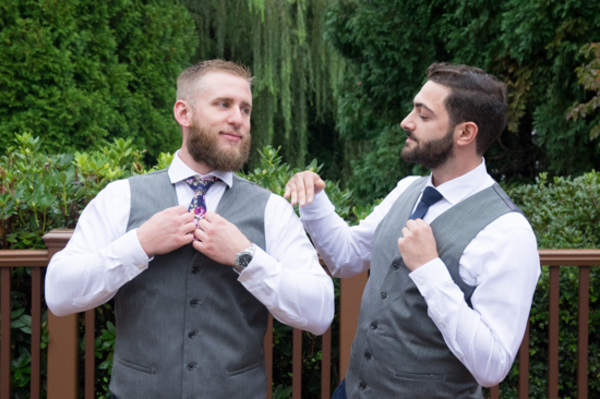 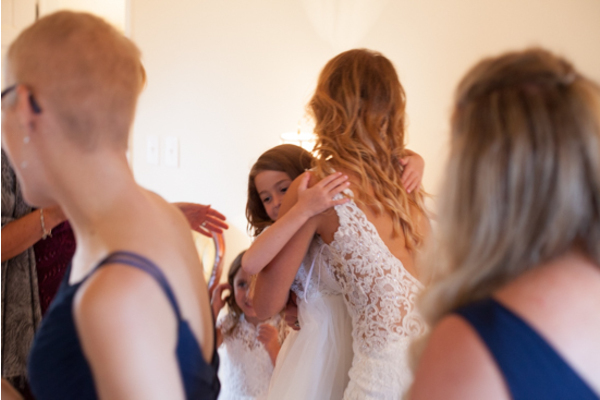 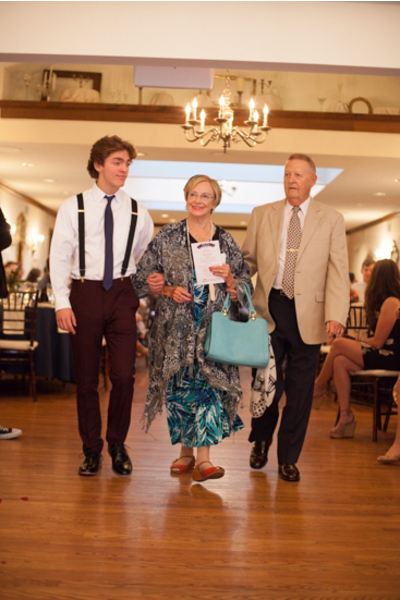 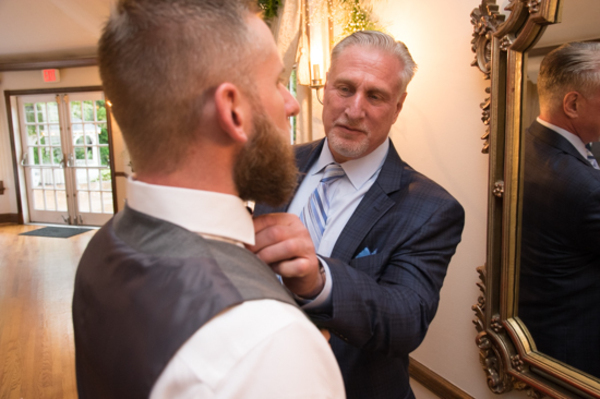 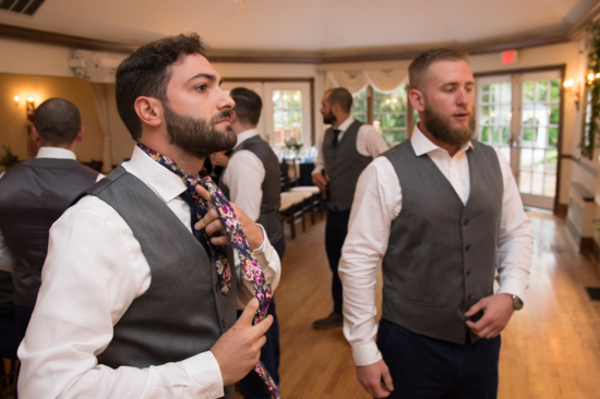 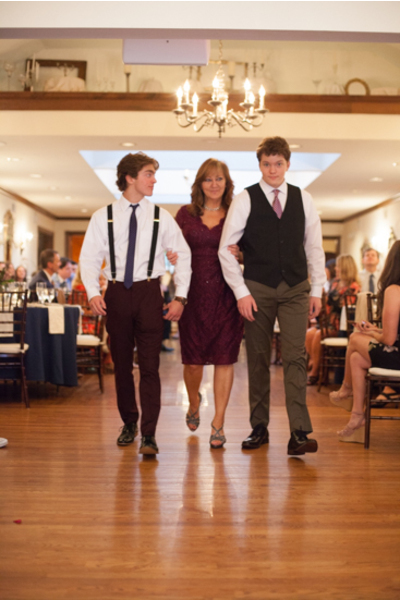 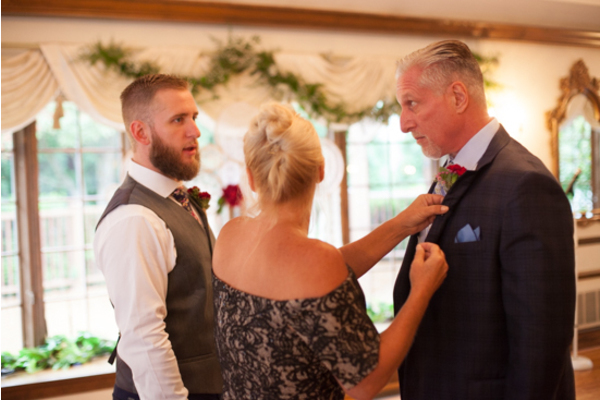 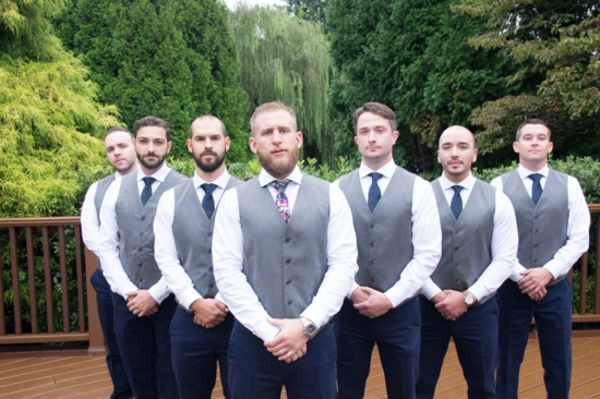 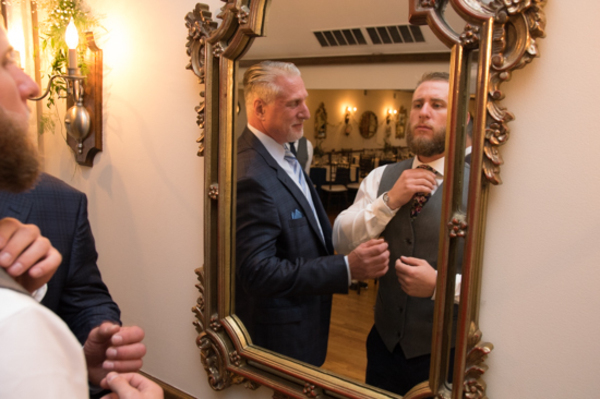 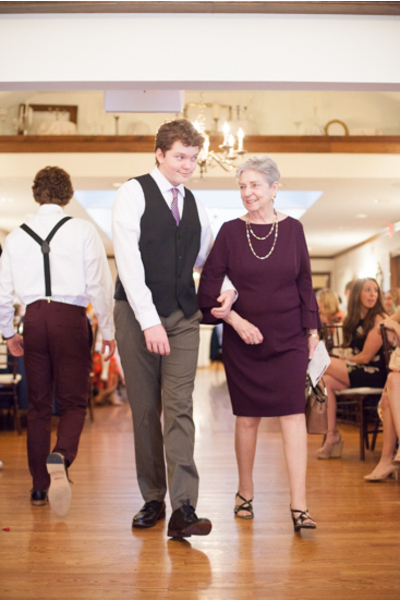 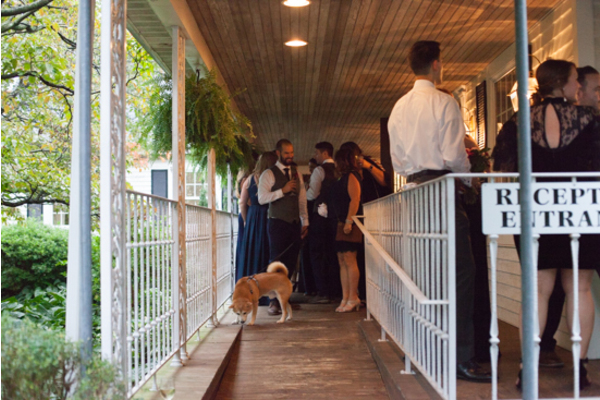 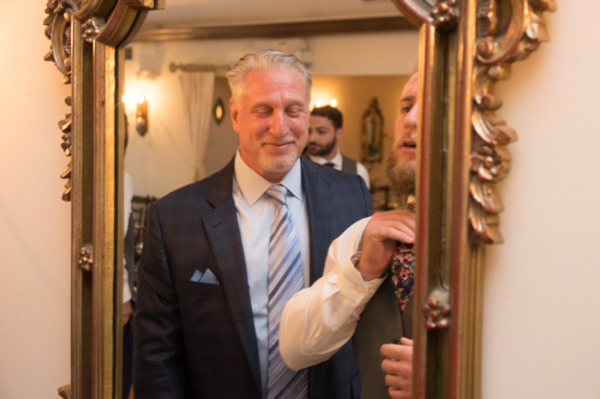 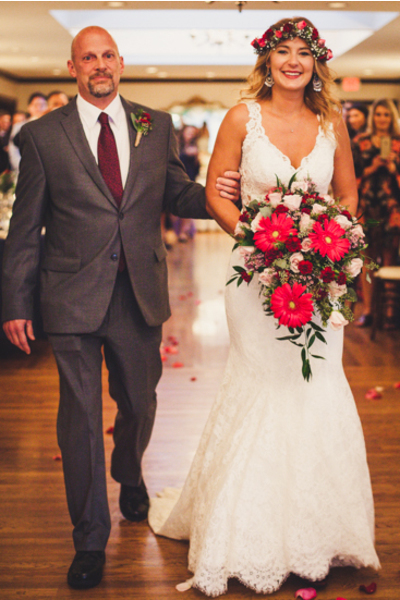 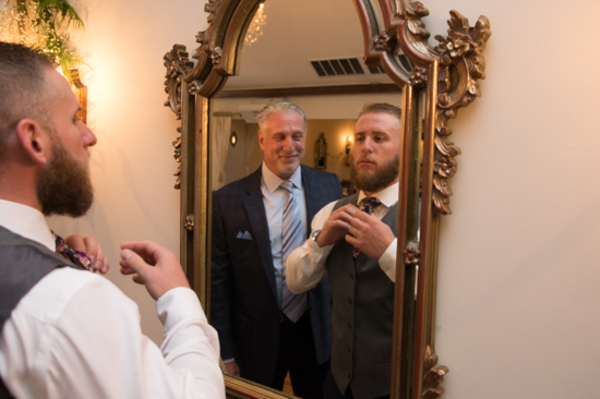 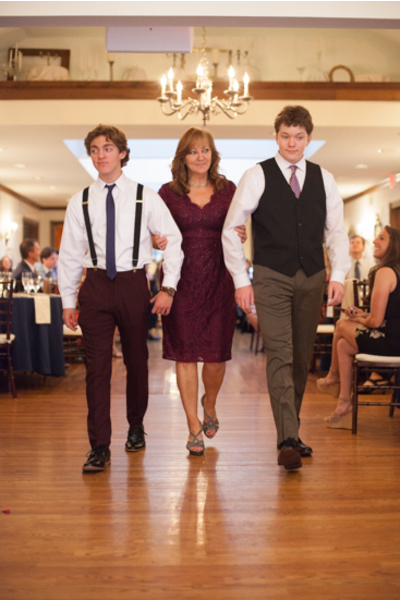 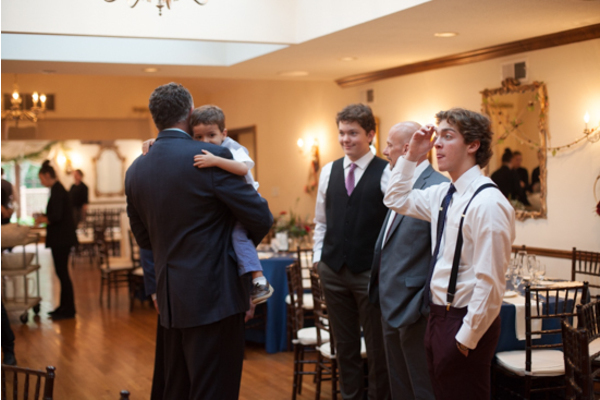 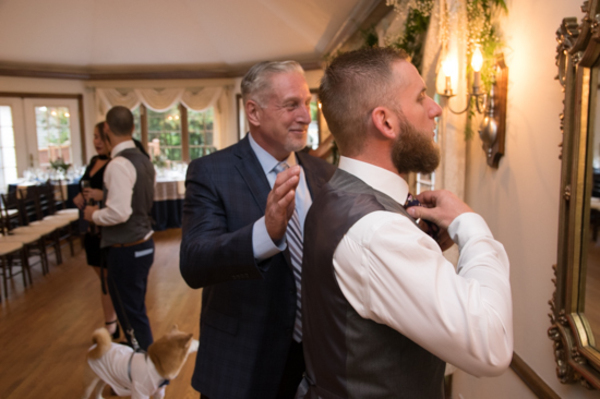 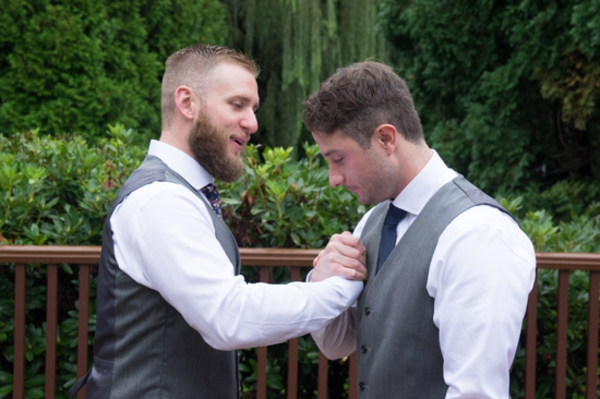 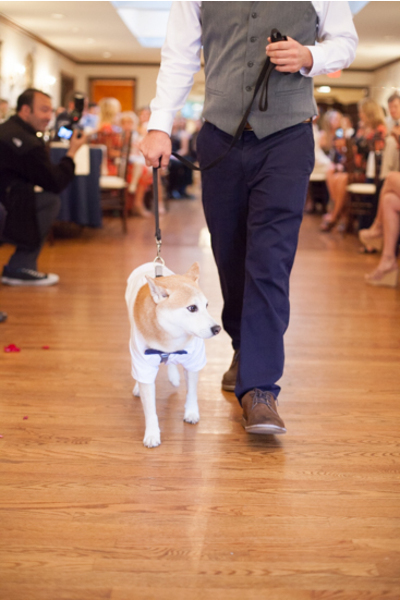 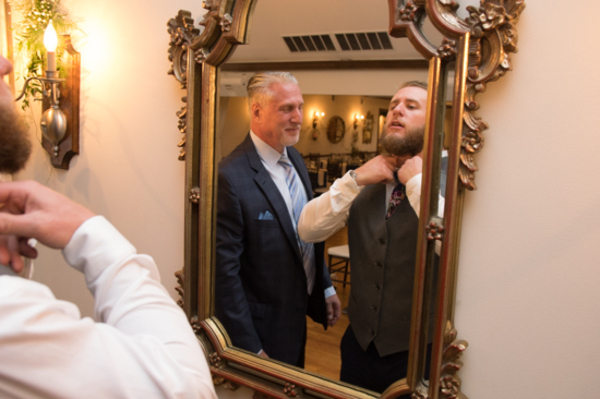 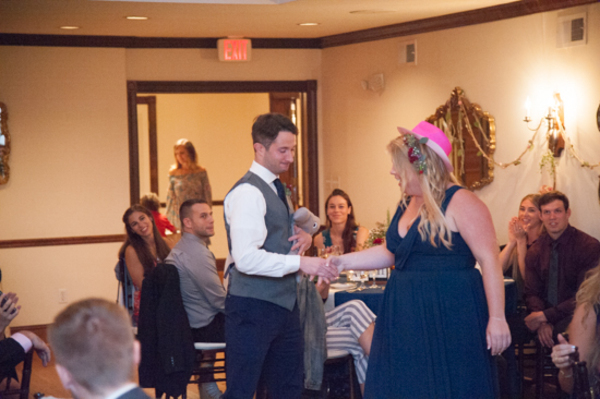 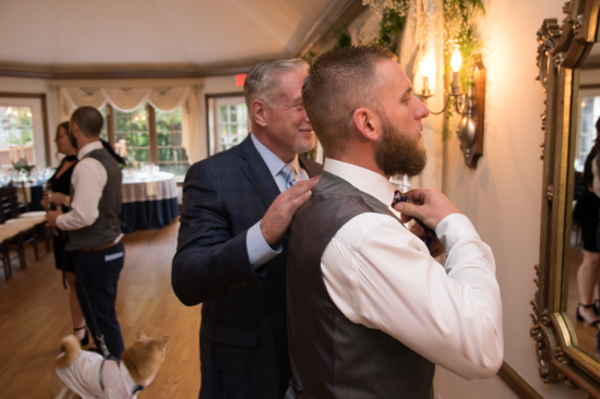 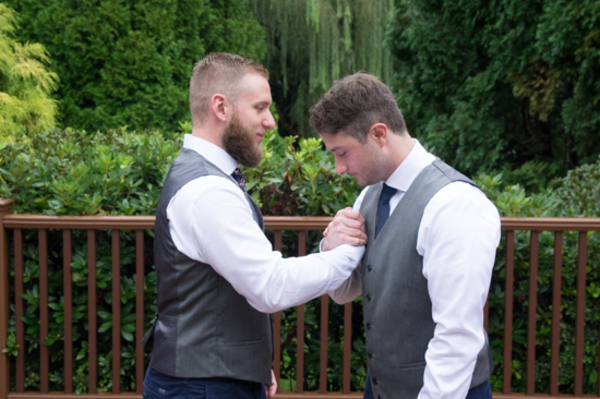 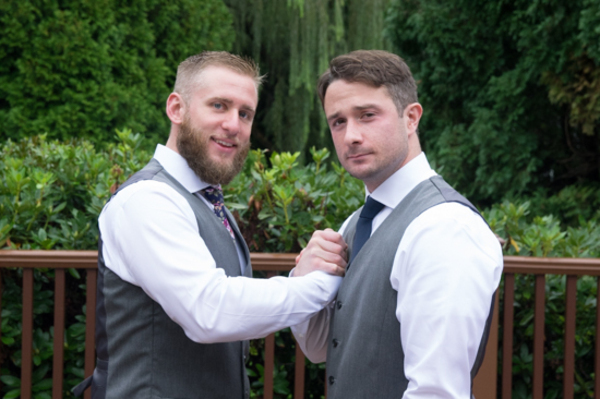 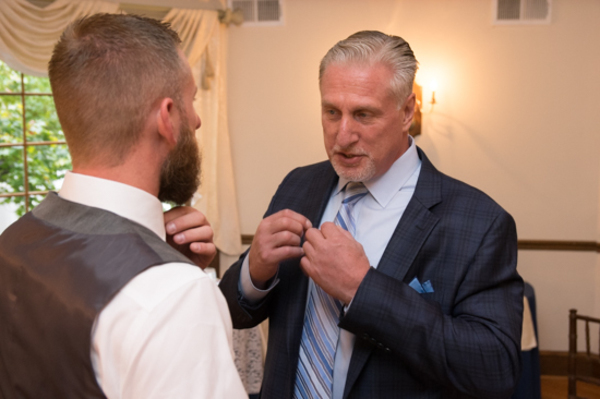 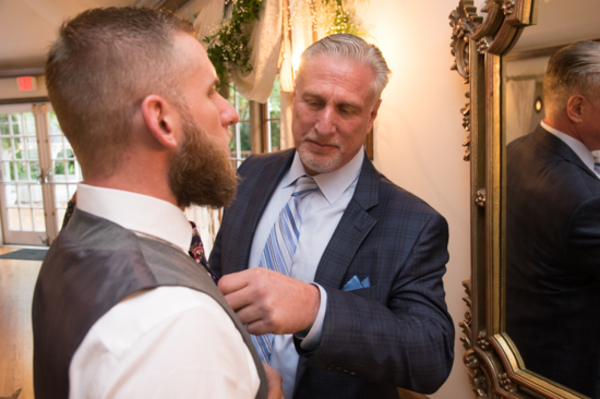 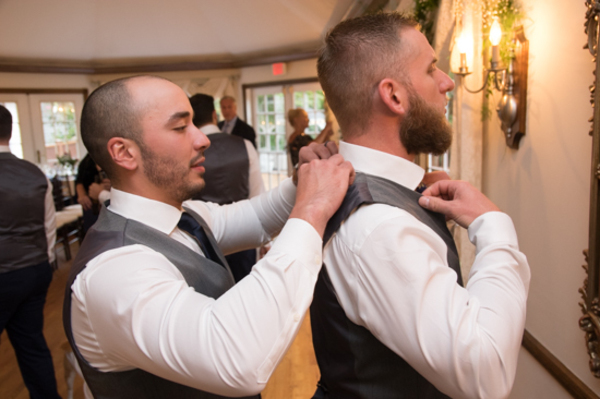 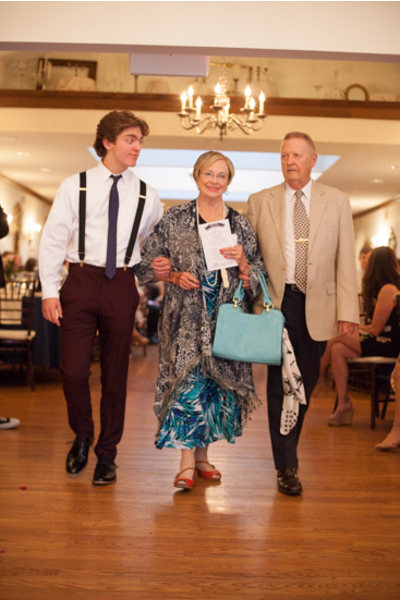 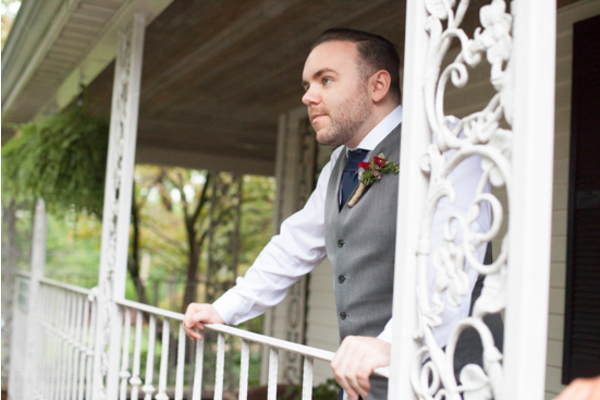 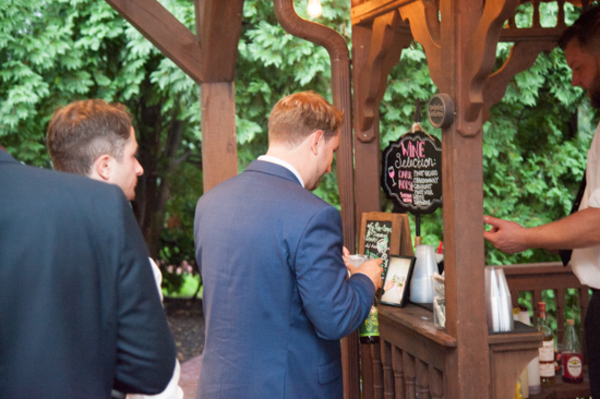 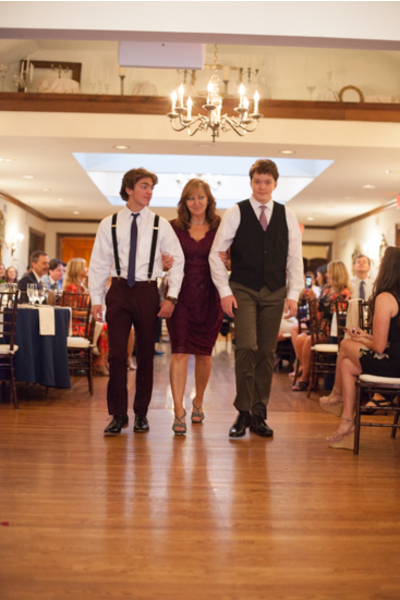 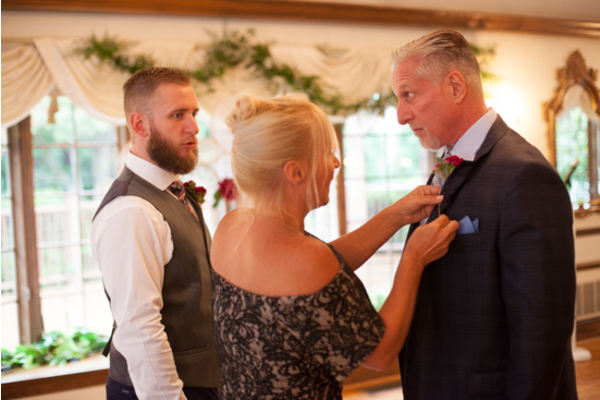 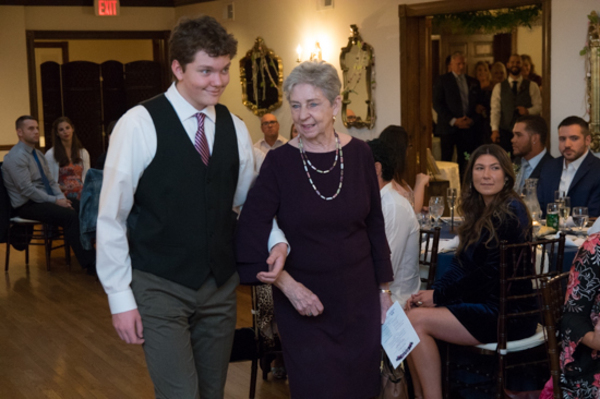 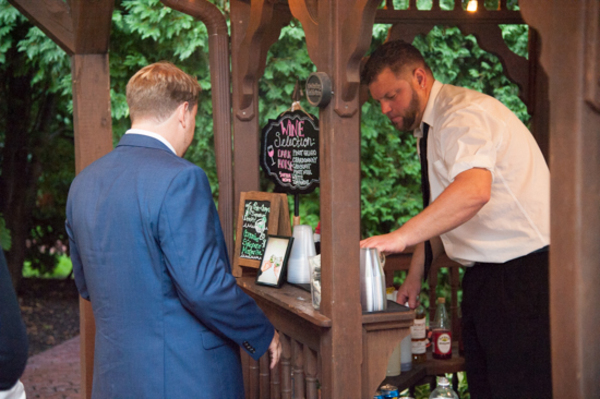 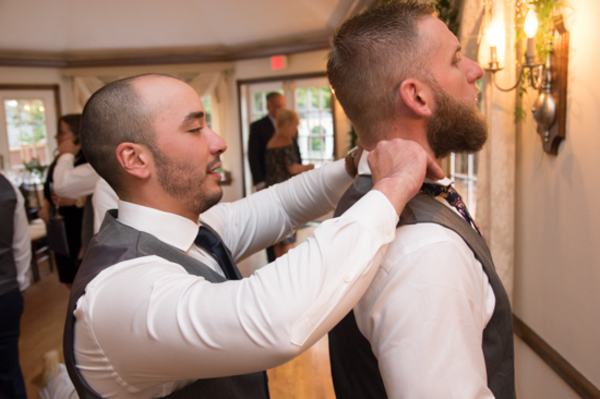 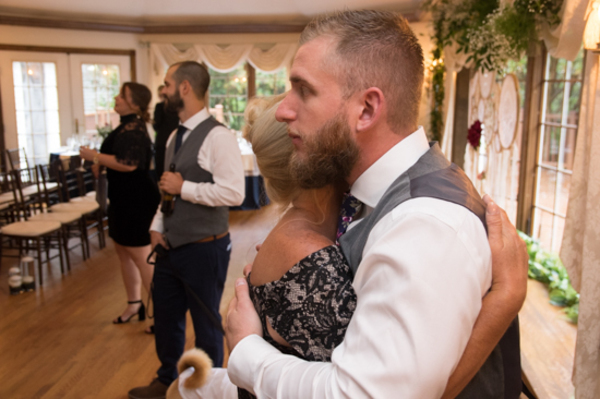 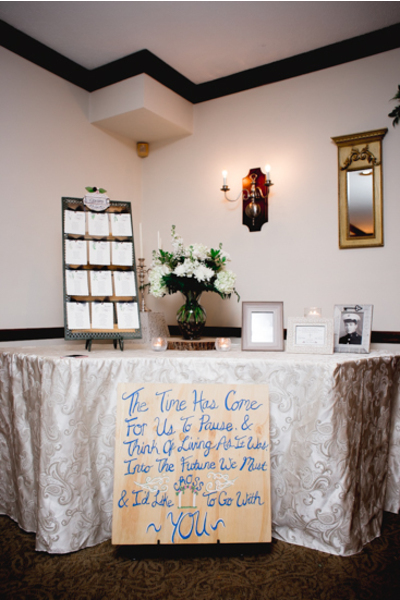 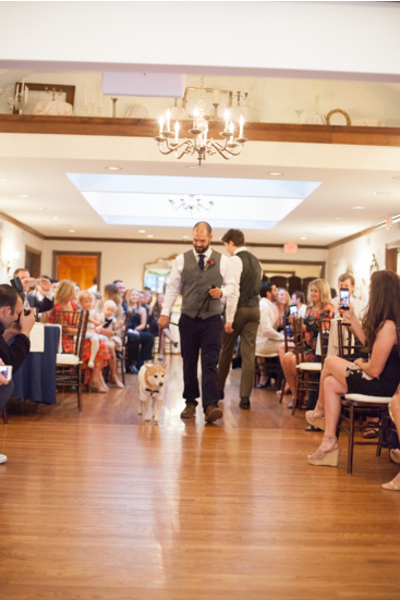 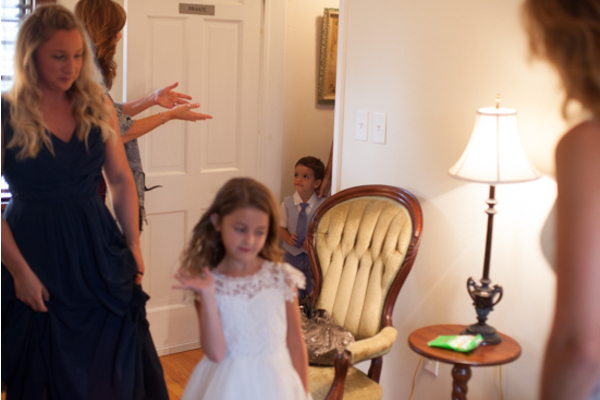 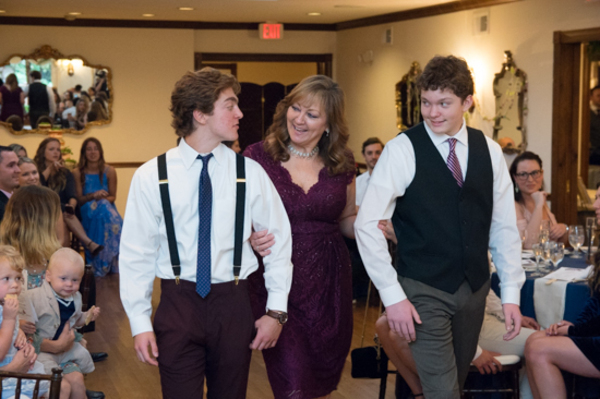 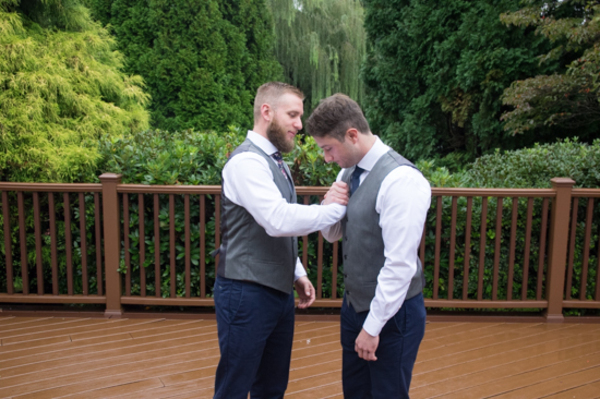 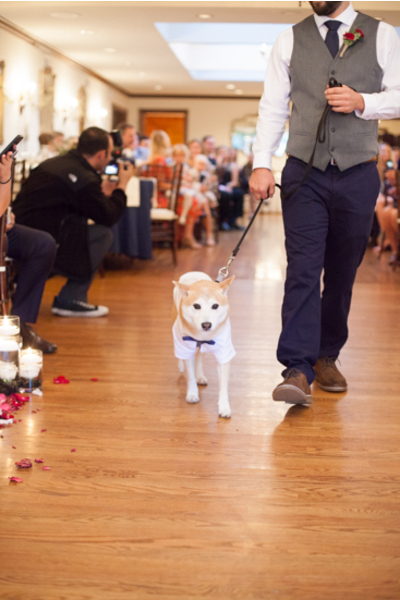 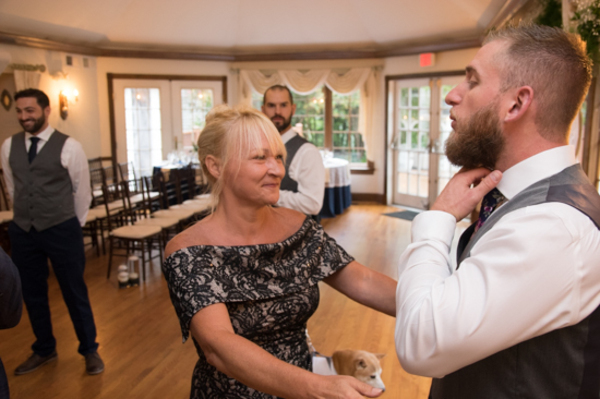 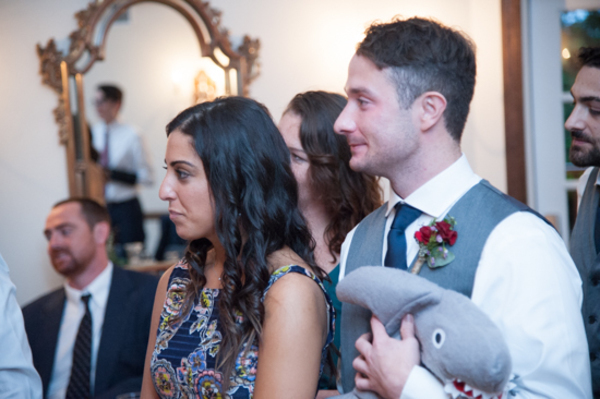 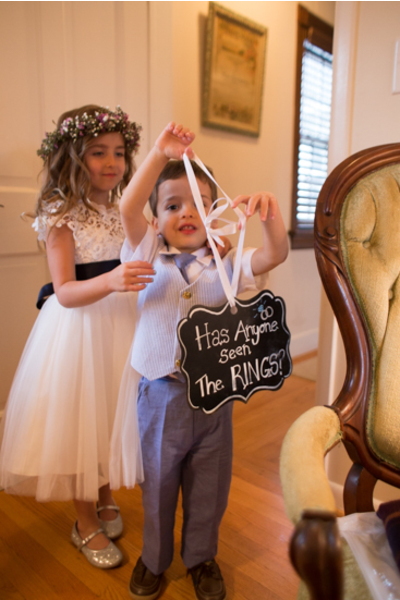 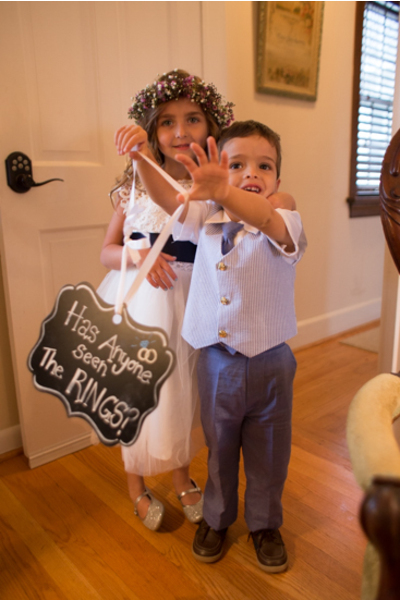 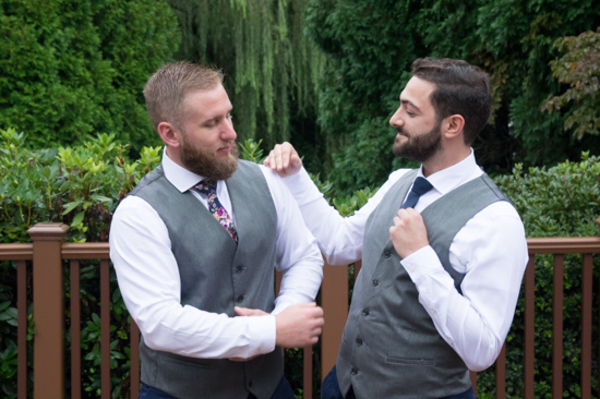 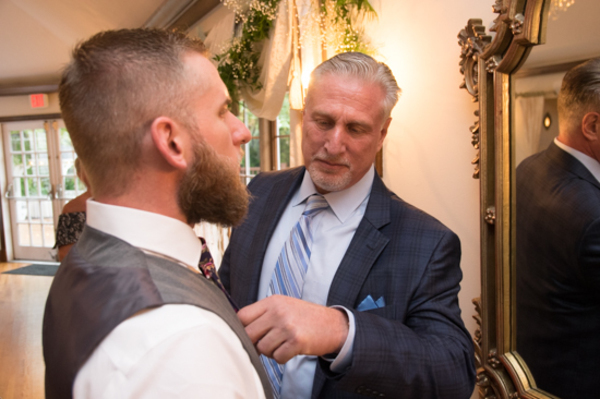 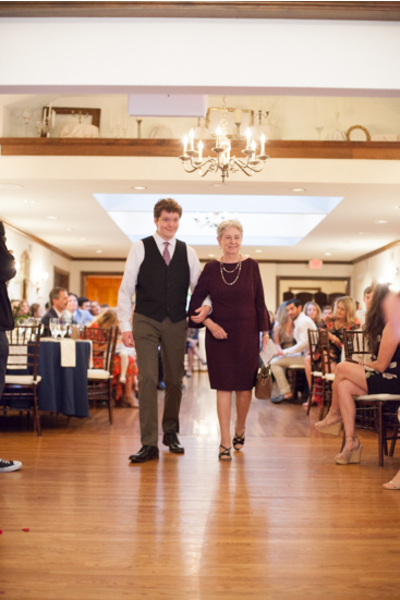 Once all the finishing touches were made, it was almost time for Casey to reunite with Peter at the end of the aisle. 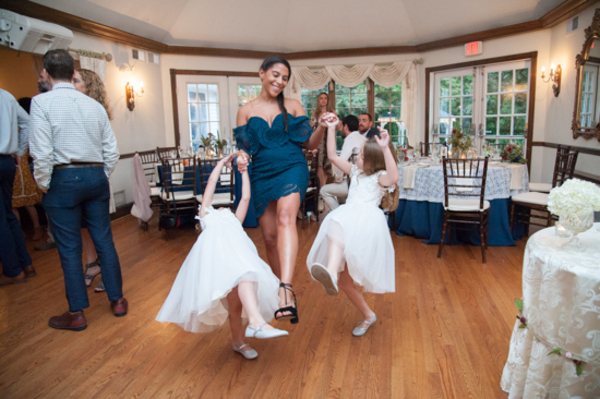 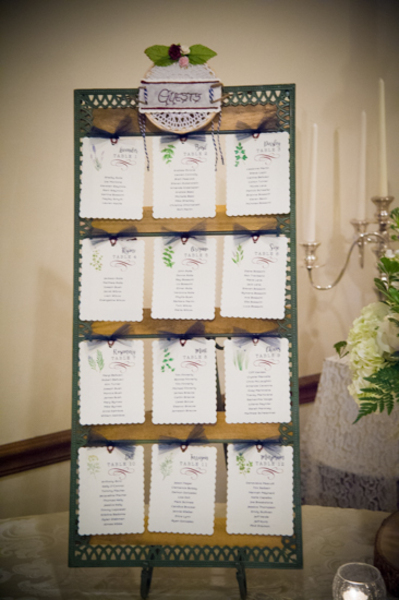 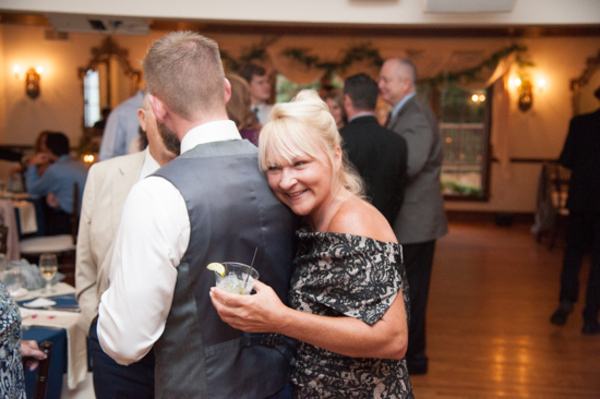 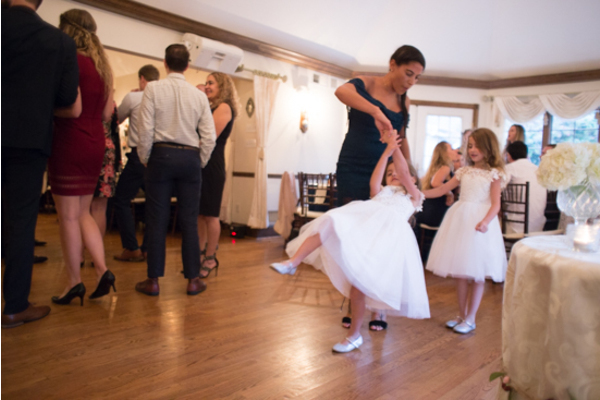 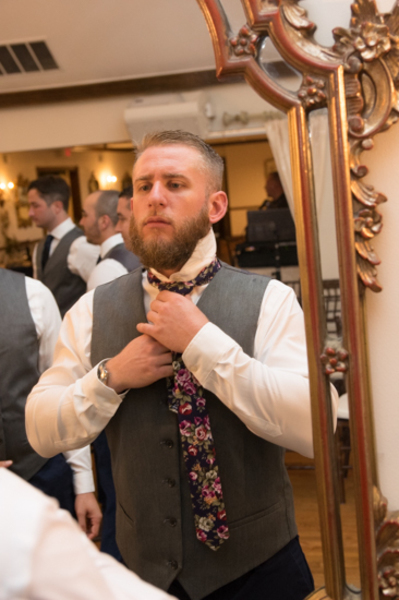 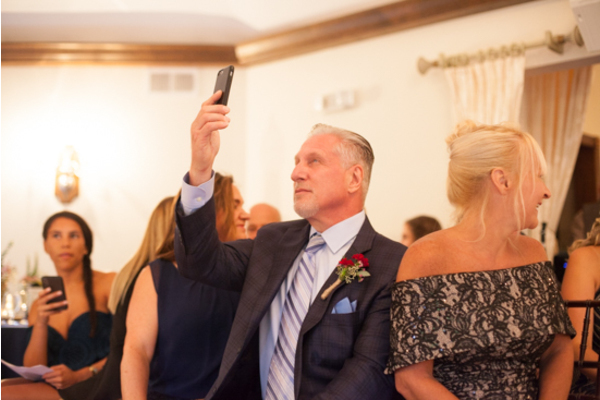 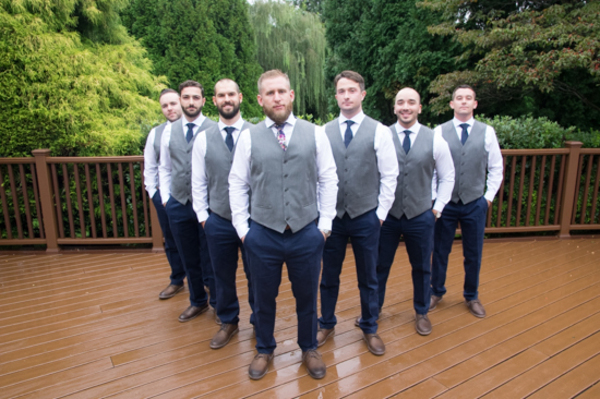 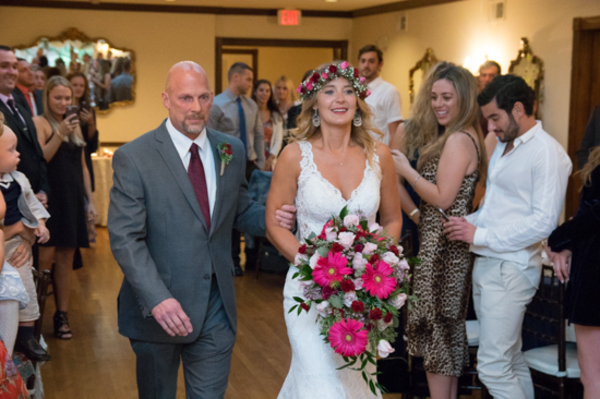 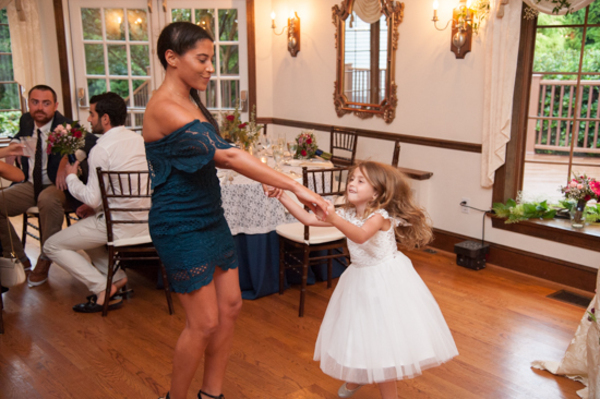 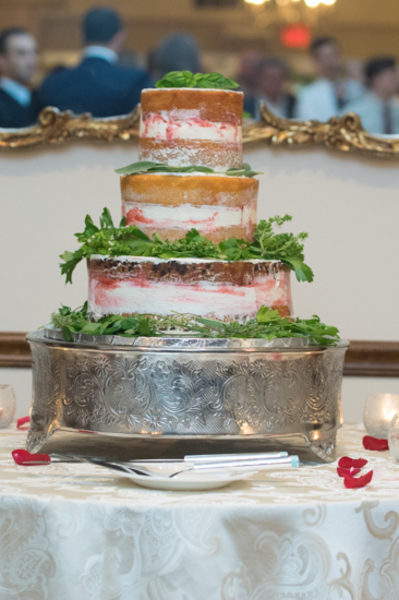 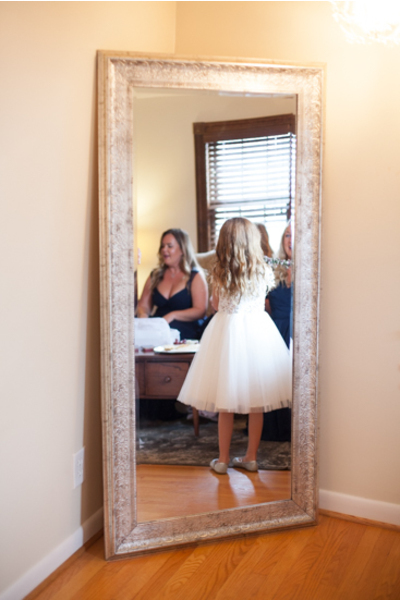 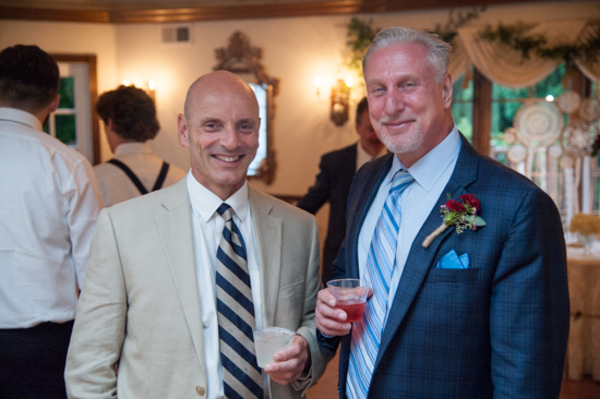 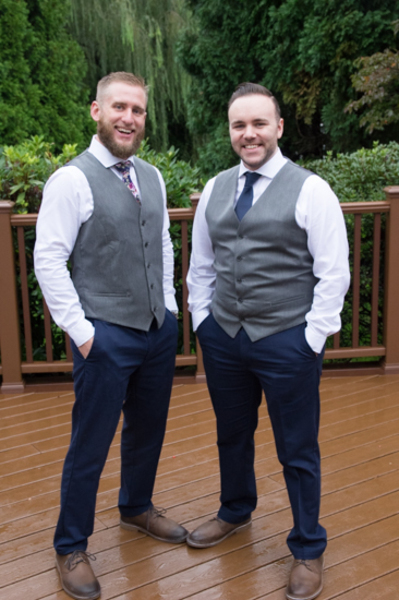 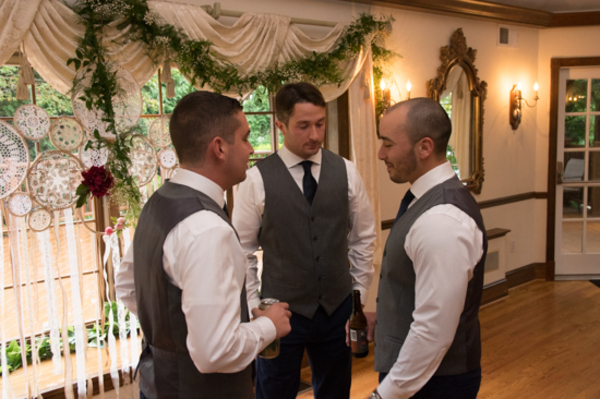 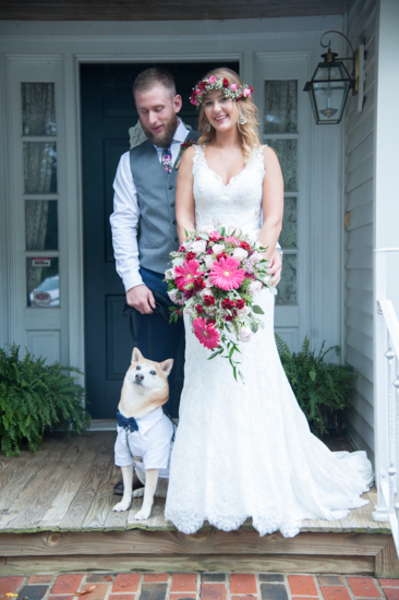 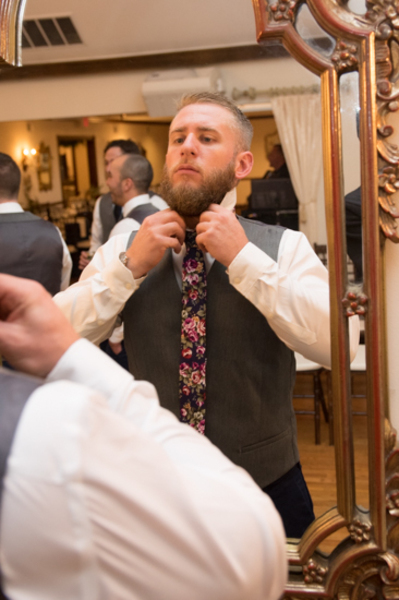 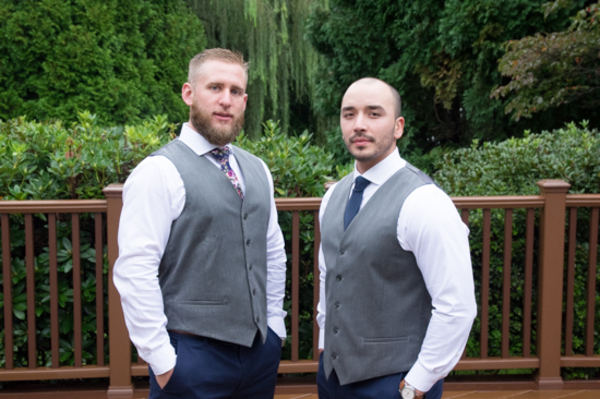 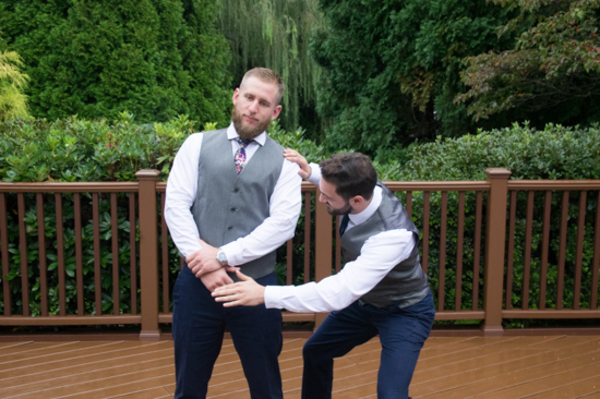 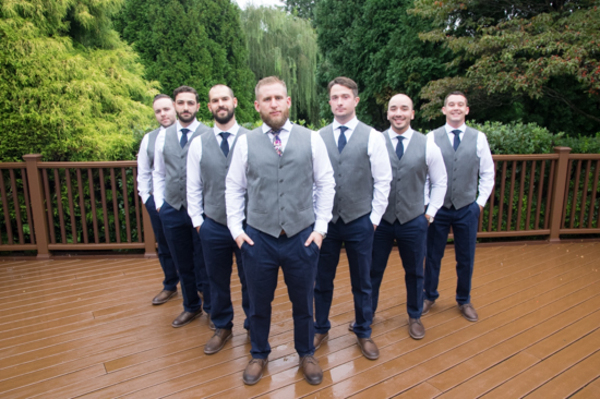 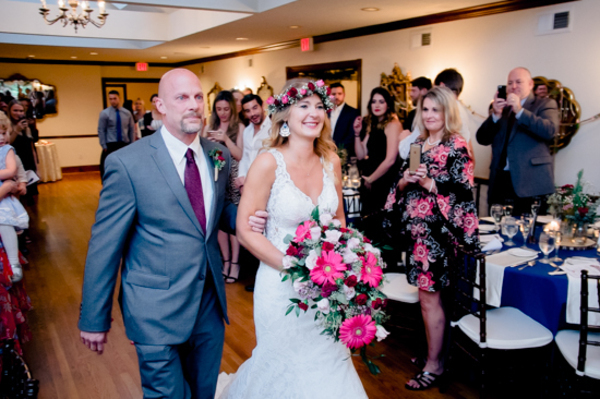 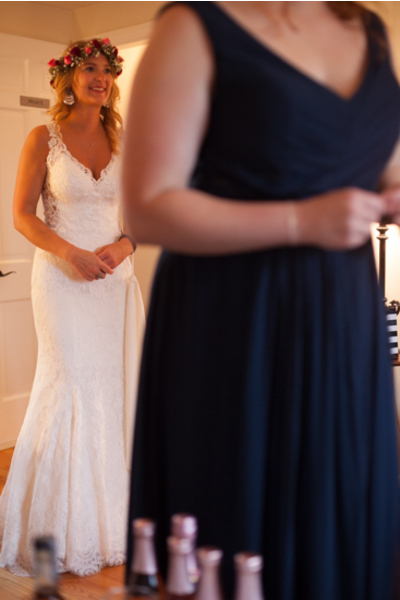 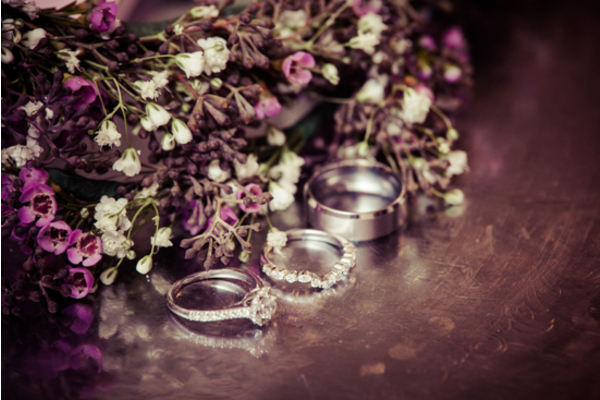 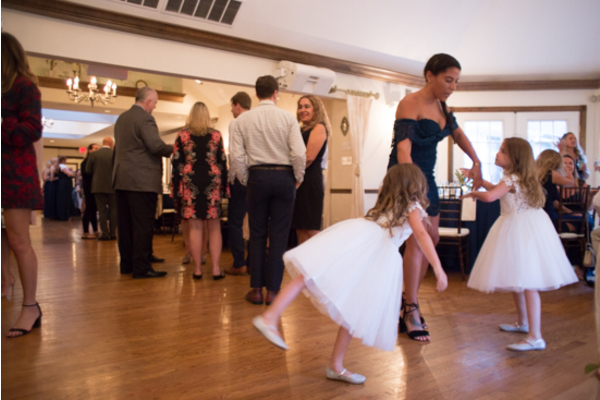 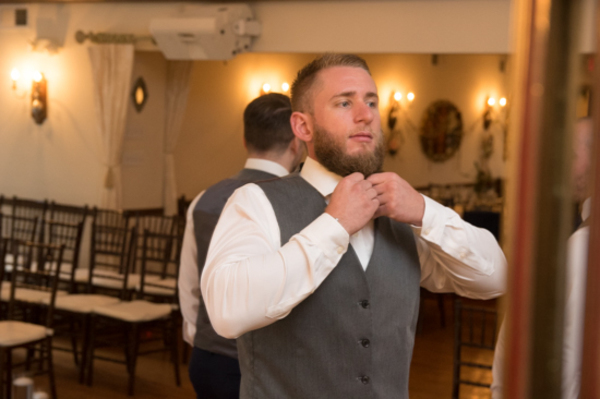 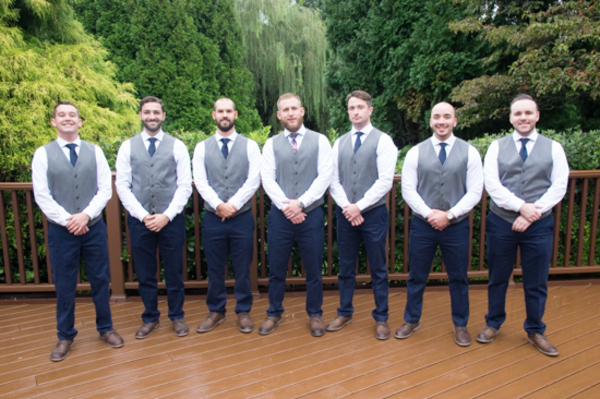 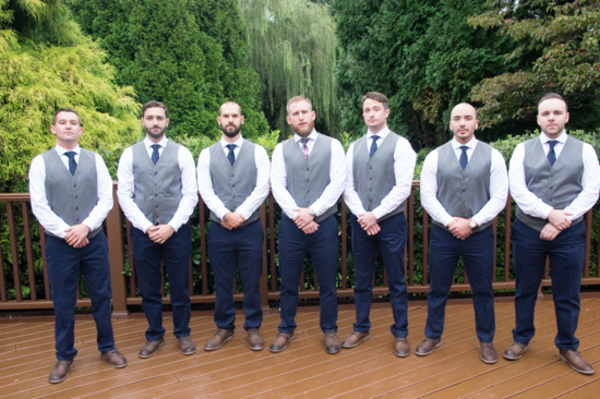 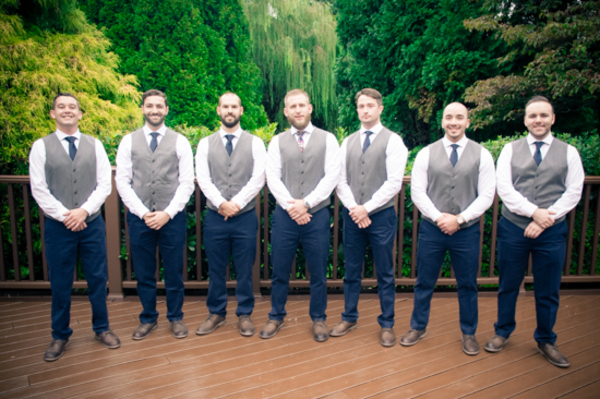 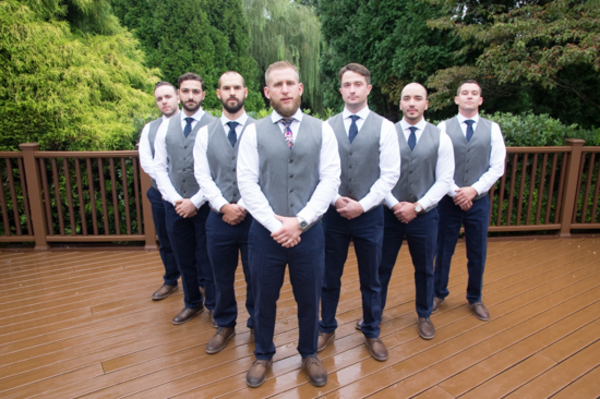 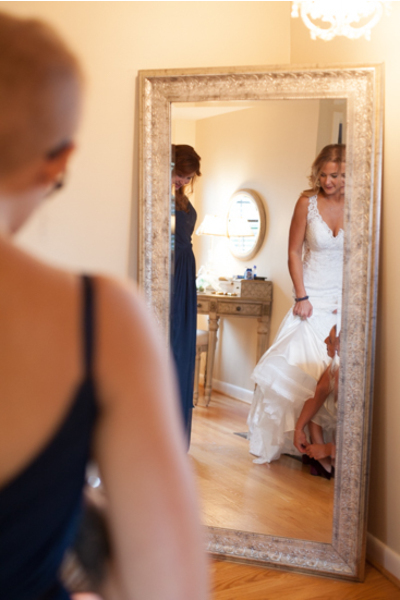 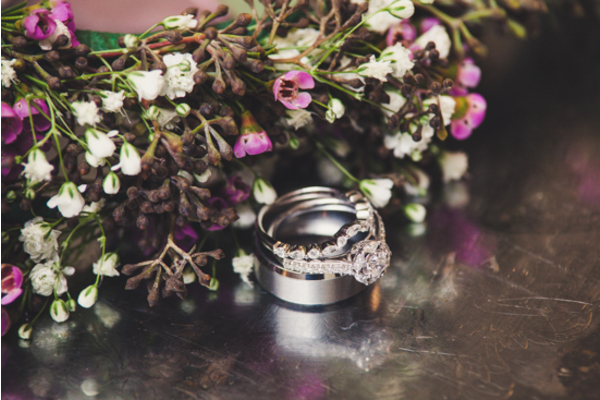 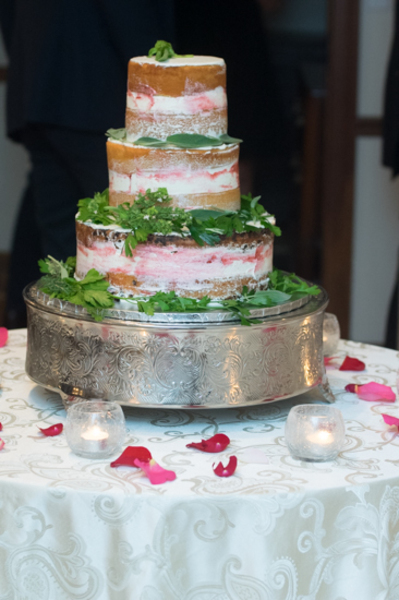 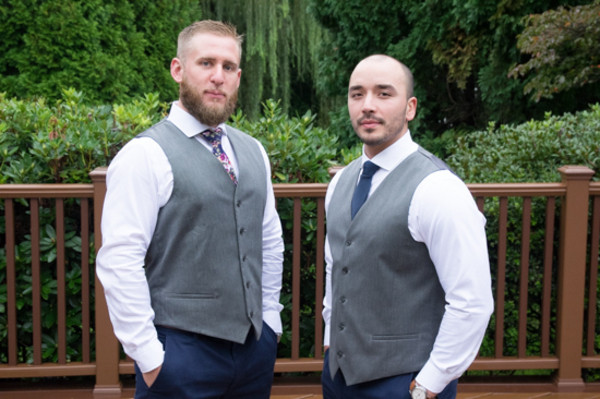 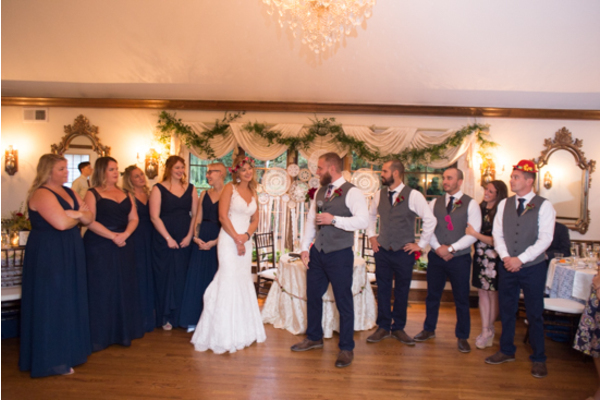 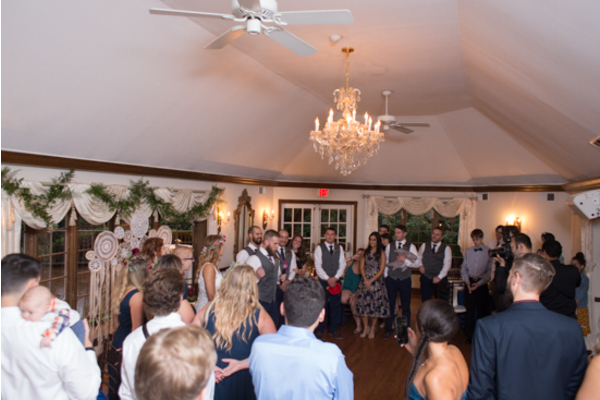 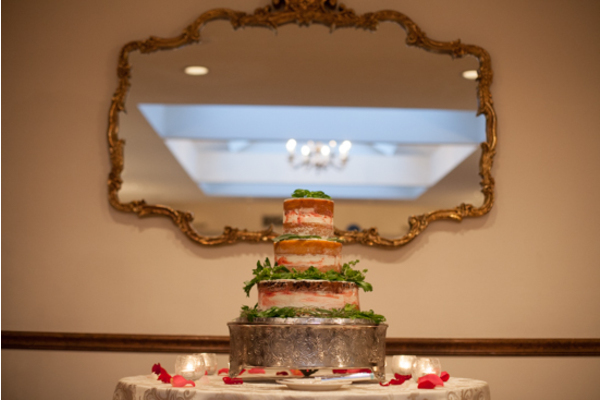 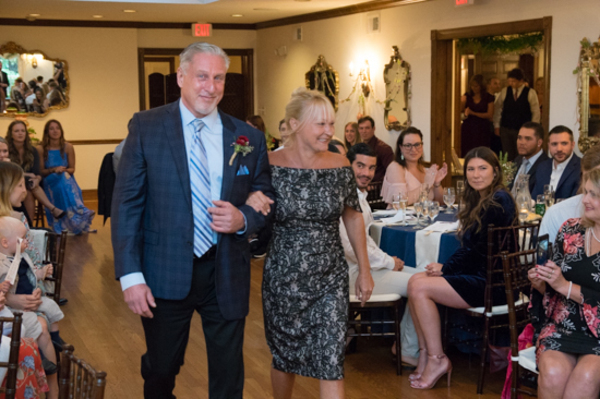 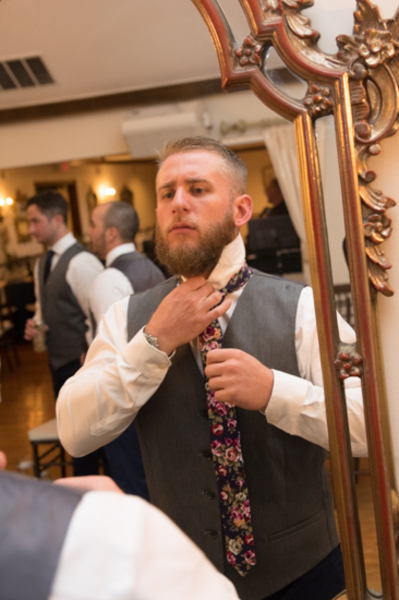 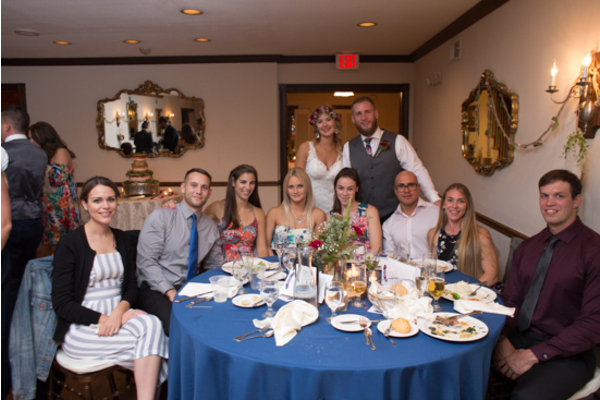 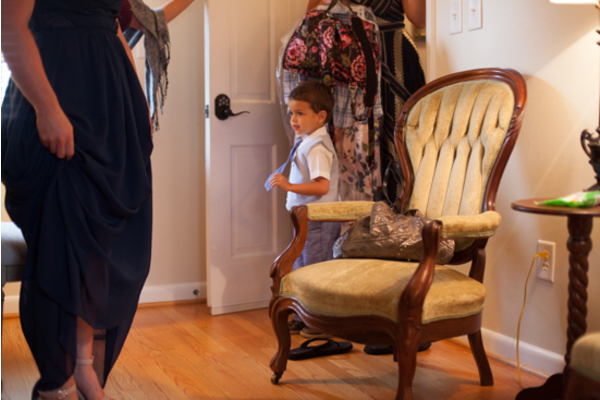 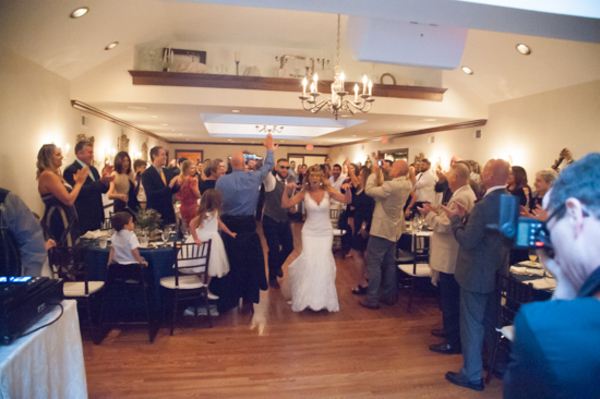 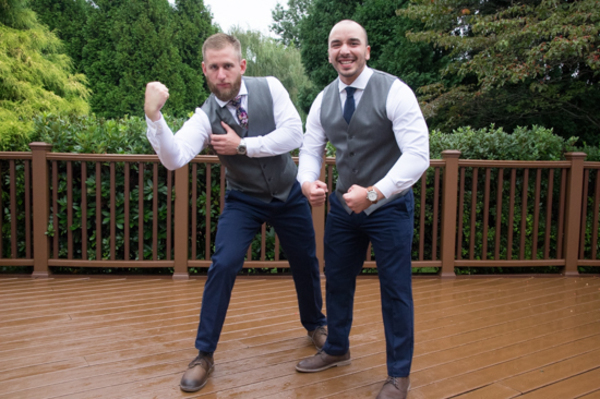 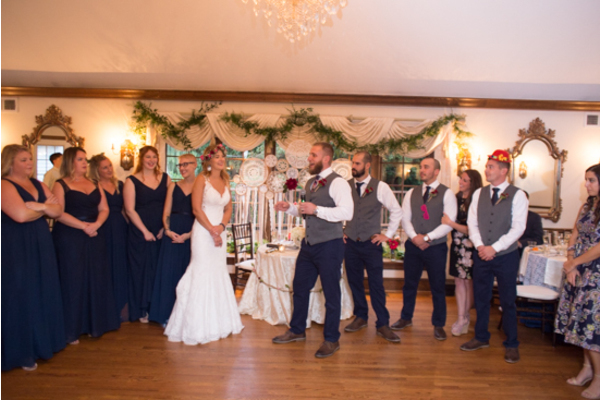 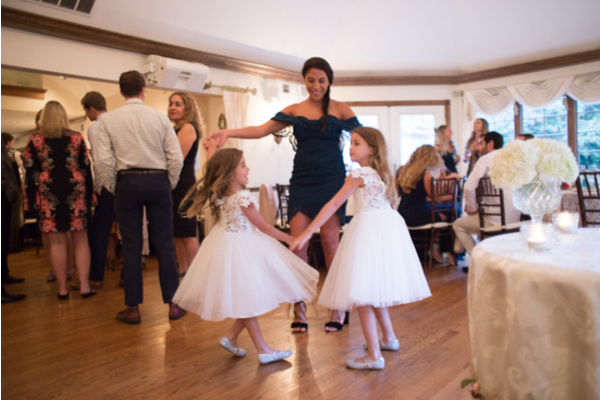 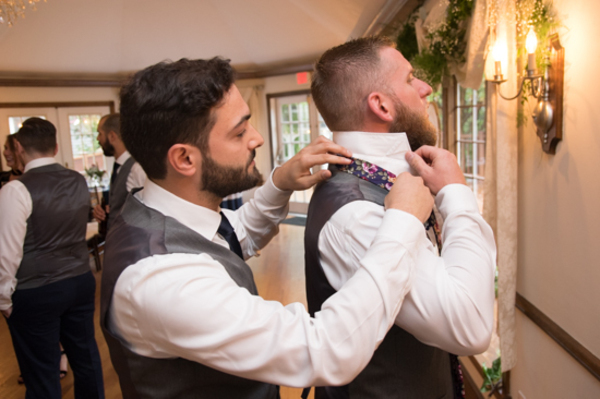 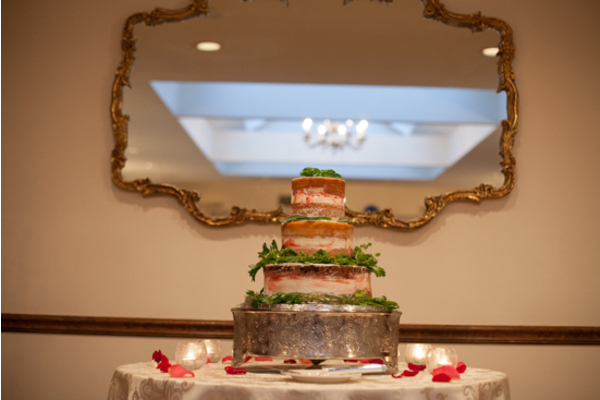 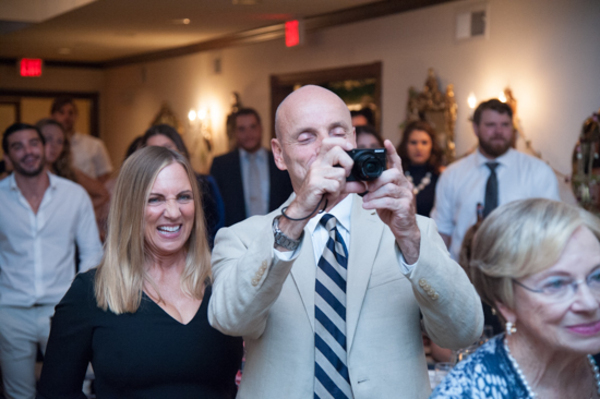 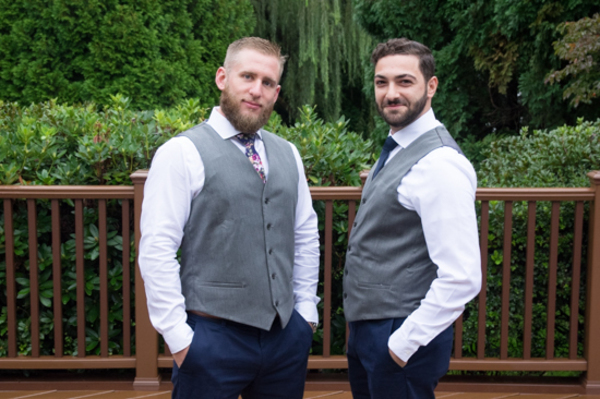 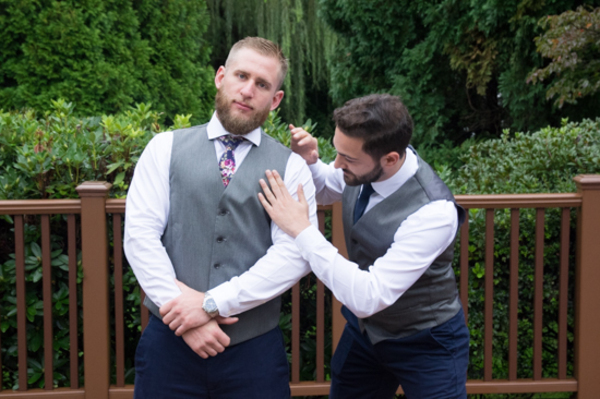 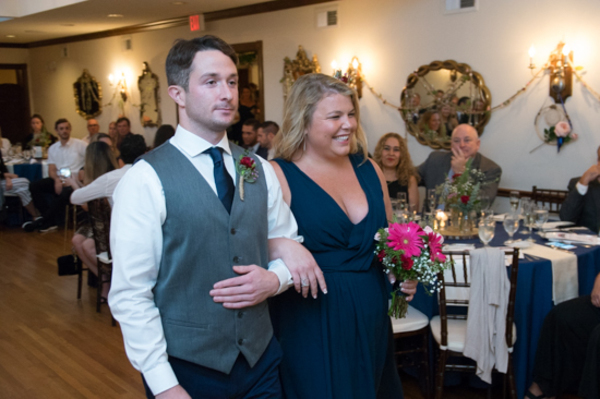 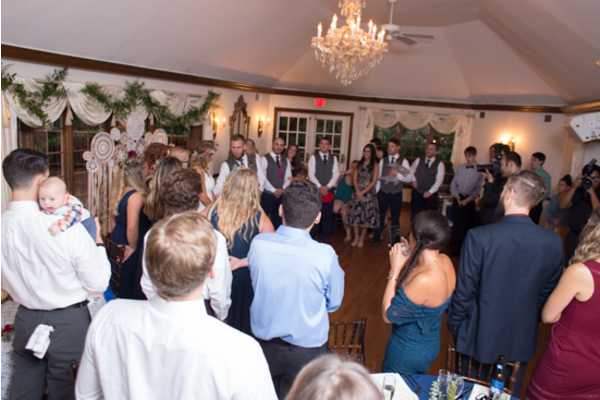 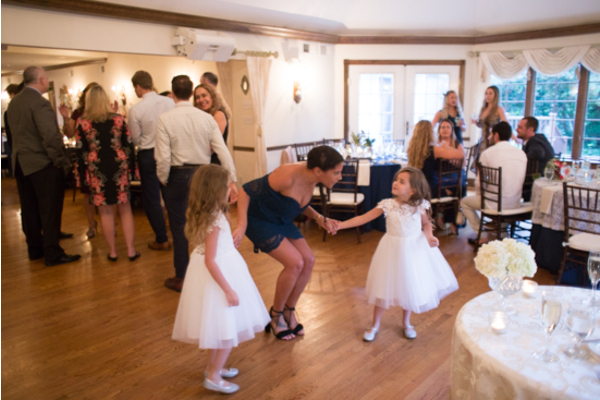 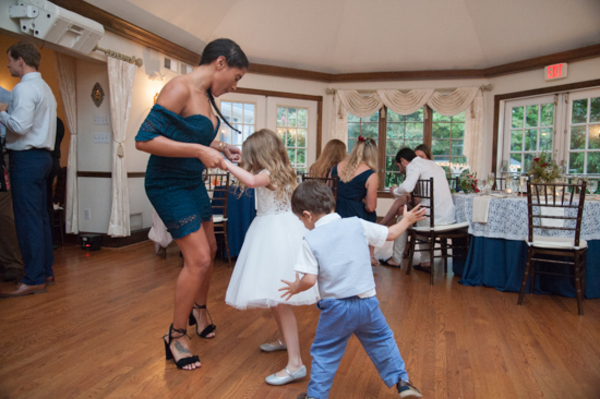 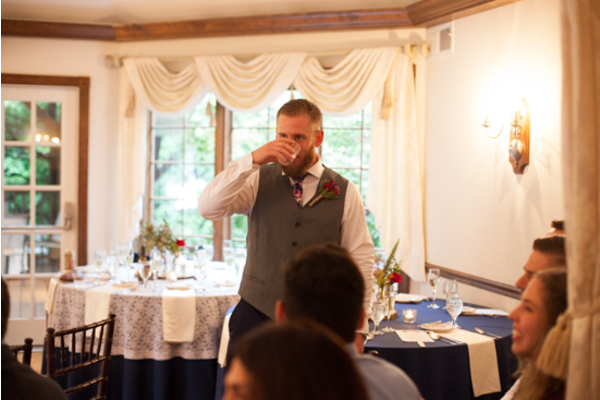 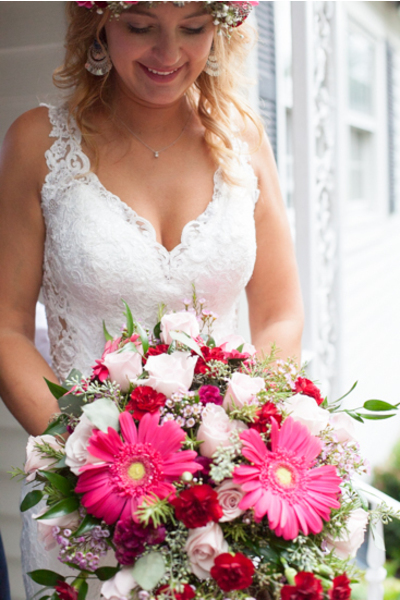 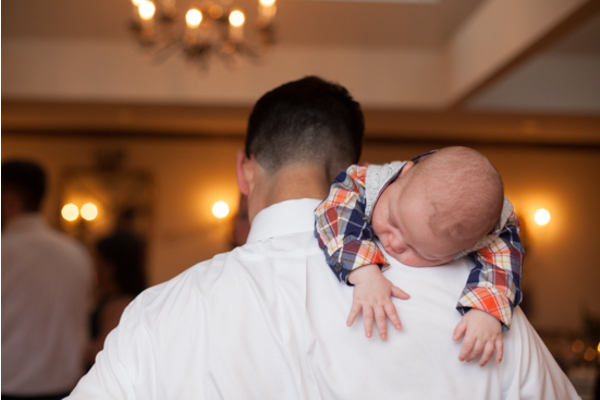 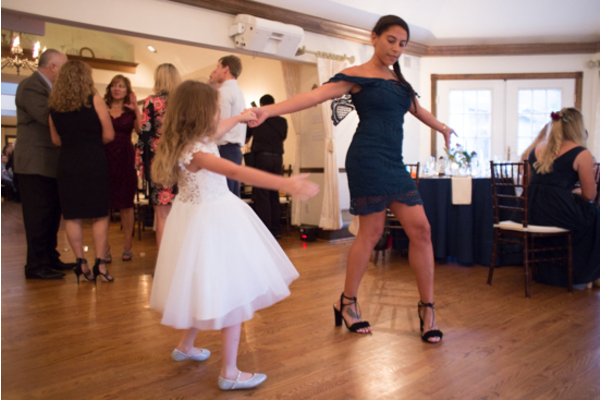 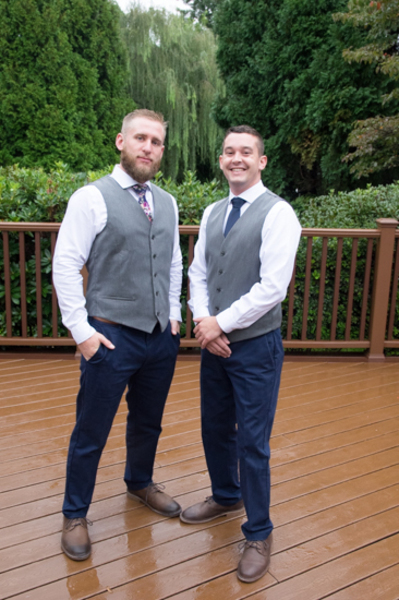 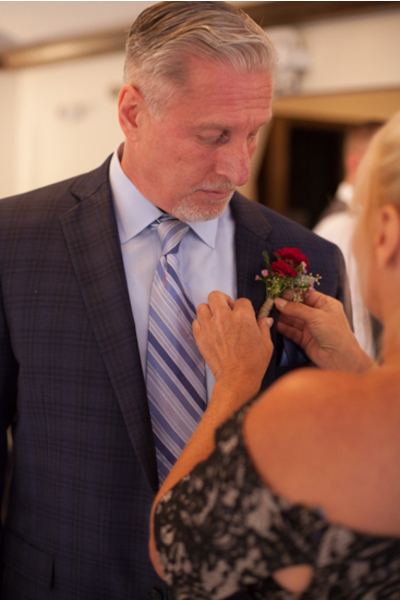 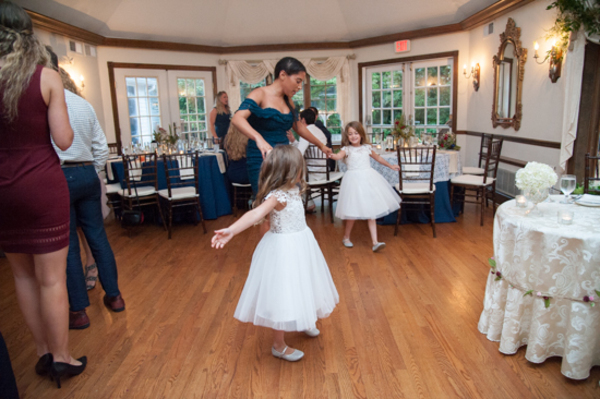 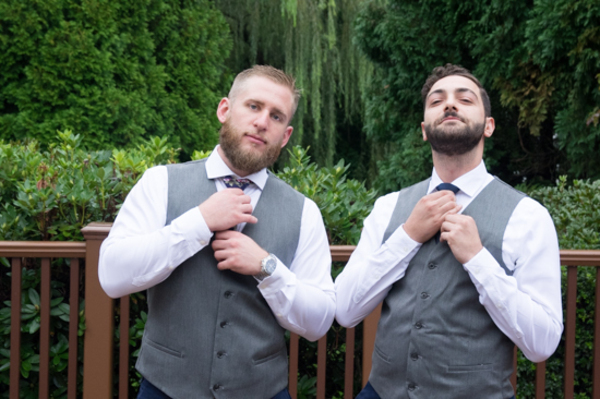 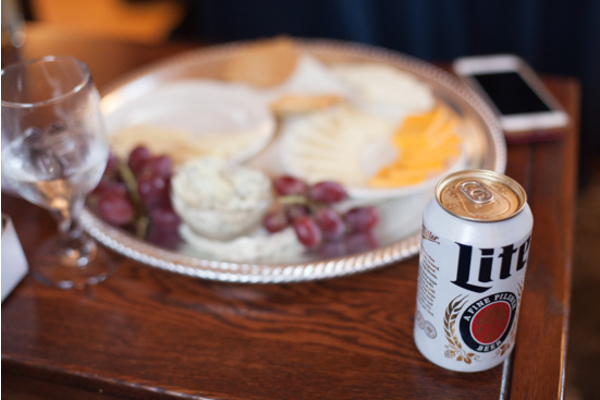 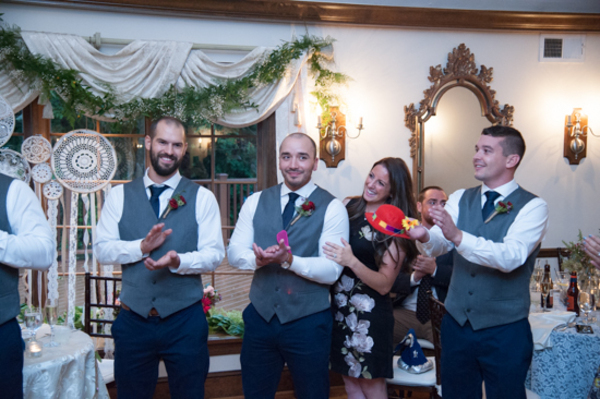 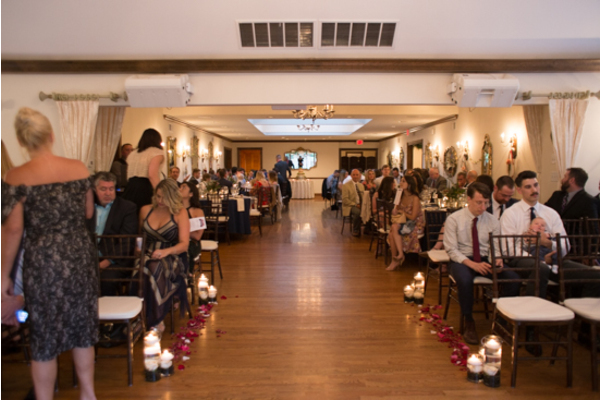 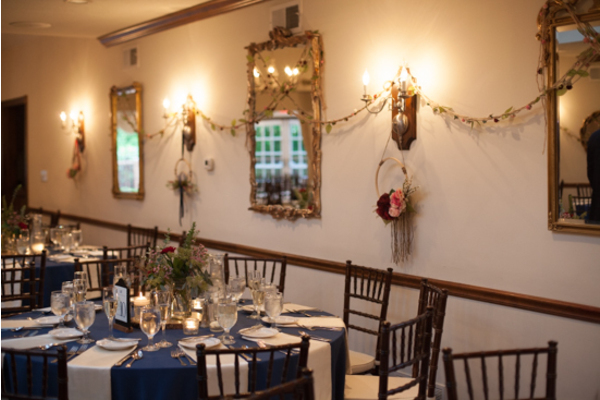 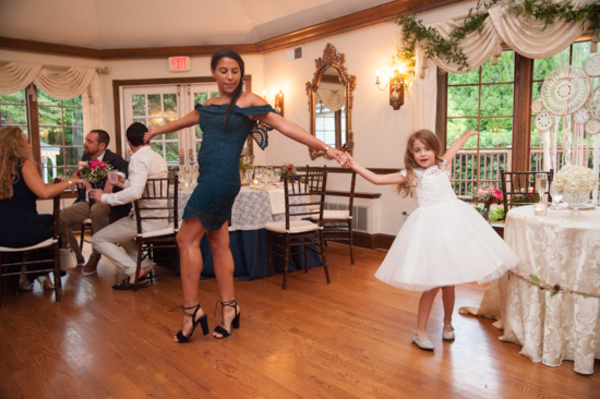 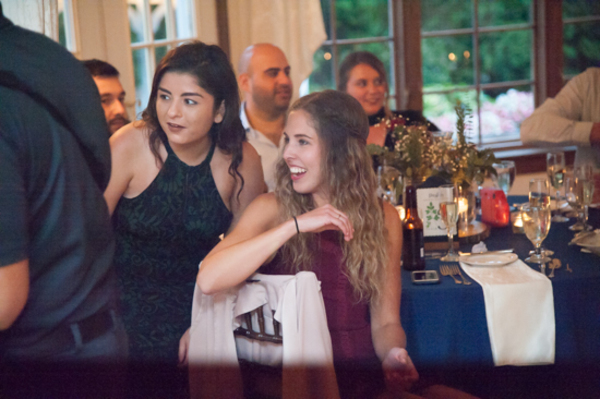 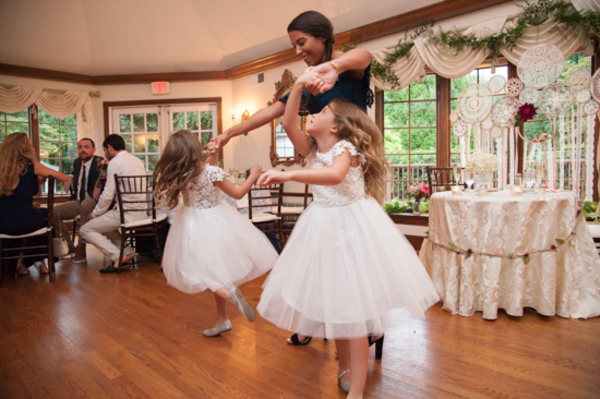 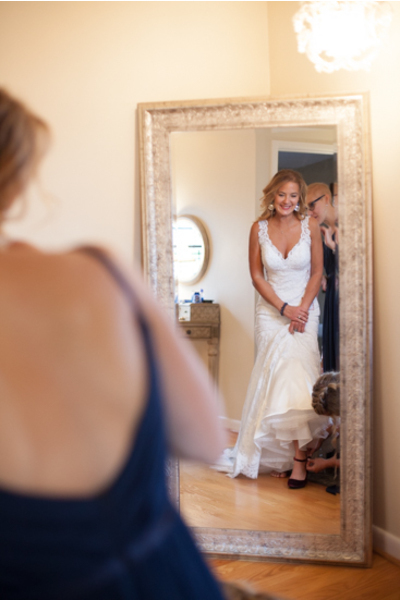 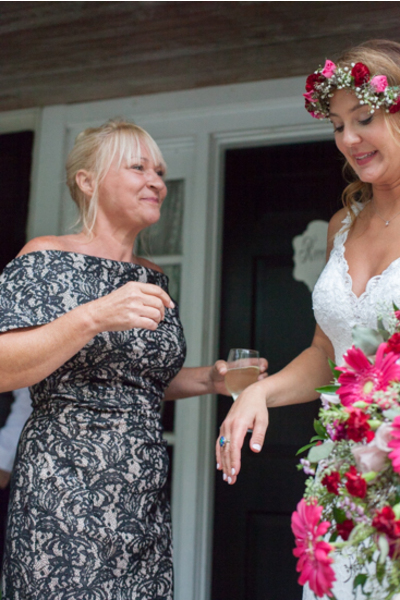 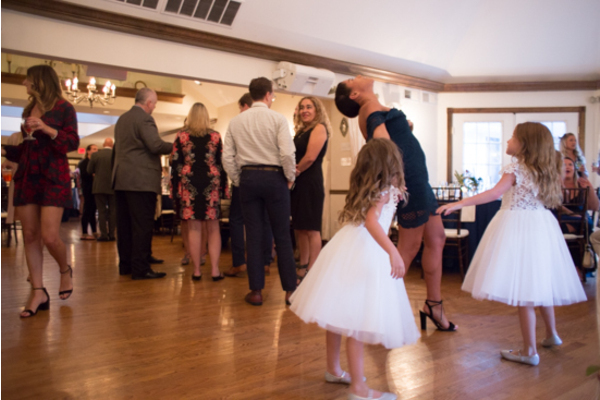 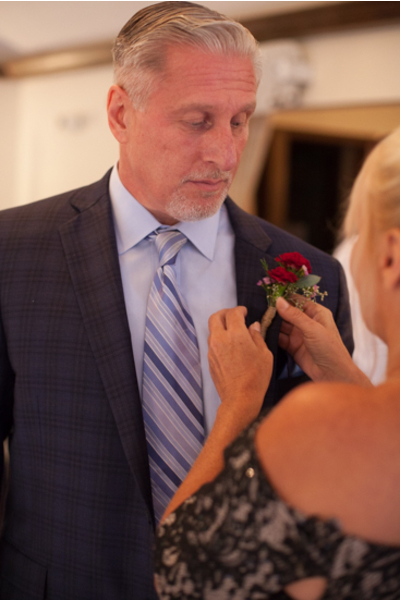 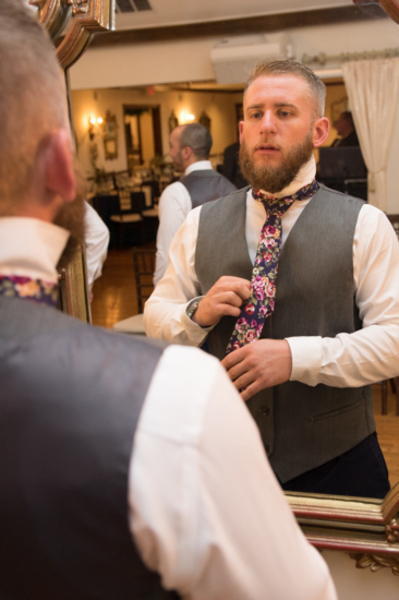 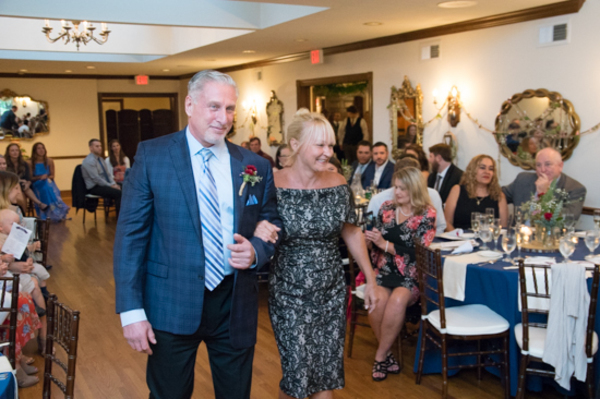 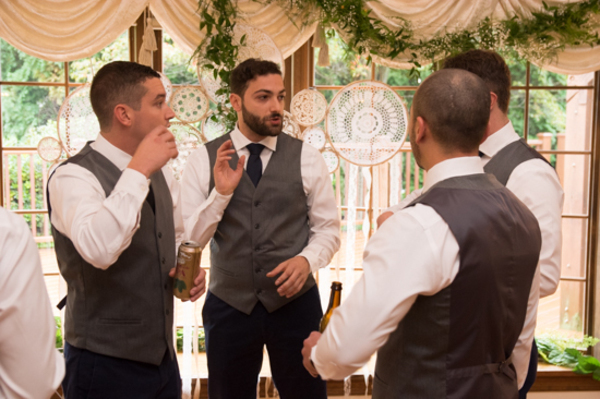 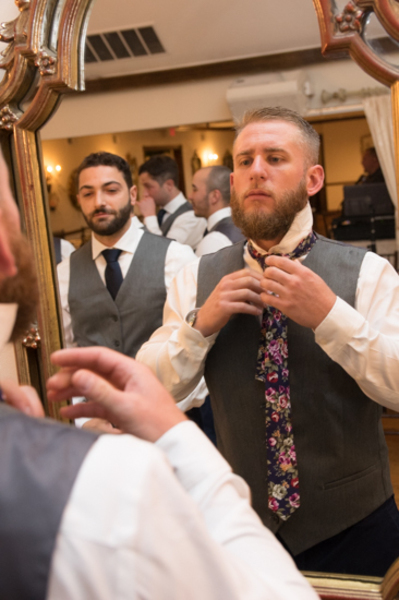 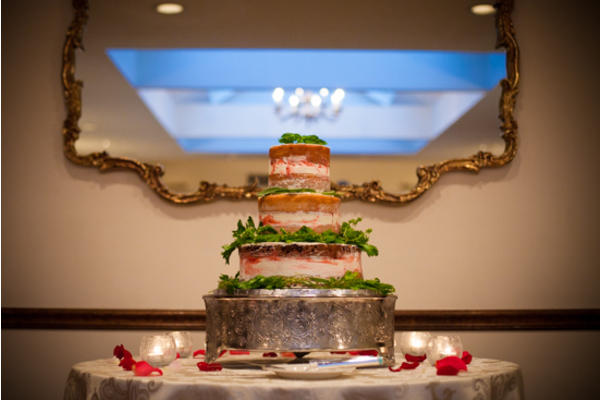 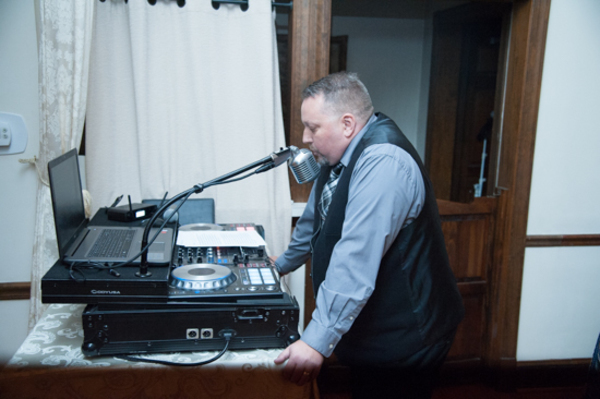 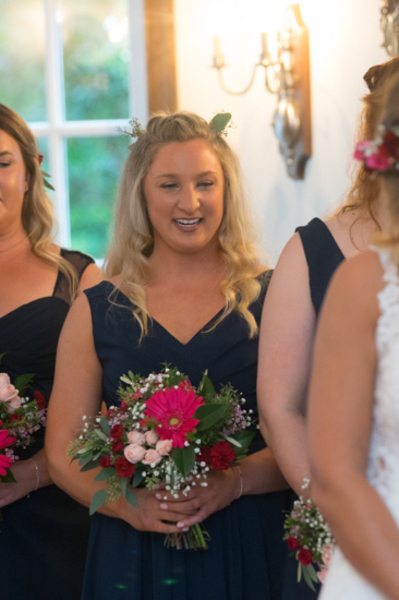 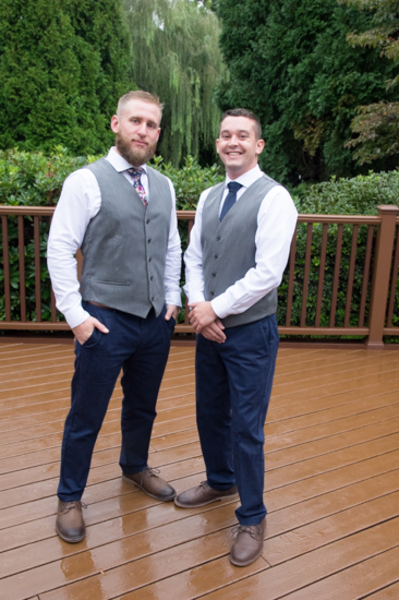 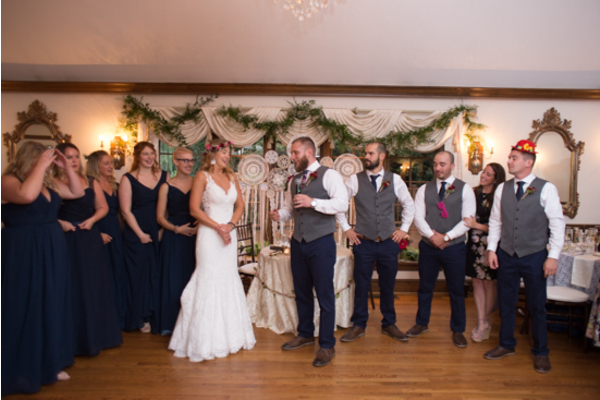 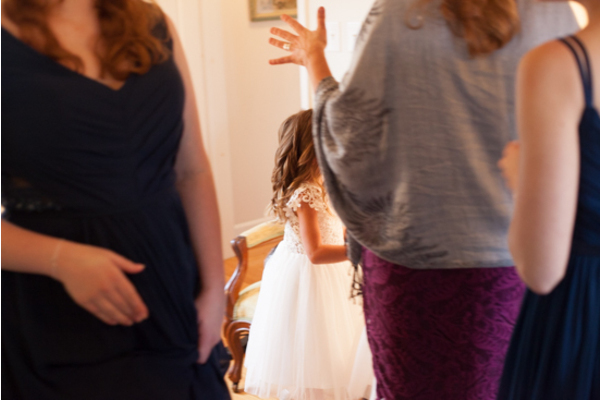 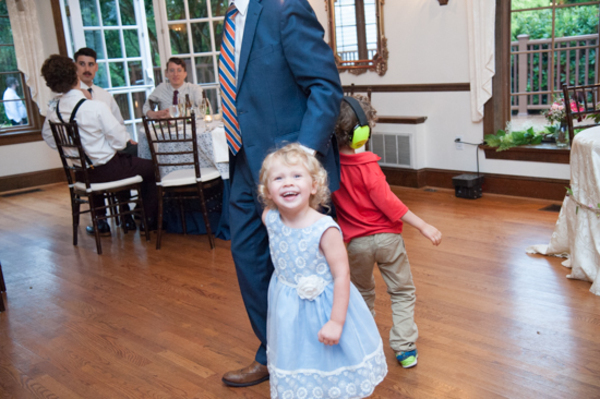 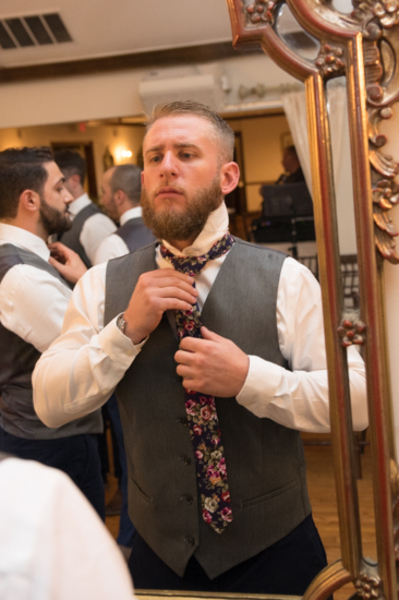 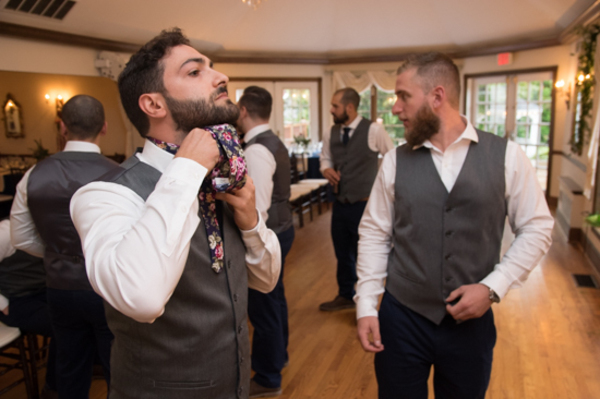 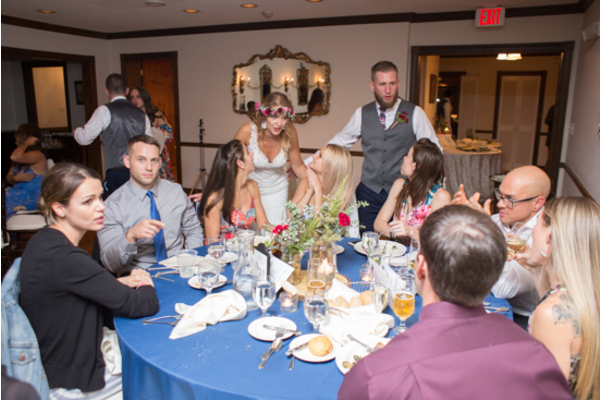 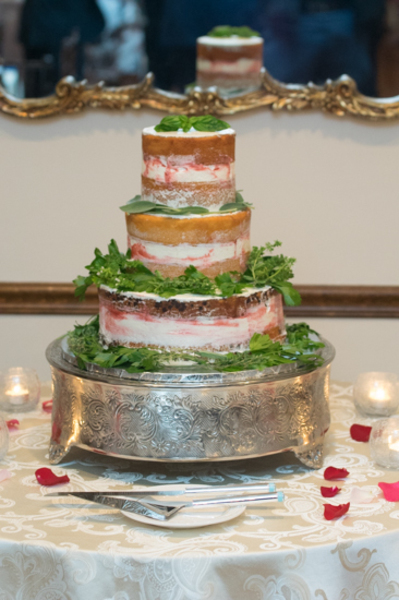 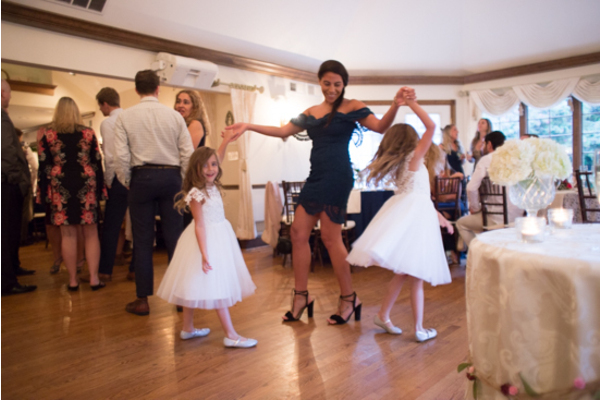 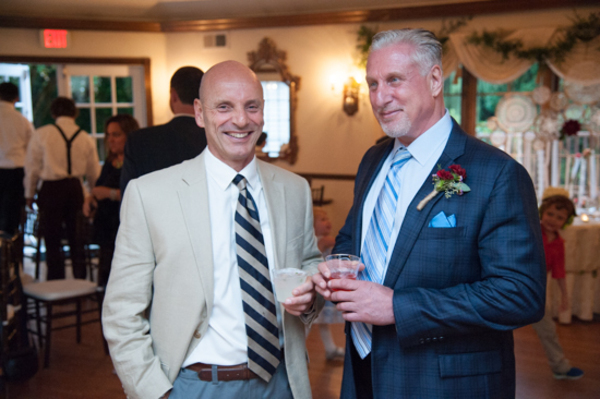 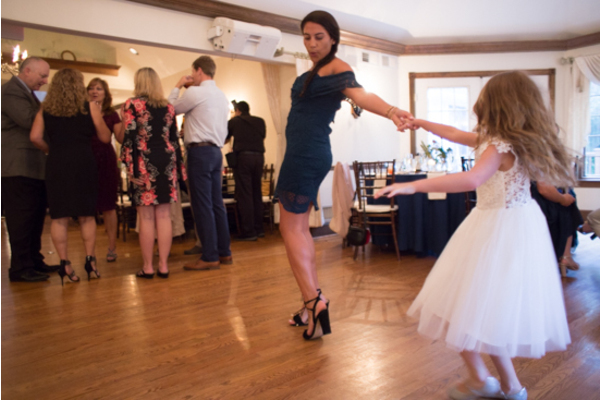 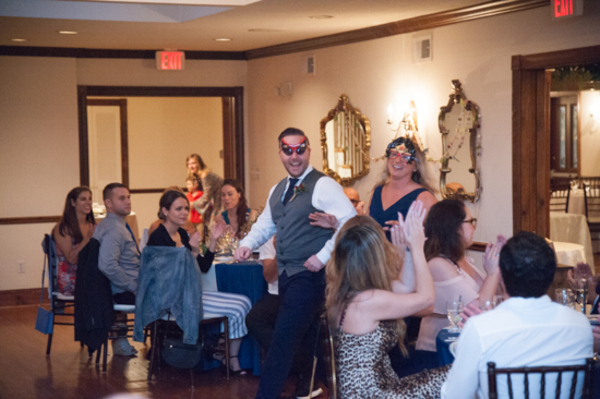 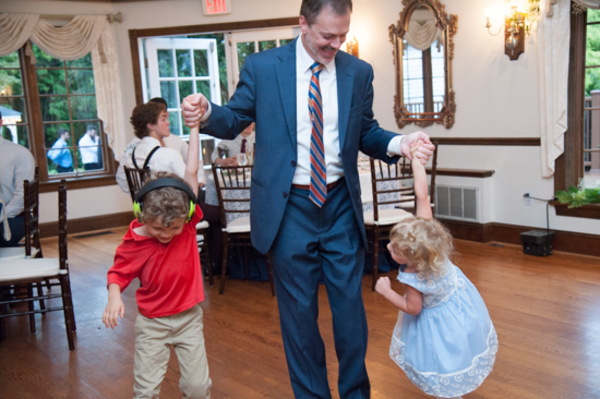 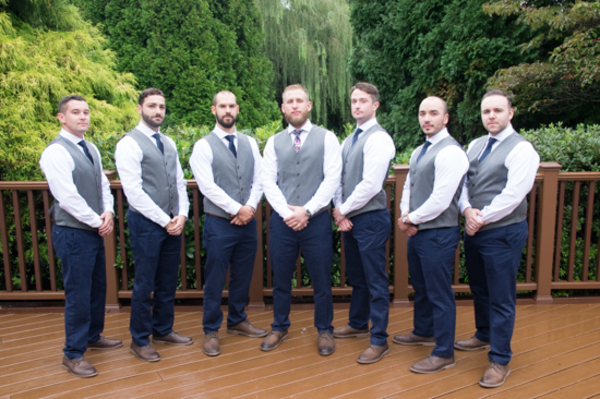 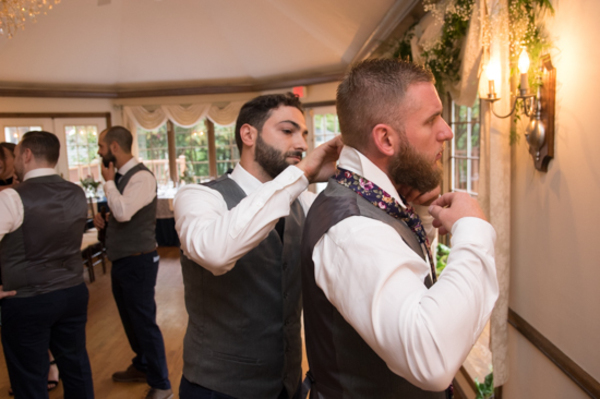 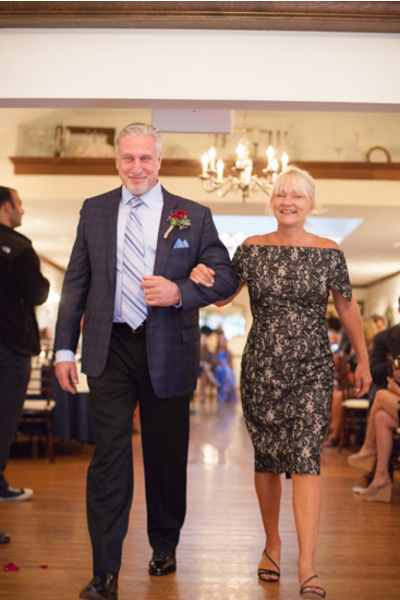 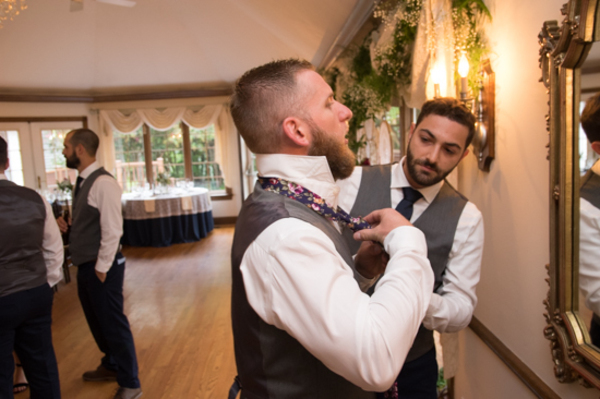 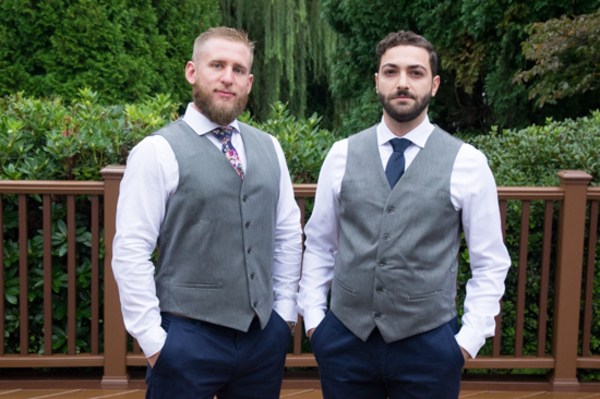 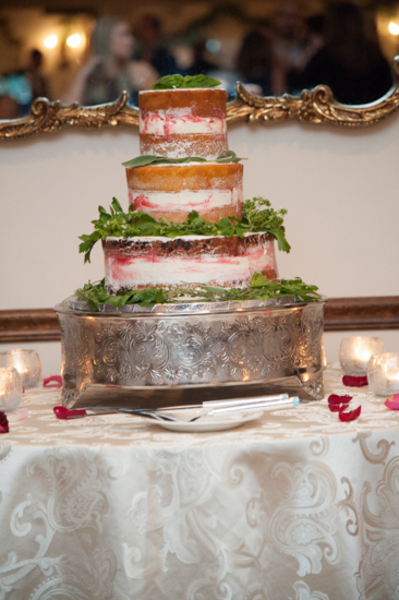 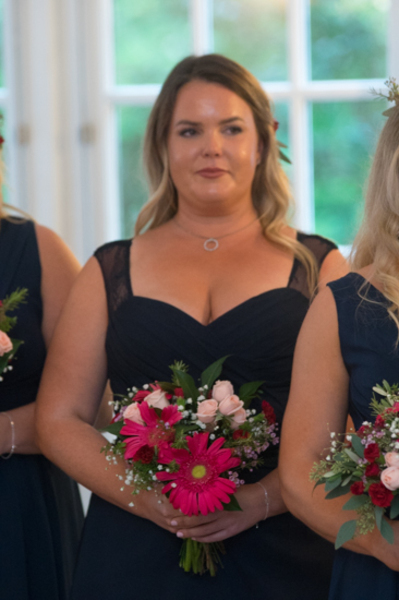 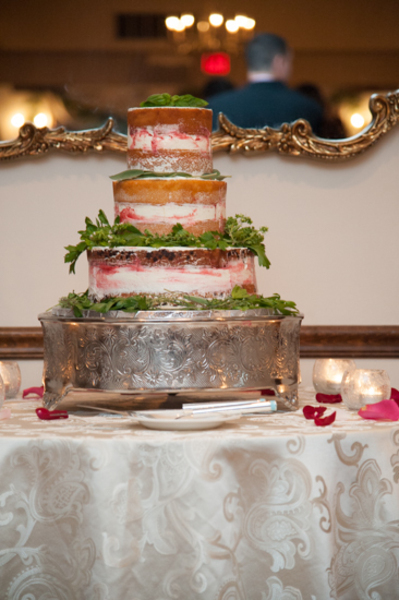 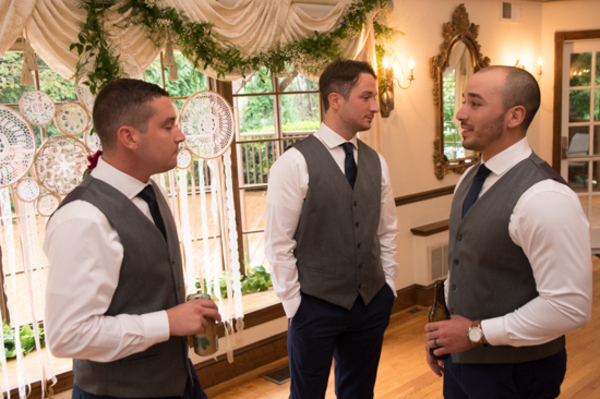 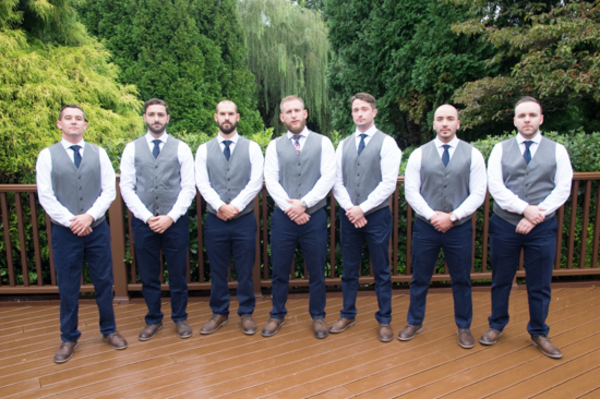 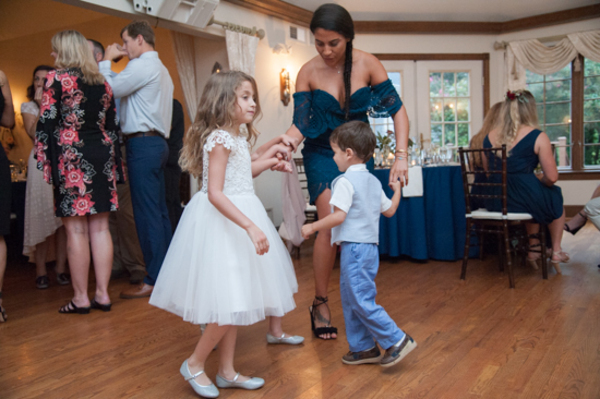 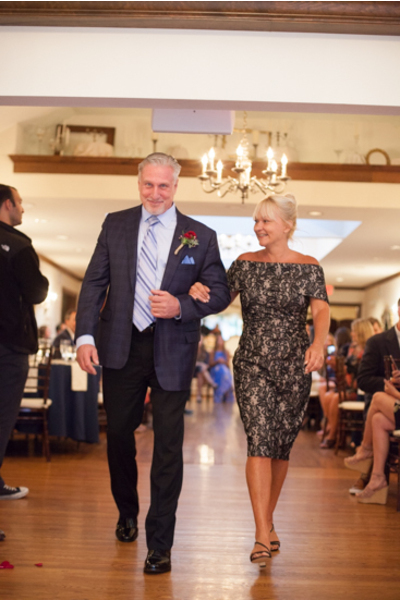 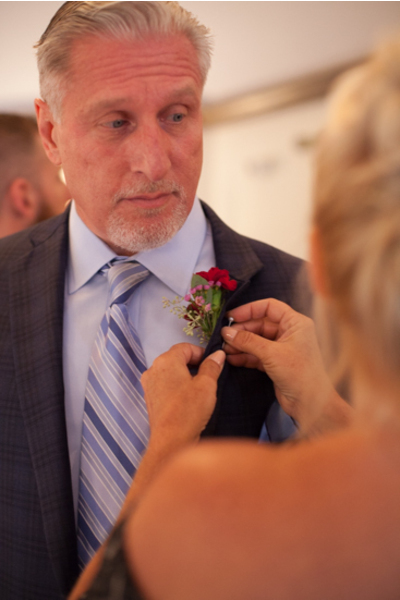 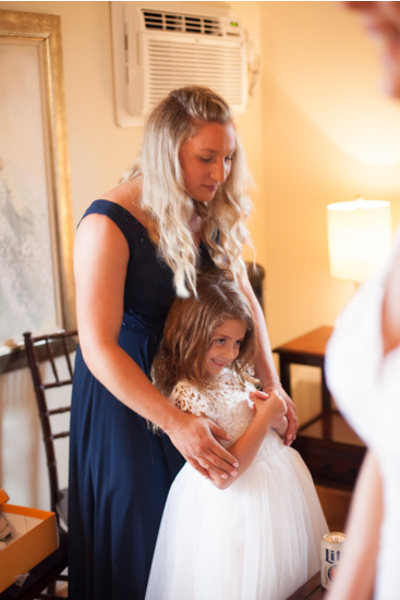 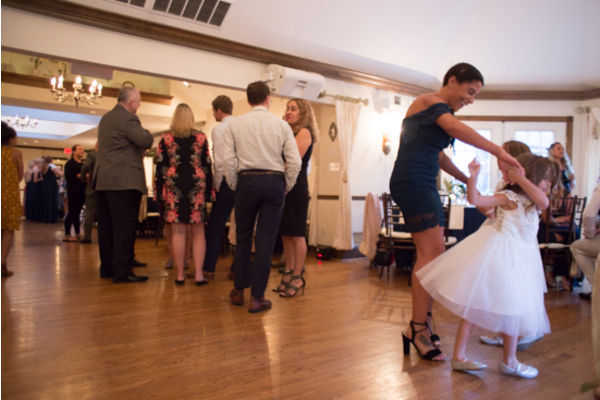 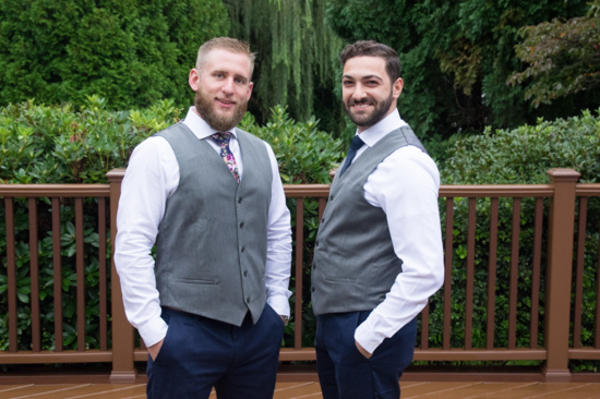 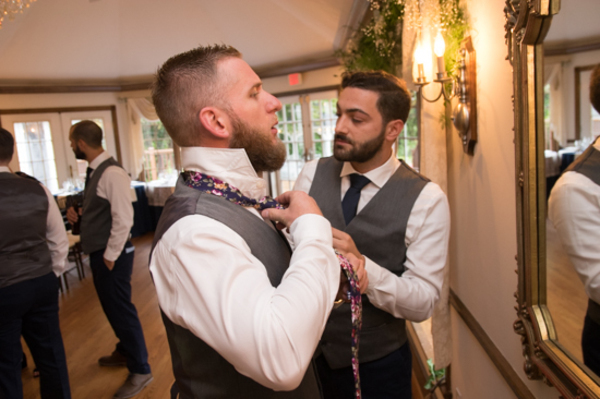 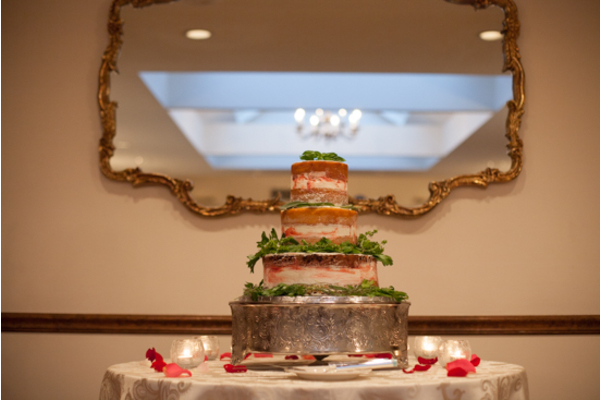 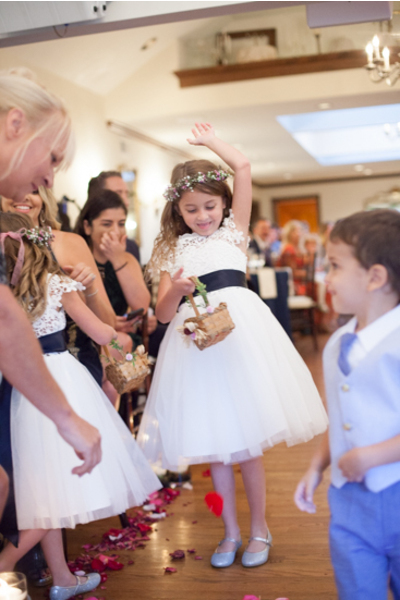 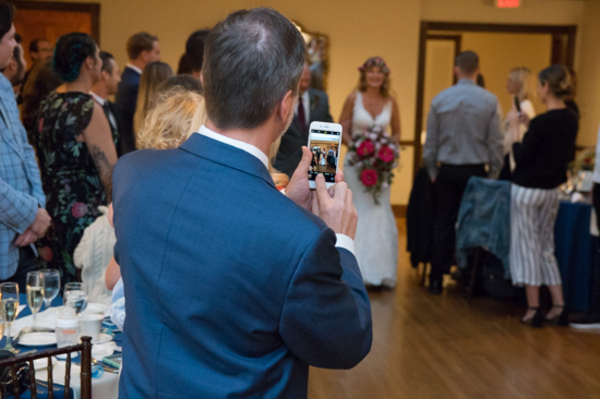 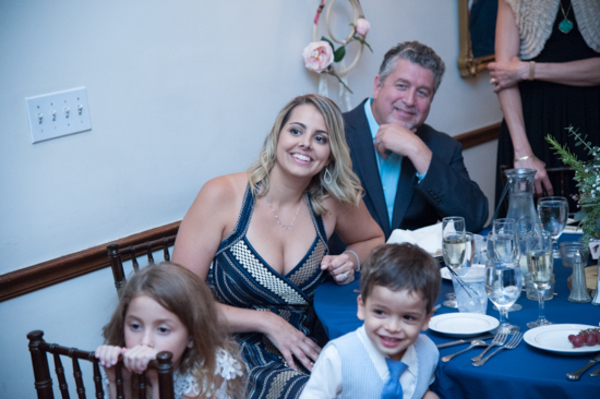 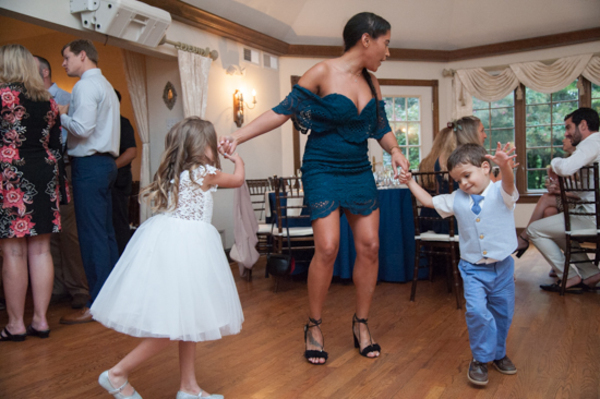 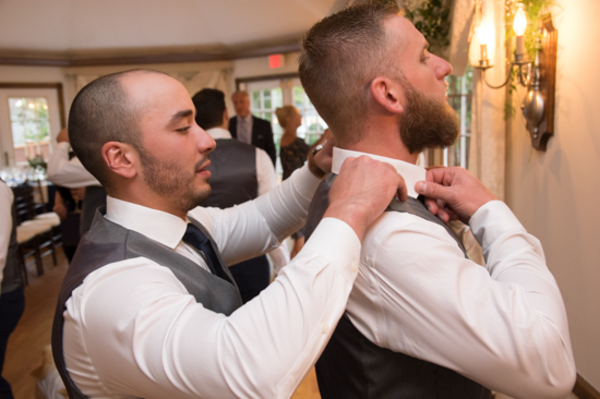 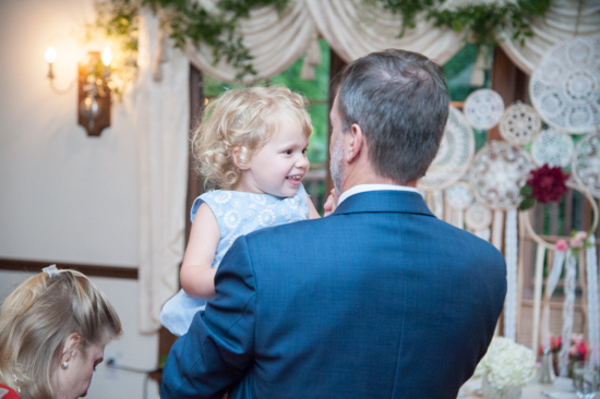 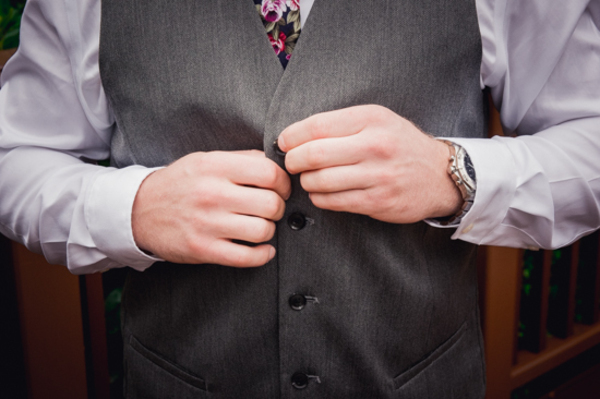 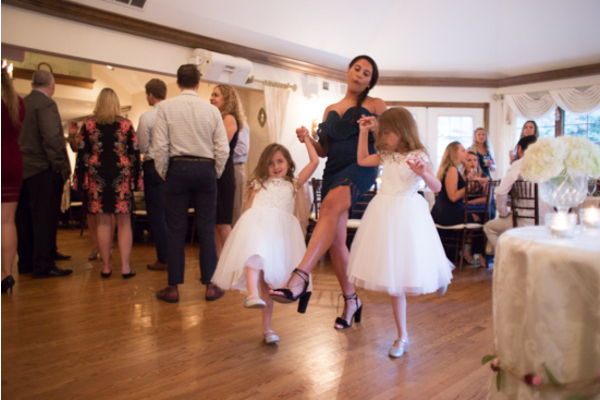 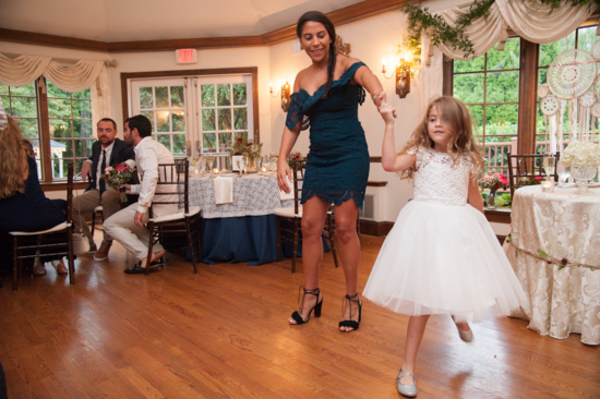 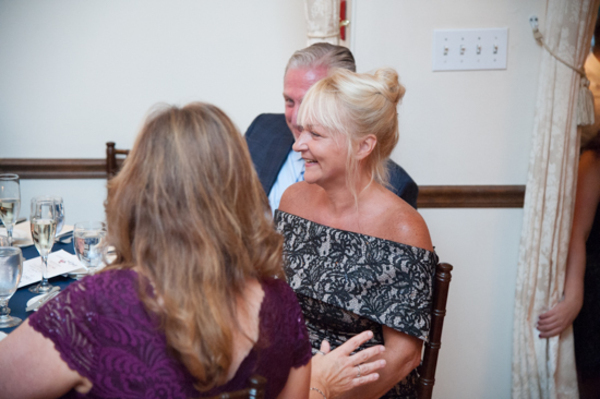 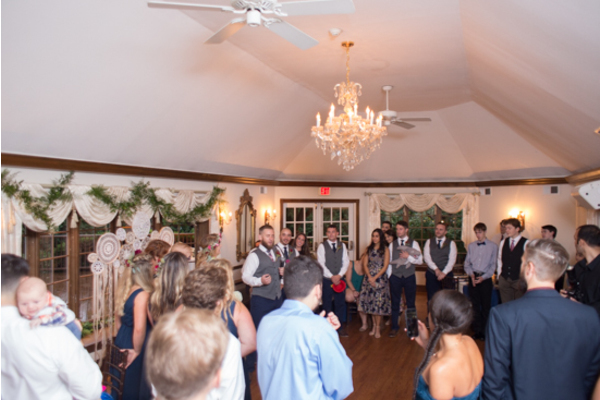 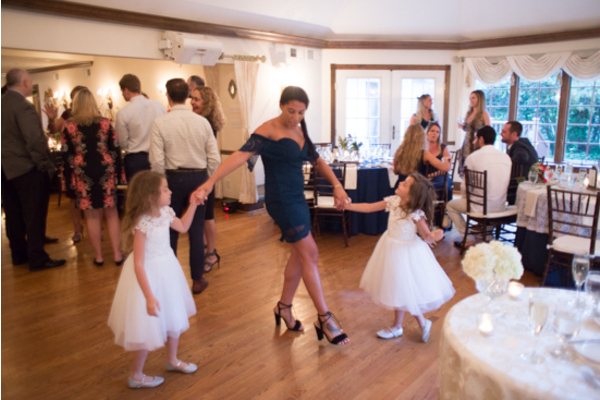 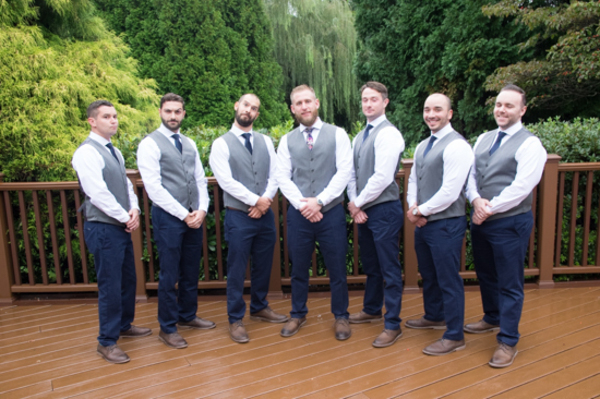 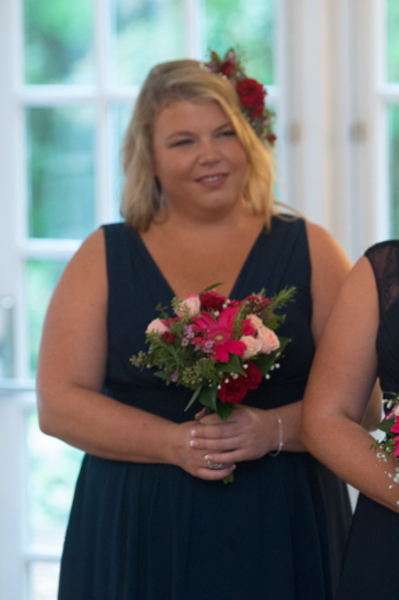 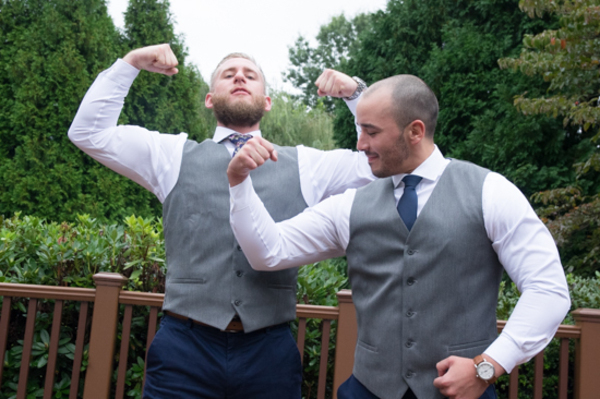 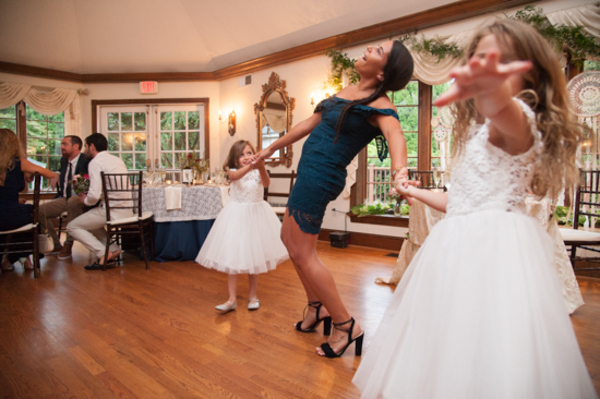 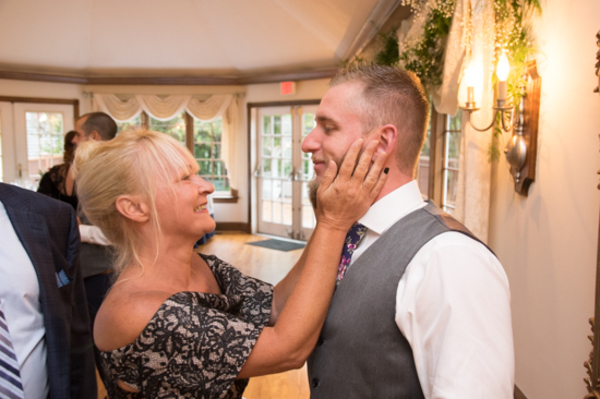 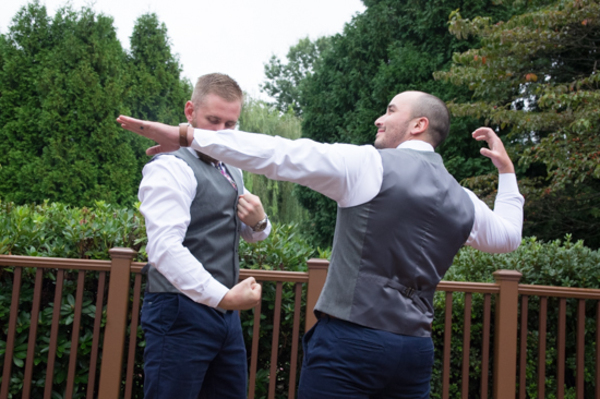 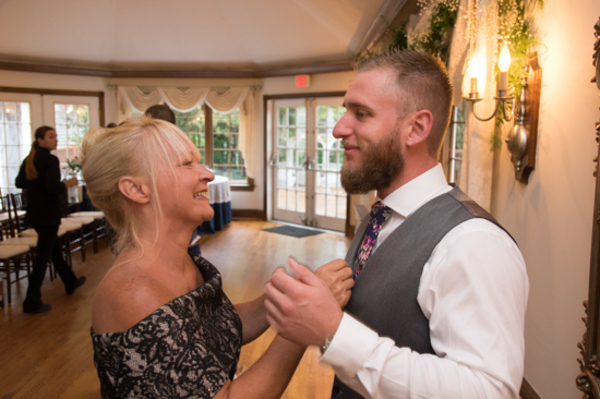 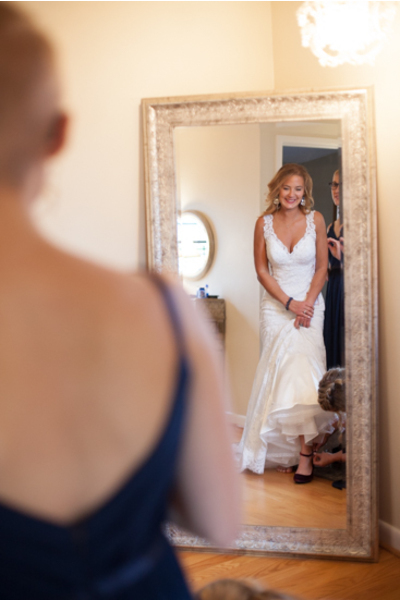 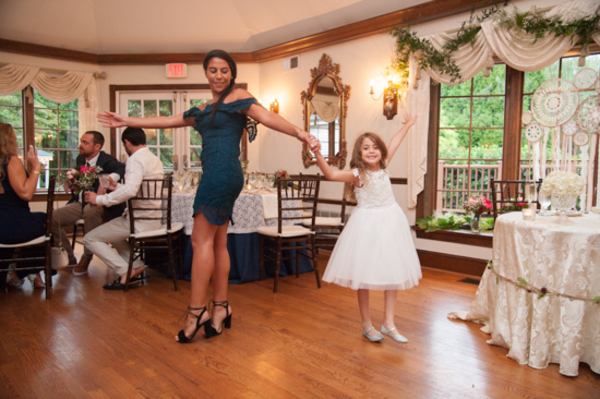 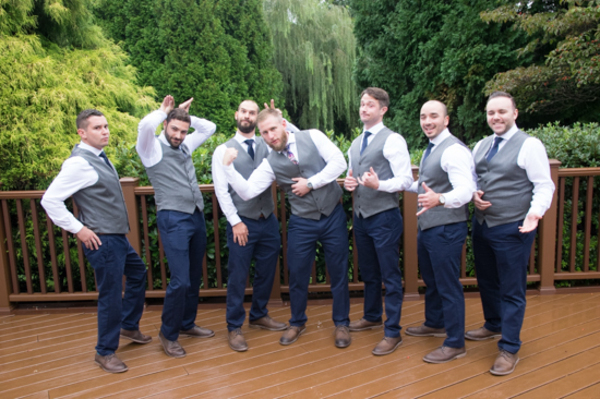 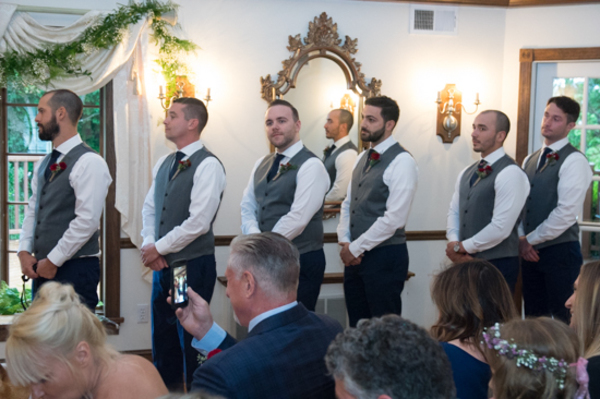 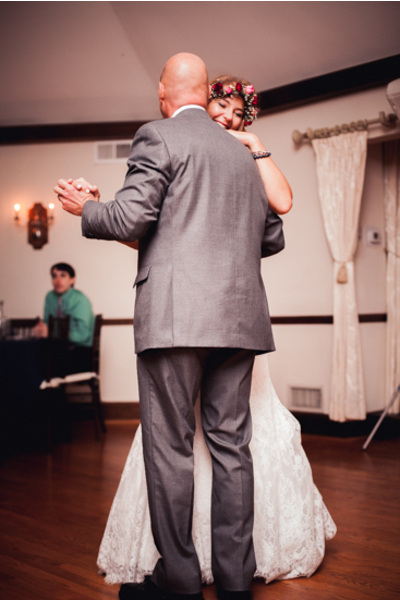 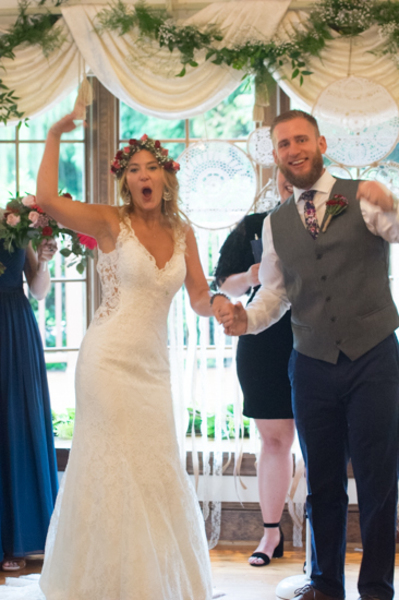 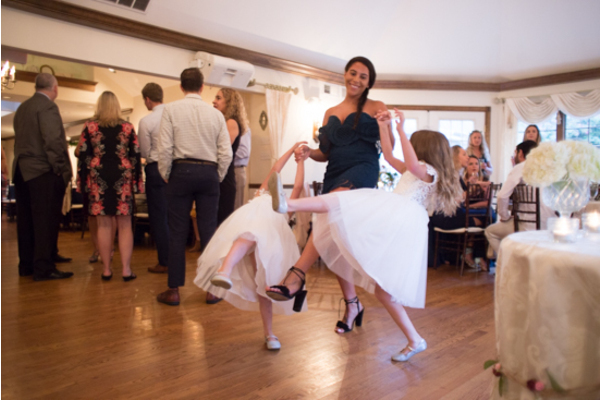 Our NJ Wedding Photographer was there every step of the way to capture all the special moments for the bride and groom. 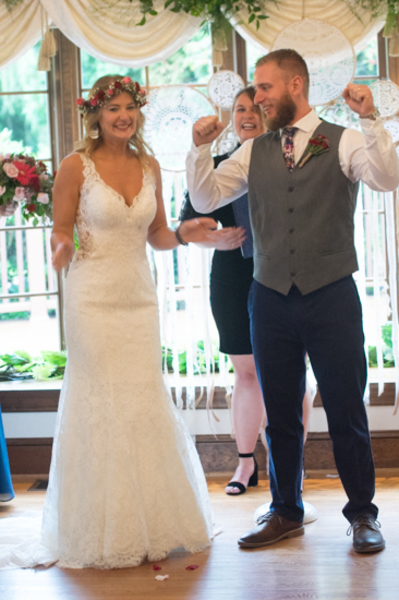 The time was finally here! 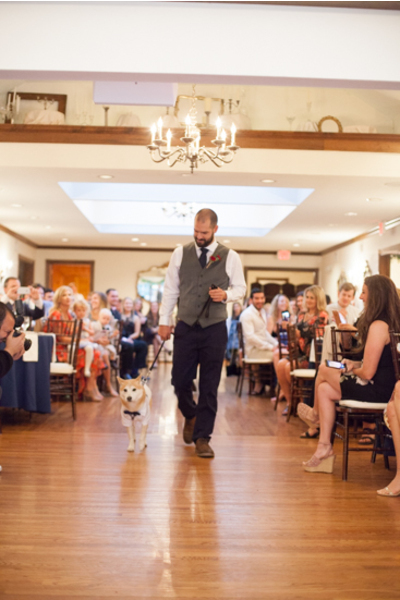 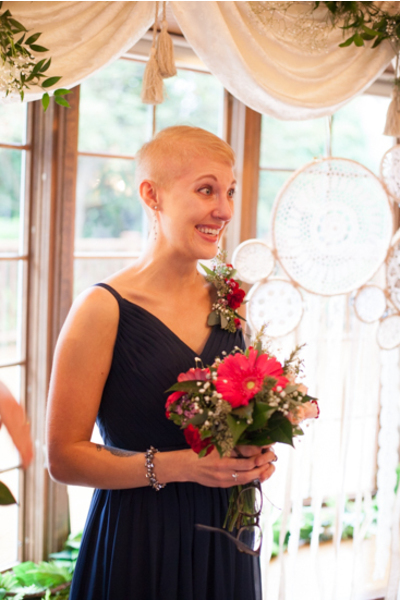 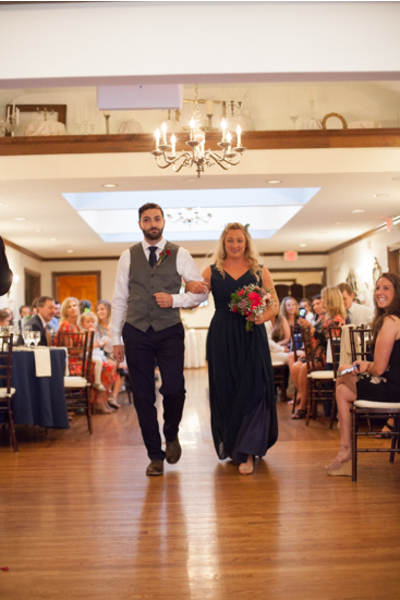 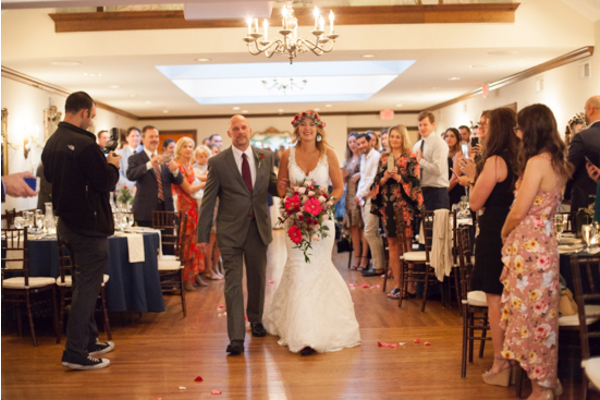 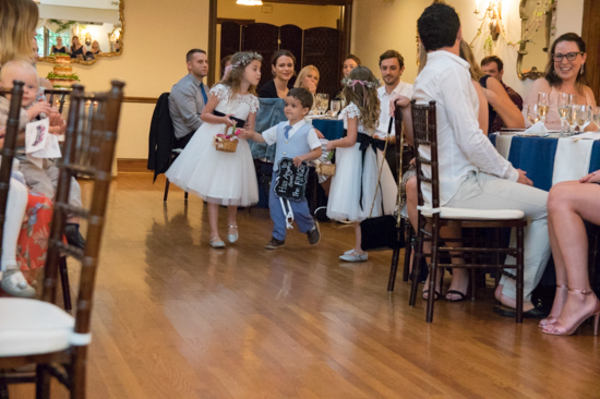 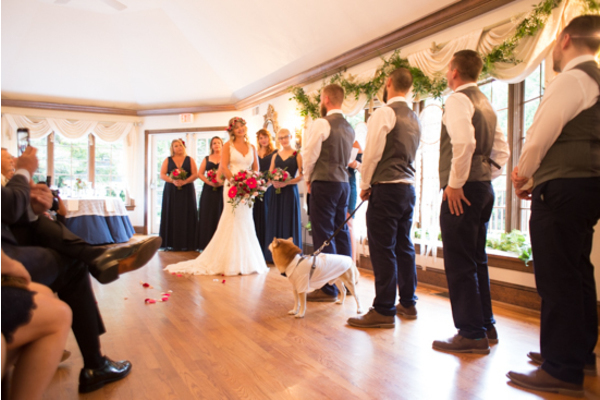 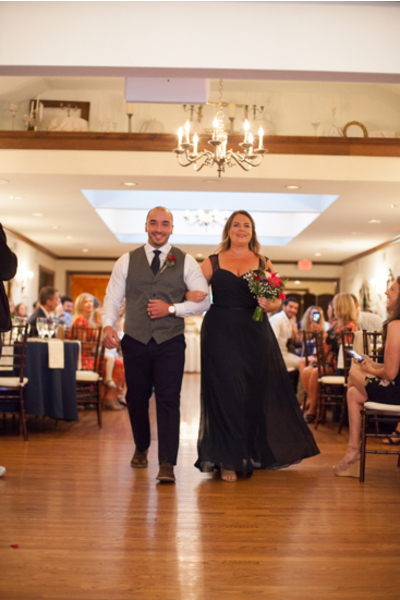 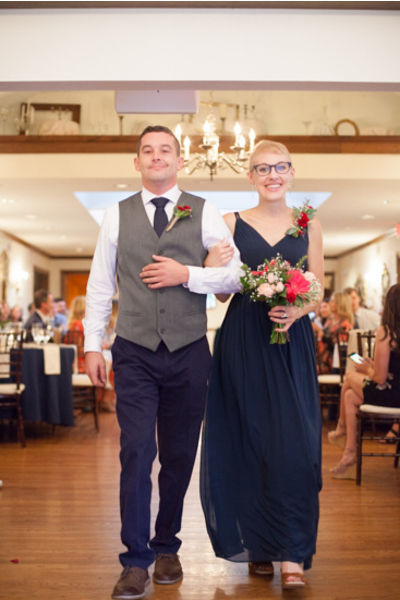 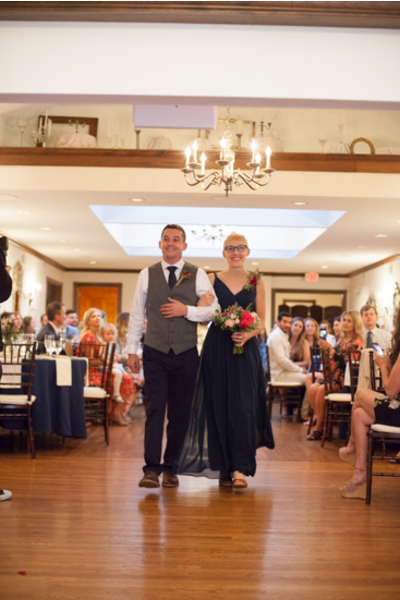 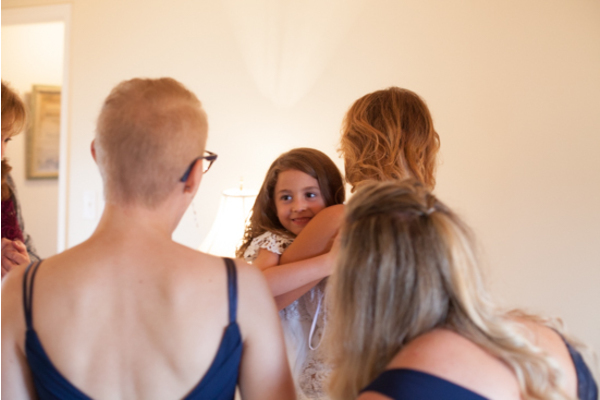 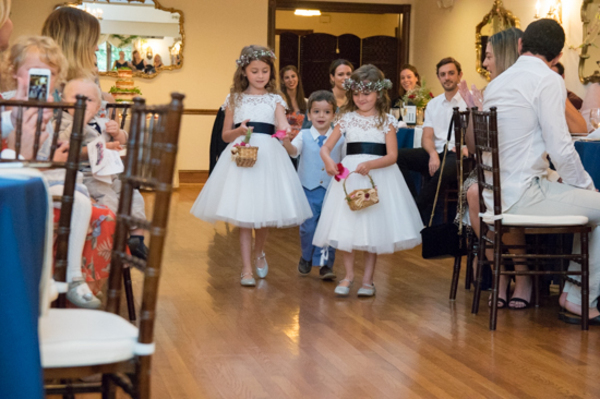 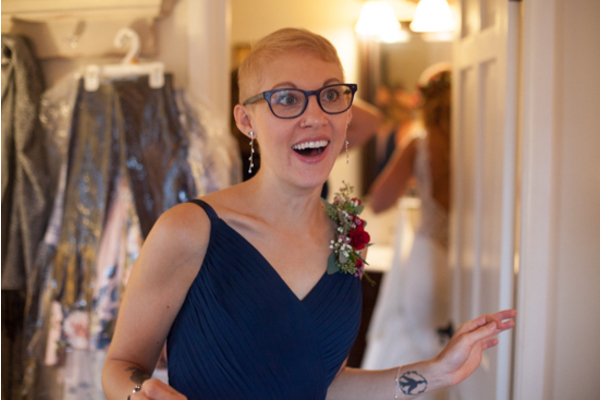 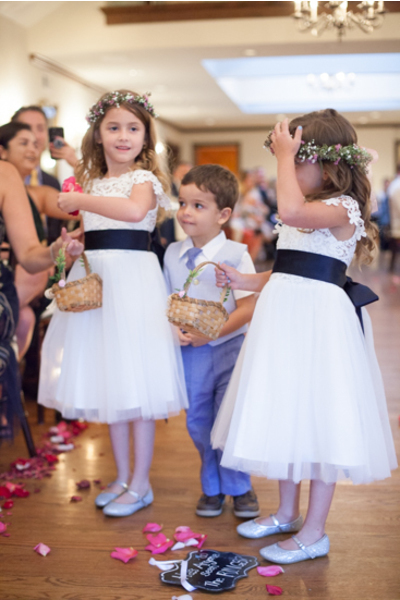 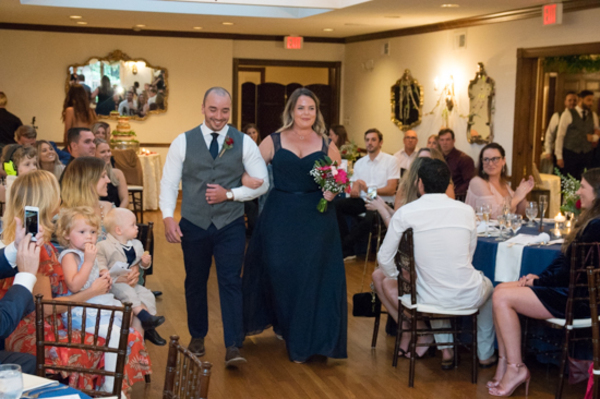 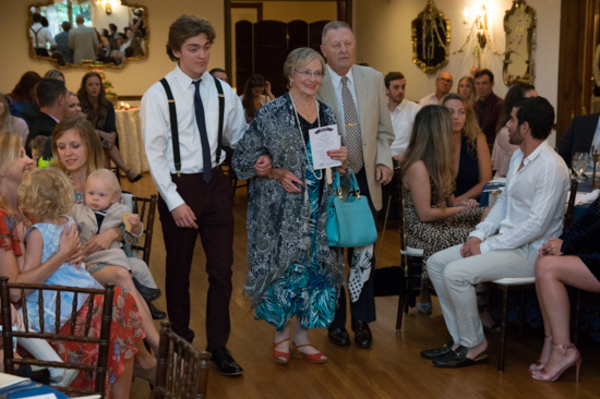 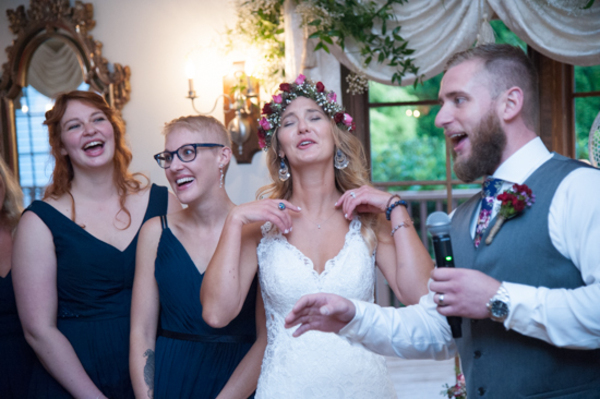 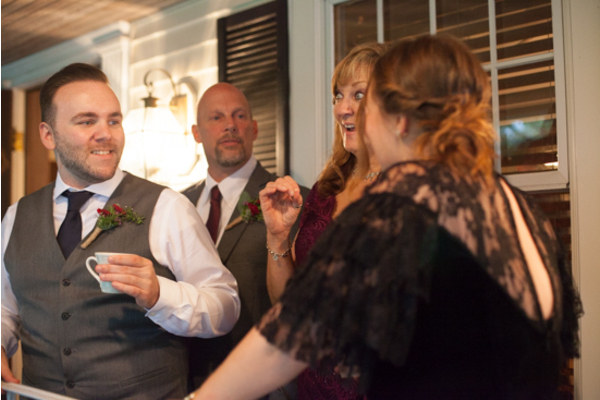 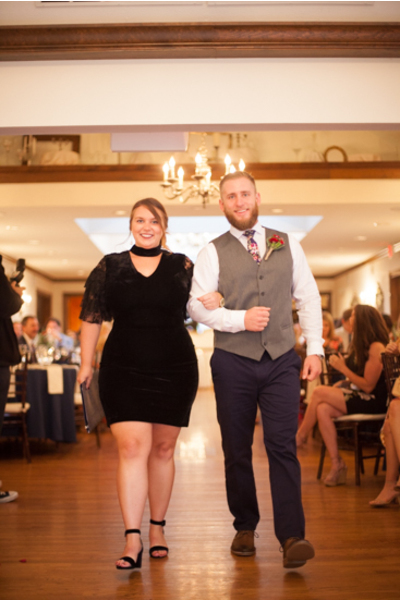 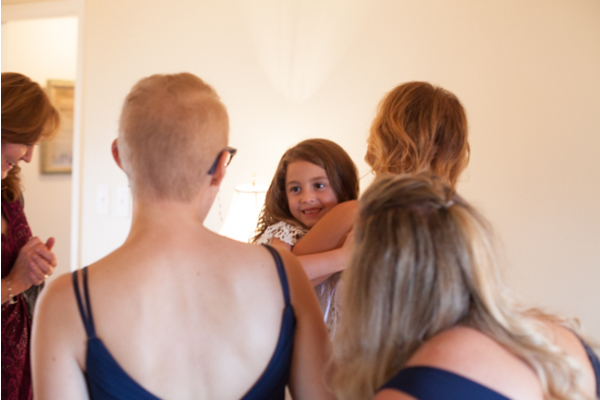 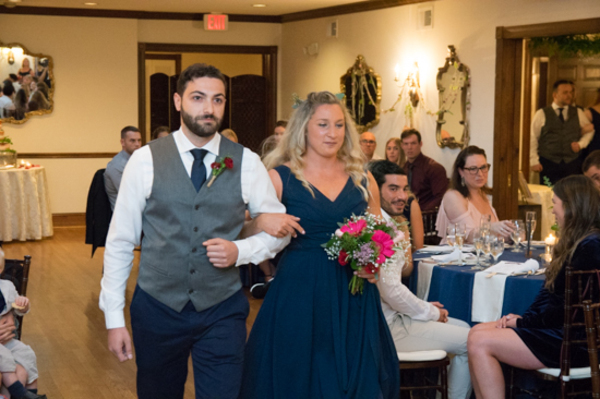 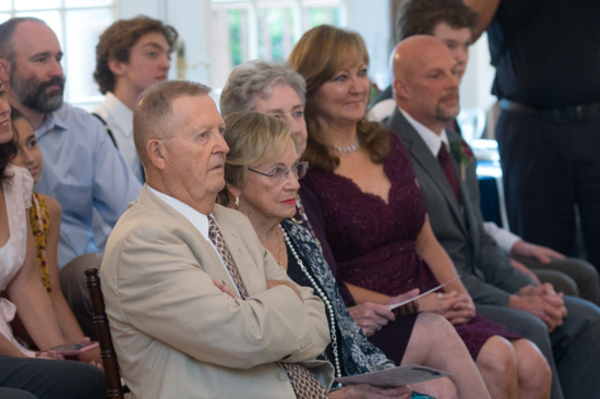 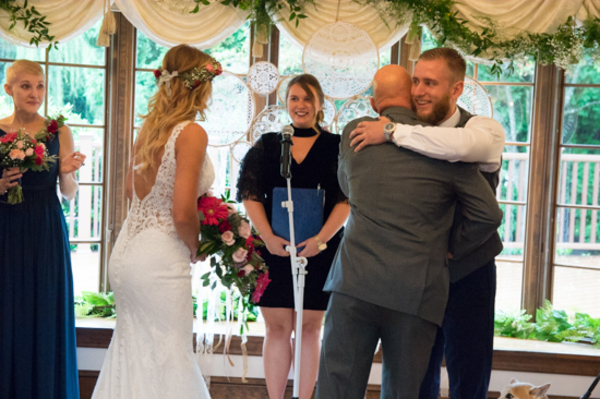 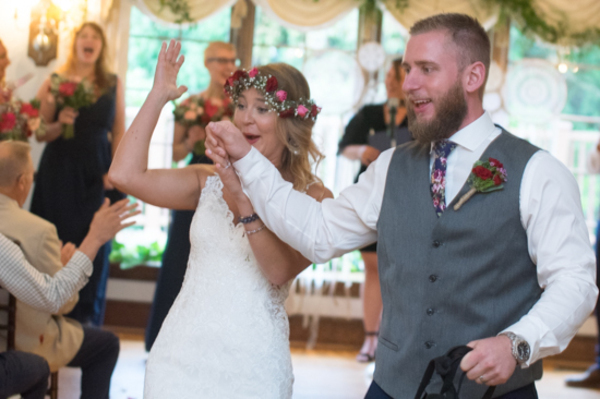 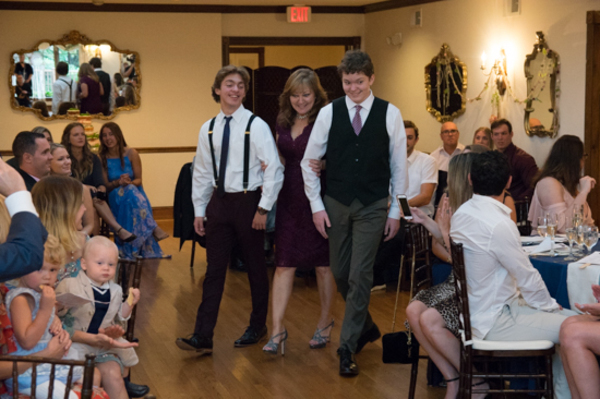 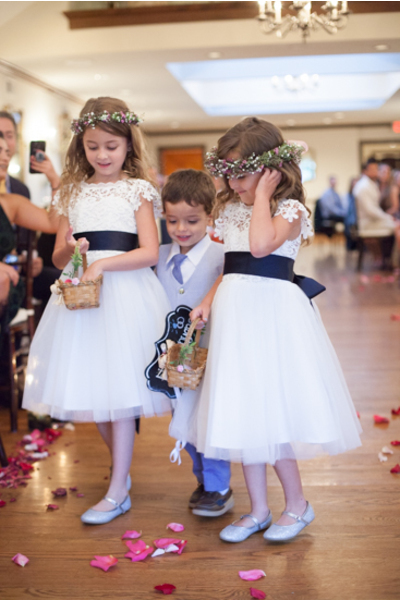 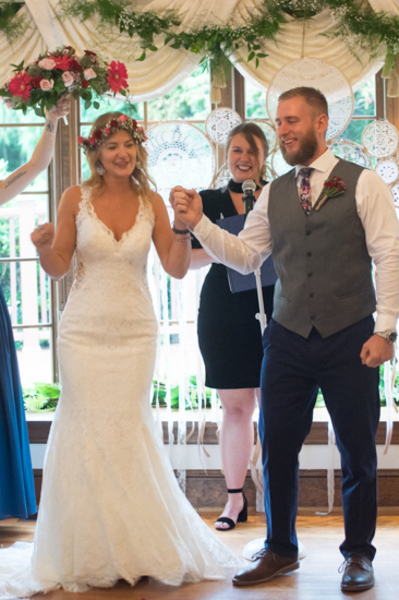 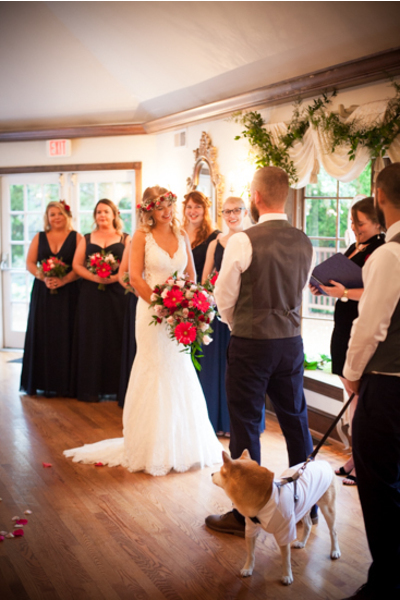 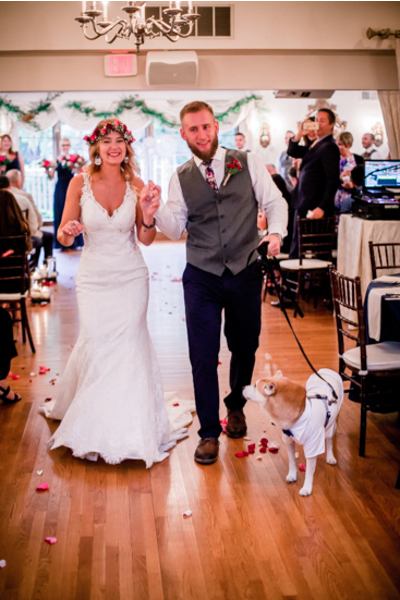 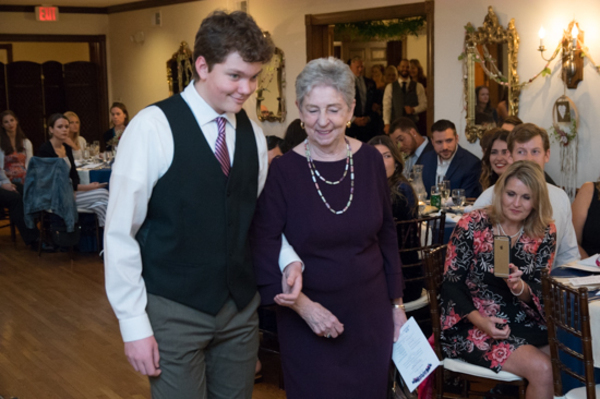 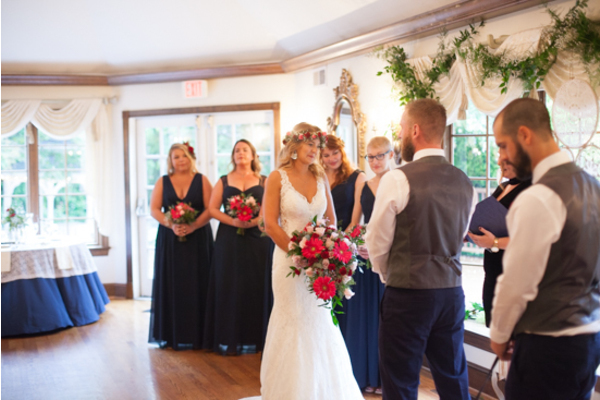 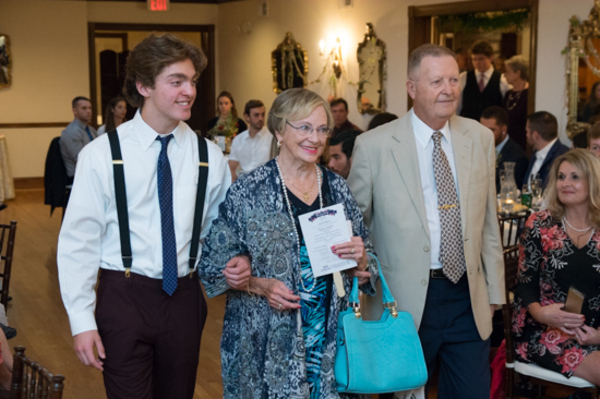 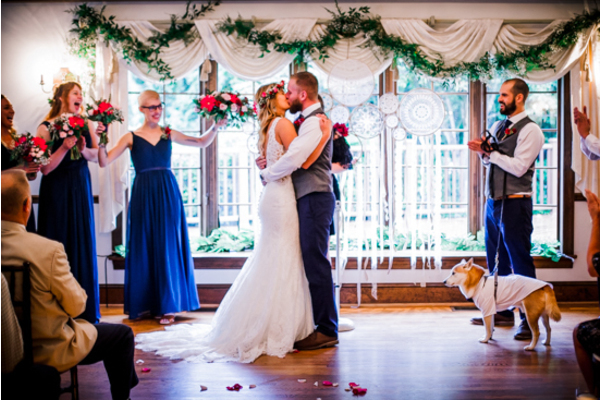 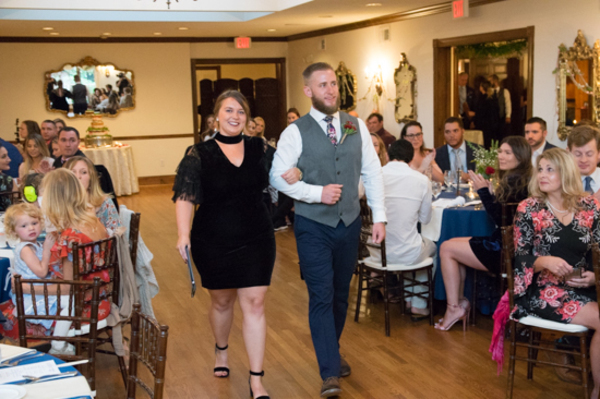 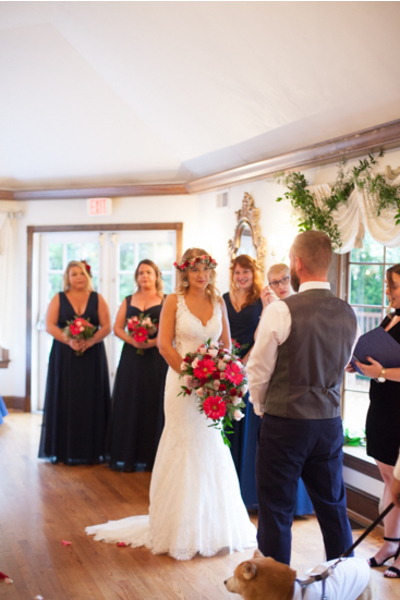 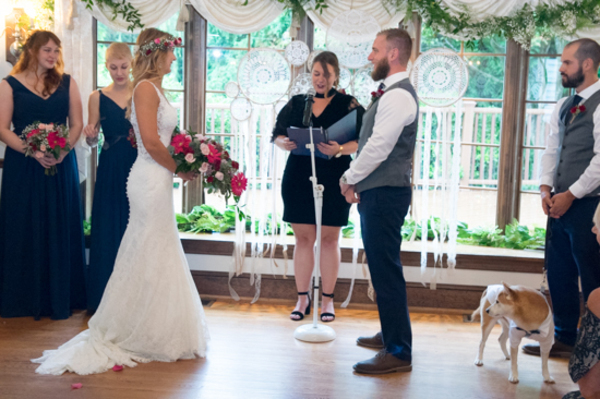 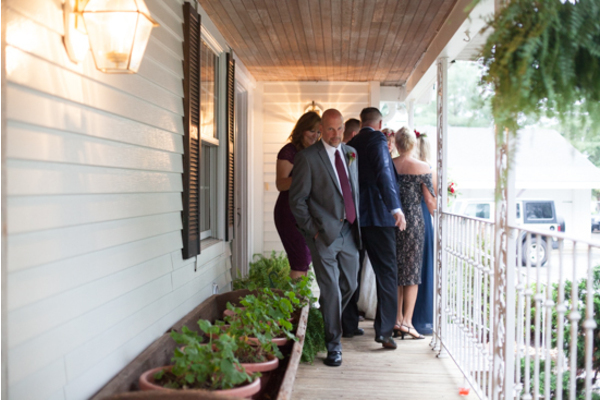 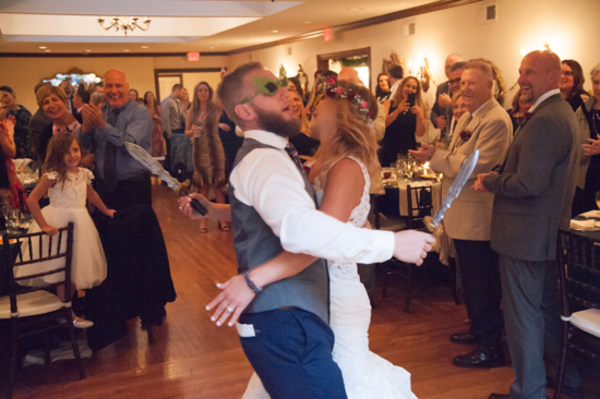 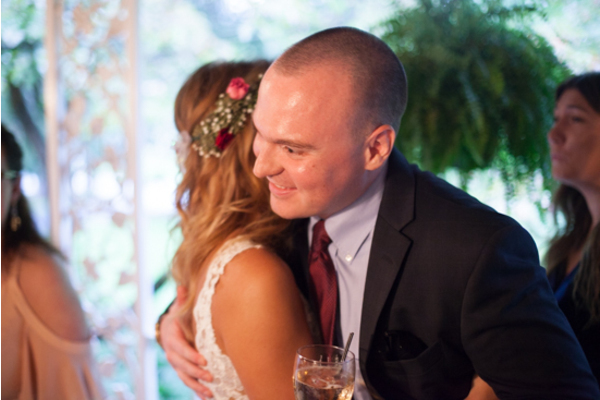 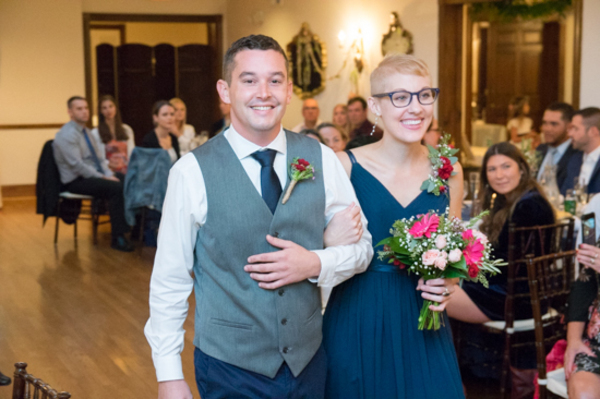 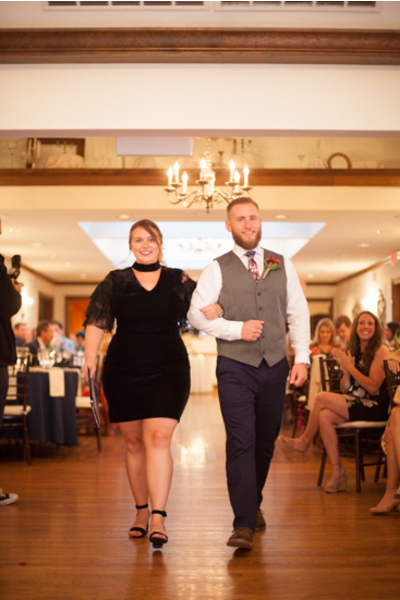 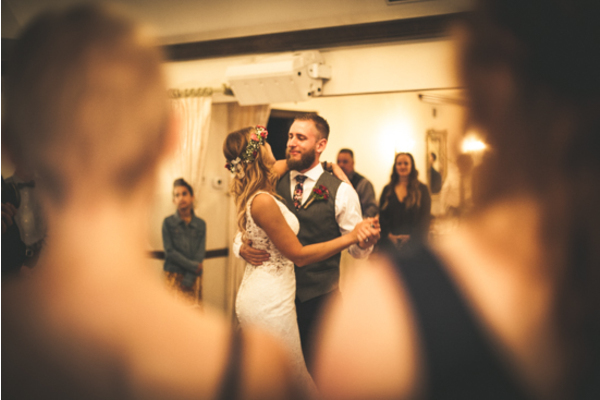 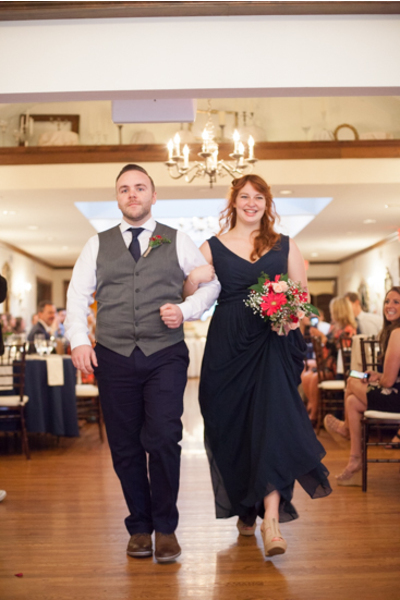 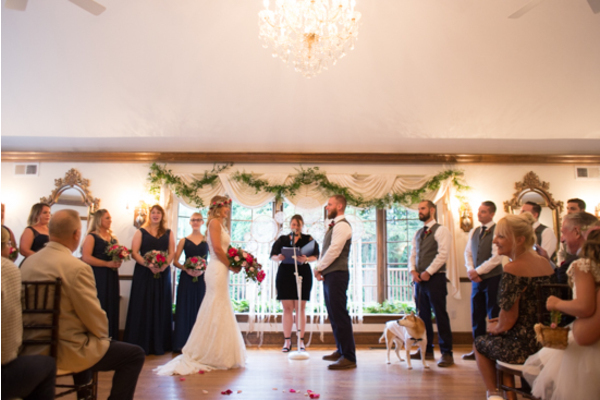 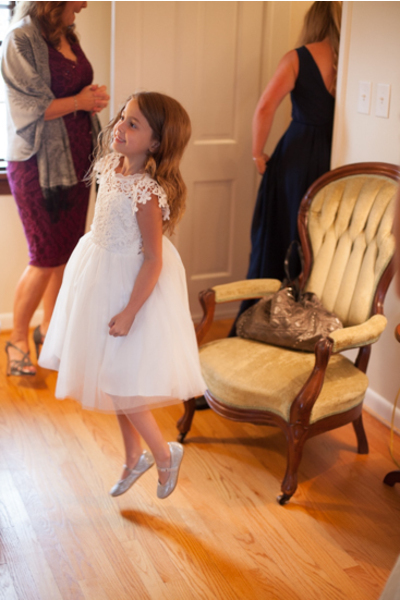 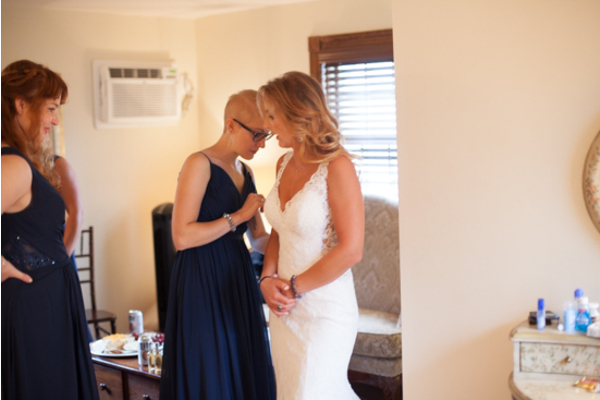 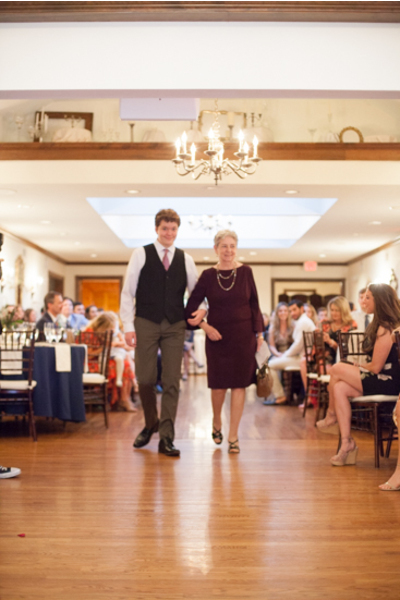 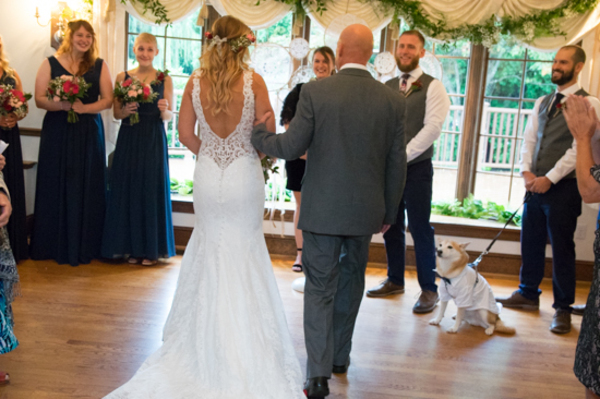 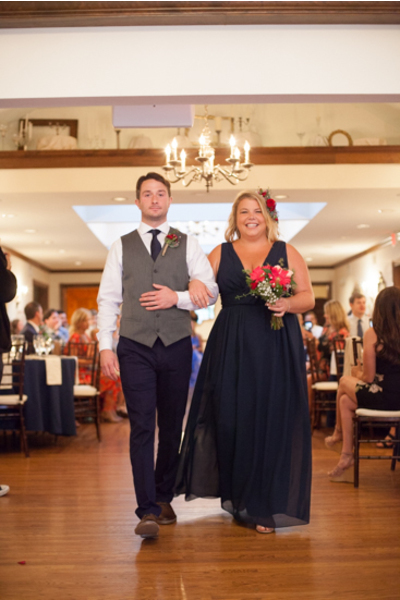 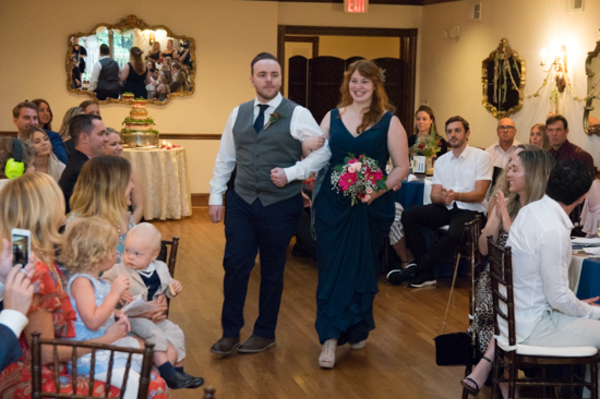 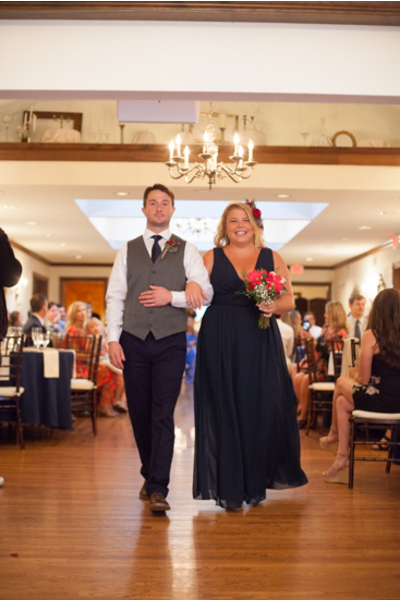 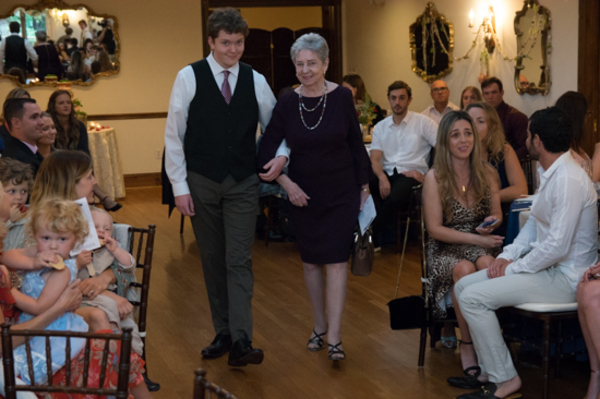 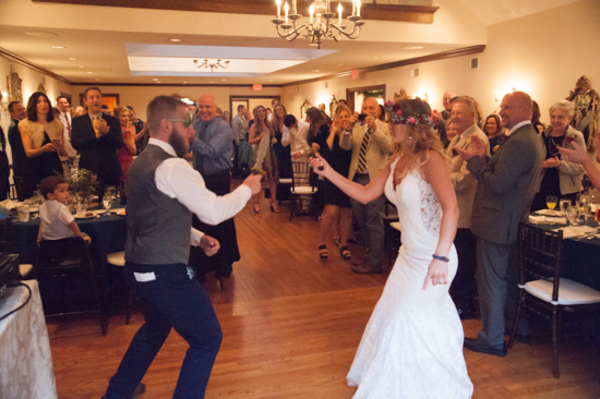 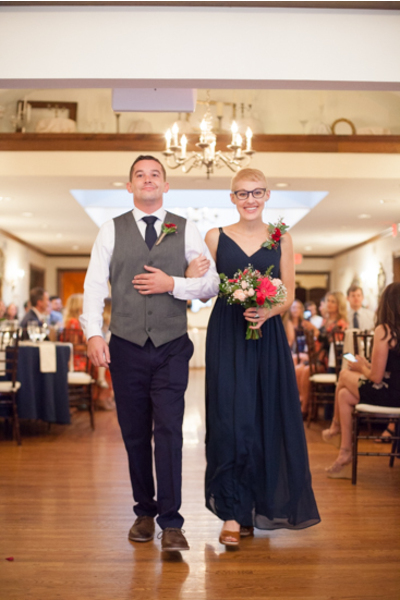 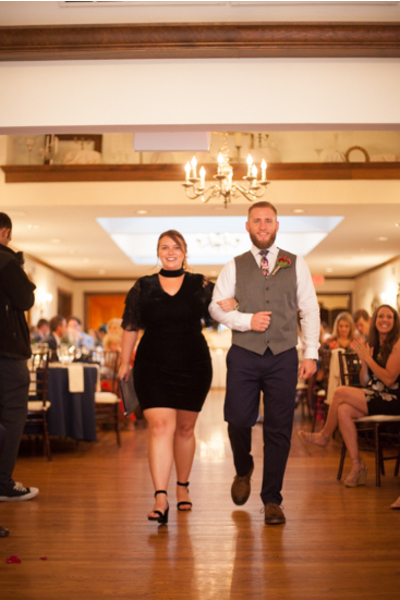 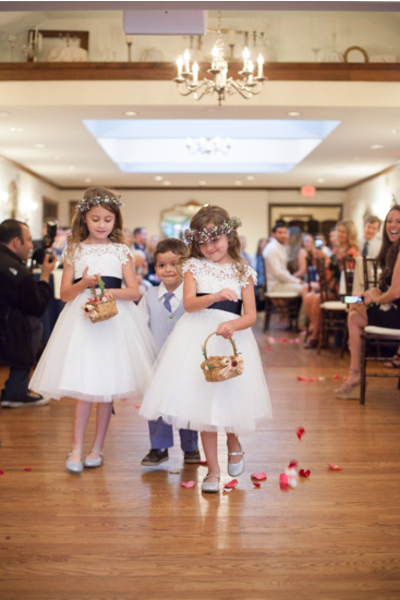 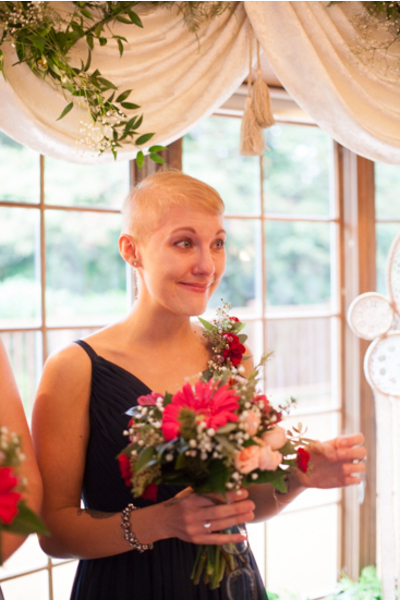 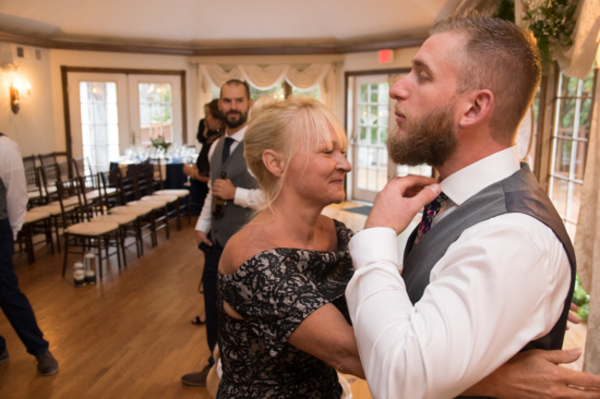 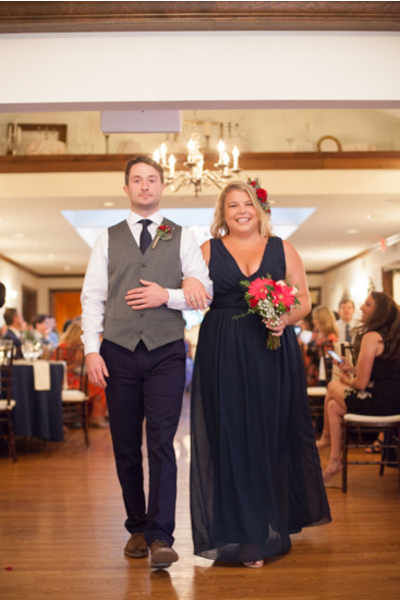 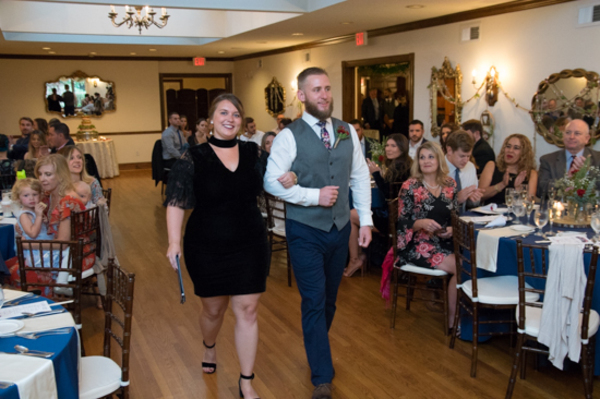 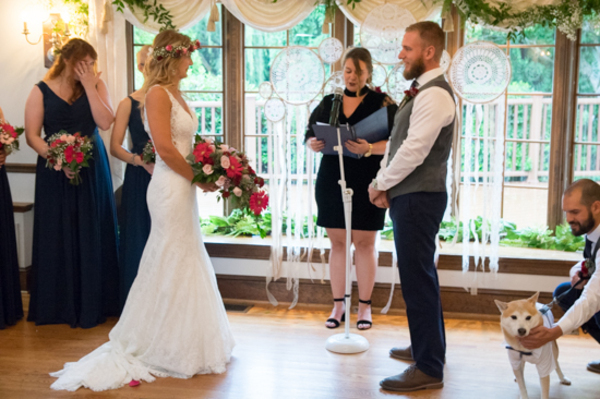 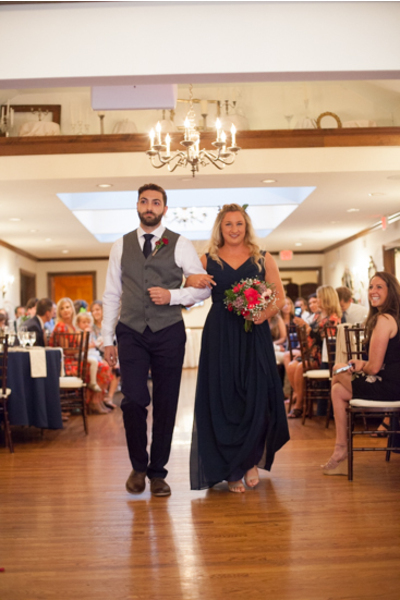 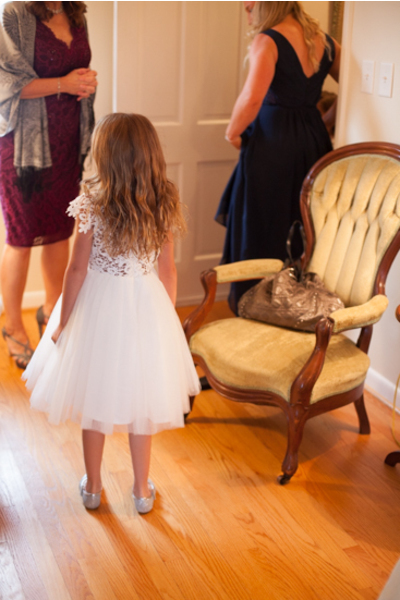 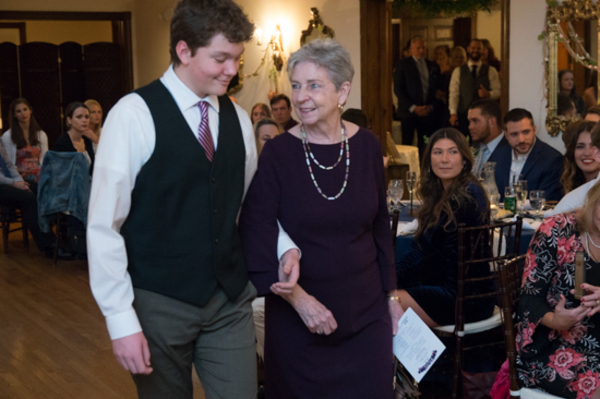 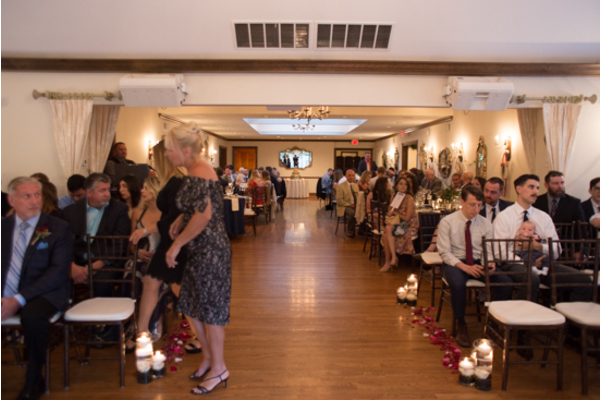 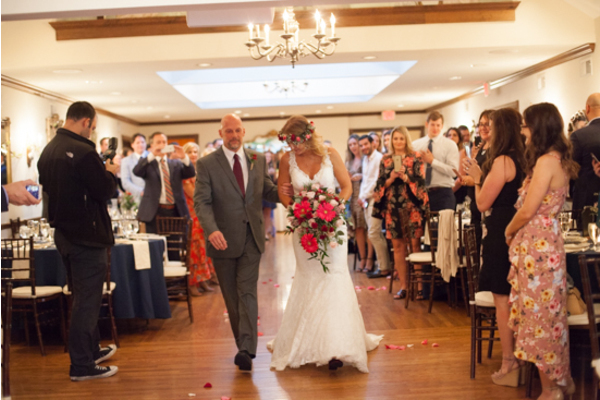 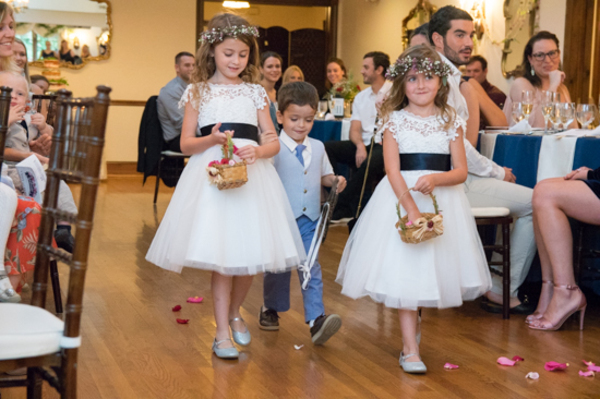 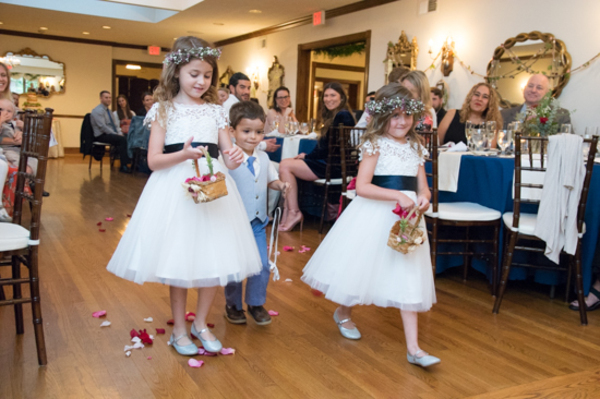 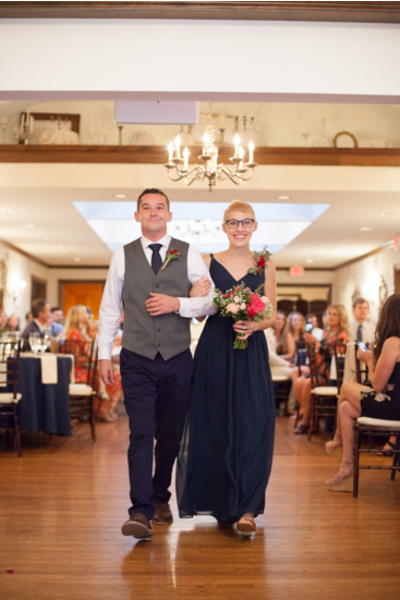 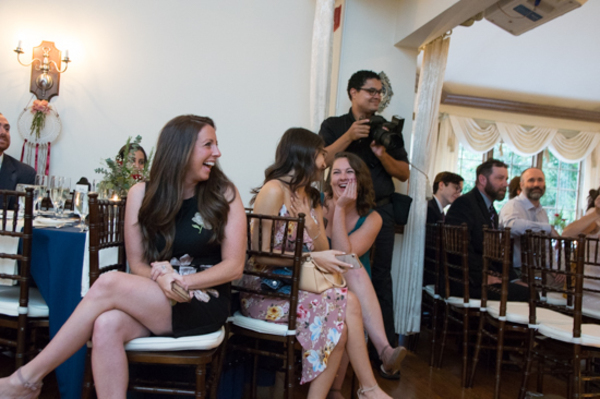 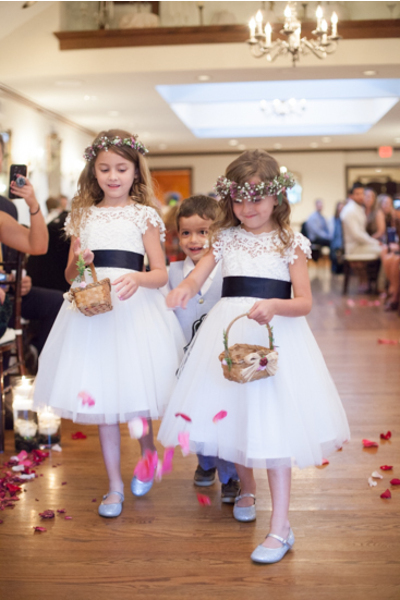 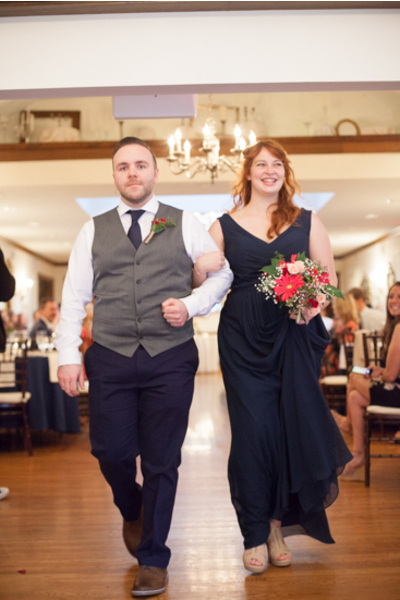 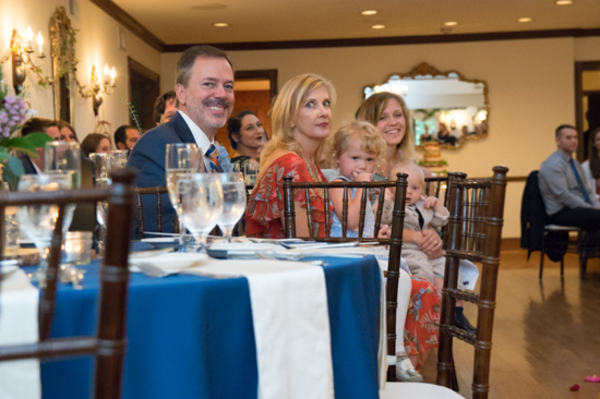 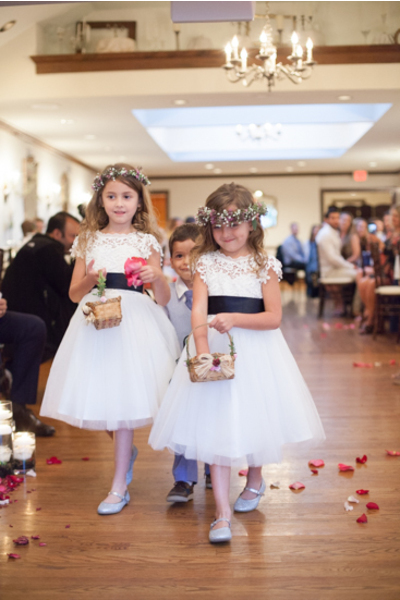 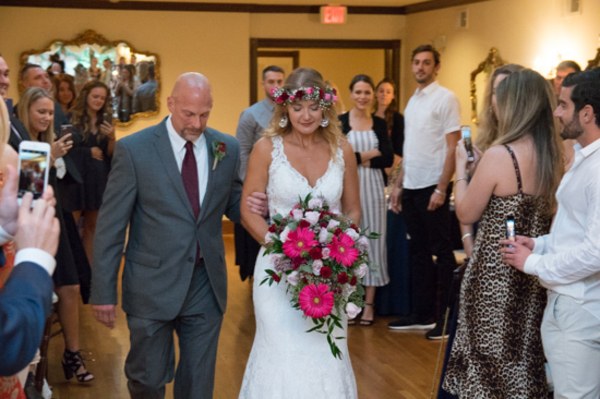 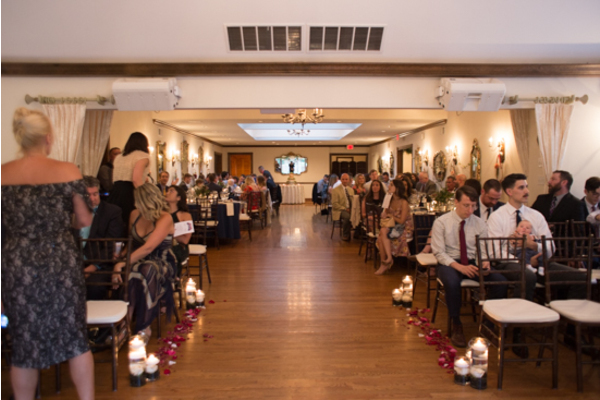 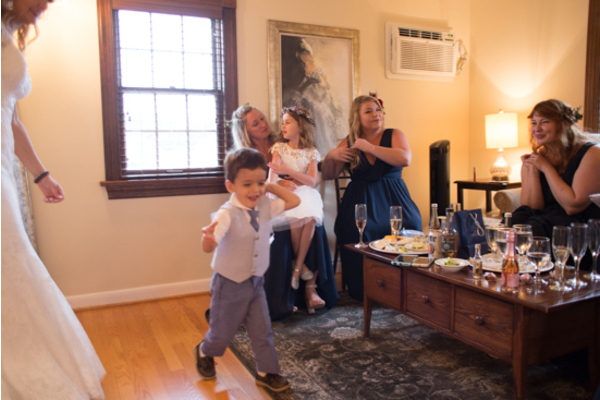 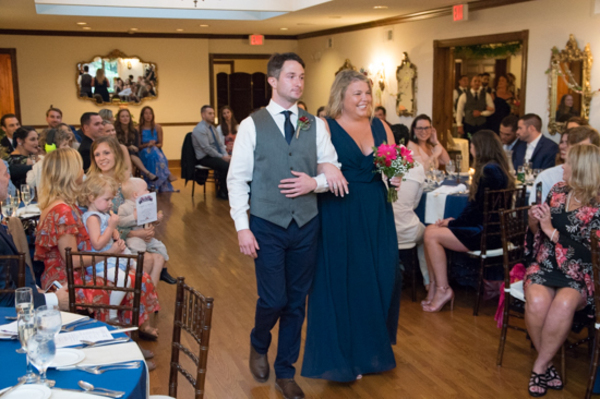 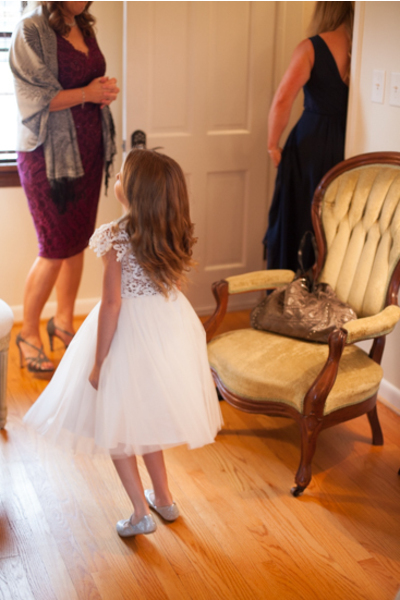 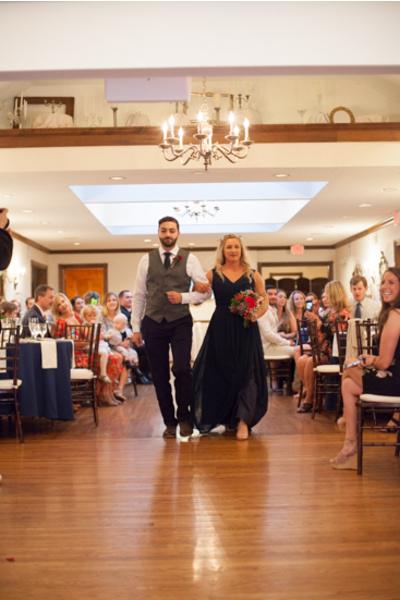 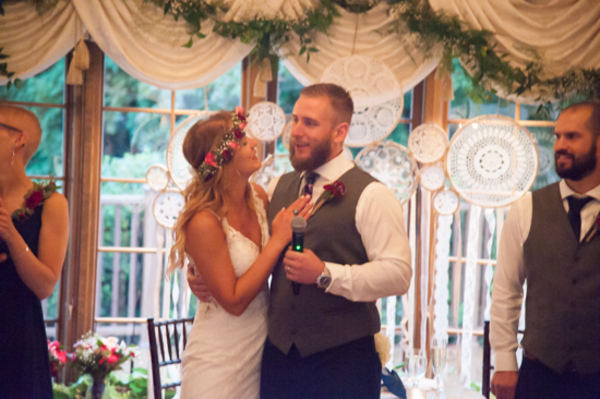 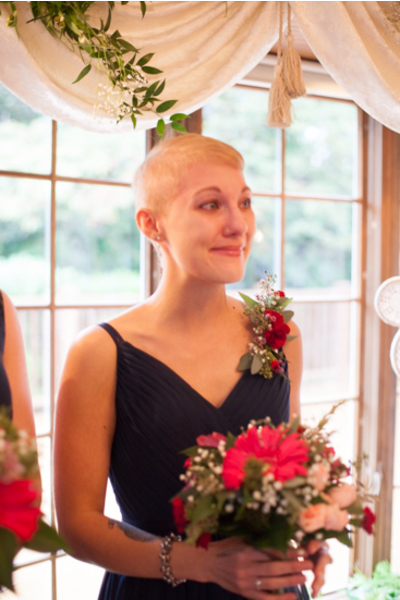 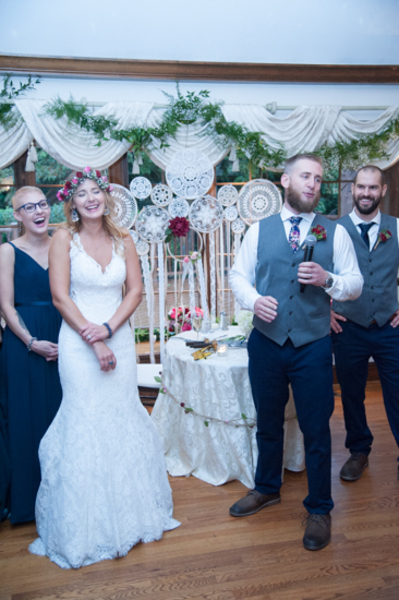 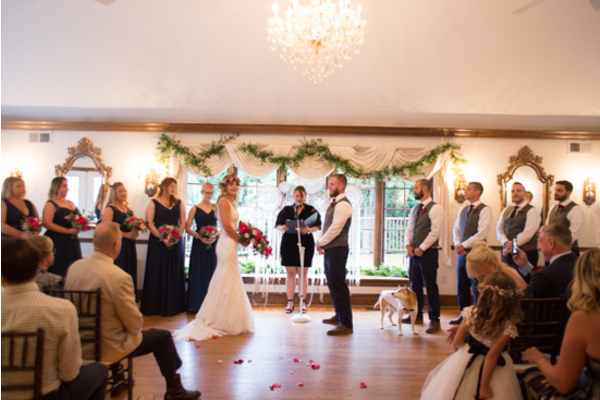 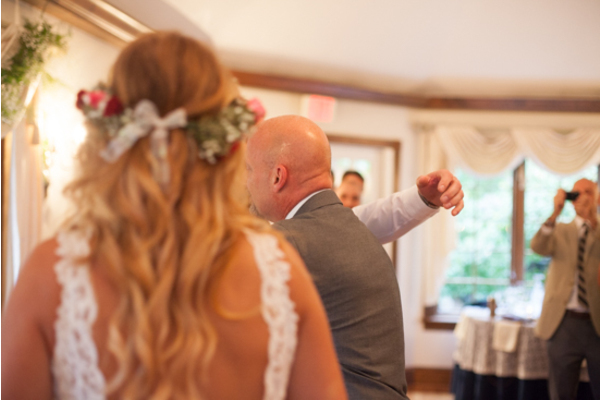 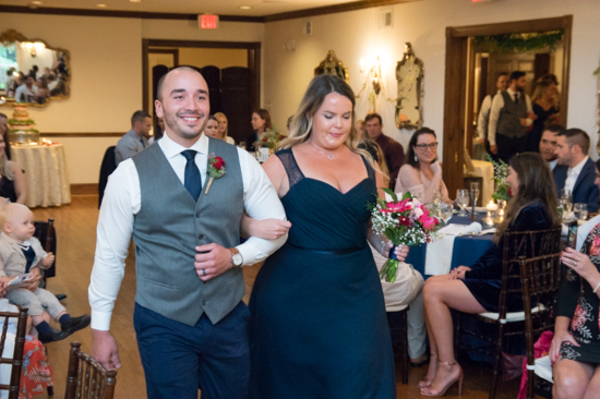 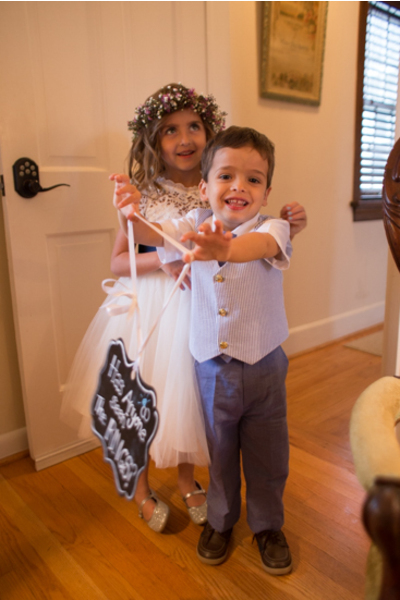 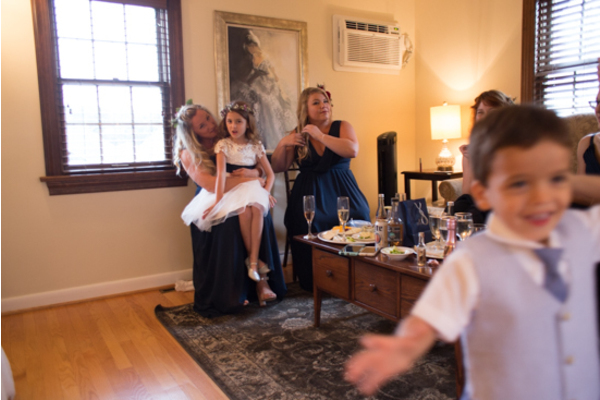 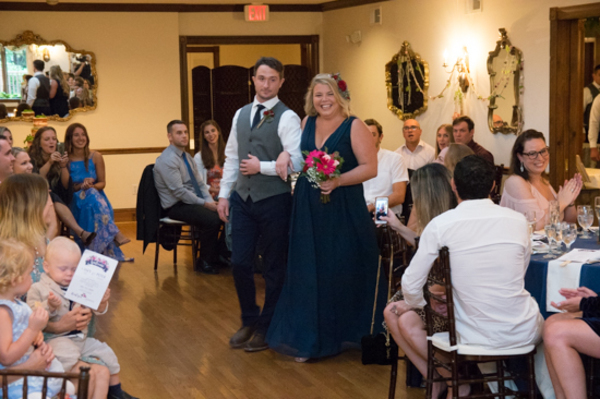 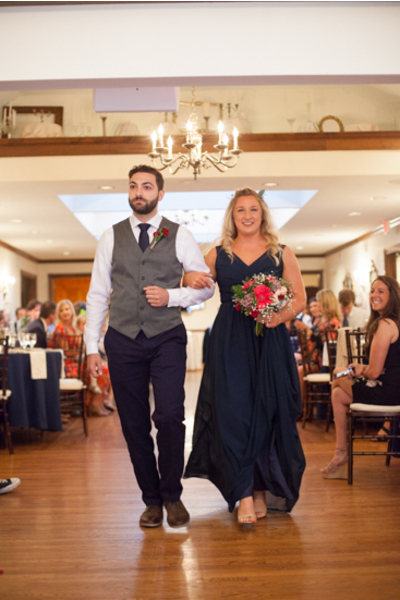 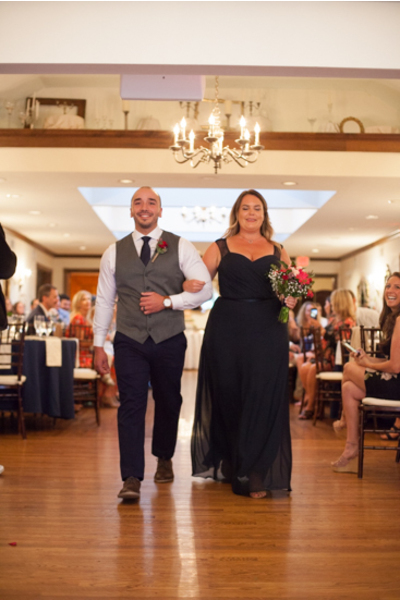 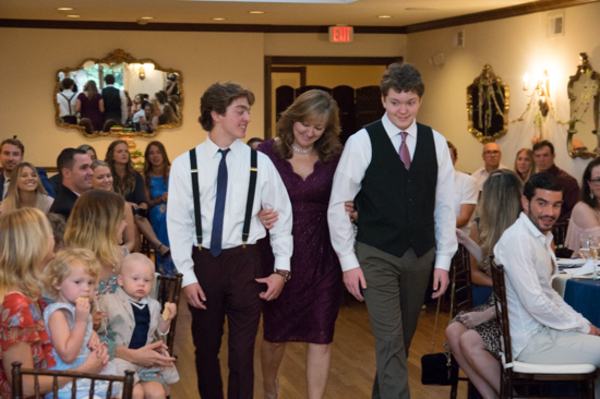 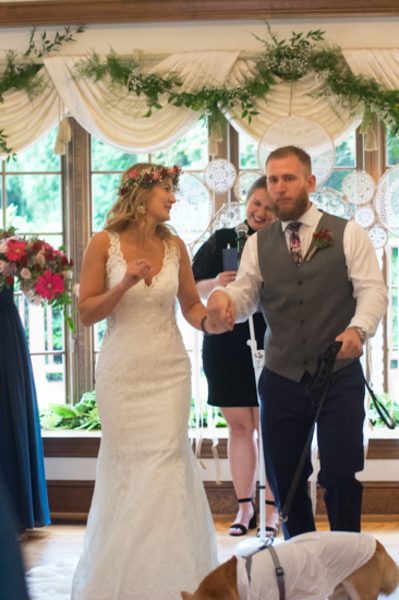 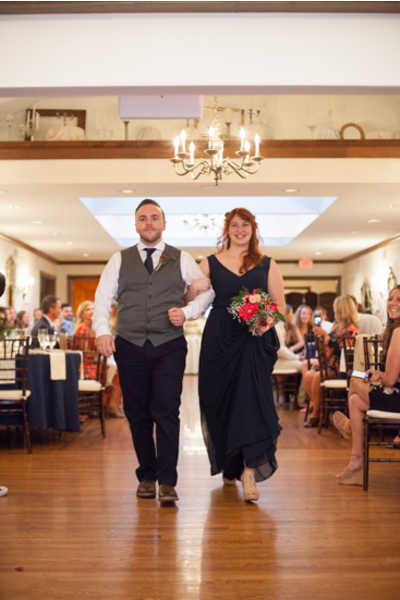 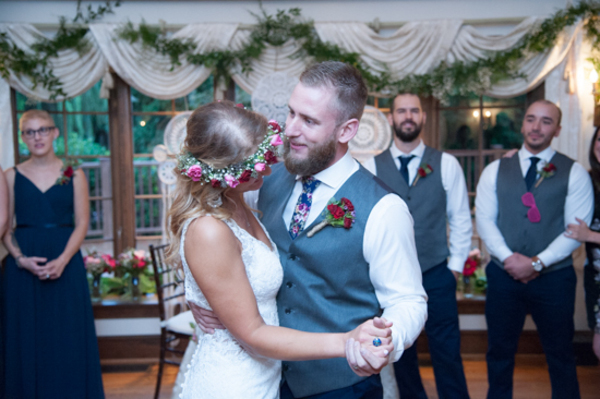 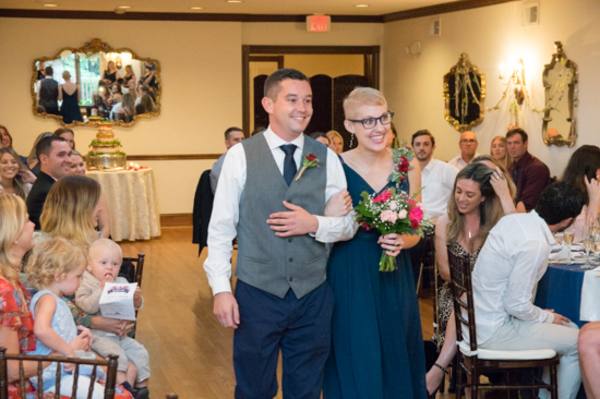 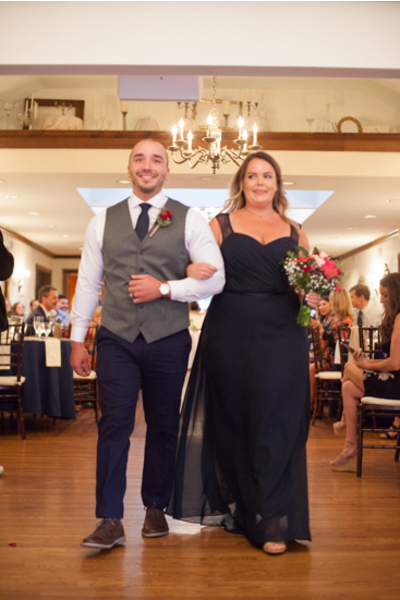 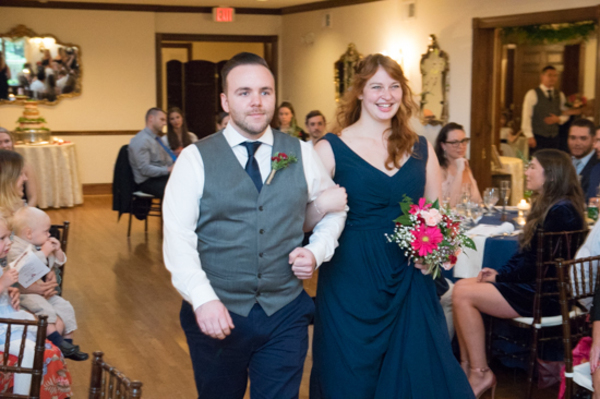 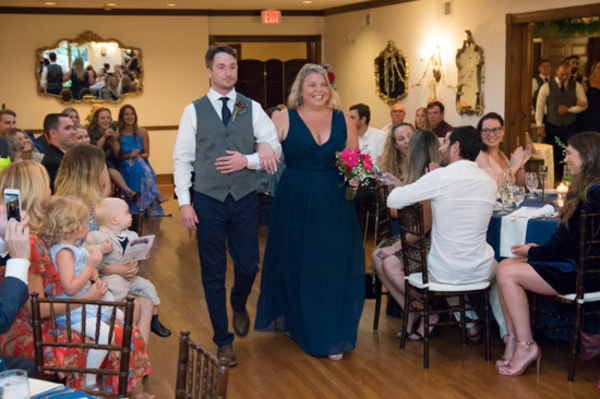 Family and friends rose from their seats when Casey walked down the aisle. 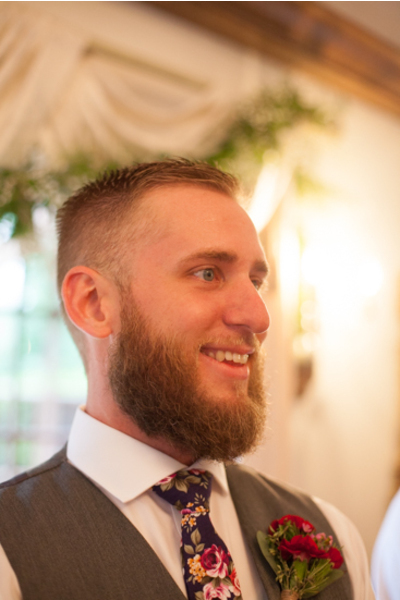 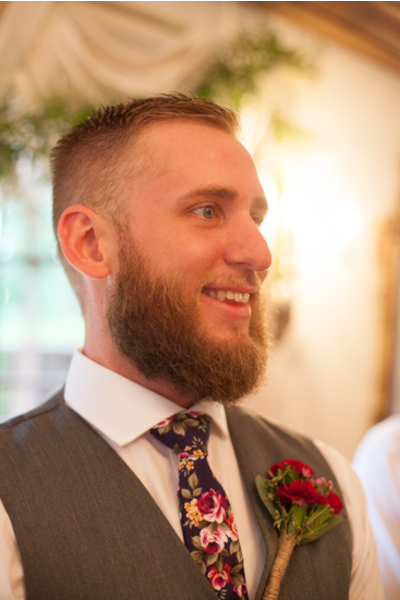 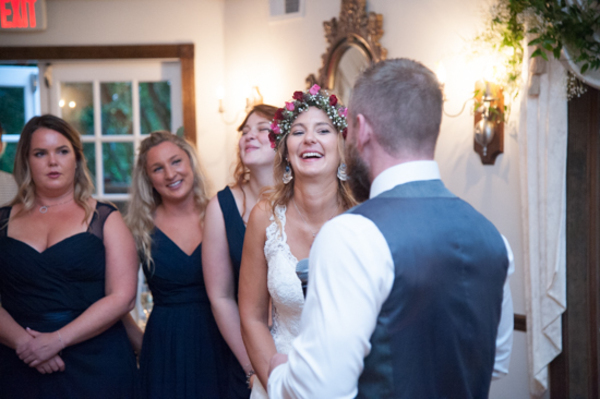 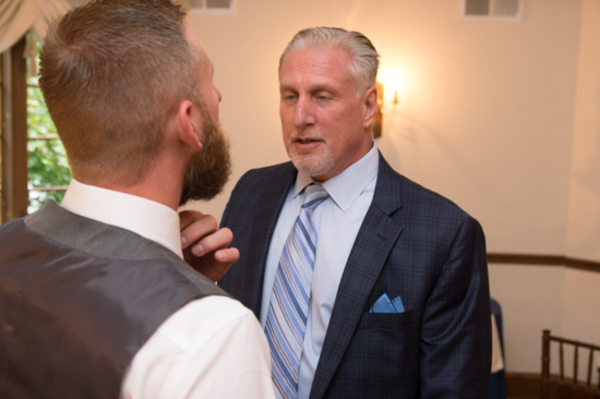 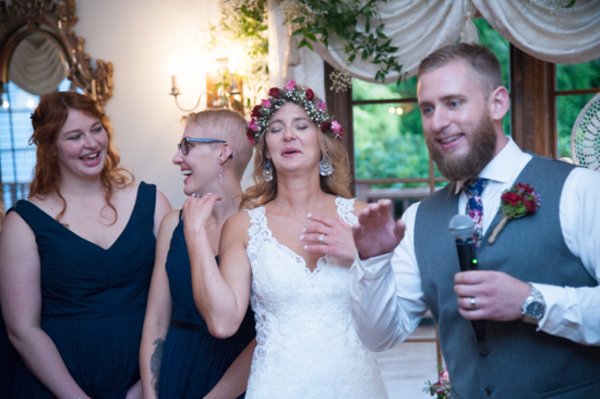 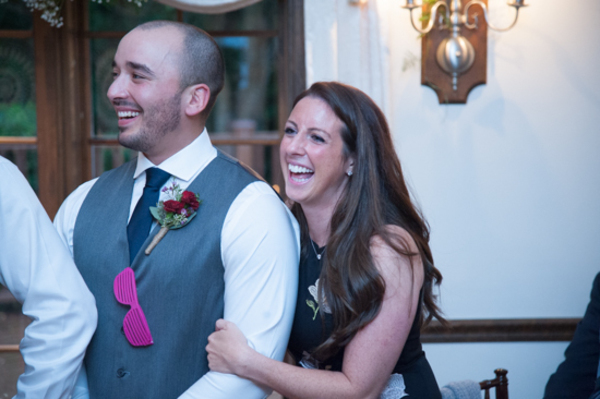 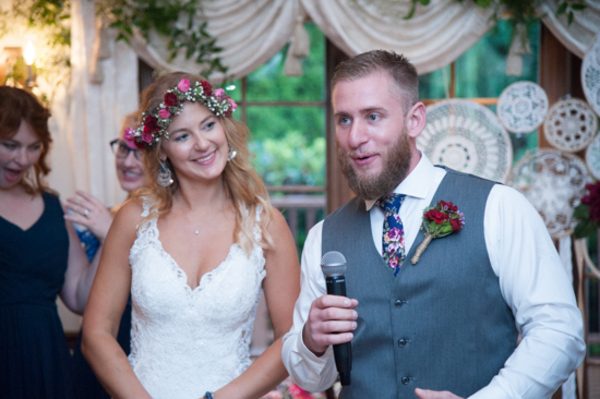 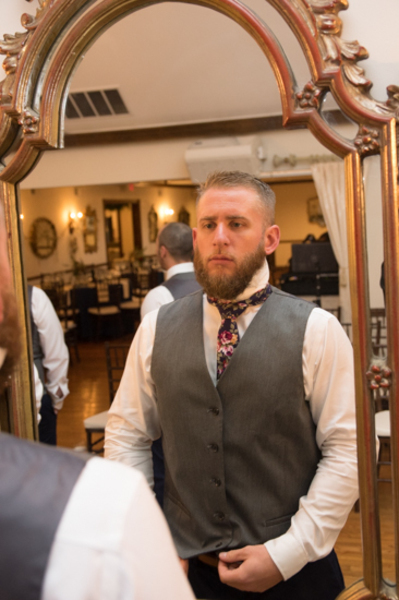 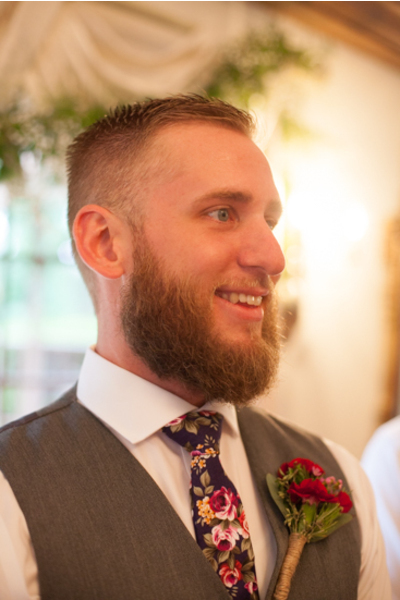 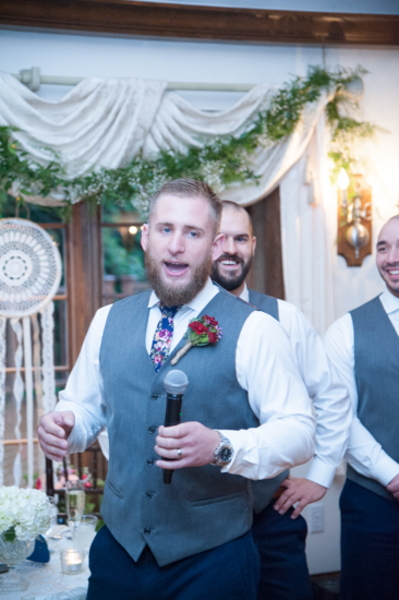 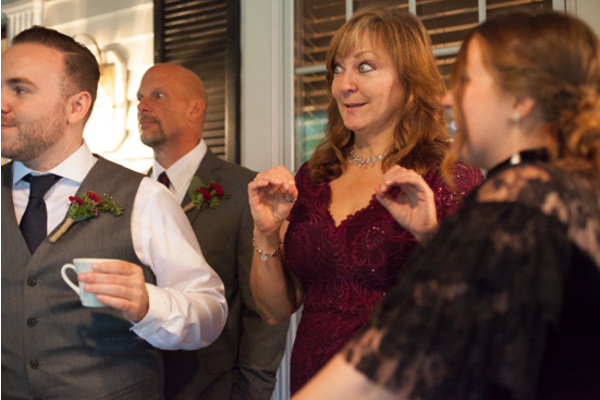 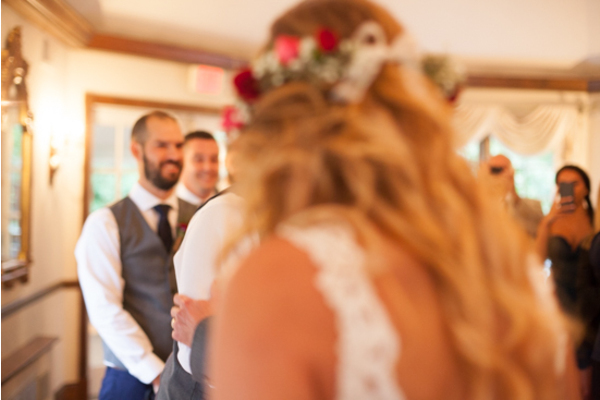 Peters face lit up when he saw his bride walking toward him, a beautiful moment that our NJ Wedding Photographer was sure to catch. 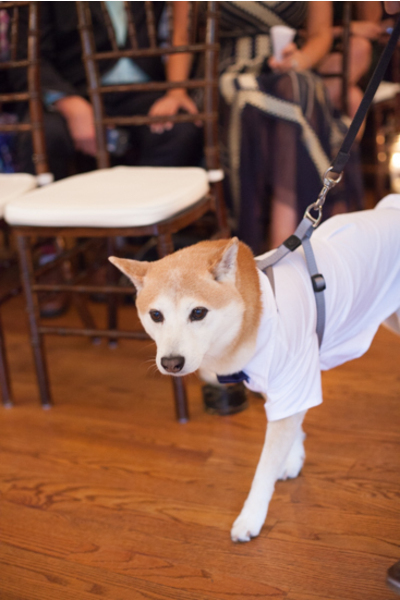 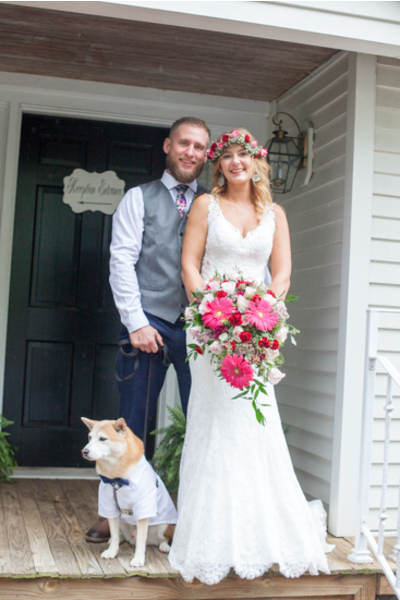 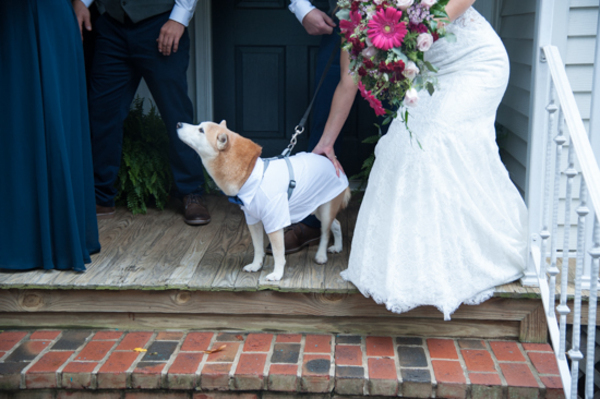 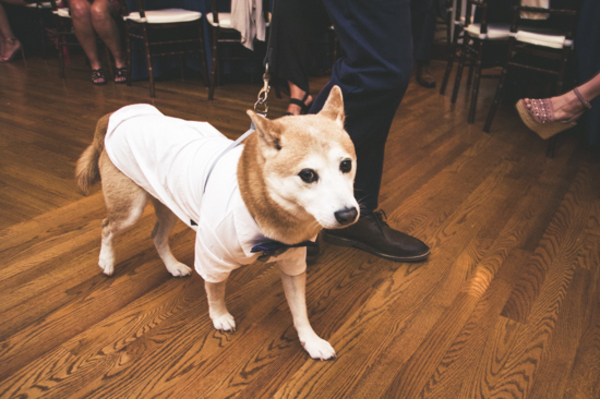 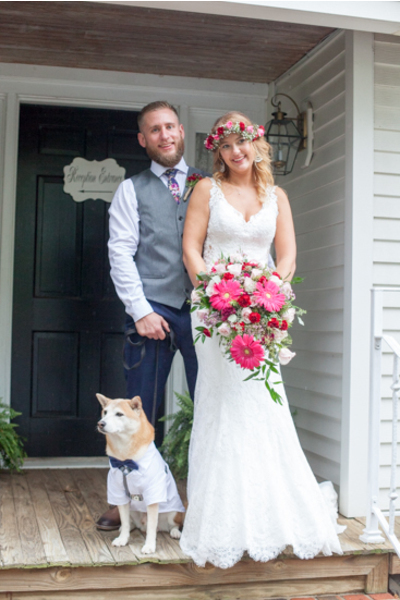 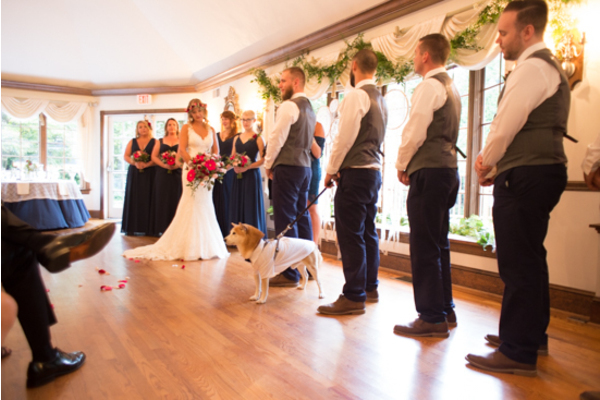 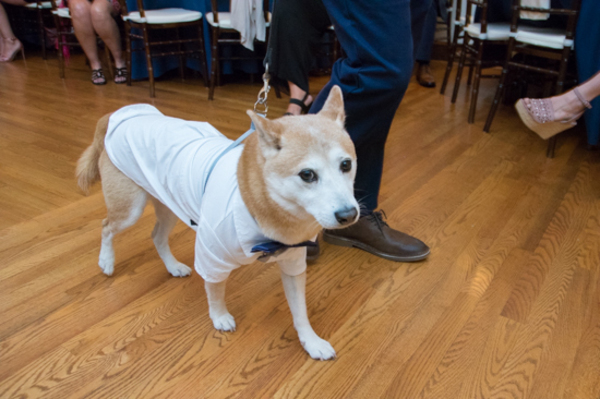 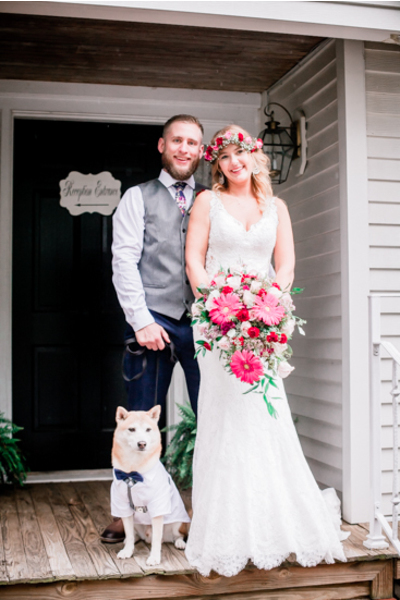 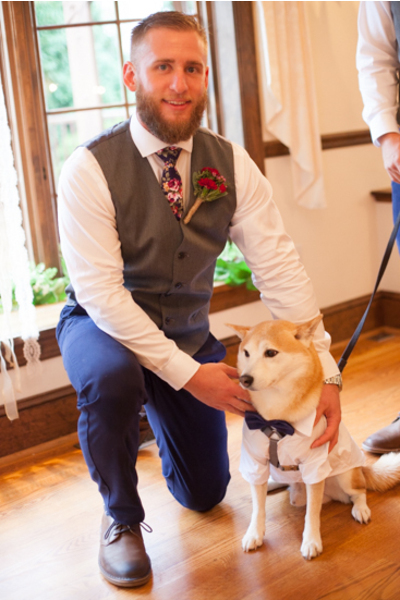 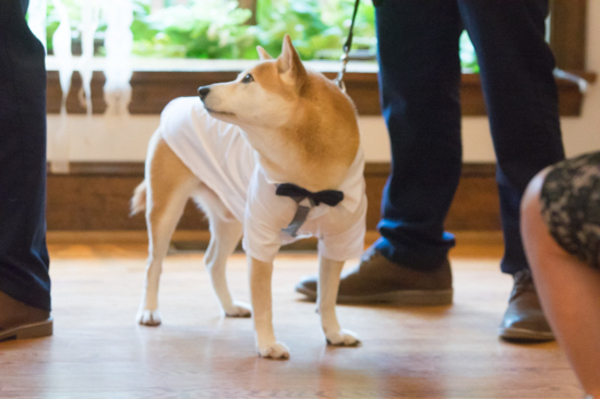 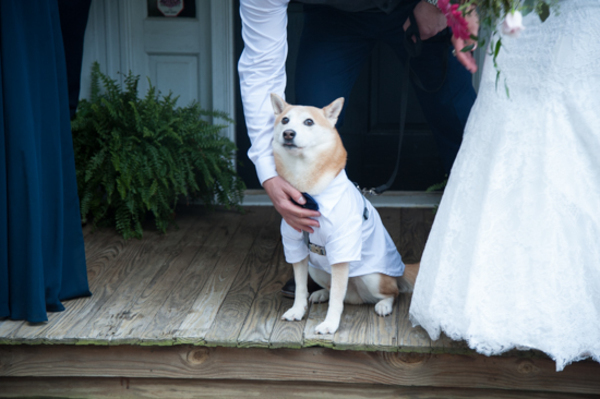 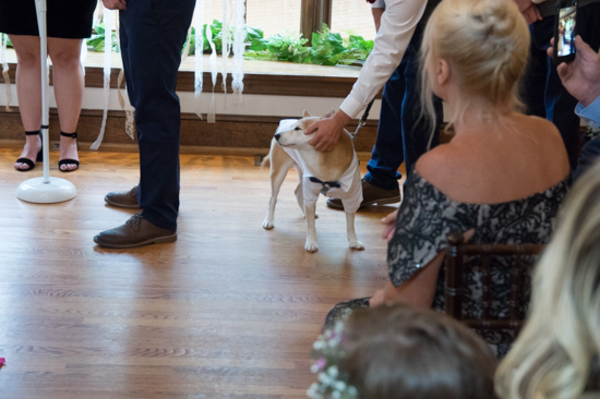 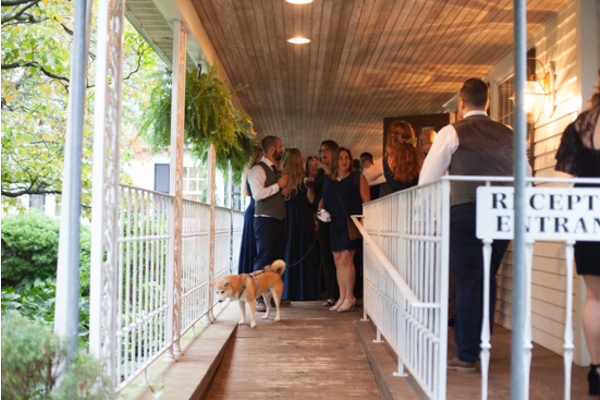 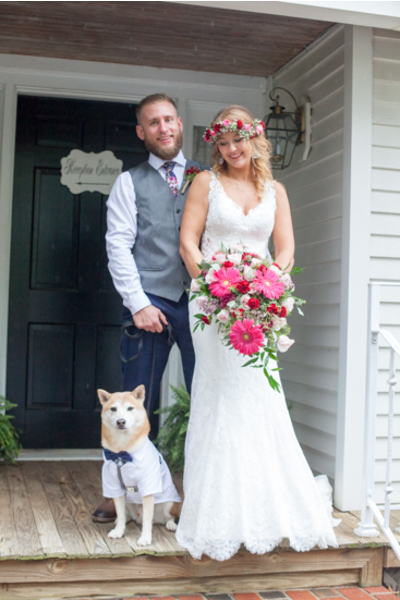 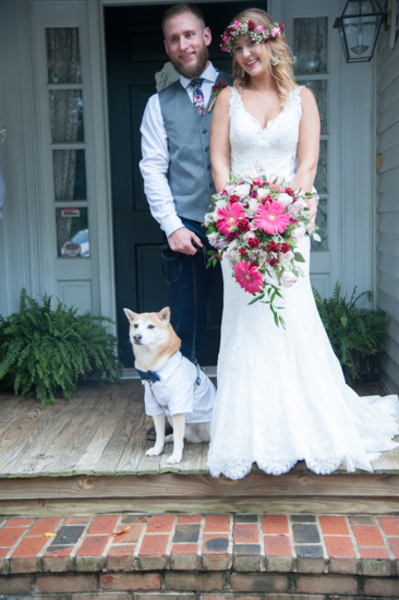 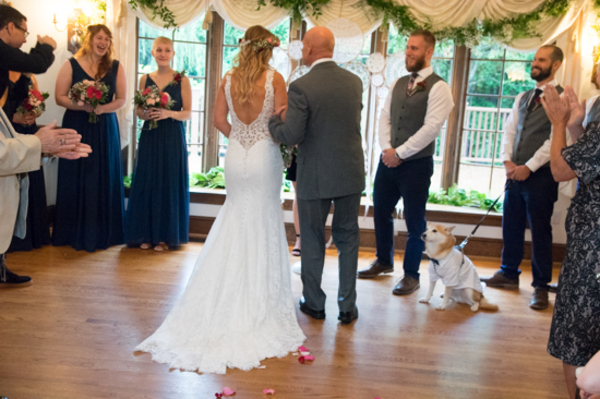 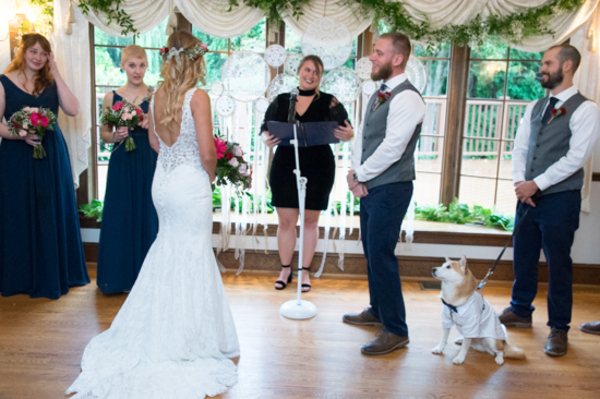 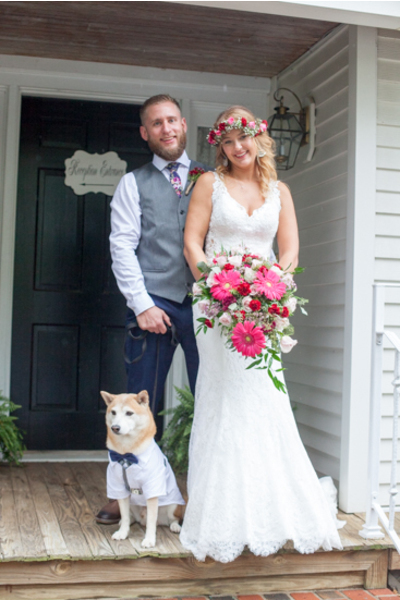 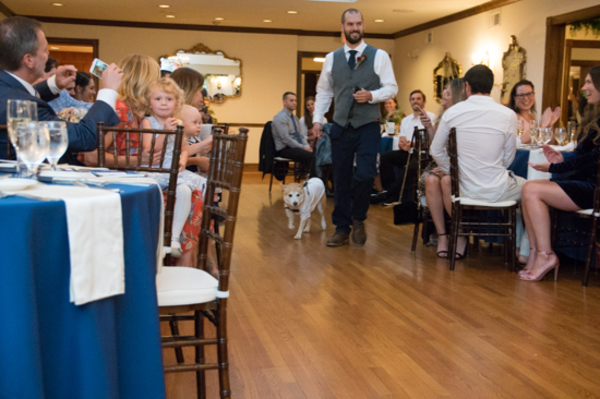 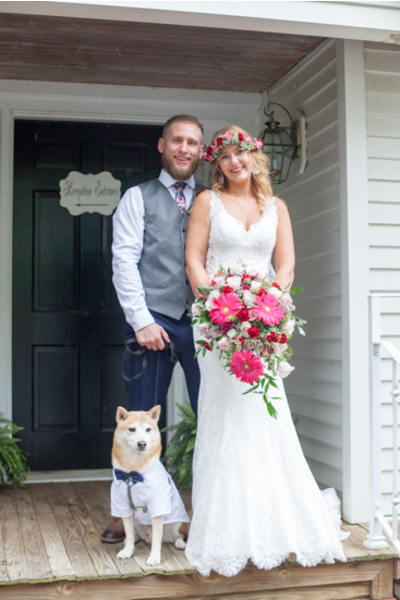 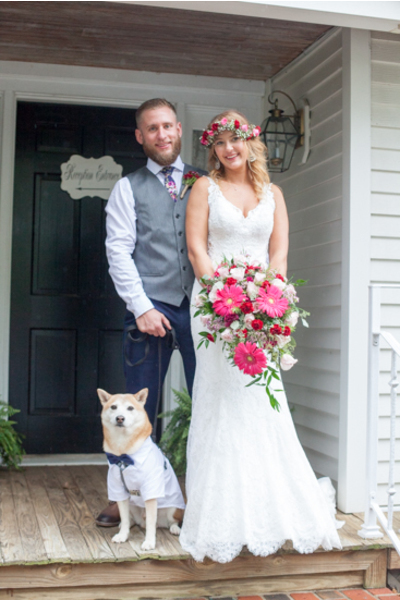 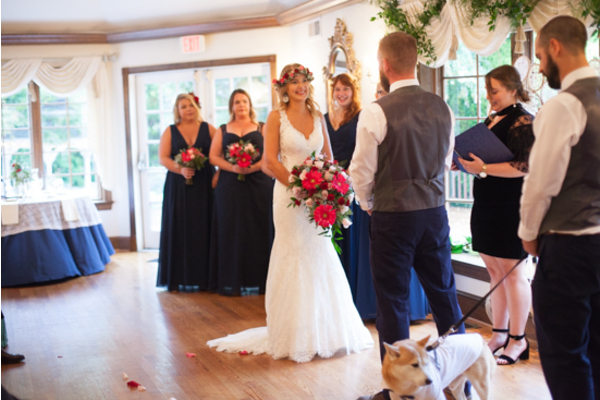 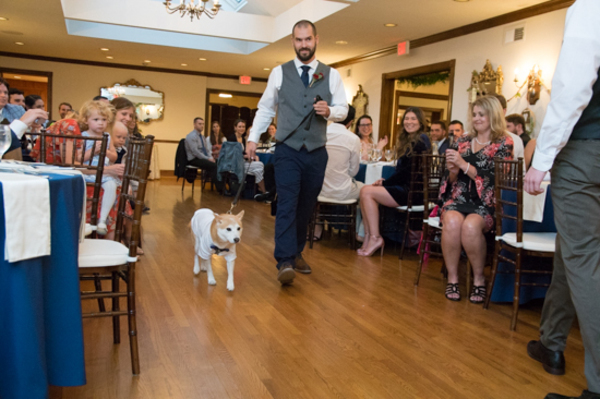 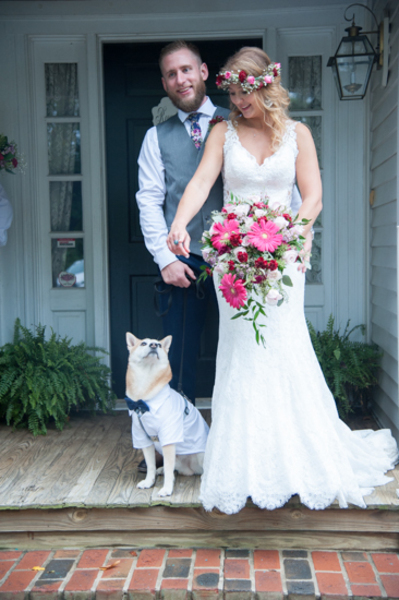 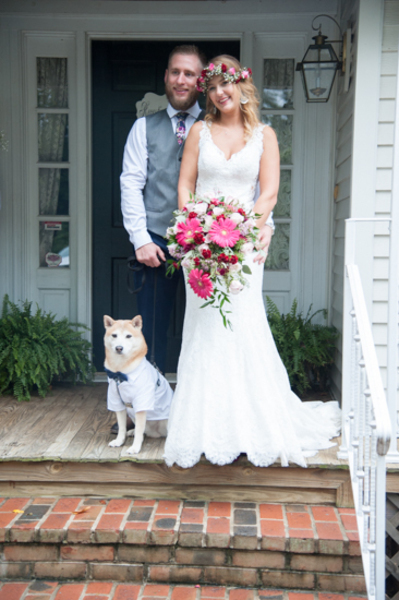 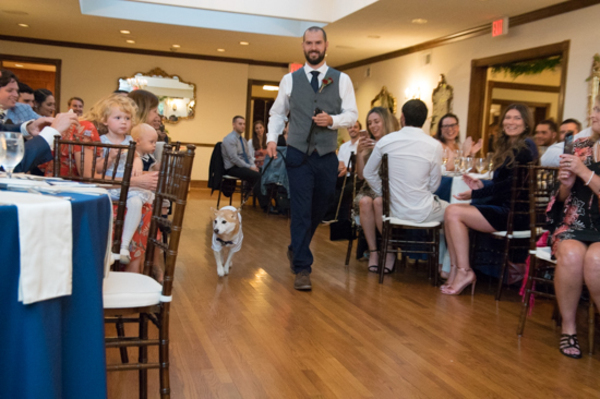 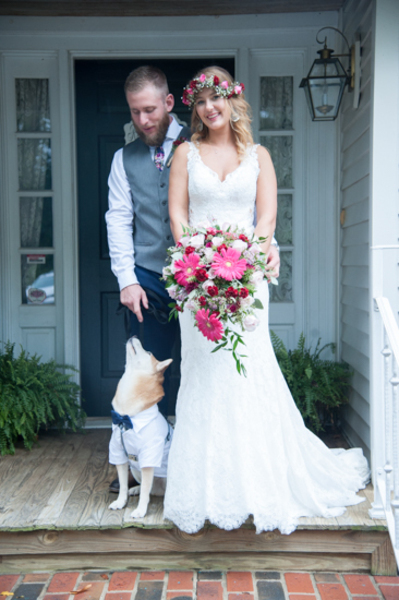 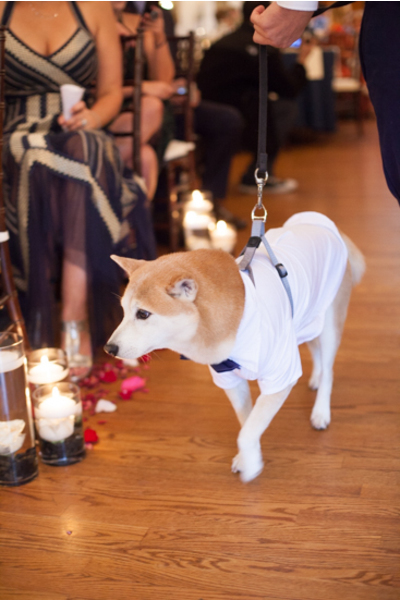 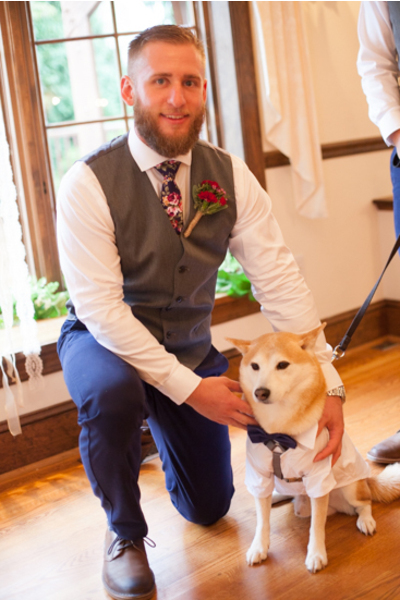 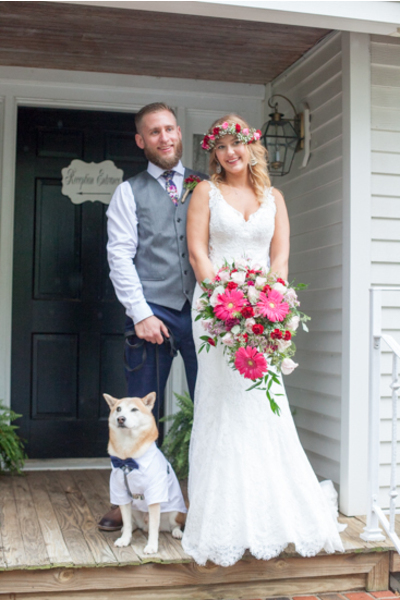 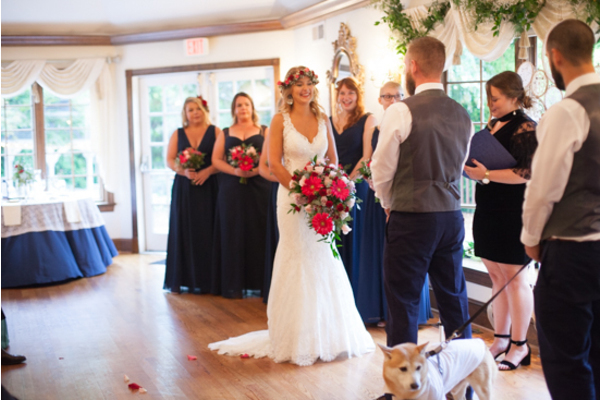 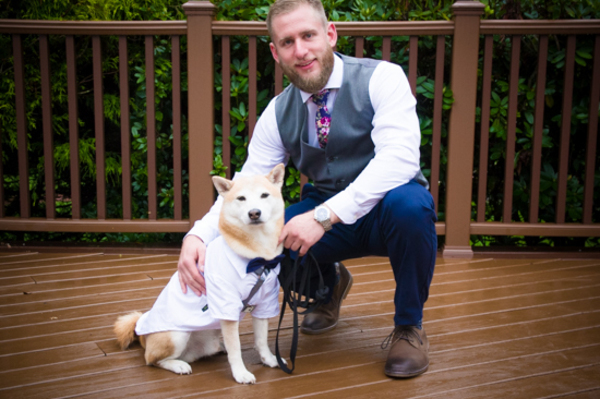 There was also another surprise waiting for Casey, their pup made an appearance at the ceremony! 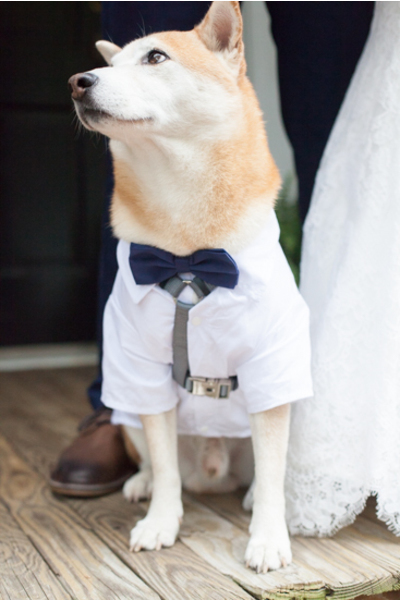 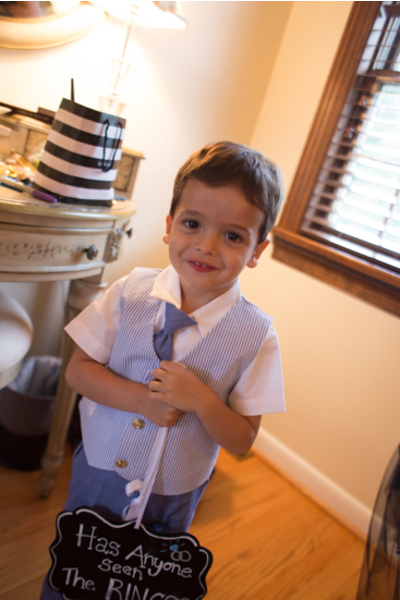 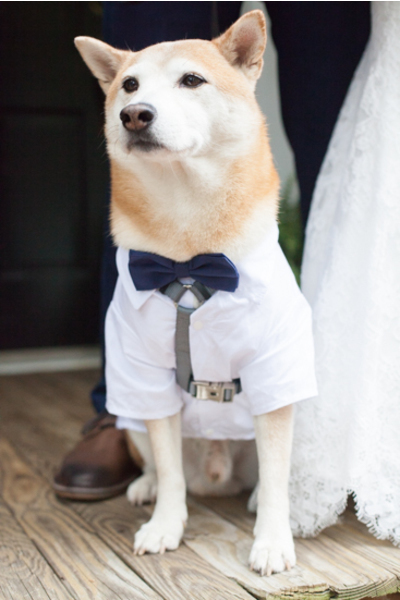 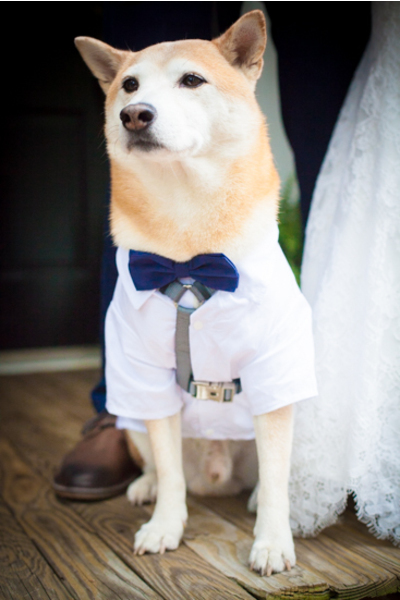 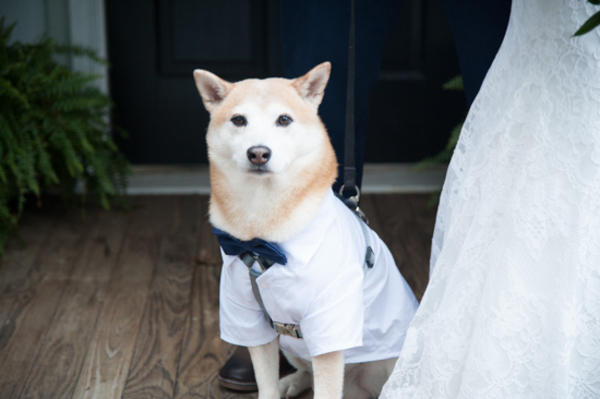 He was looking adorable in a little bow tie and white shirt. 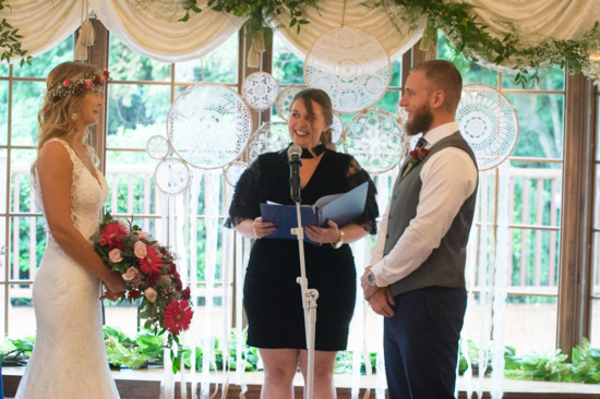 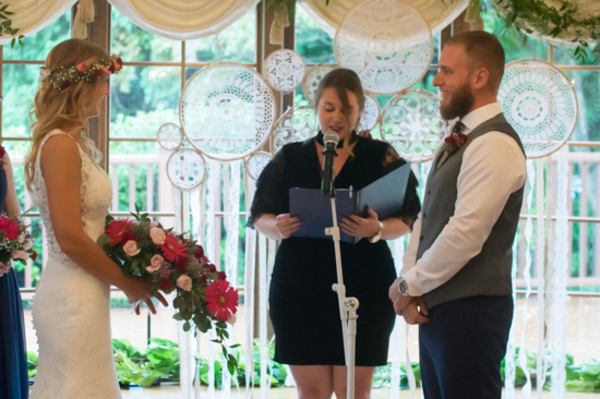 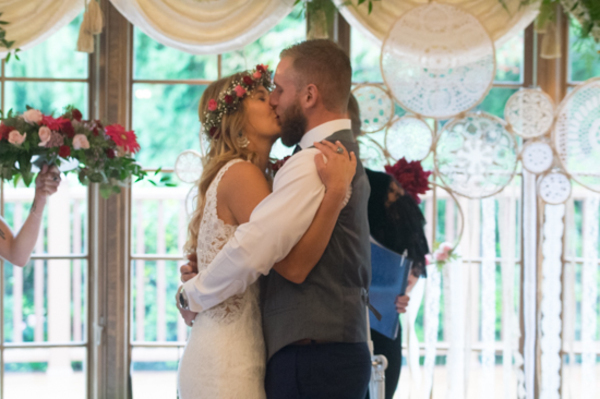 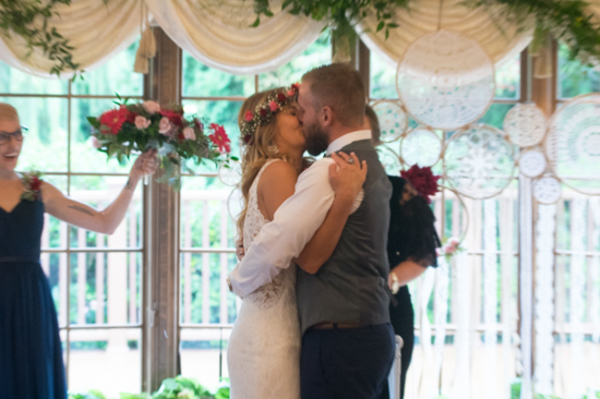 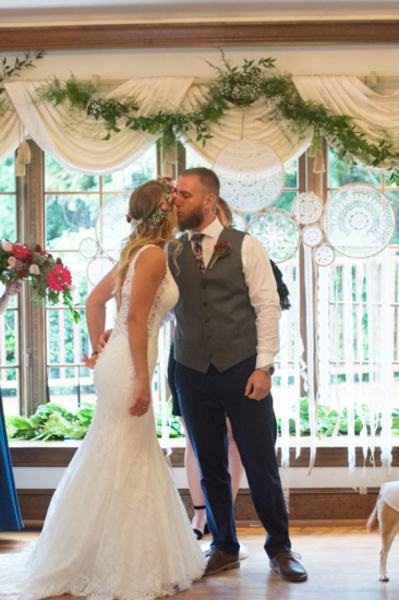 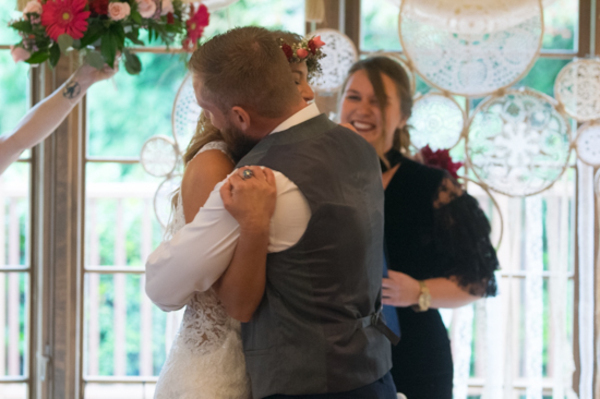 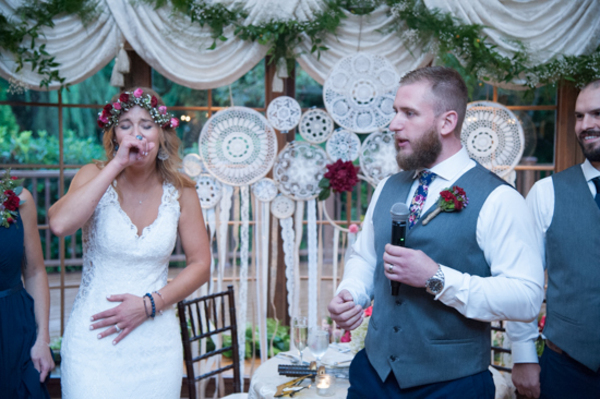 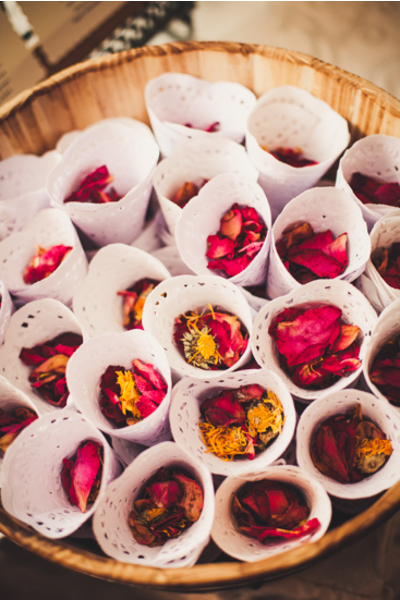 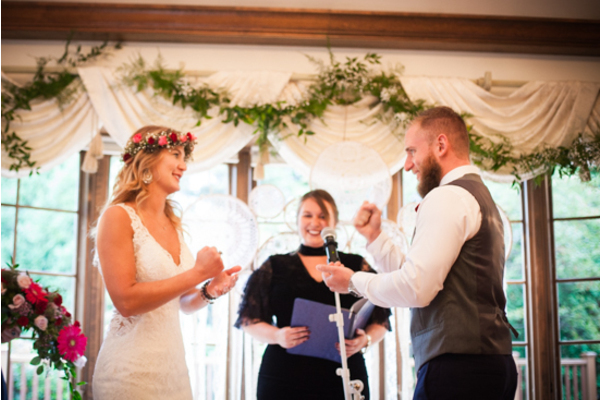 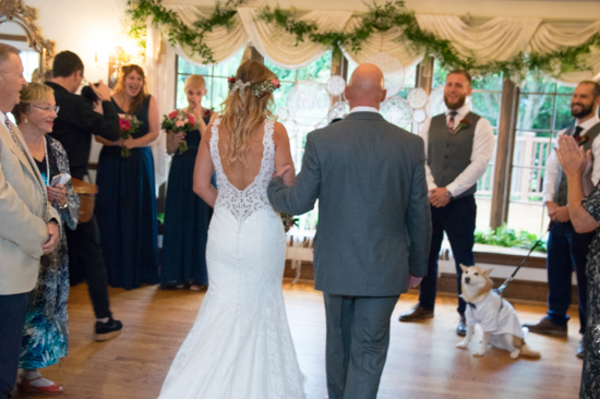 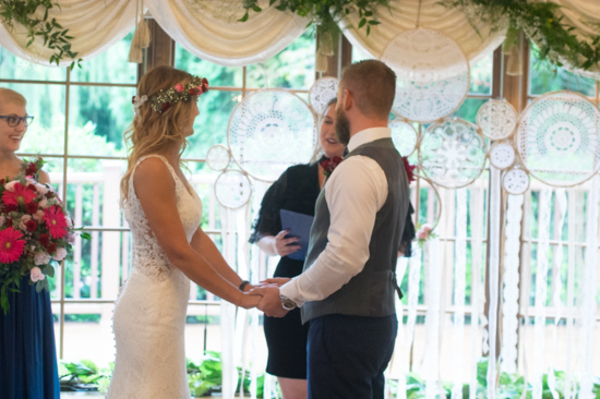 Once the couple spoke their loving vows to one another, it was time to seal it with a kiss and head off to the reception! 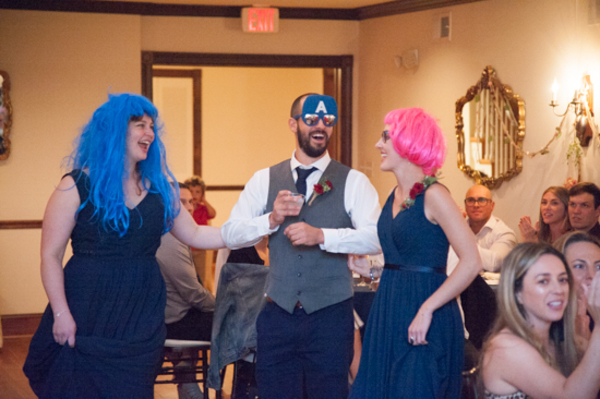 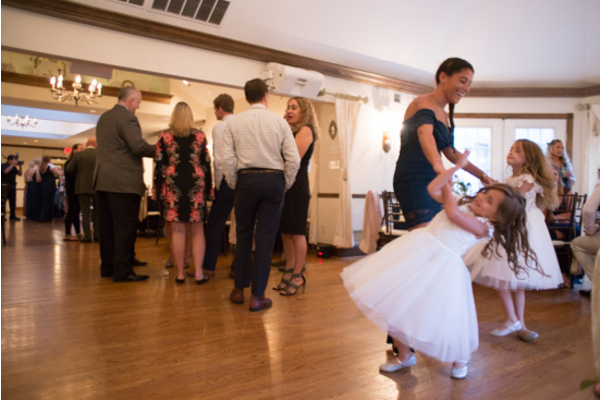 The night was full of dancing, laughter, and happiness. 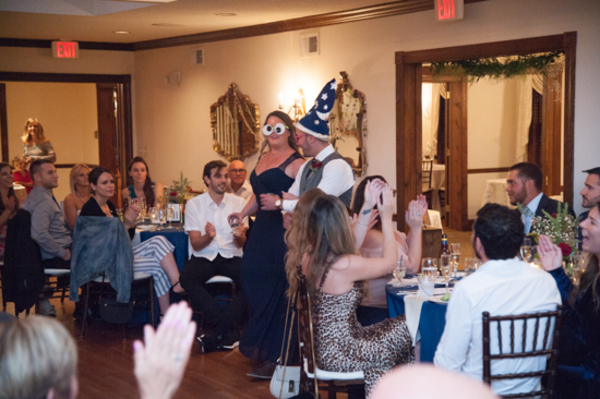 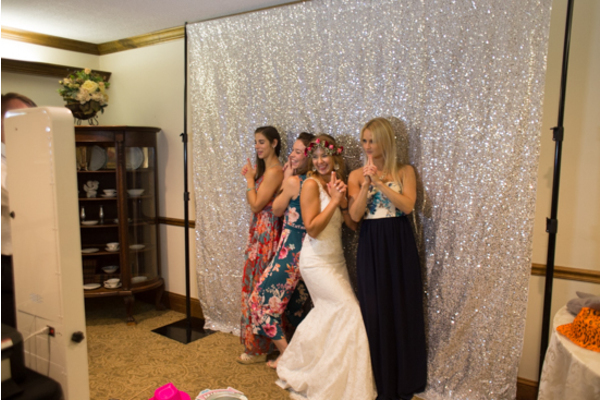 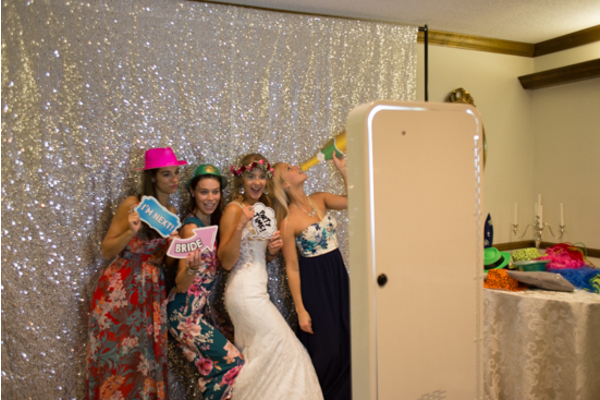 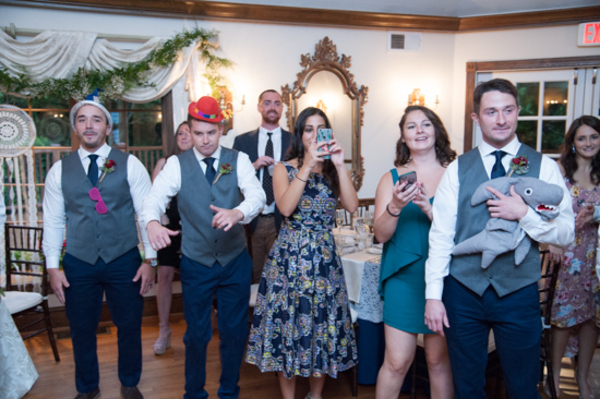 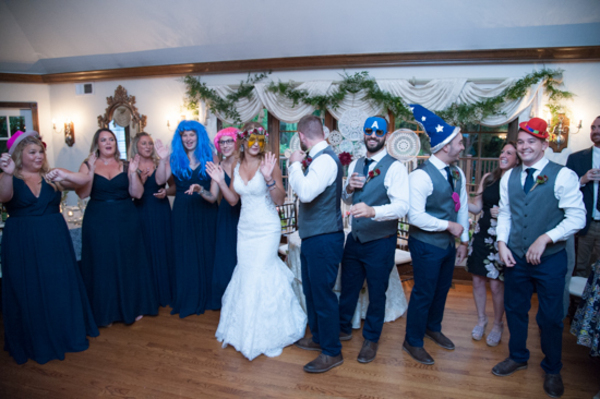 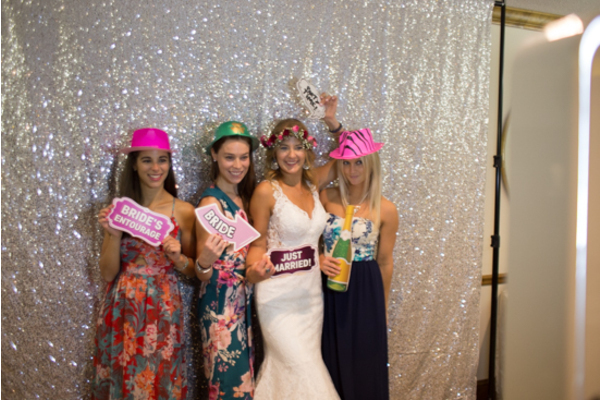 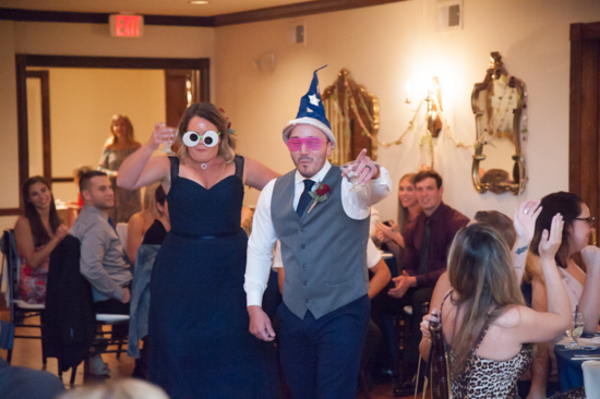 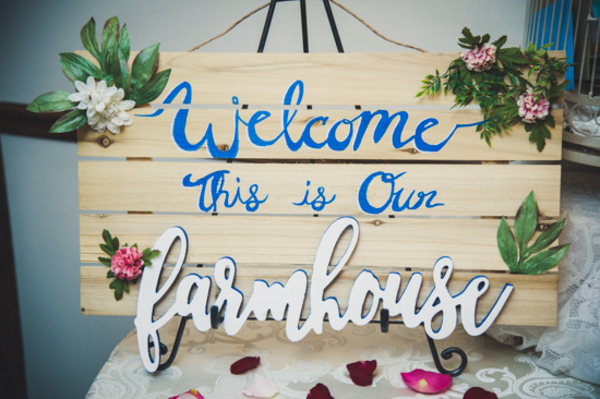 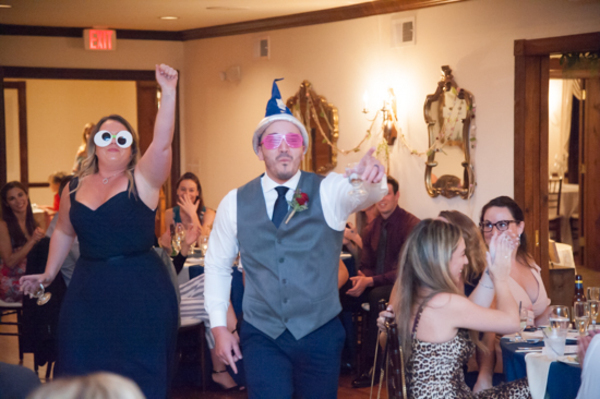 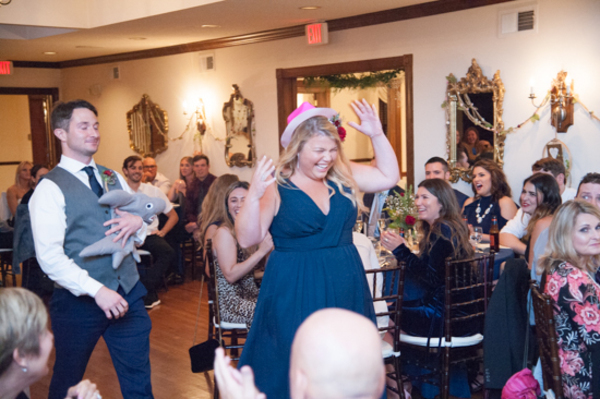 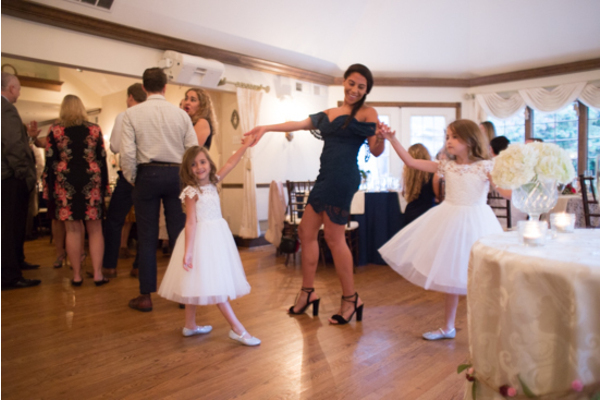 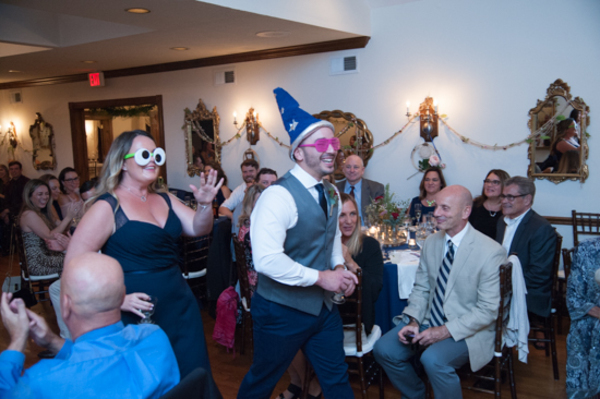 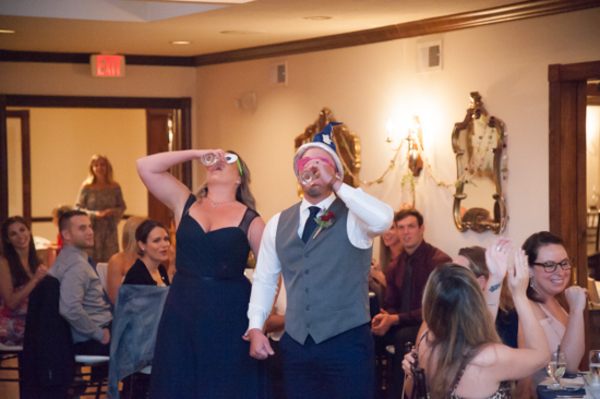 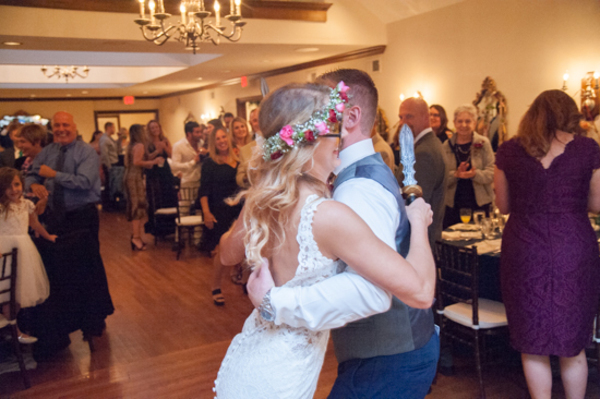 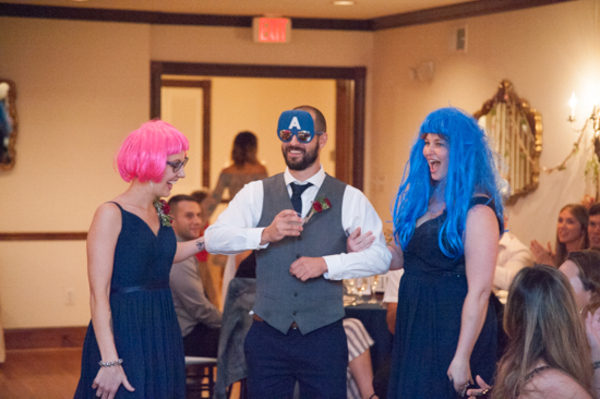 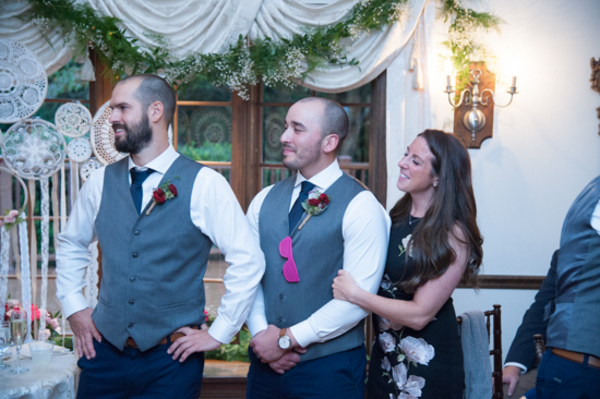 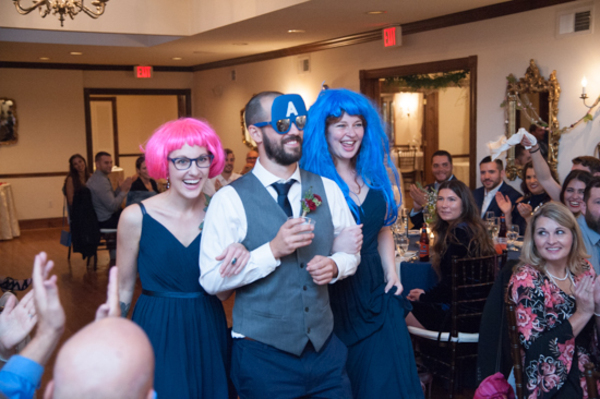 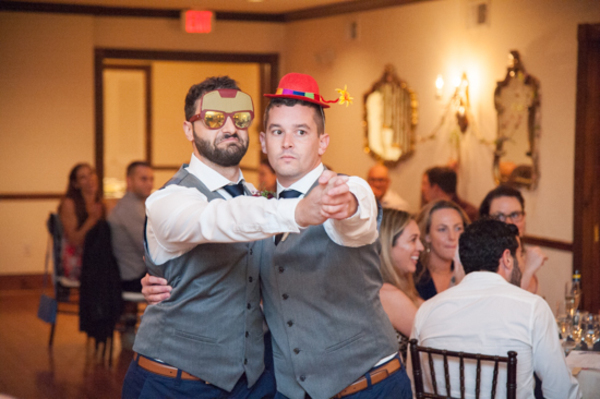 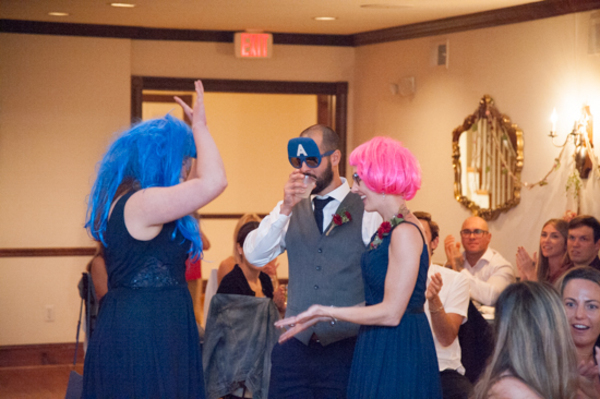 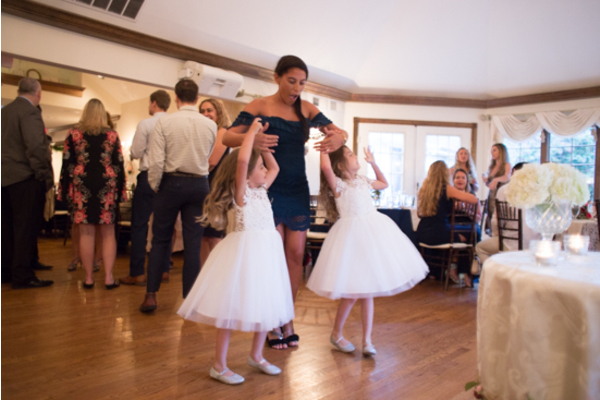 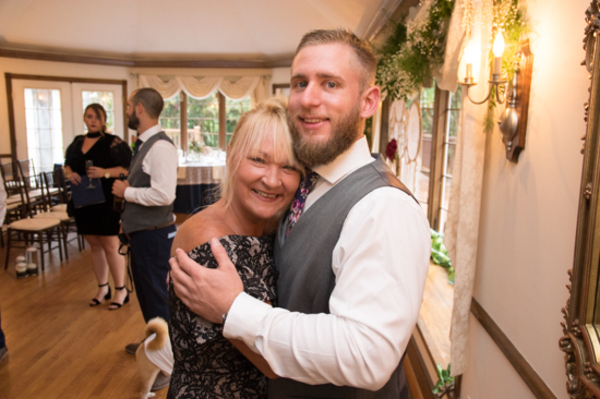 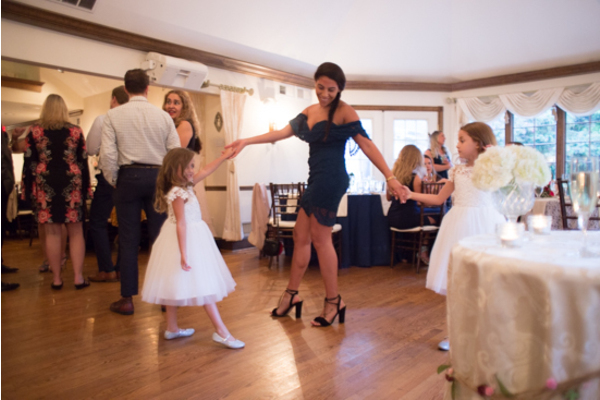 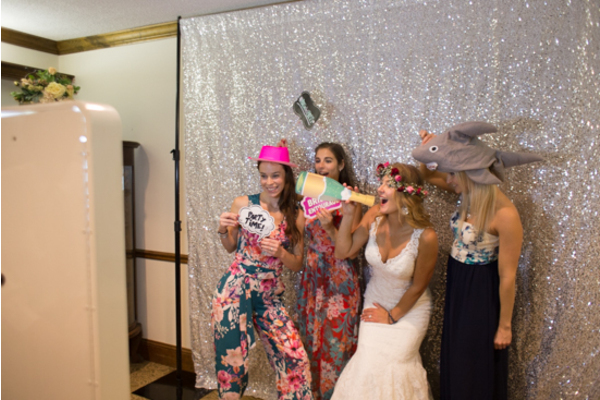 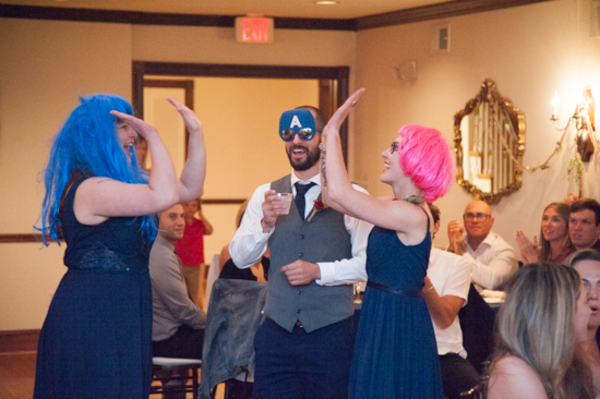 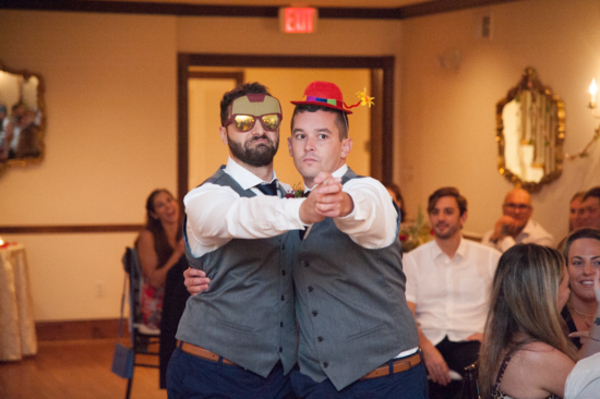 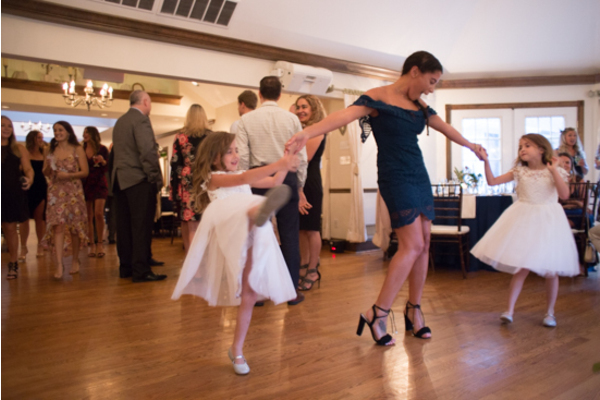 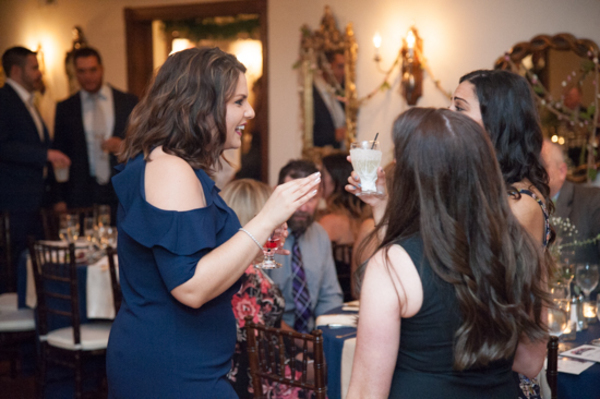 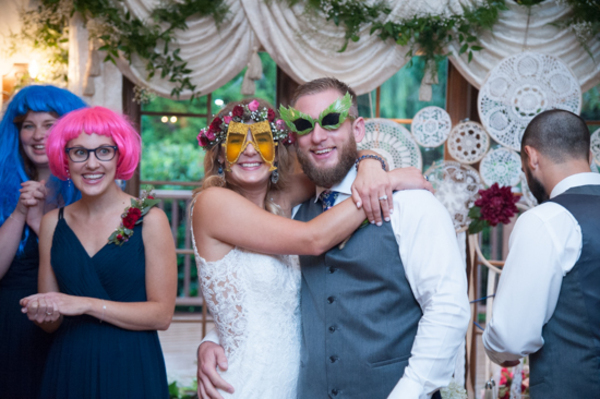 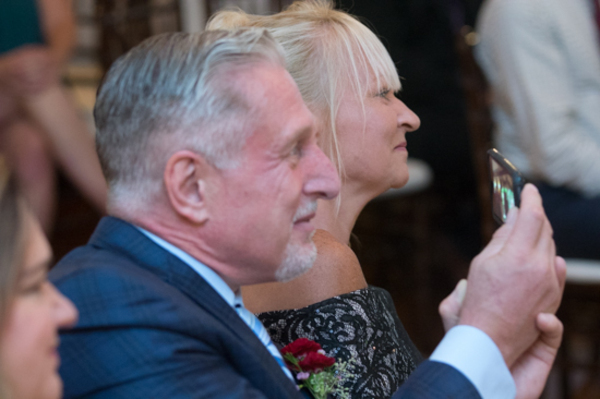 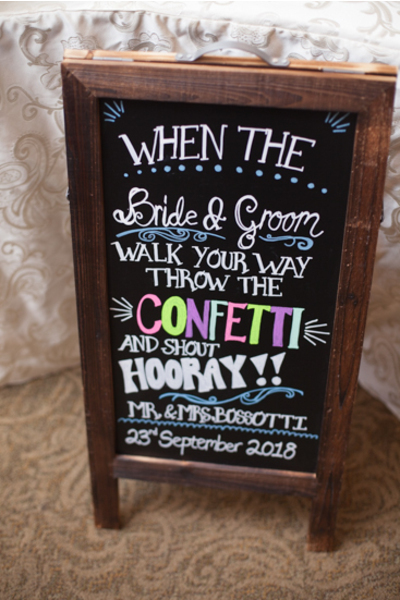 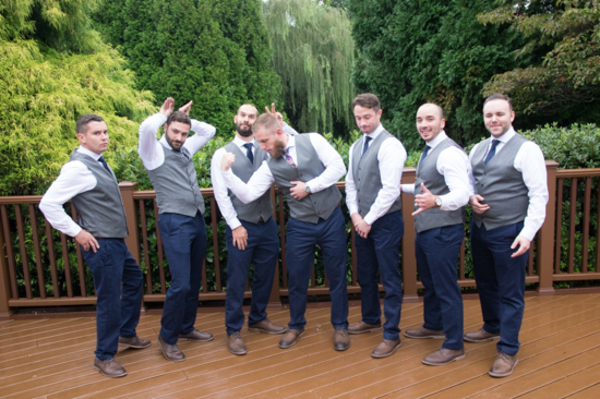 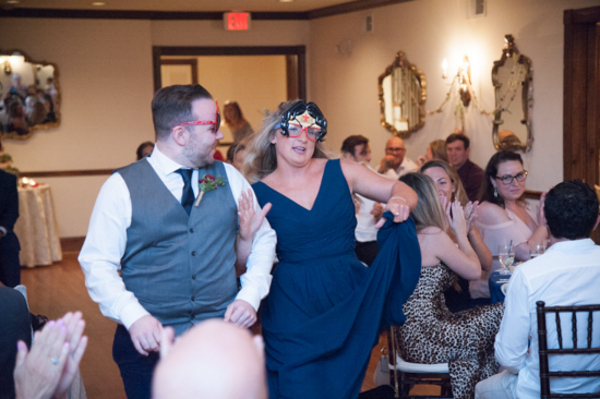 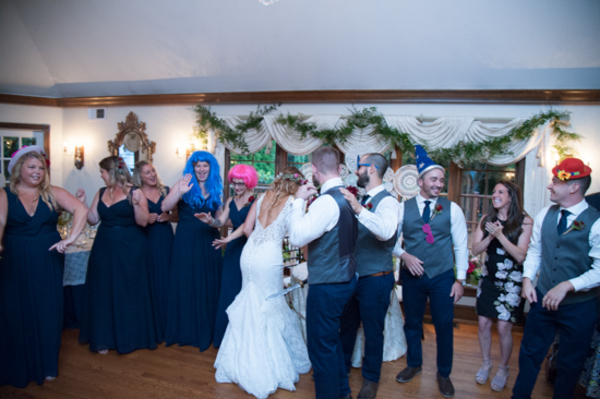 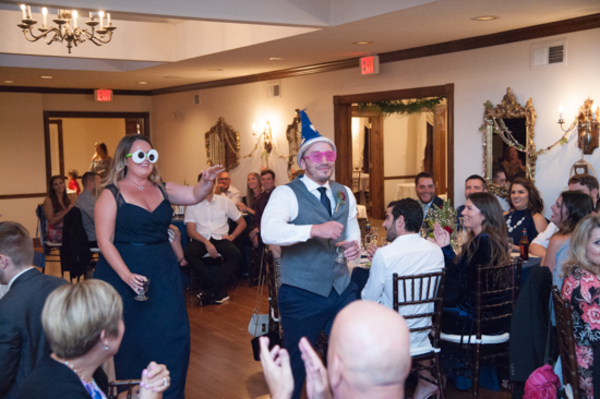 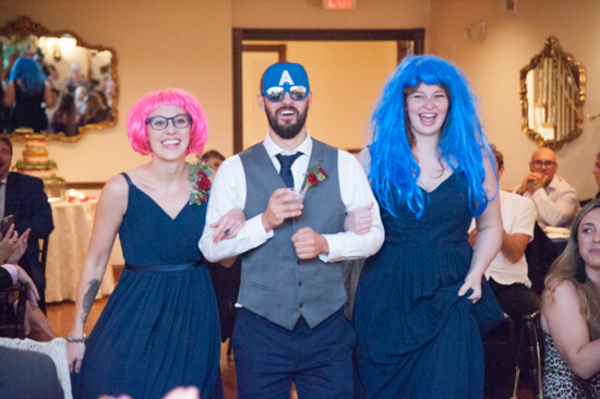 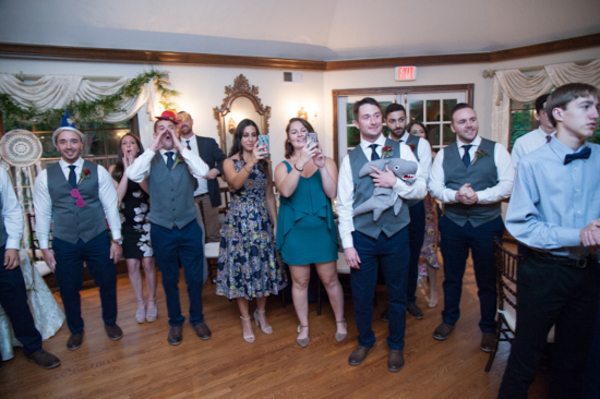 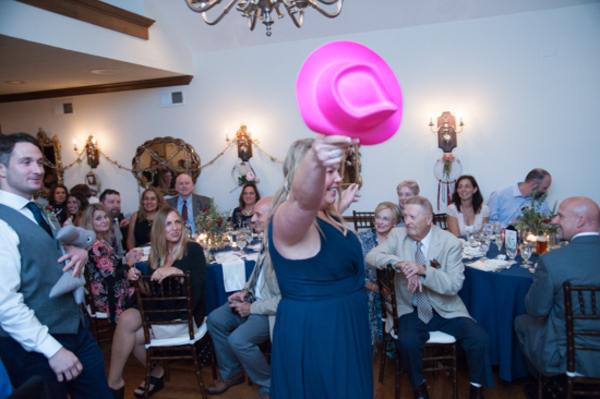 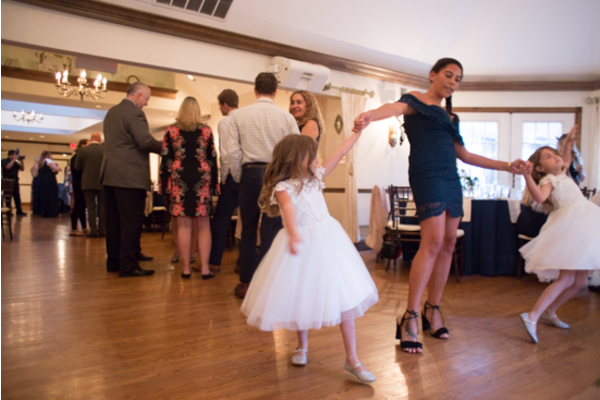 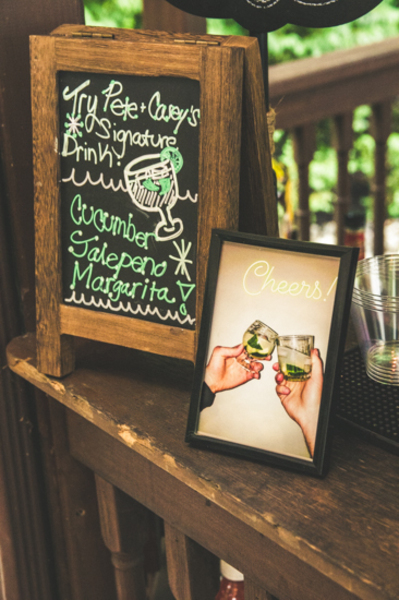 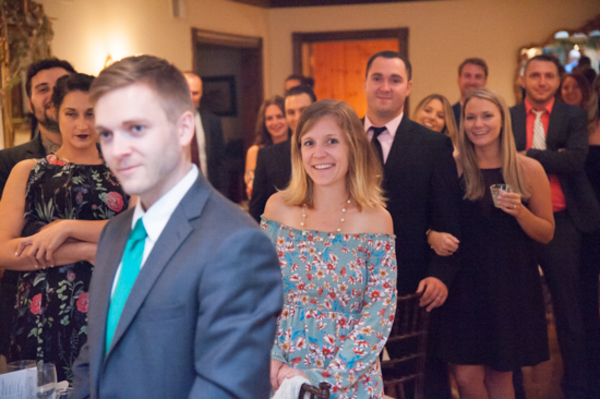 Family and Friends celebrated the amazing couple, they danced the night away and even took fun photos in a photo booth courtesy of our Social Photo Booth! 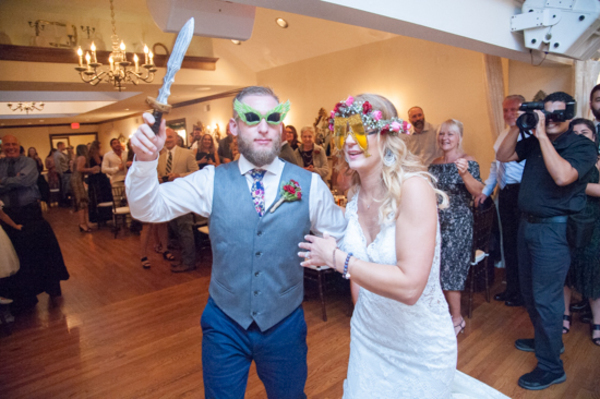 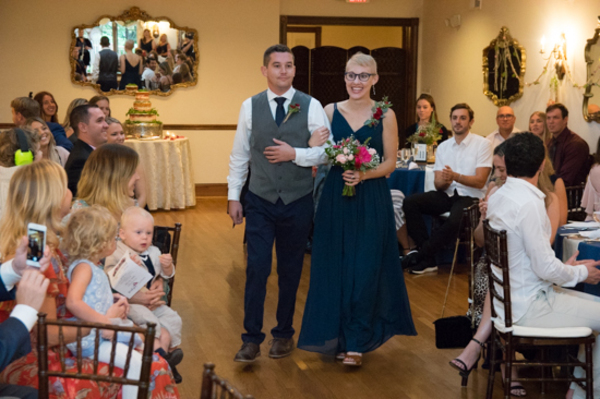 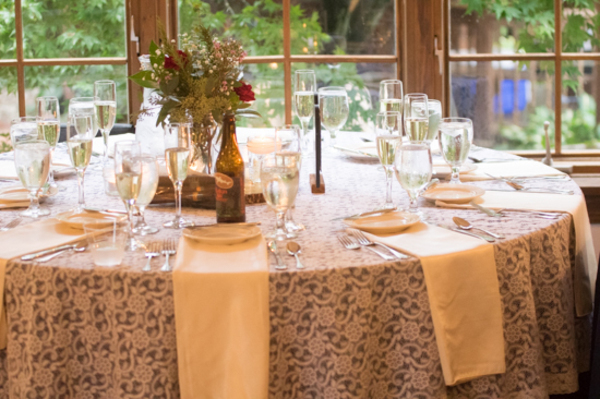 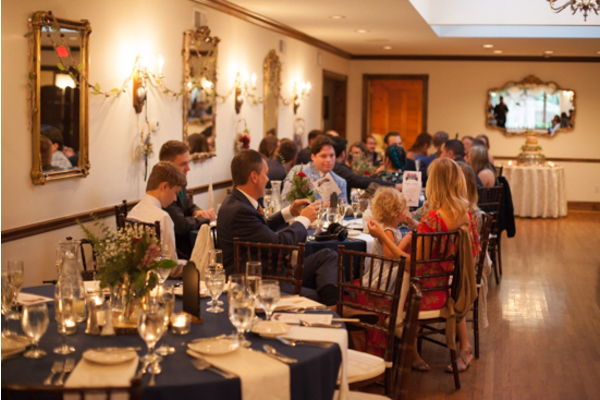 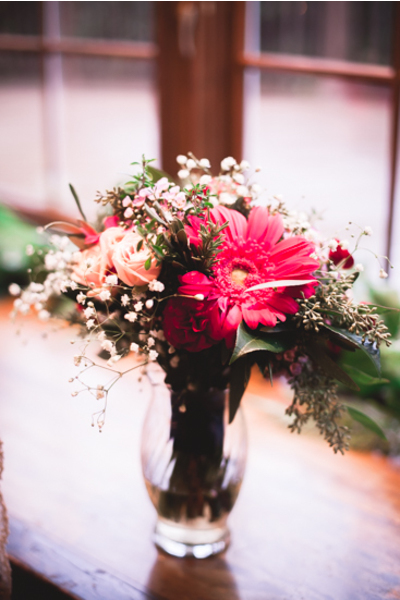 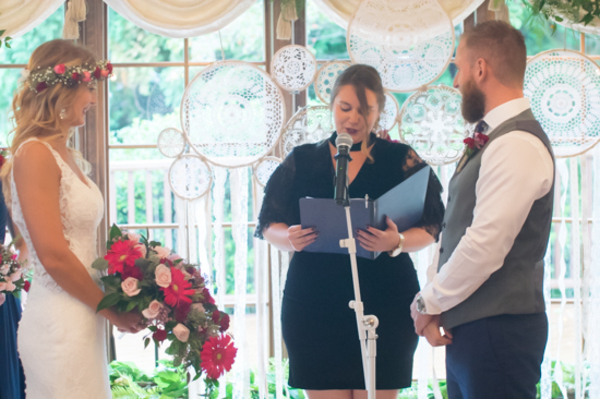 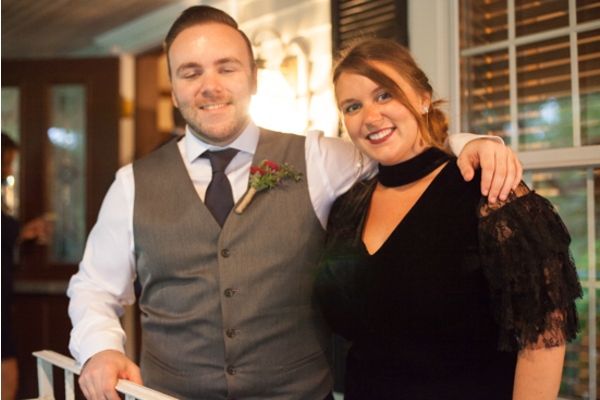 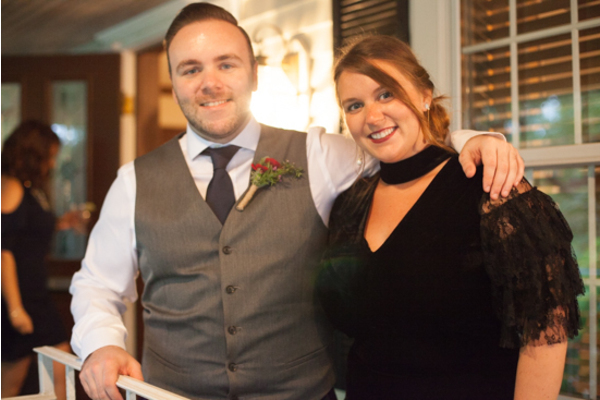 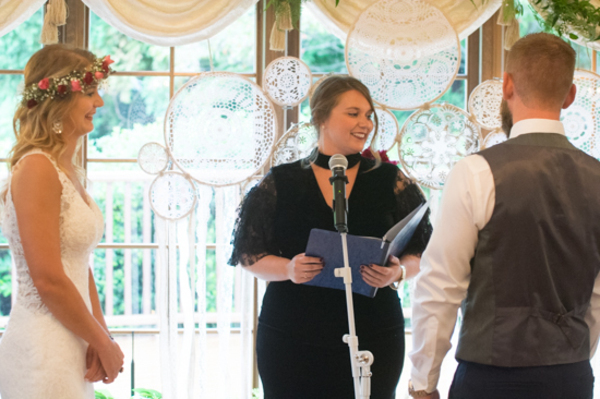 Casey and Peter’s wedding day was a beautiful one to remember! 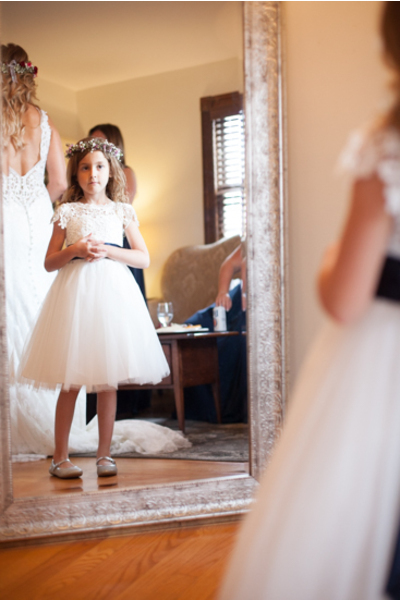 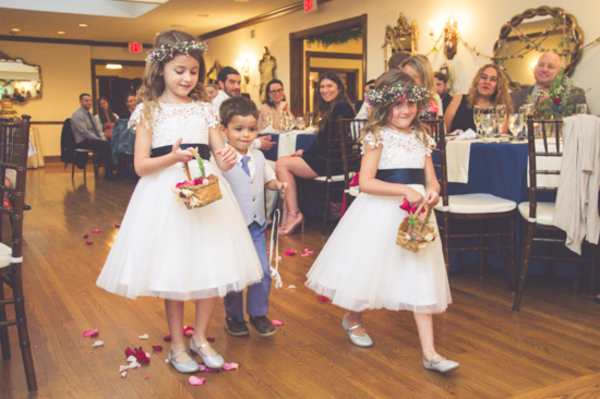 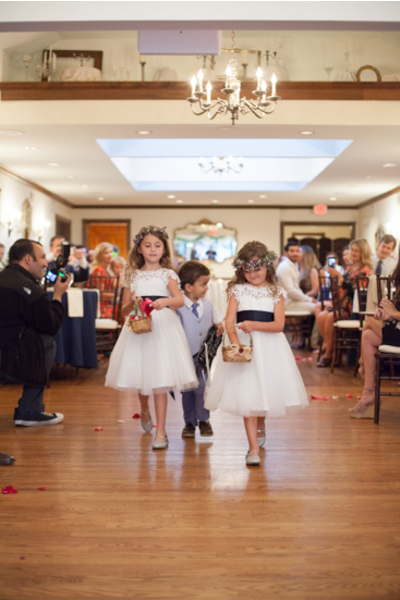 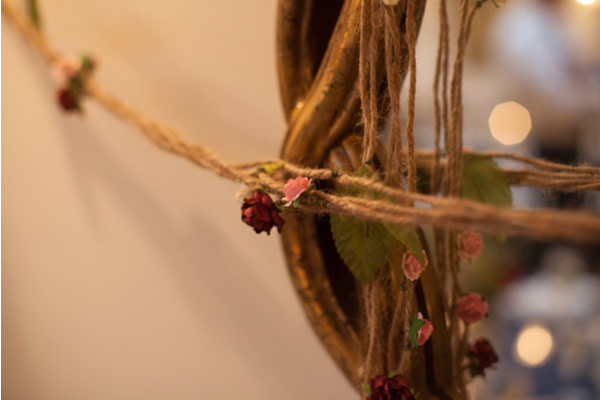 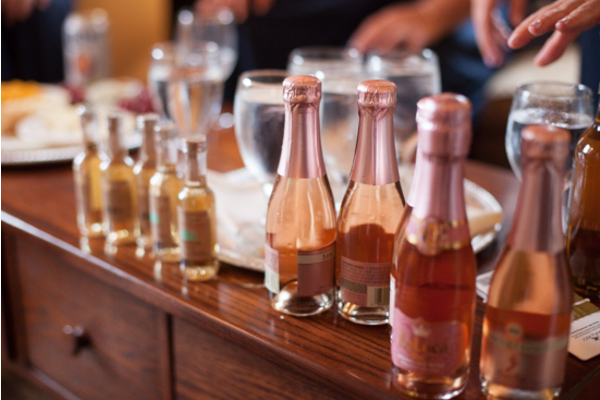 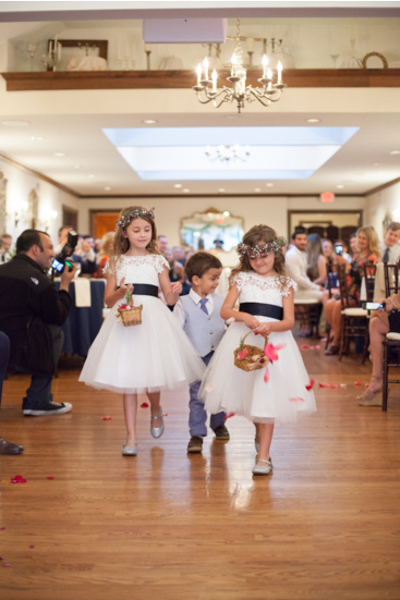 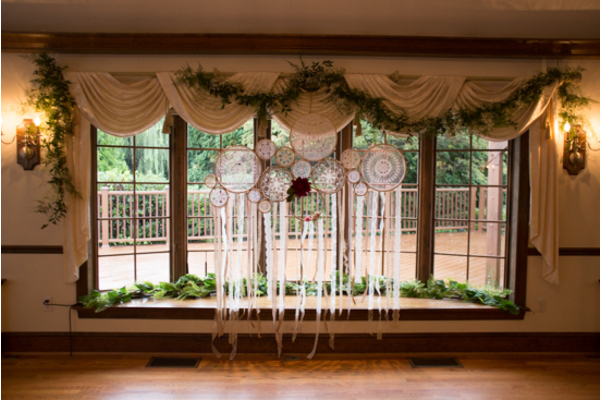 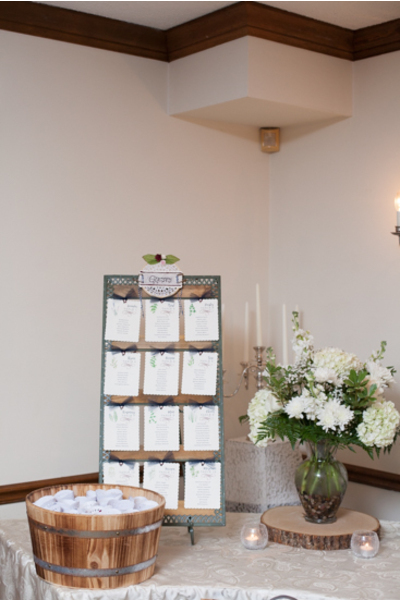 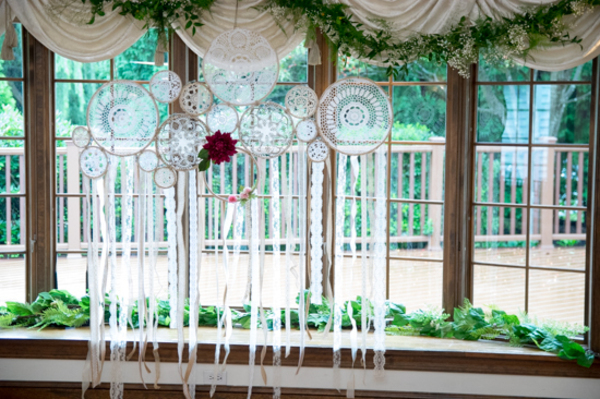 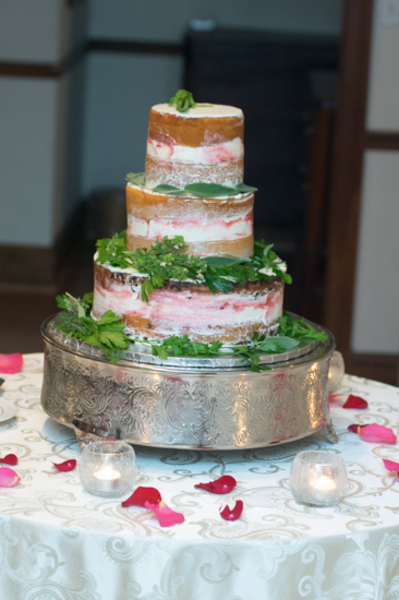 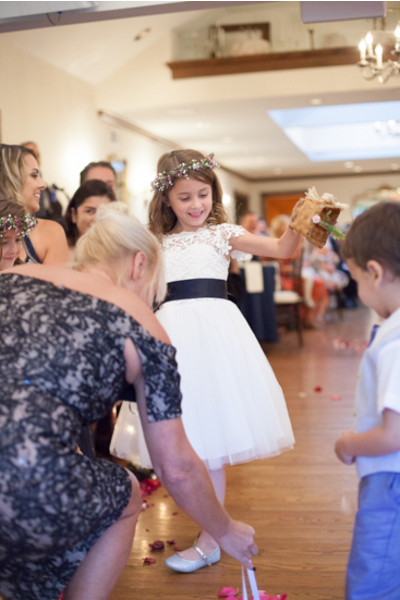 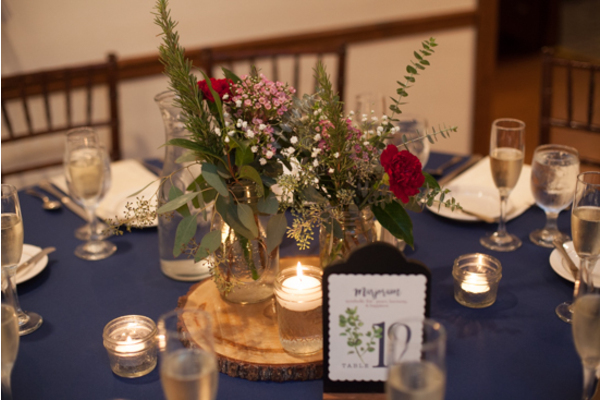 We are so happy we had the chance to be a part of your fairy tale day. 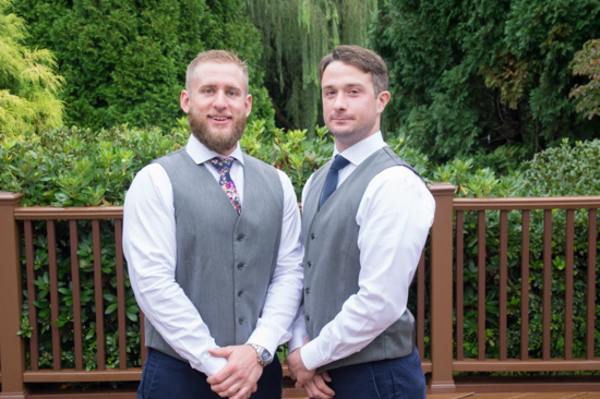 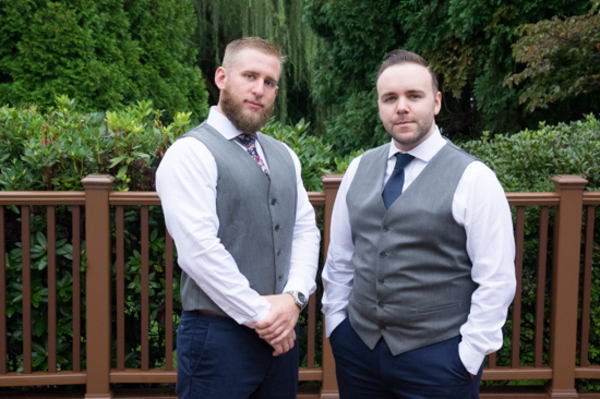 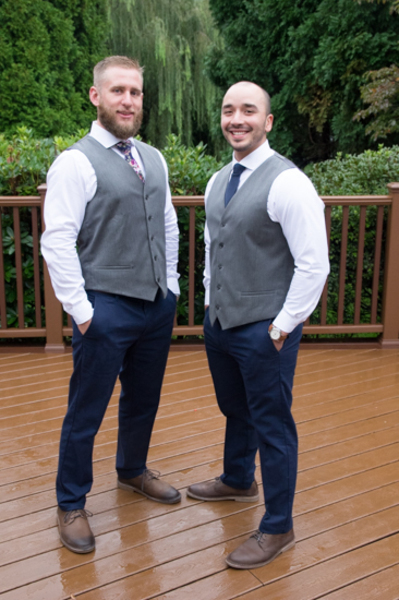 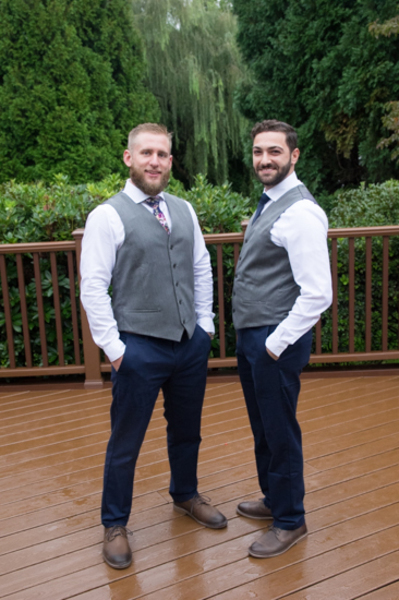 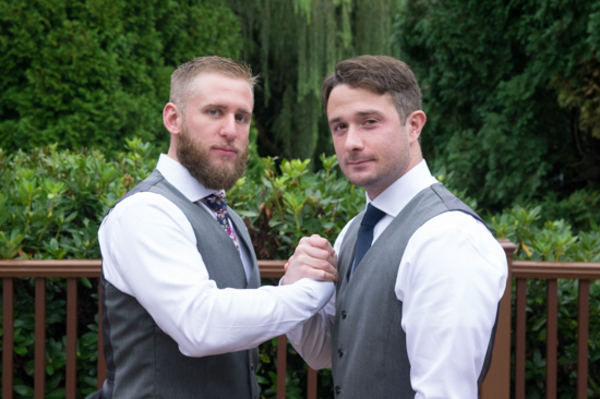 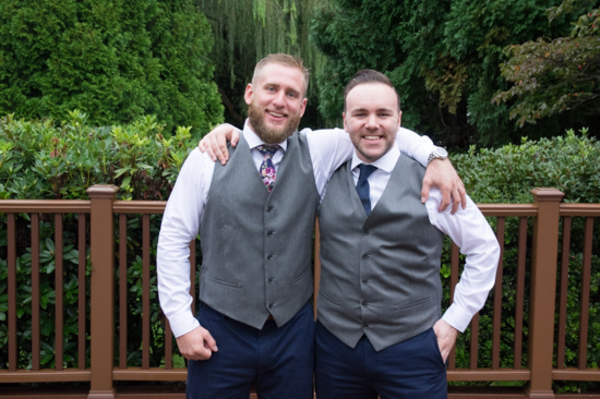 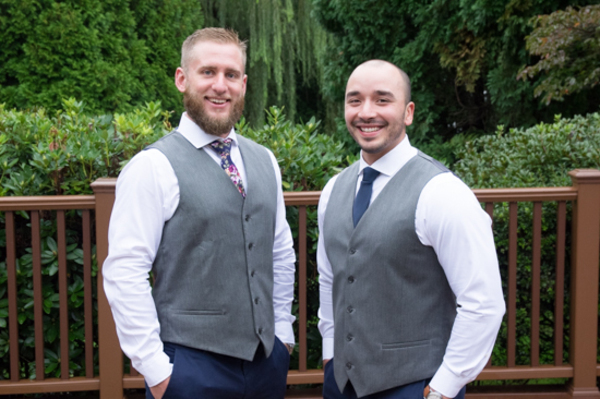 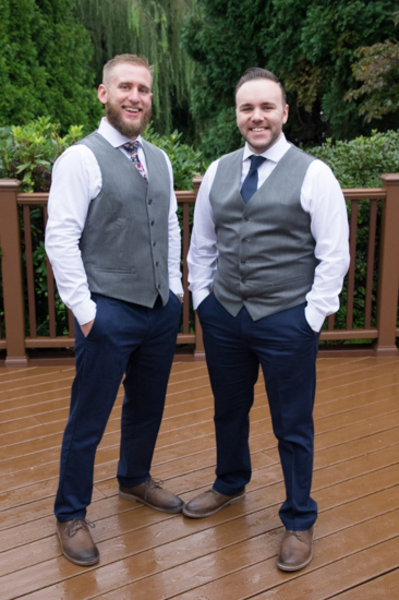 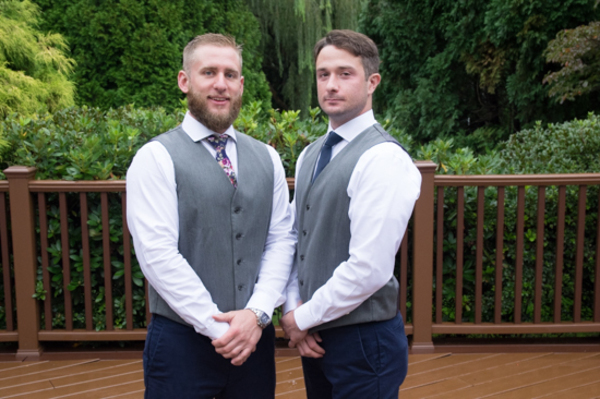 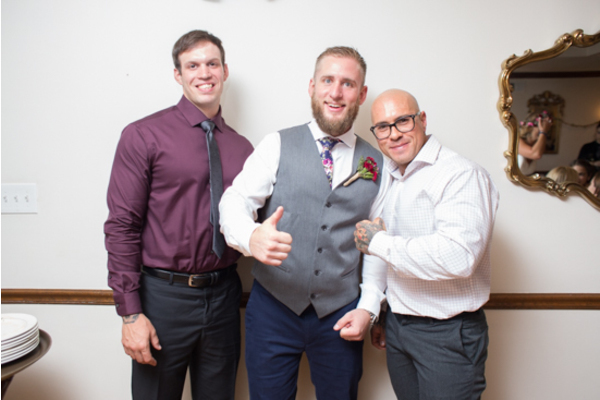 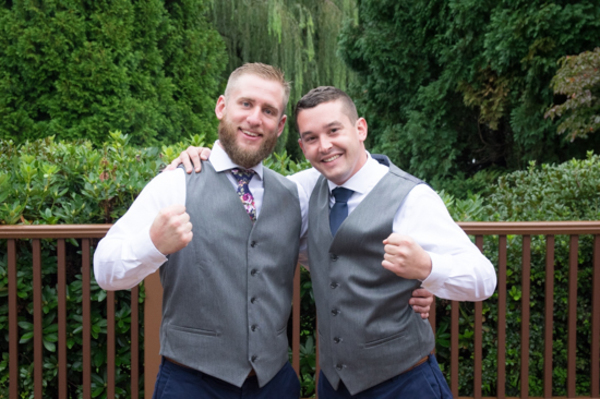 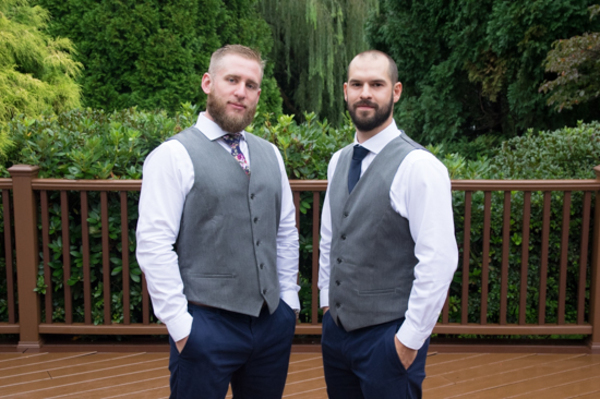 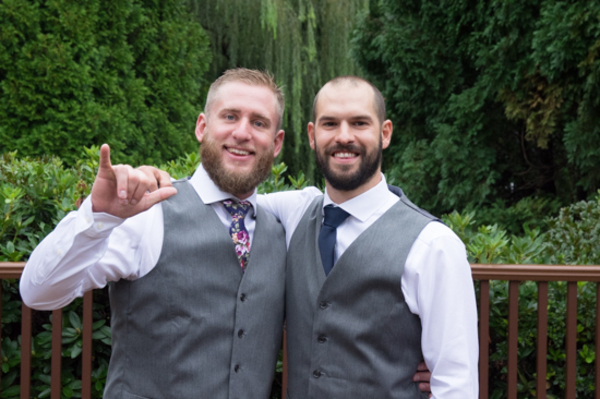 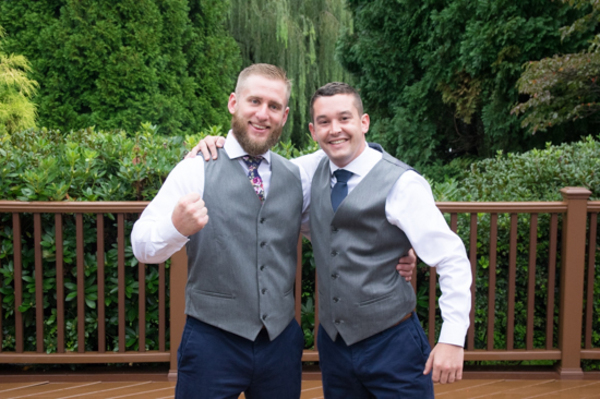 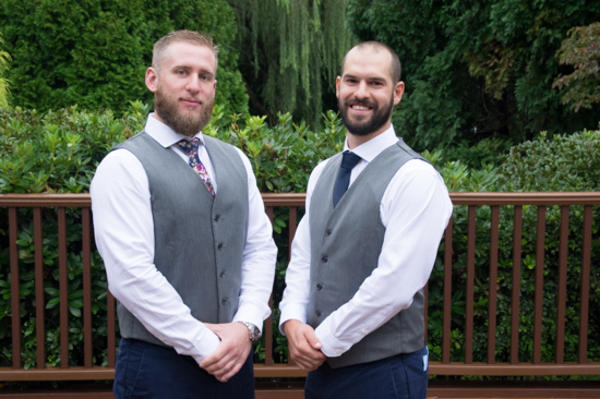 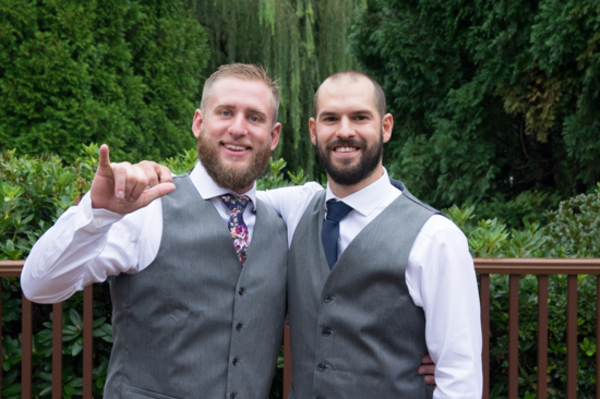 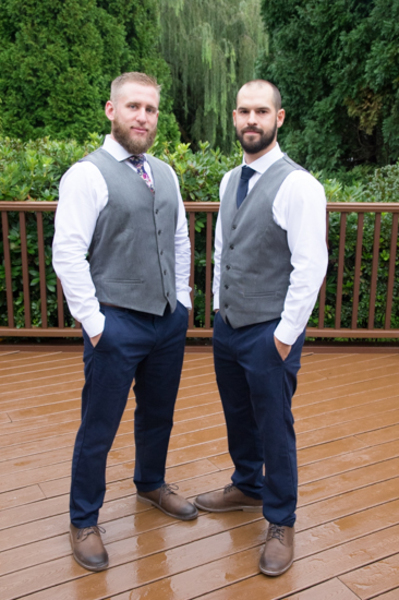 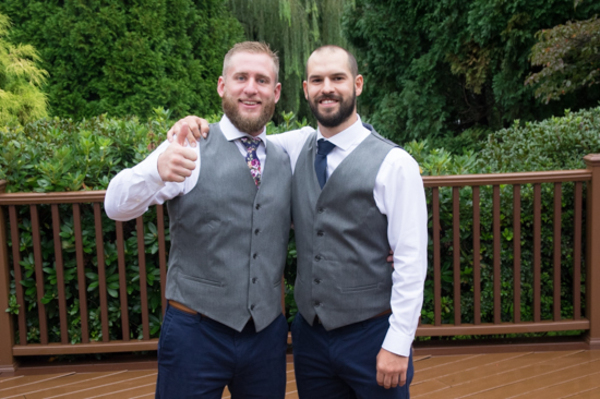 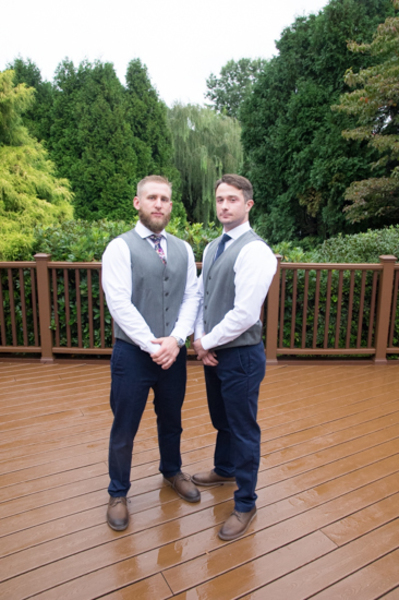 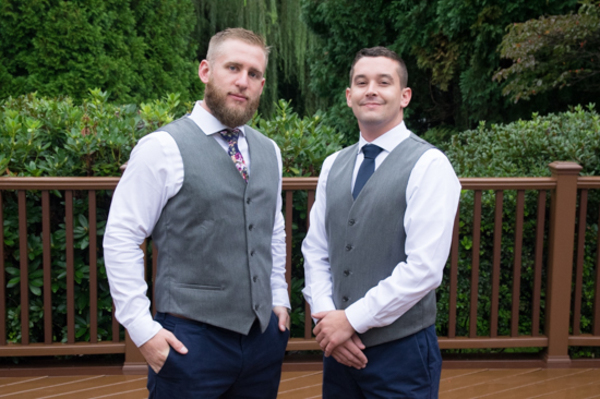 Congratulations again to Casey and Peter! 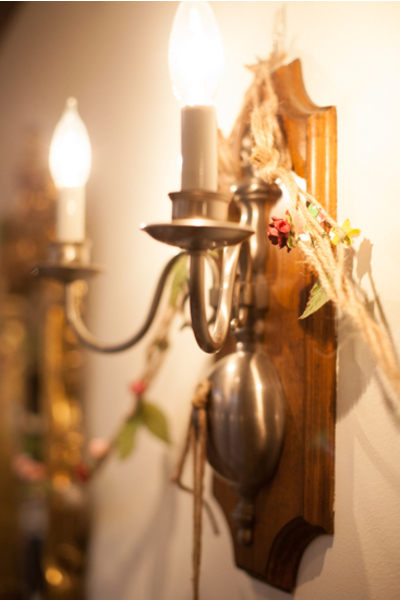 We wish you all the happiness in the world.